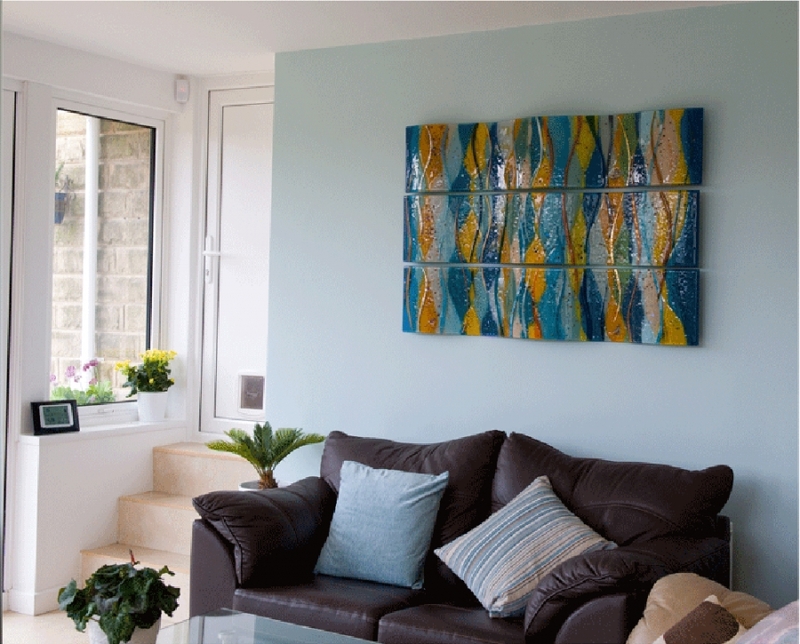 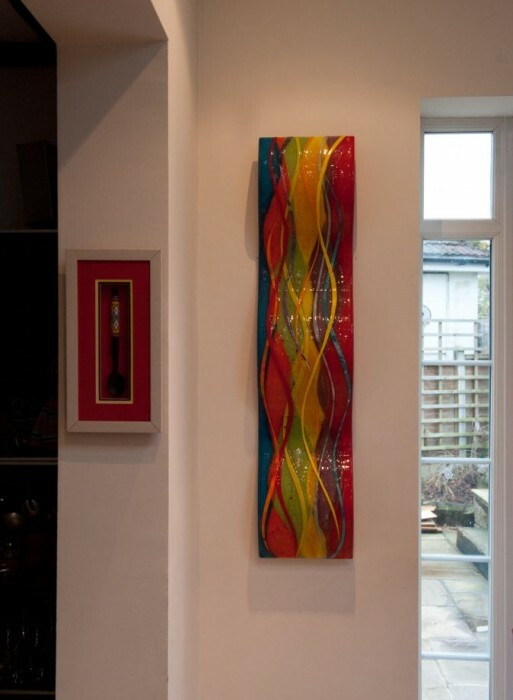 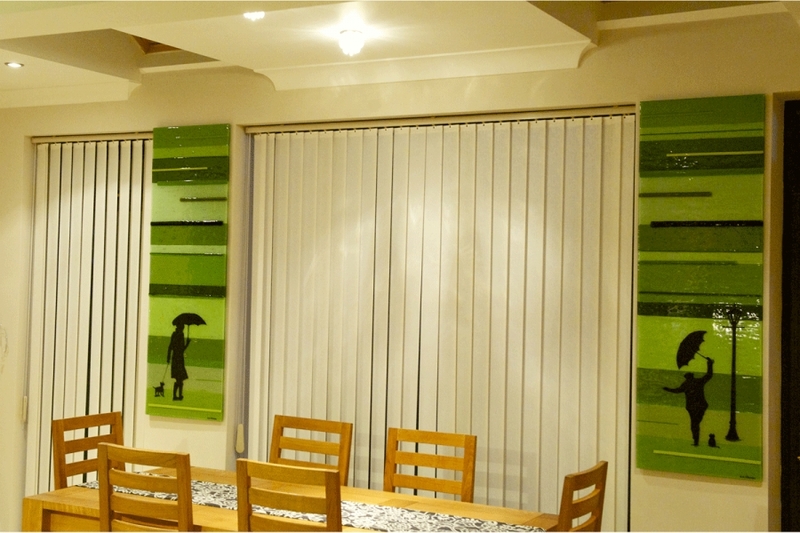 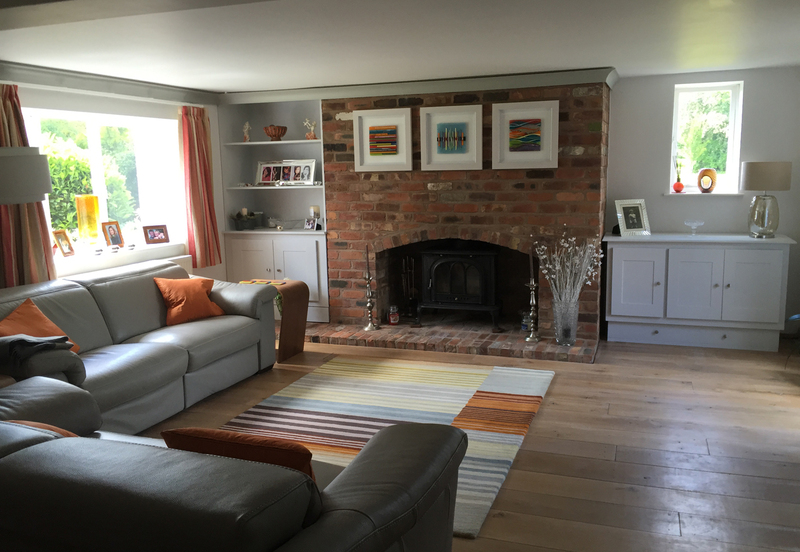 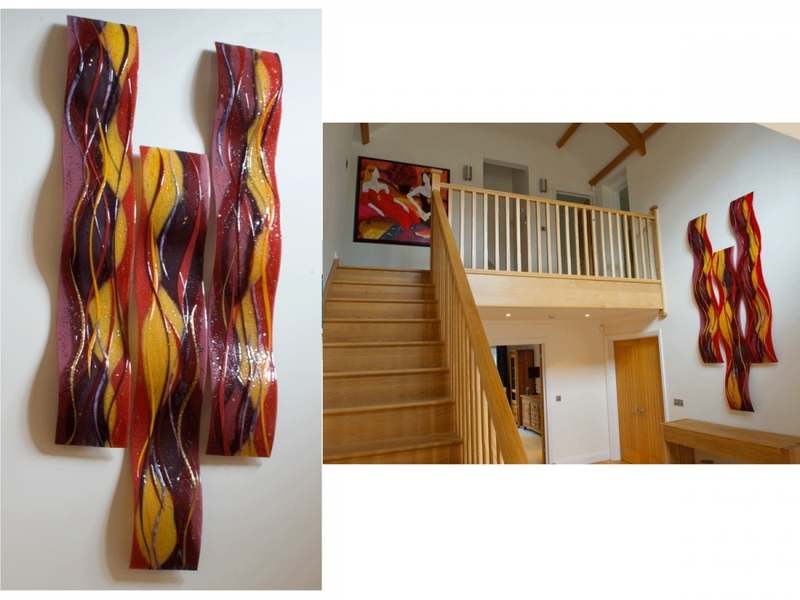 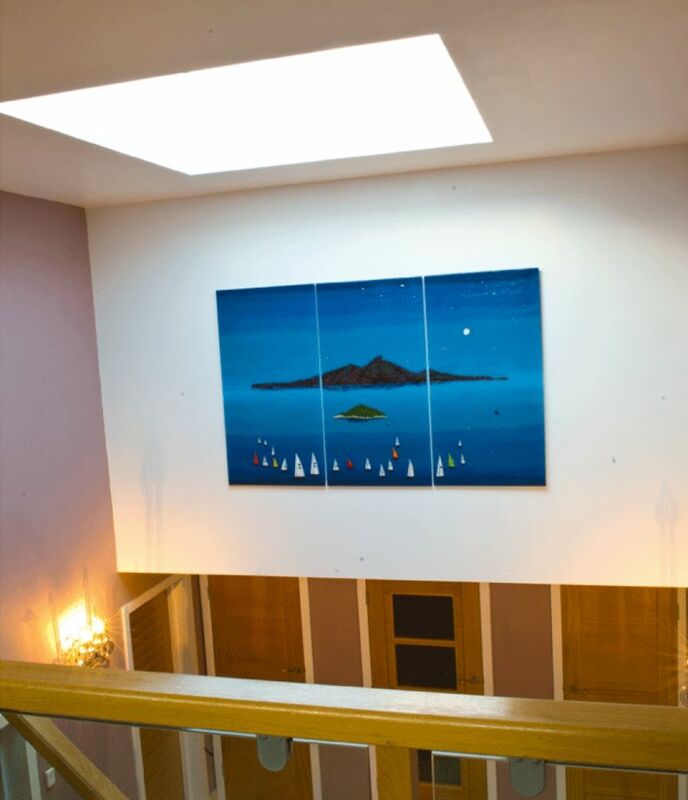 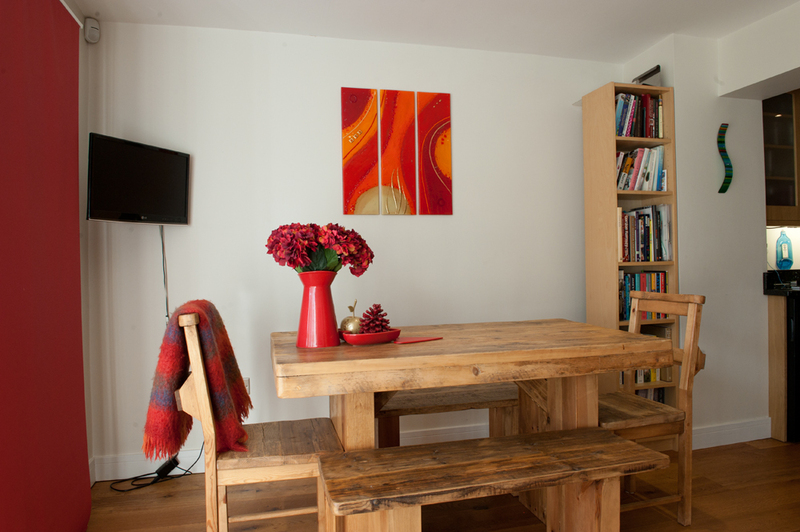 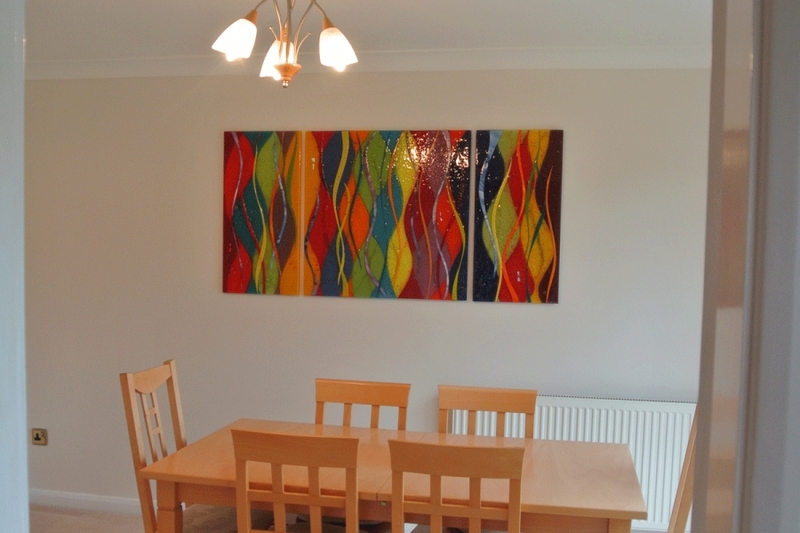 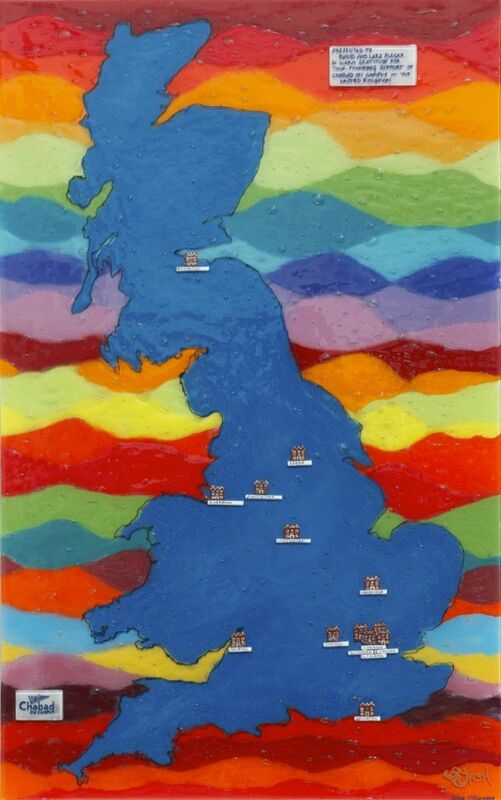 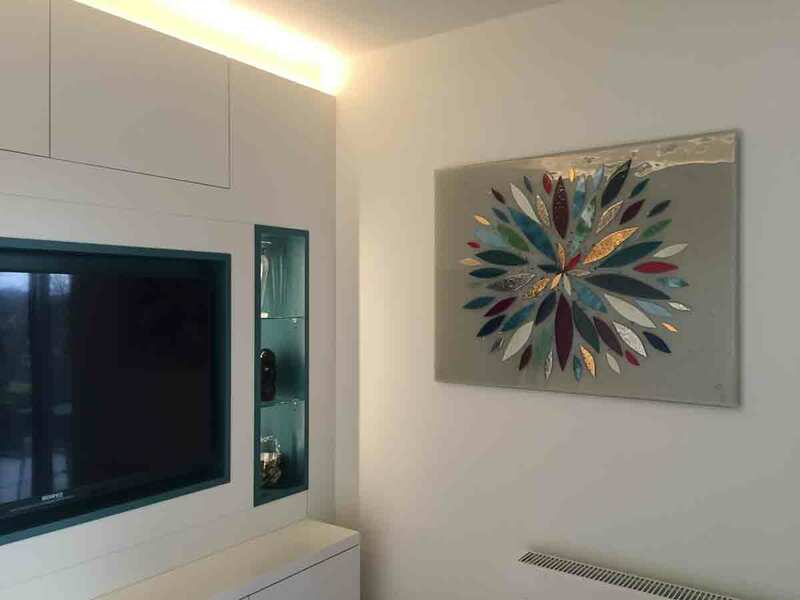 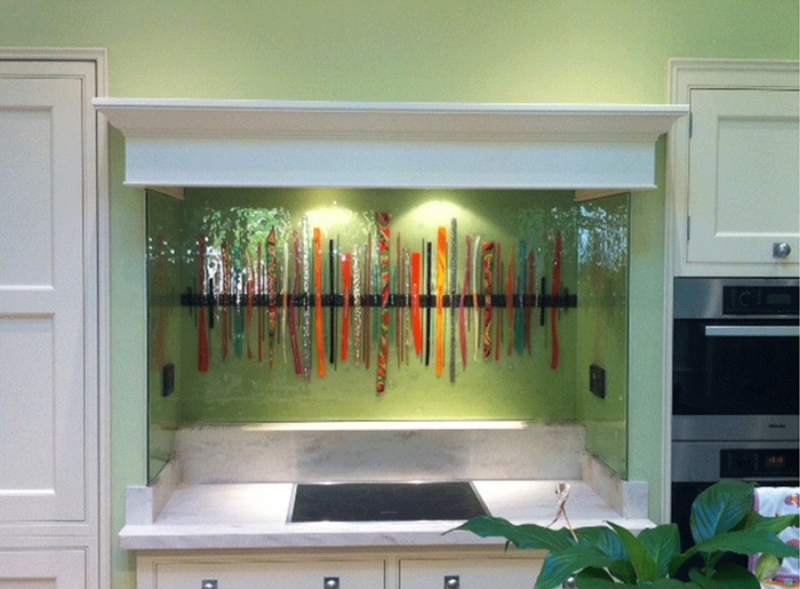 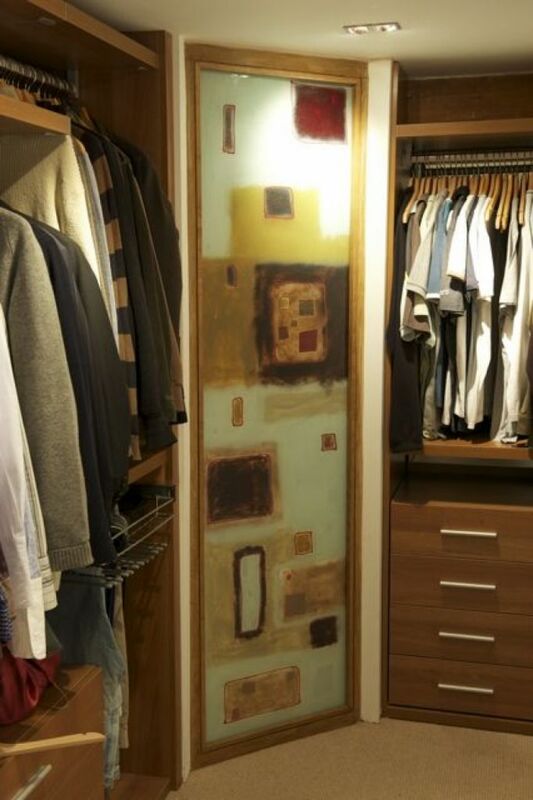 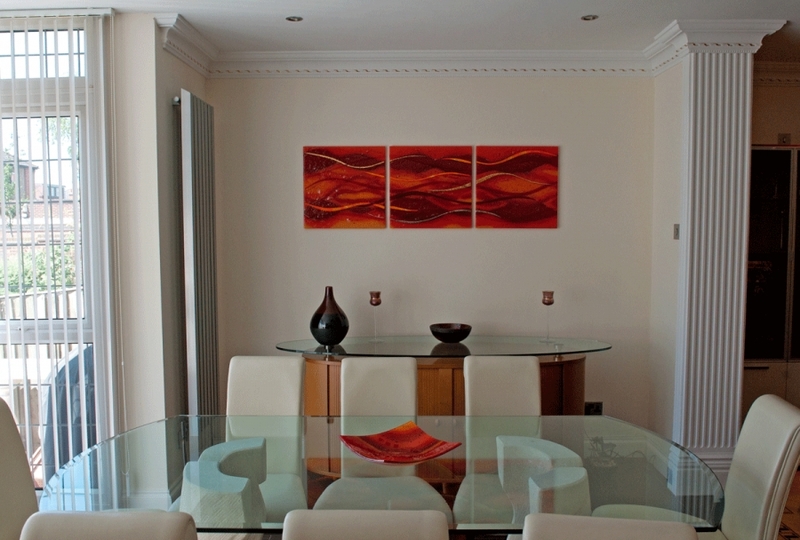 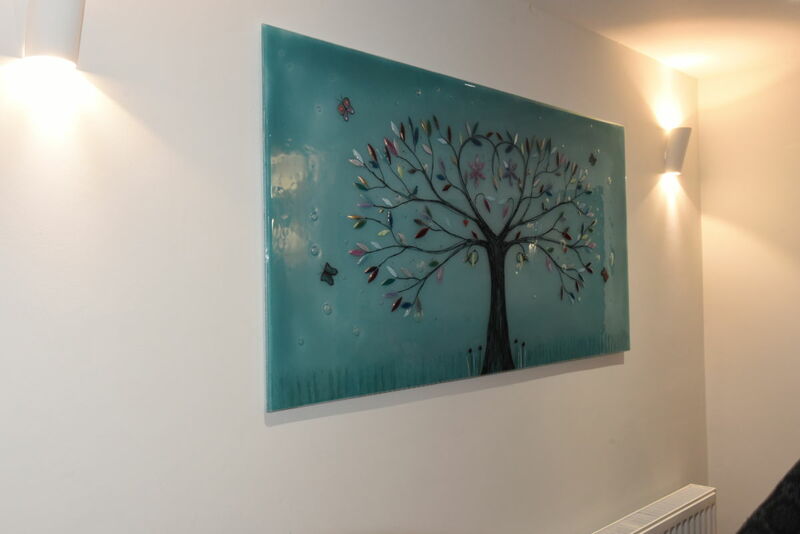 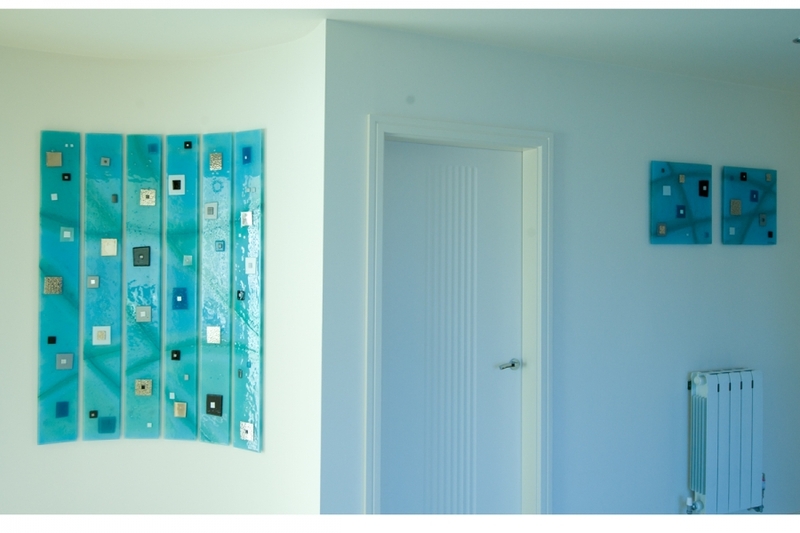 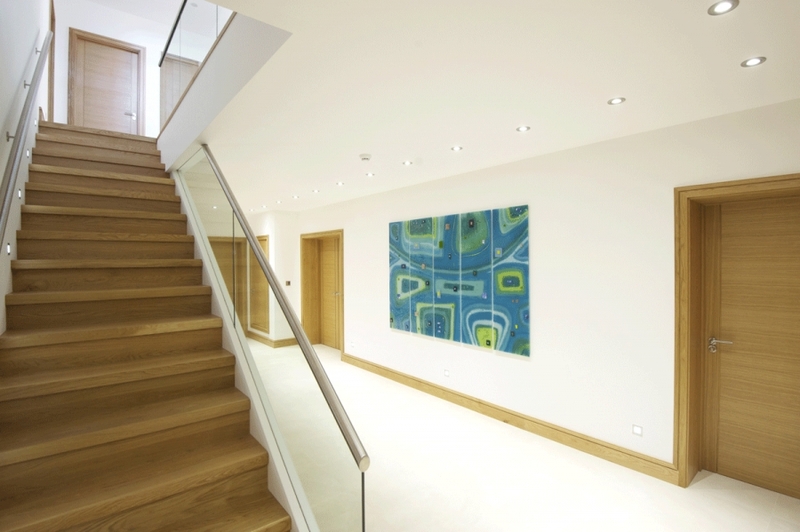 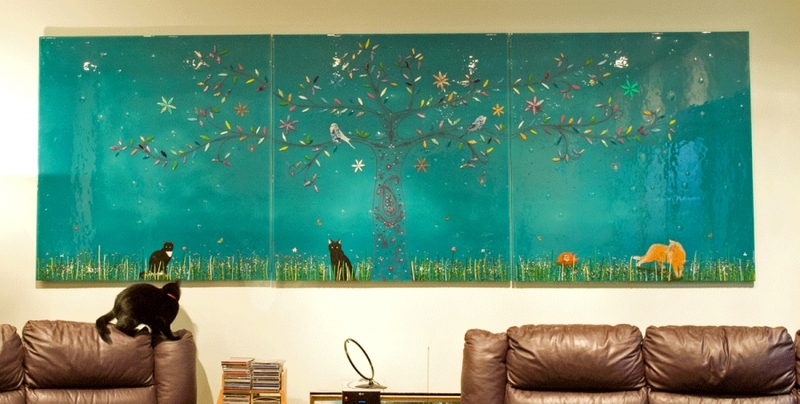 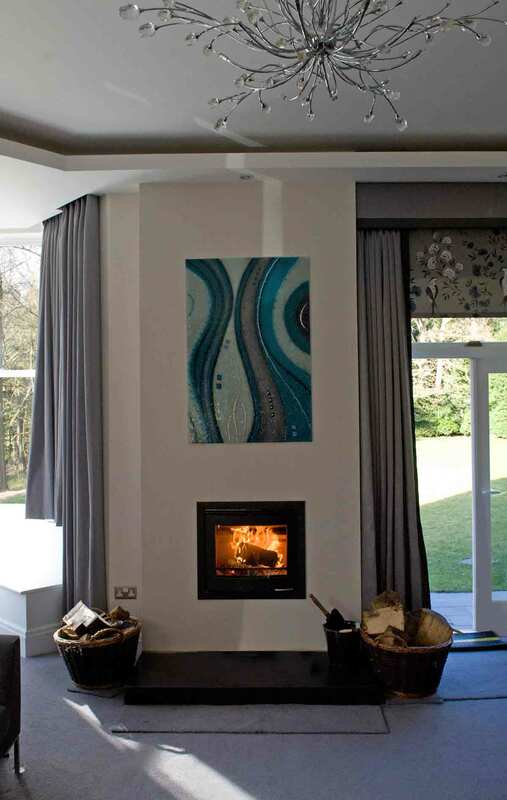 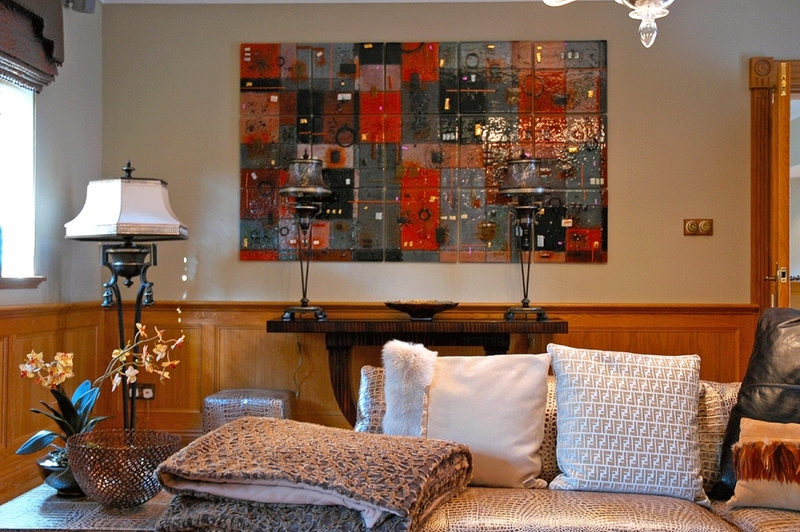 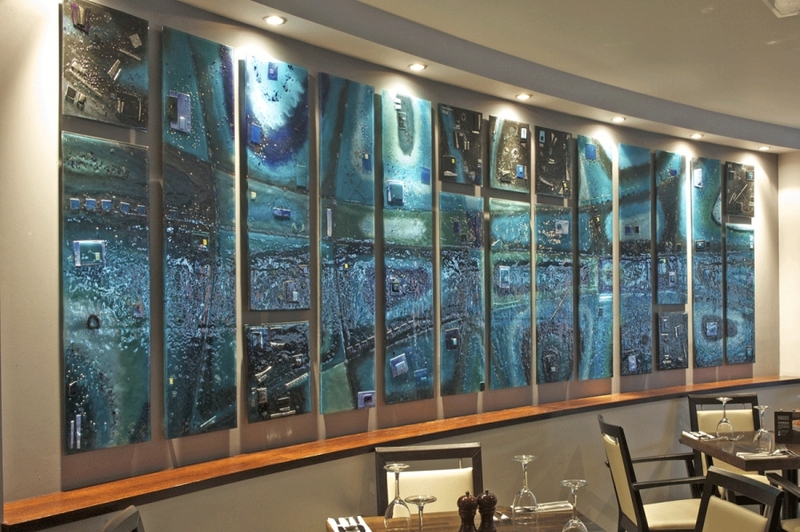 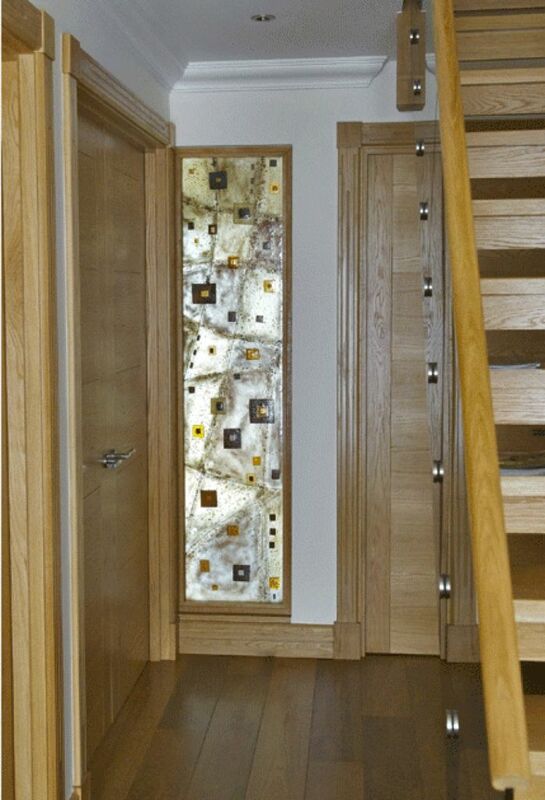 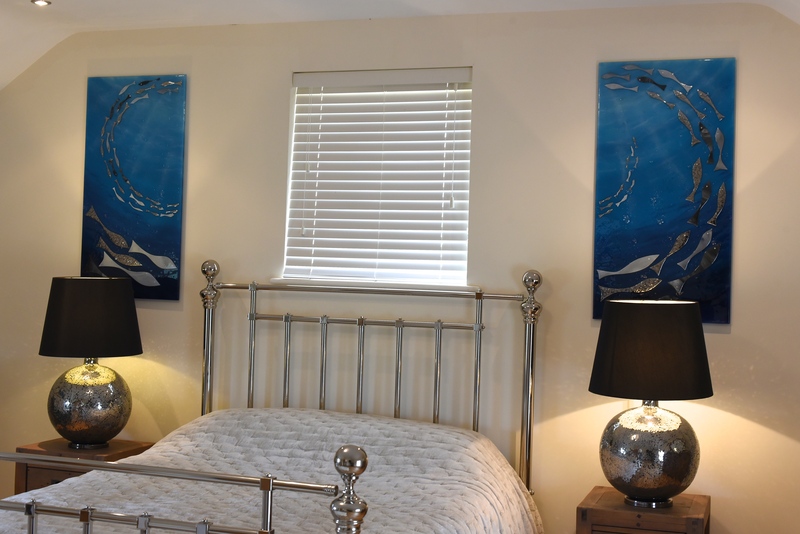 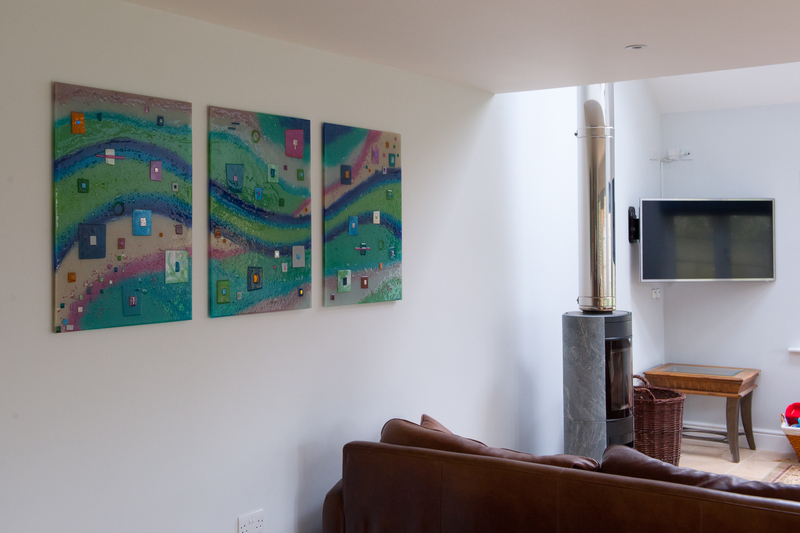 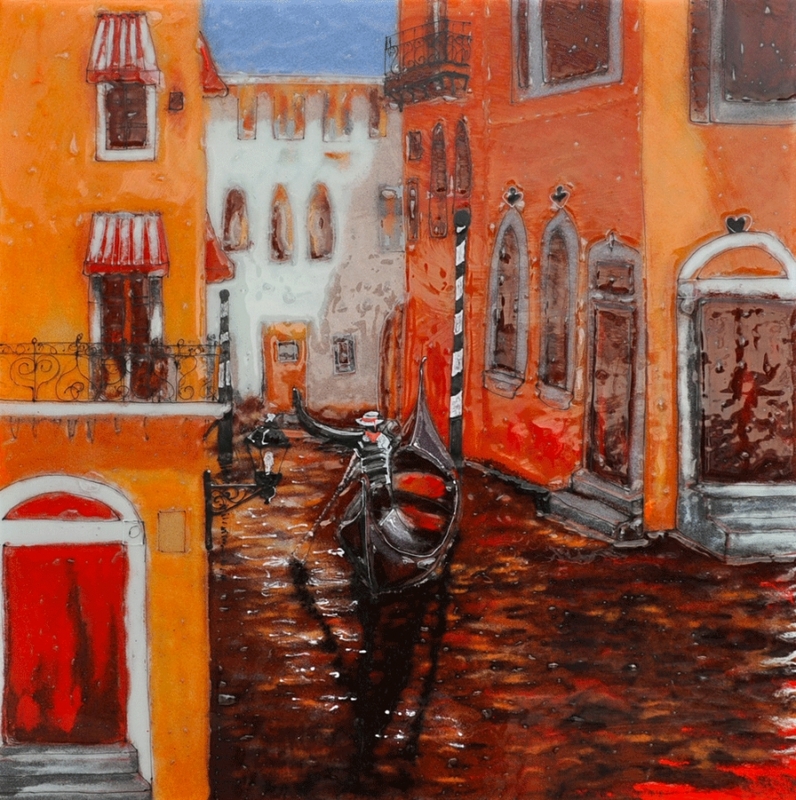 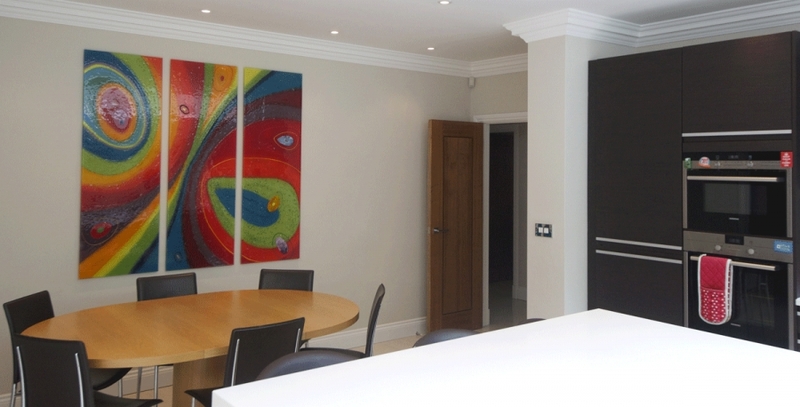 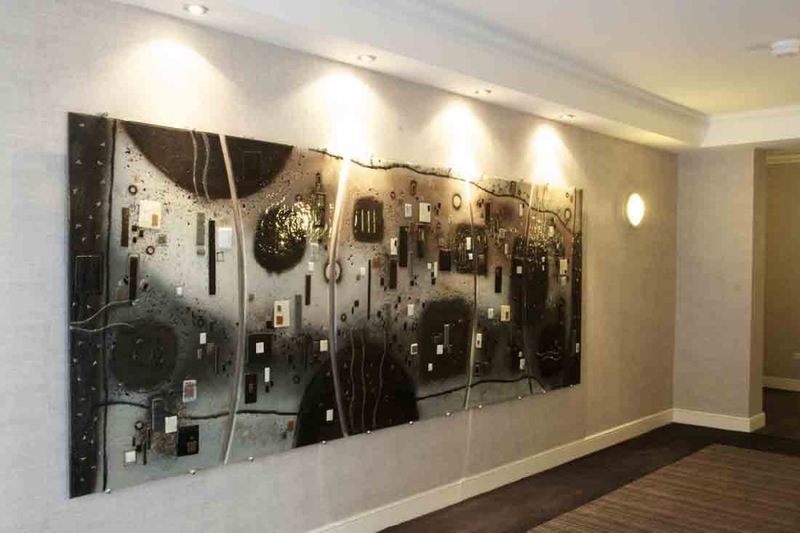 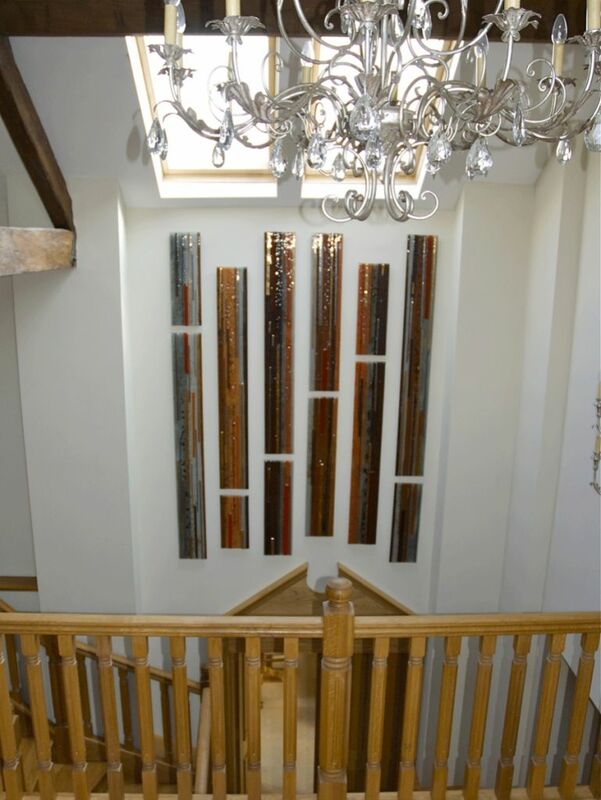 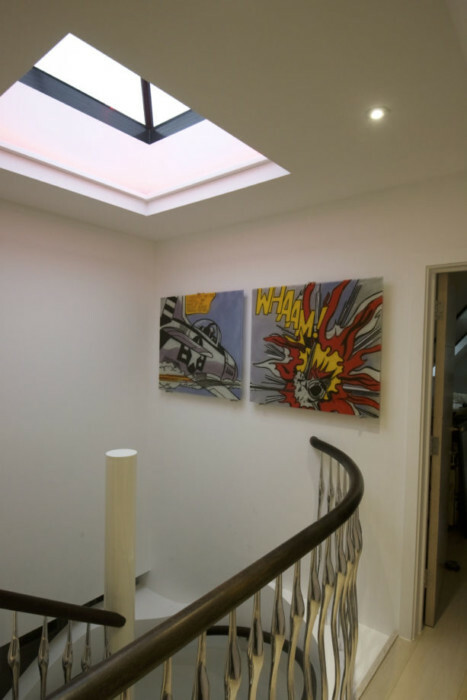 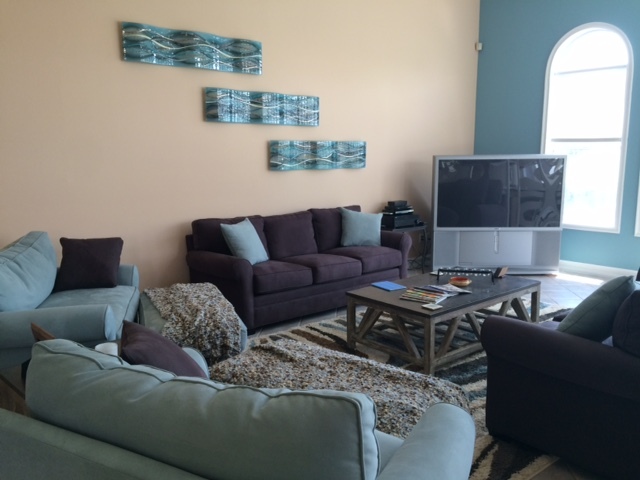 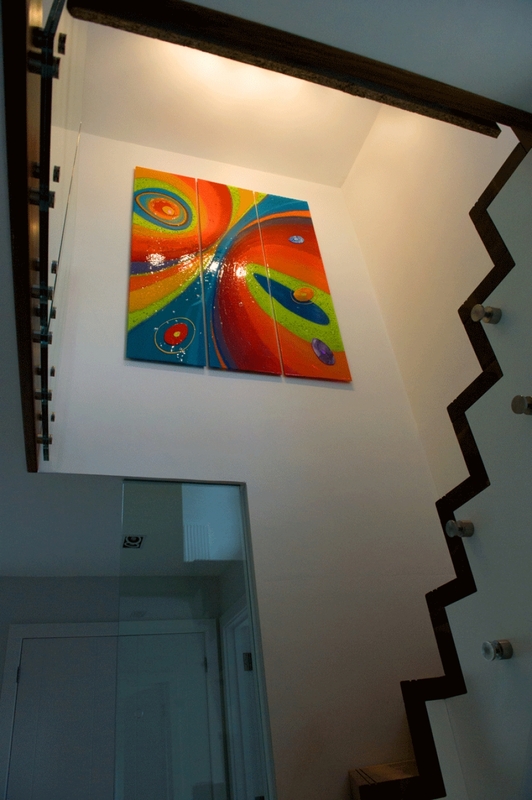 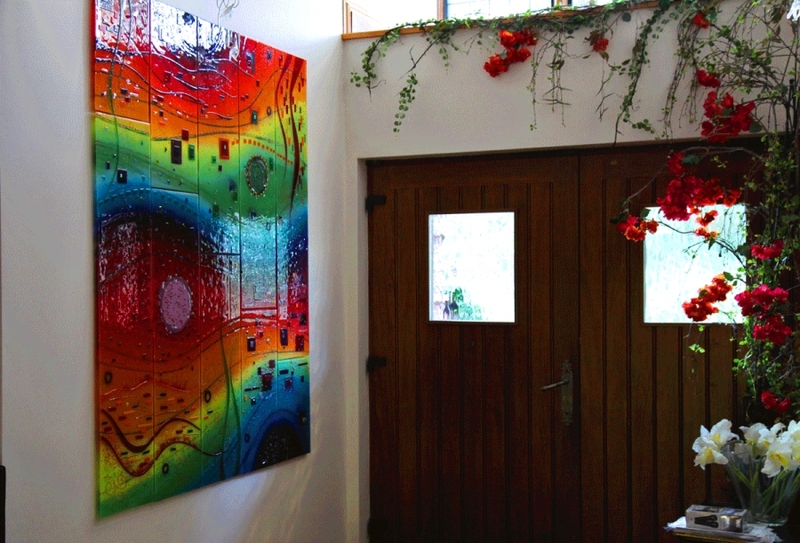 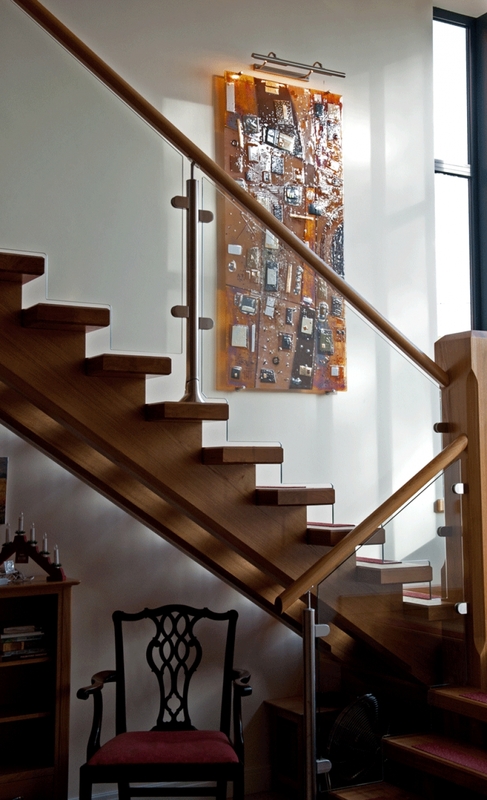 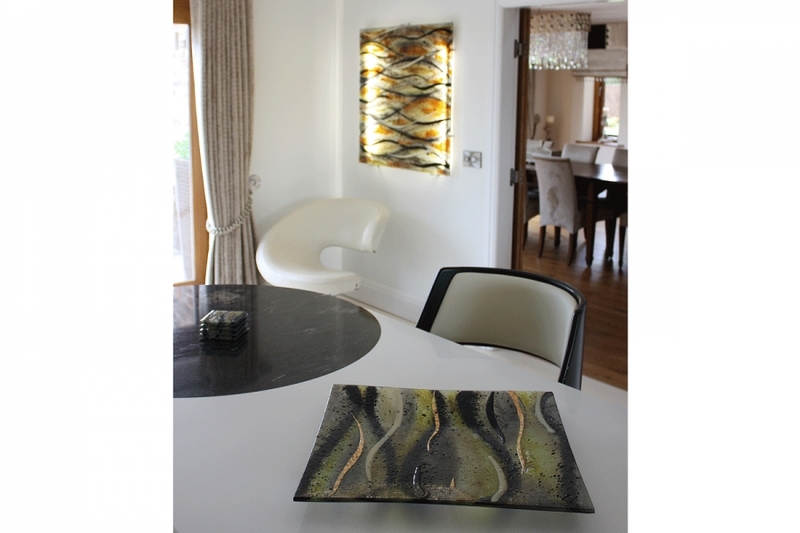 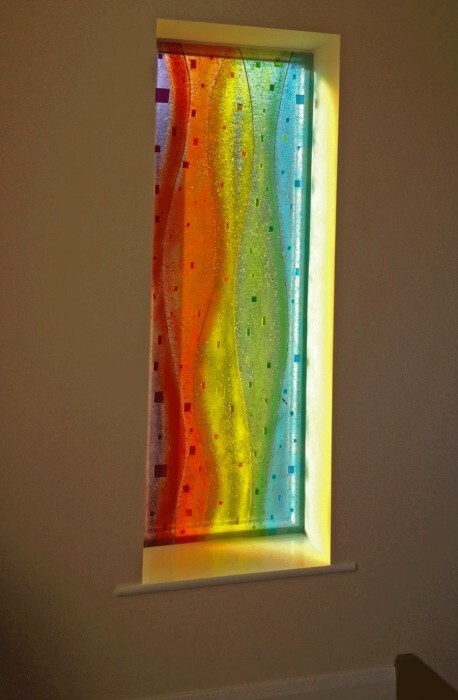 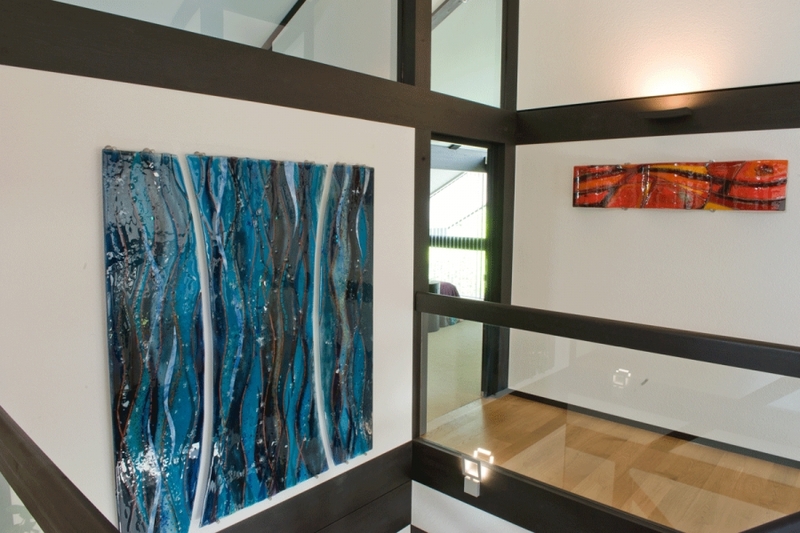 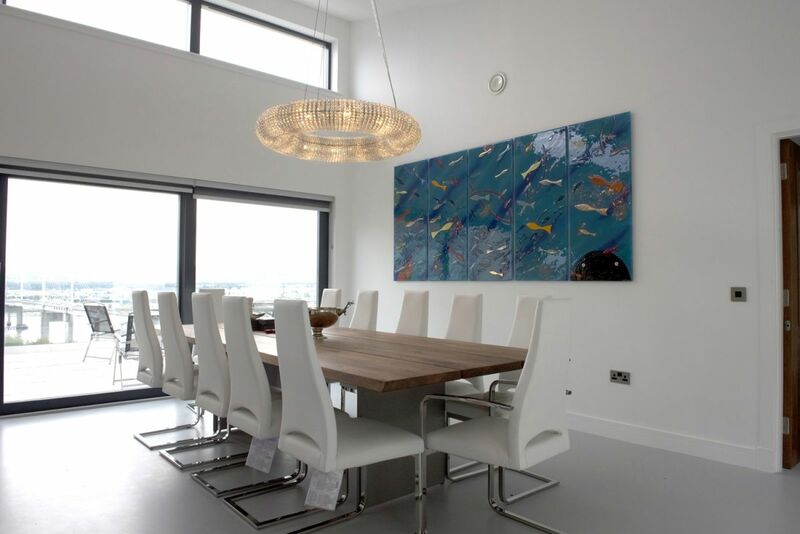 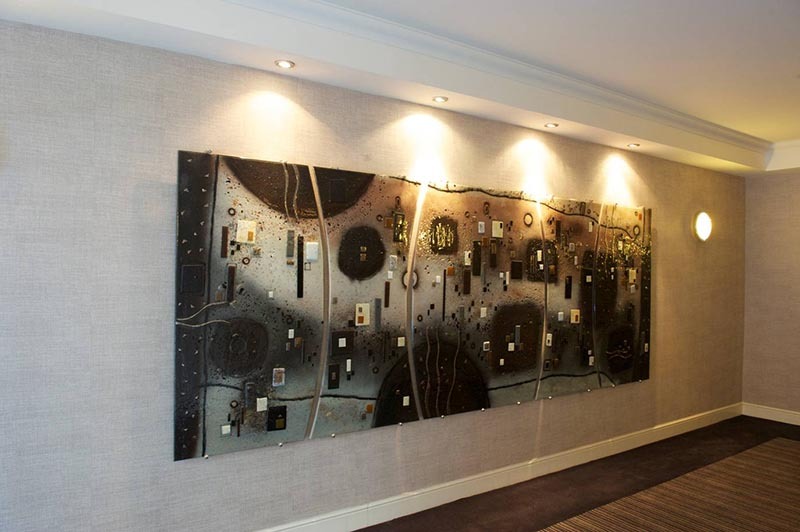 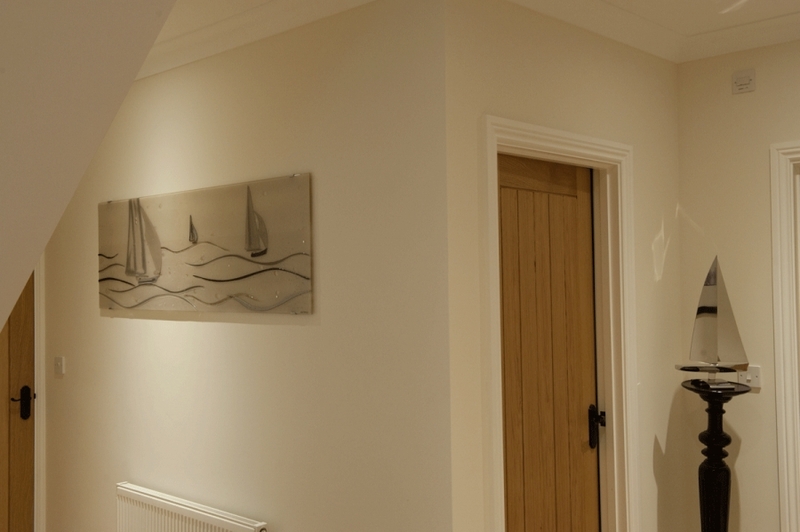 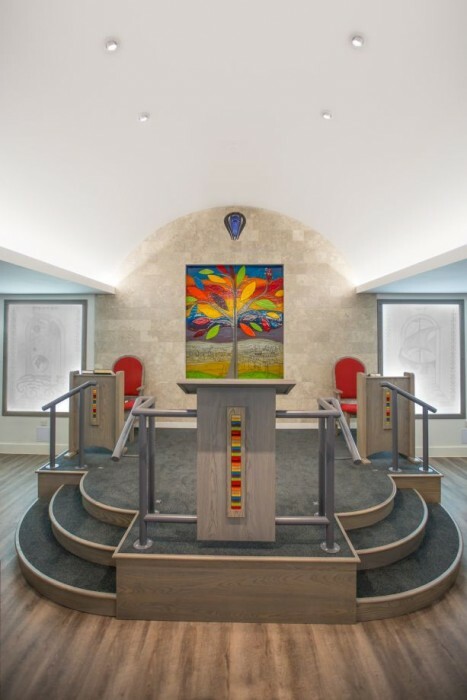 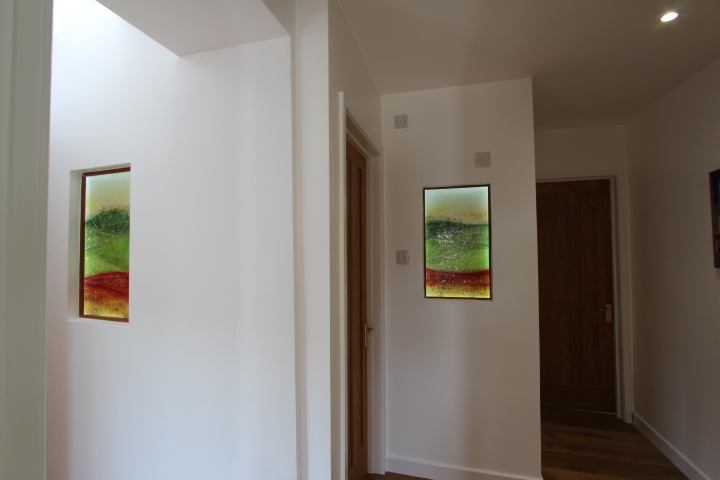 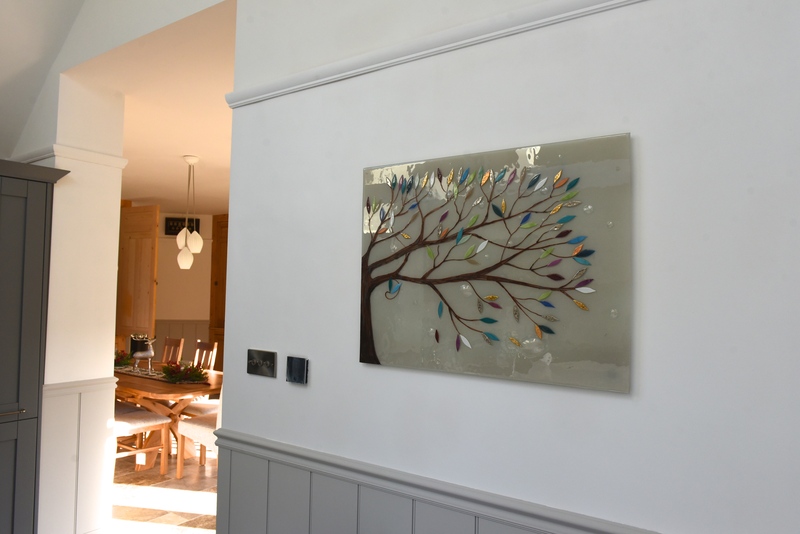 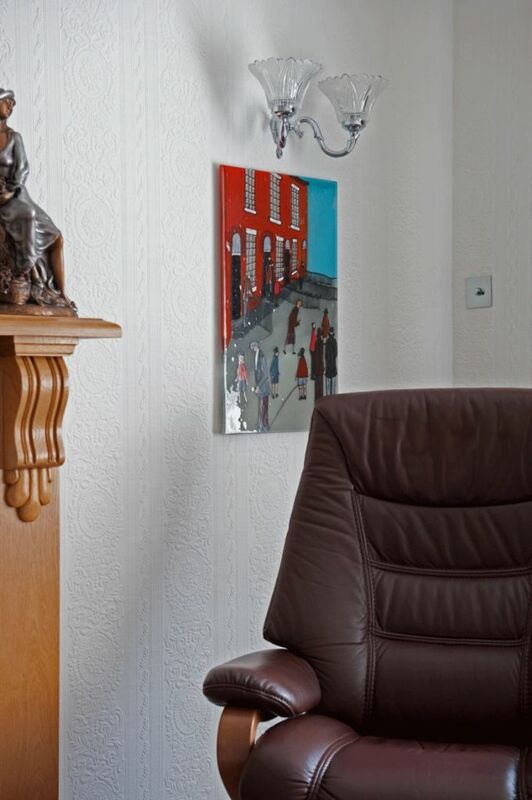 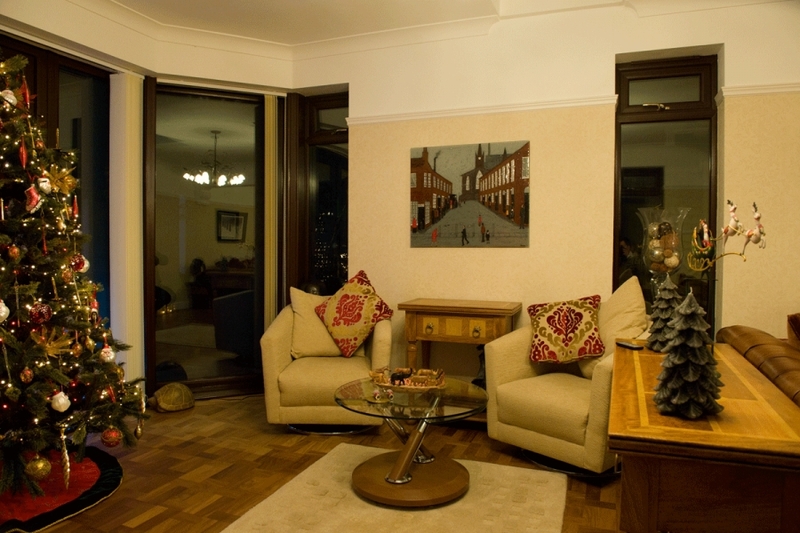 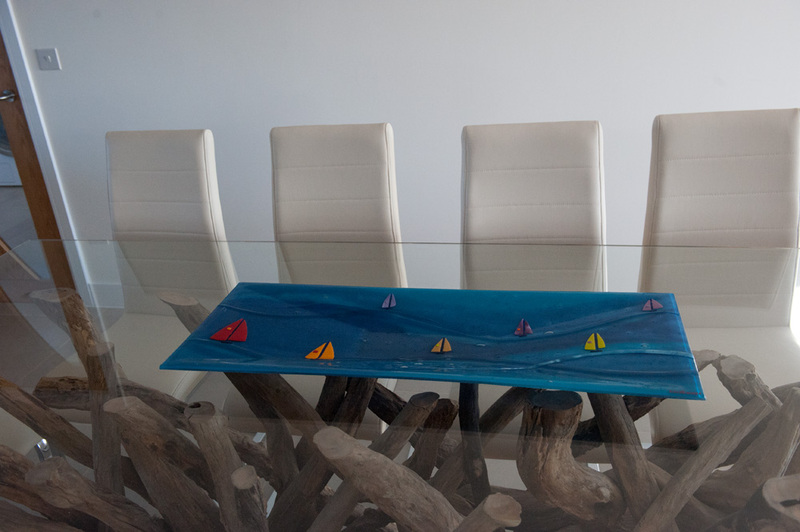 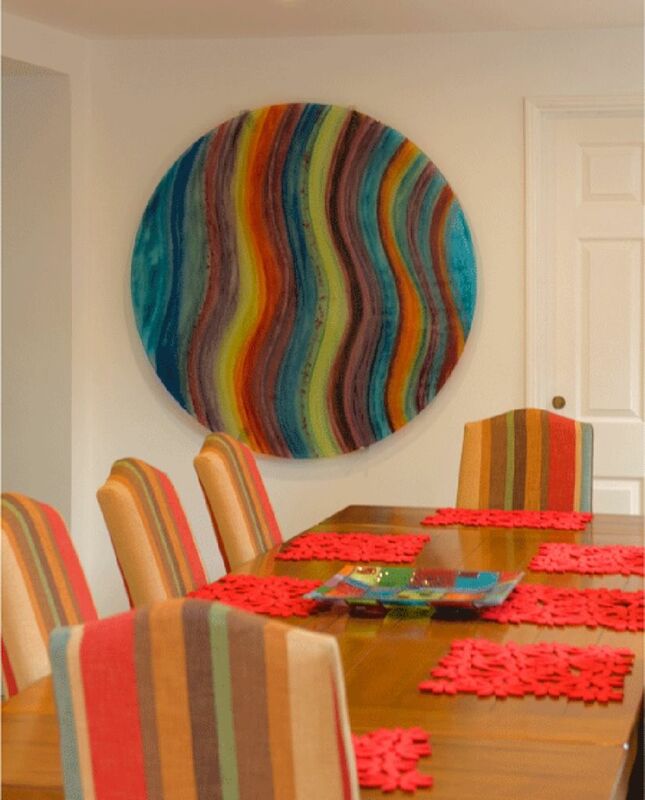 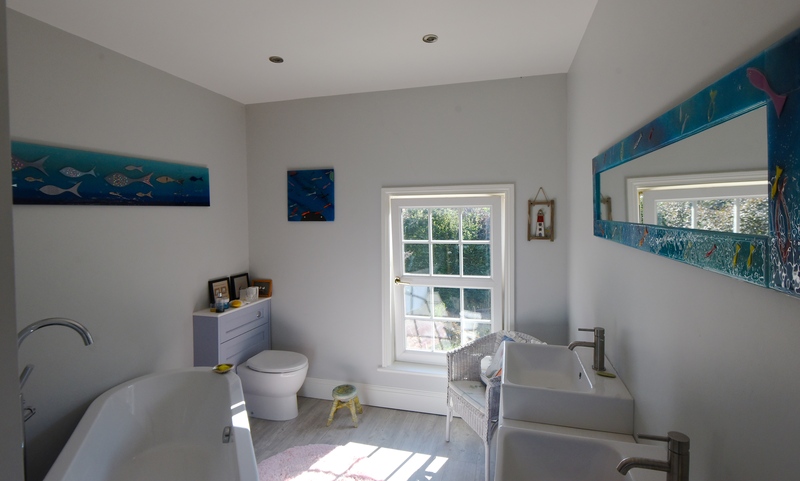 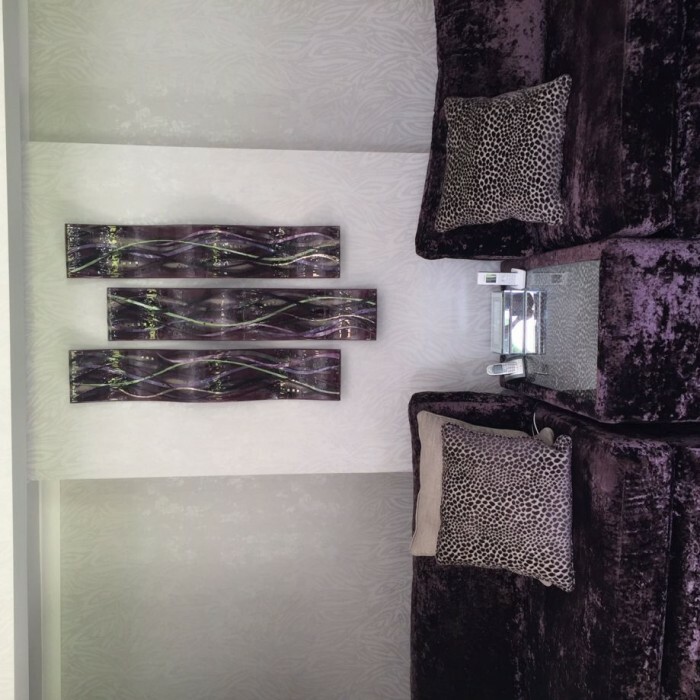 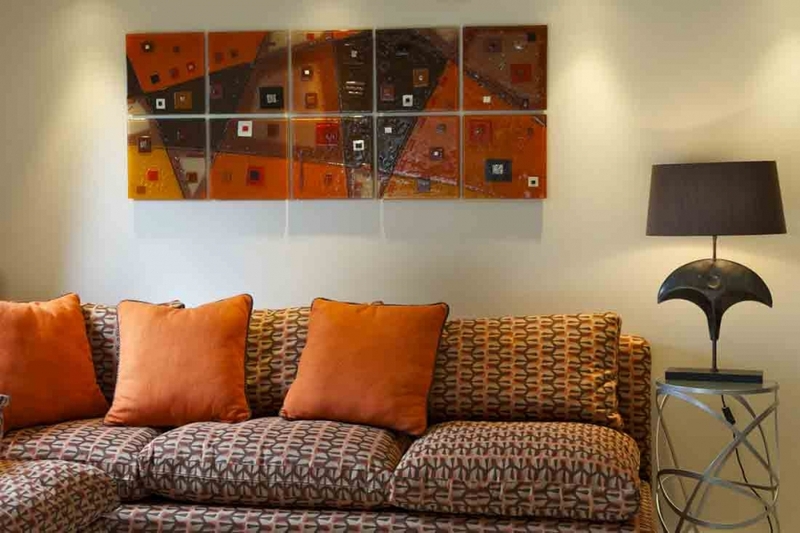 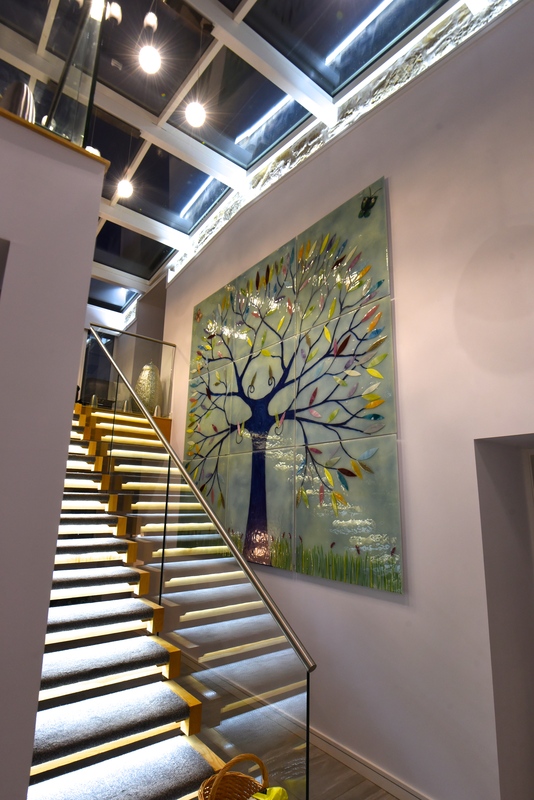 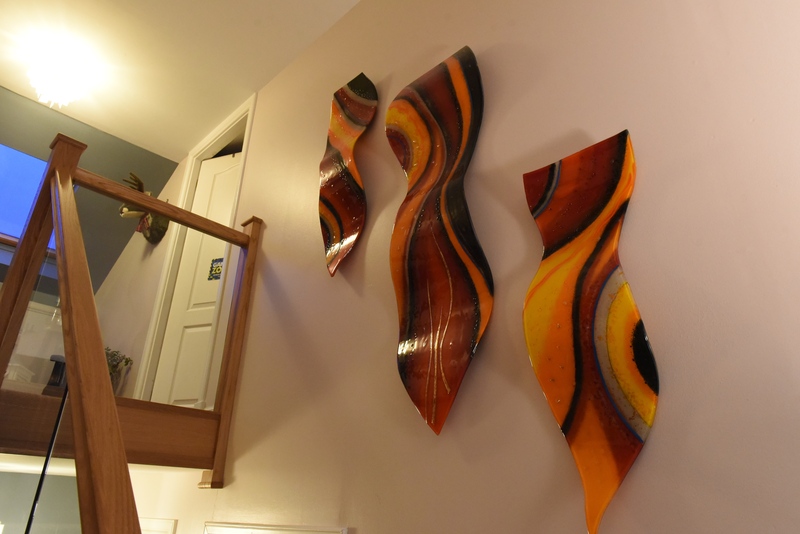 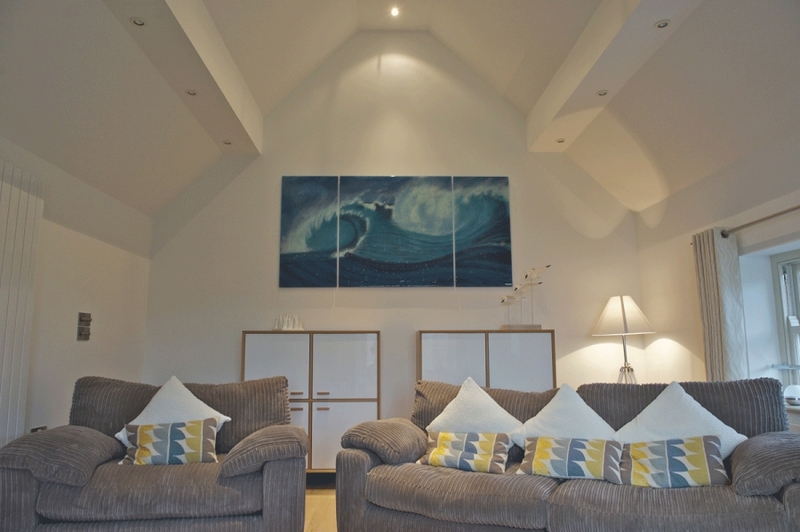 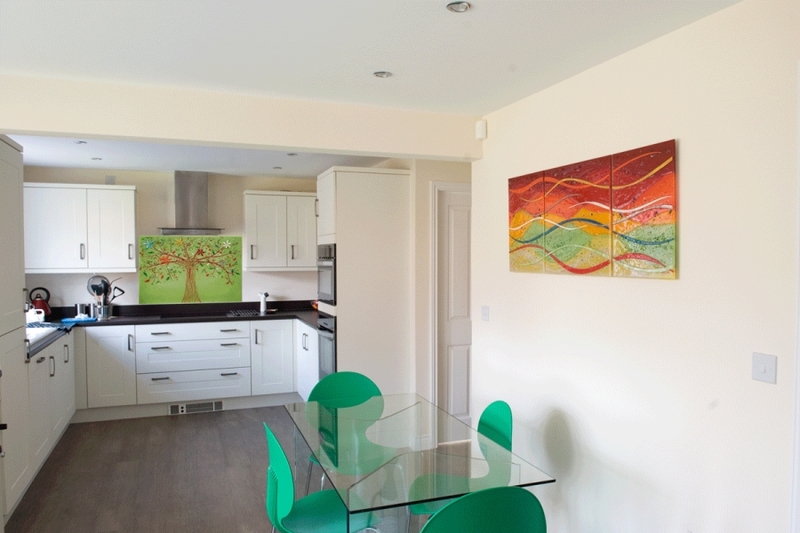 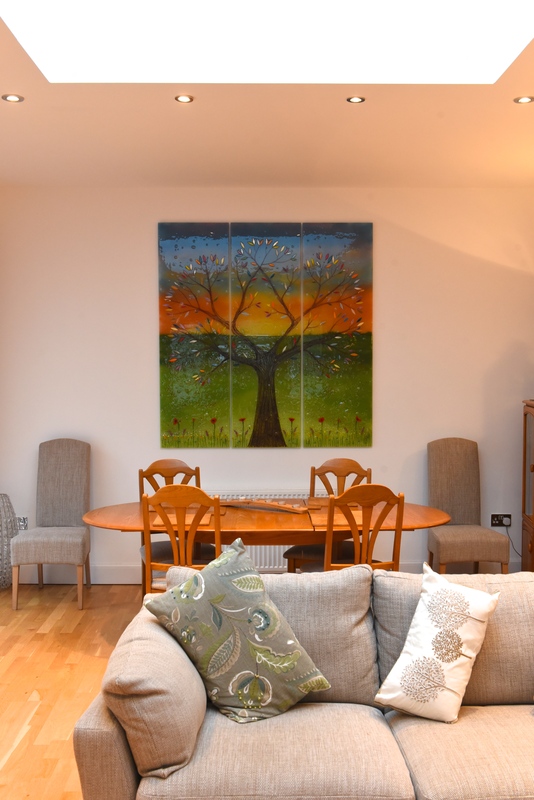 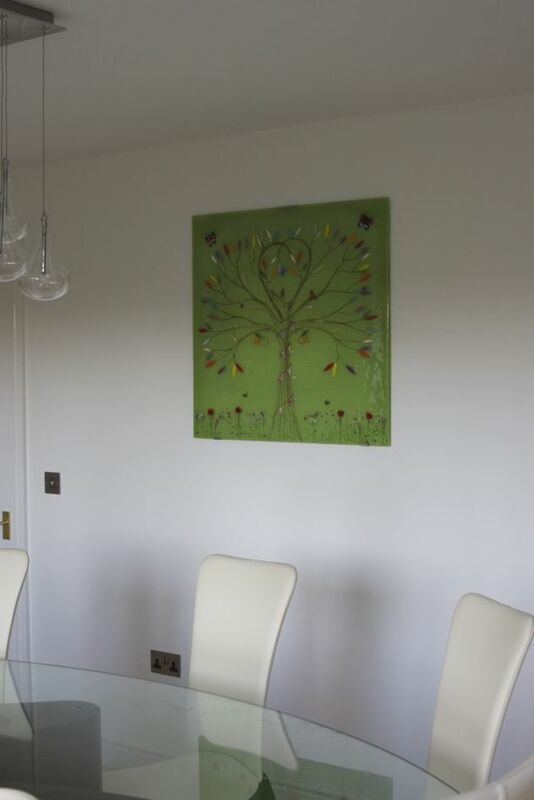 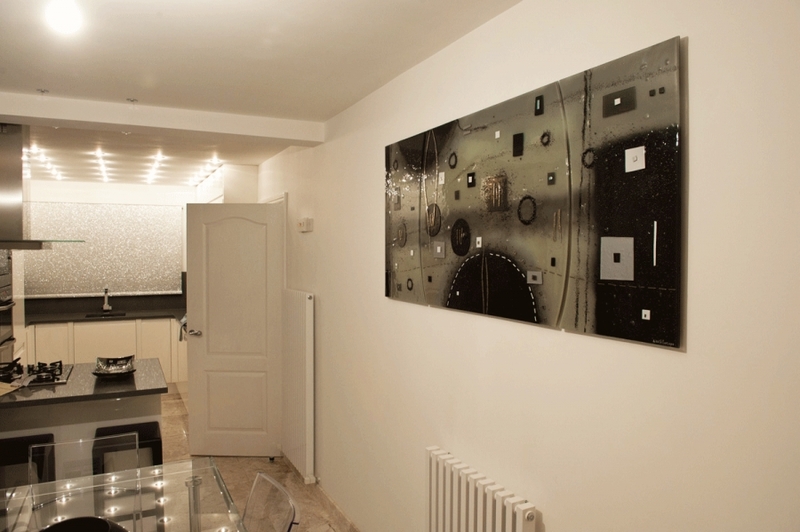 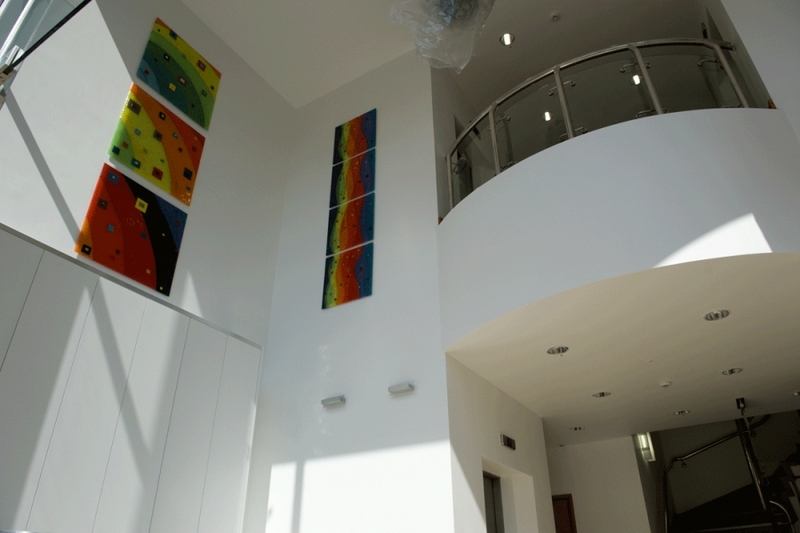 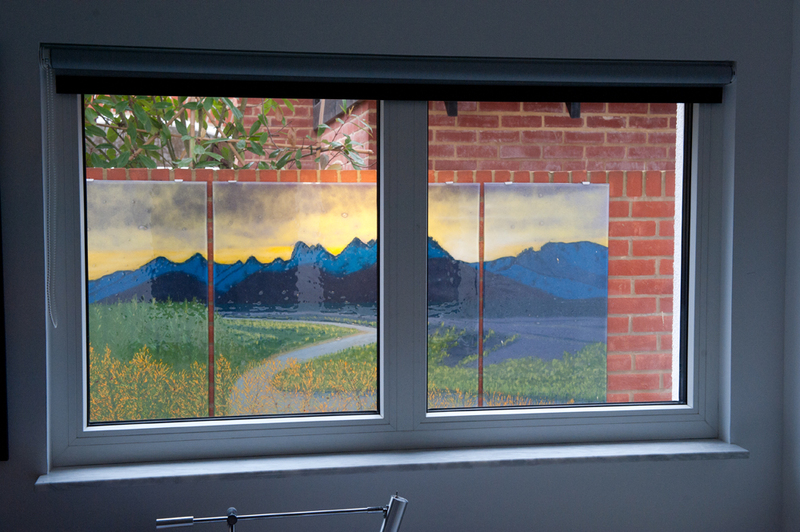 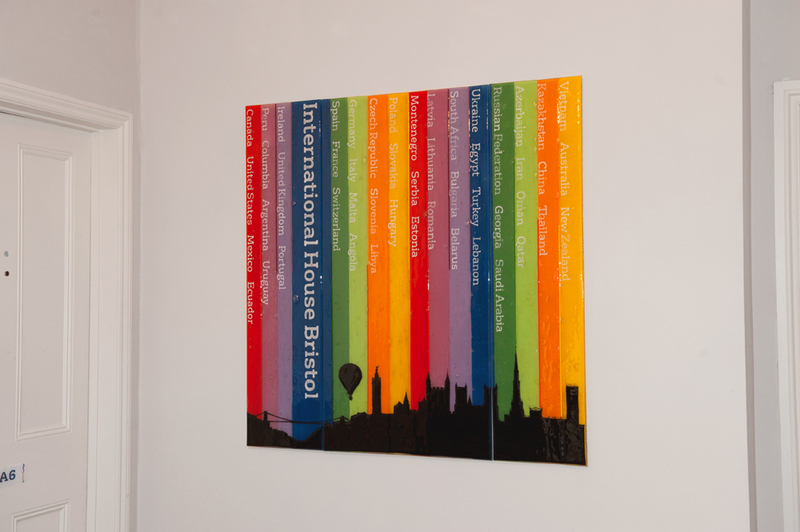 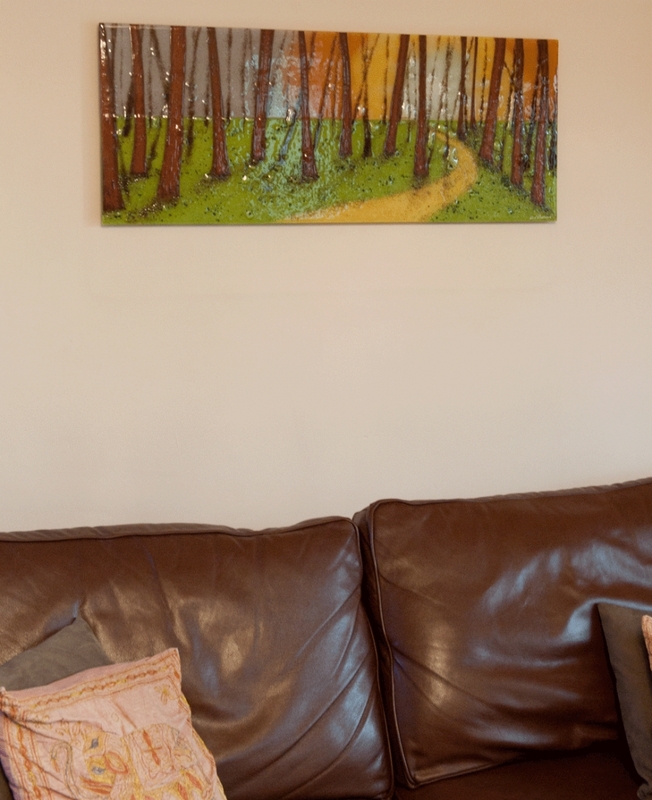 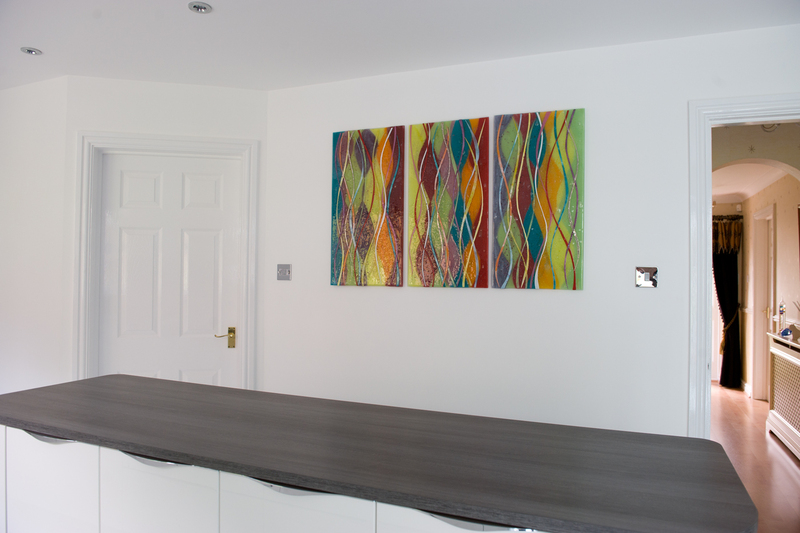 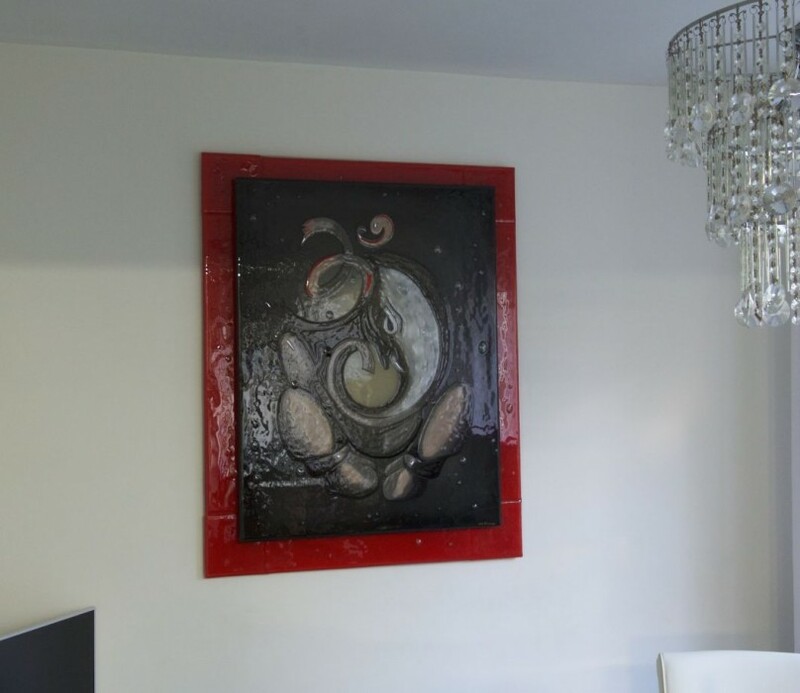 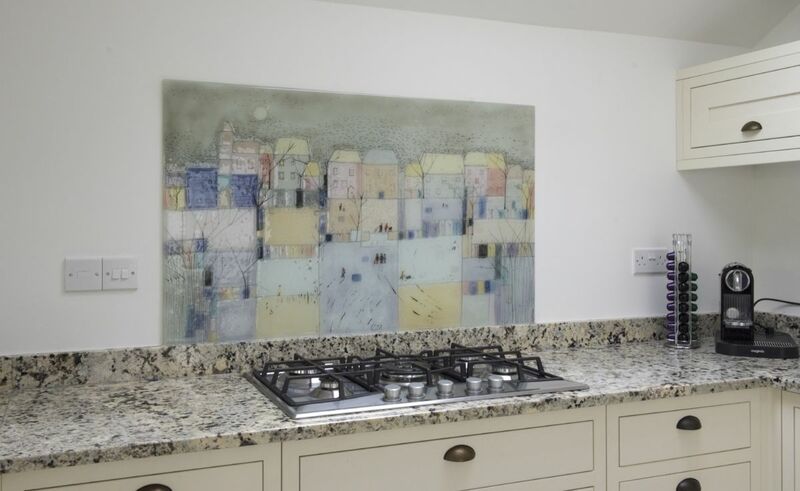 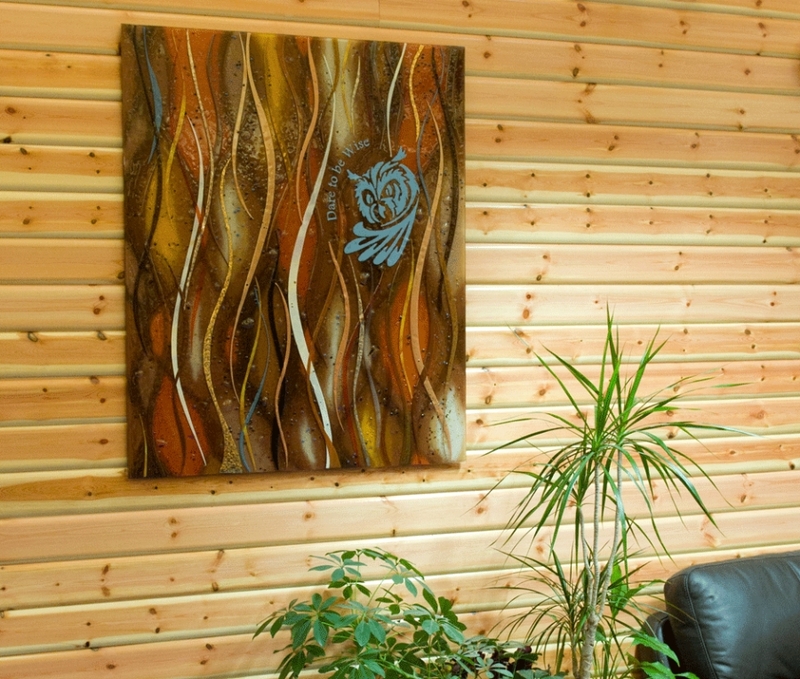 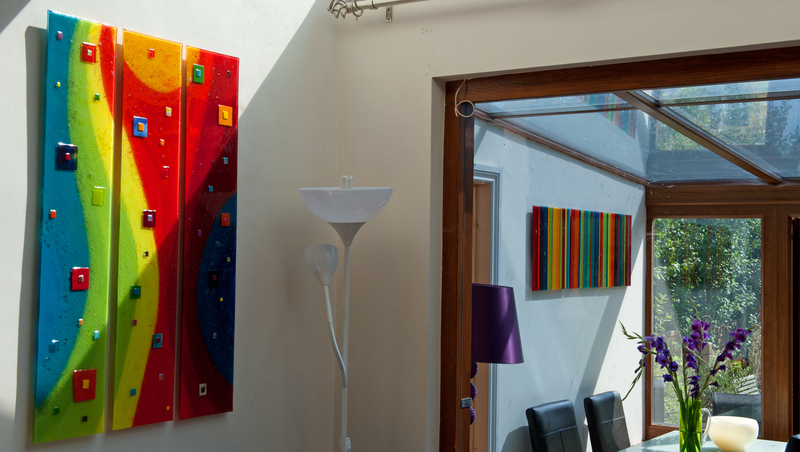 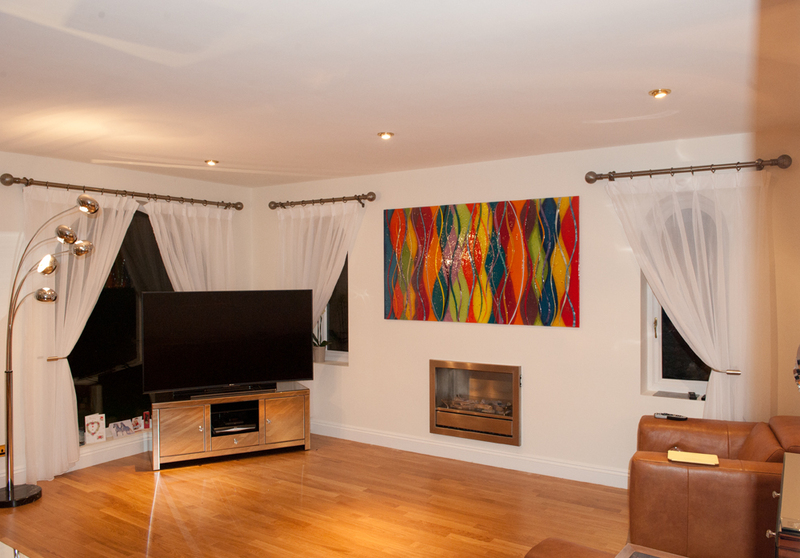 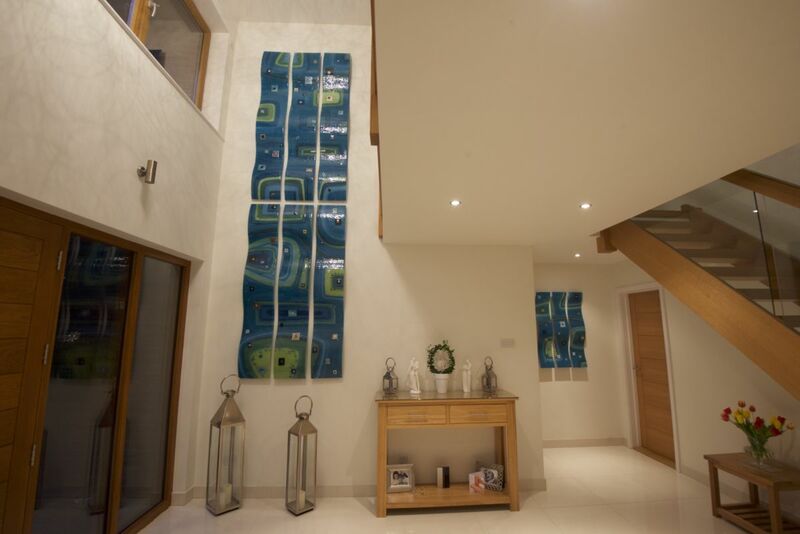 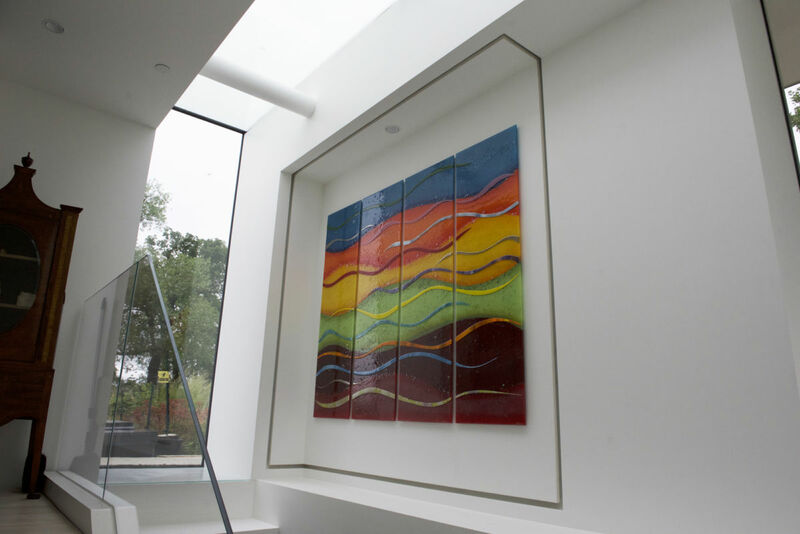 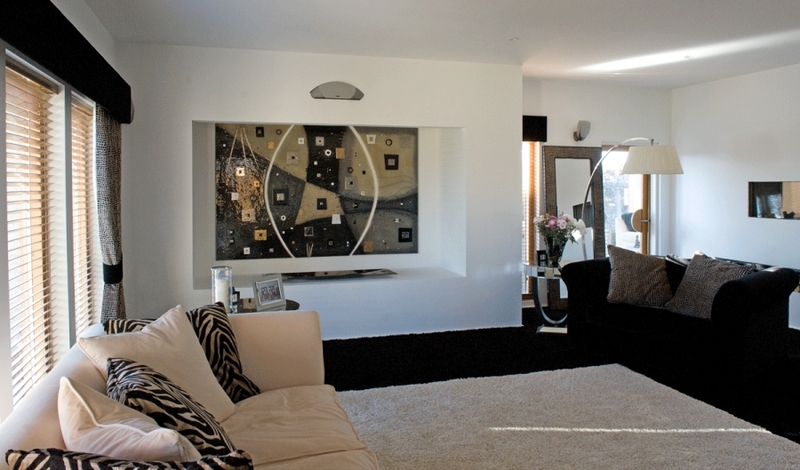 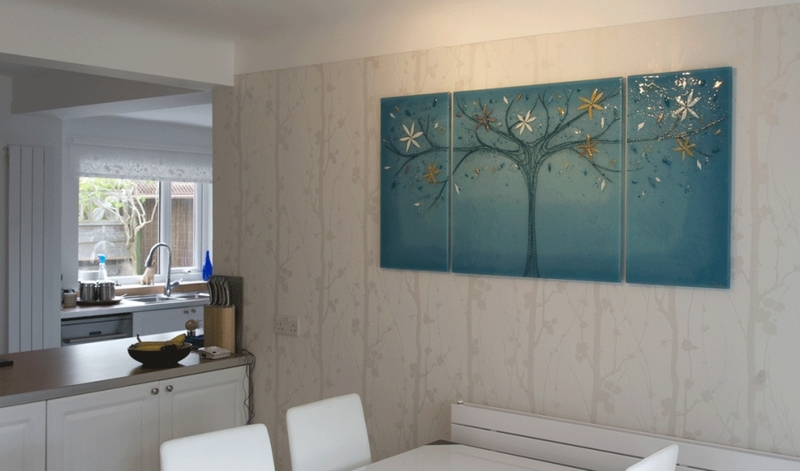 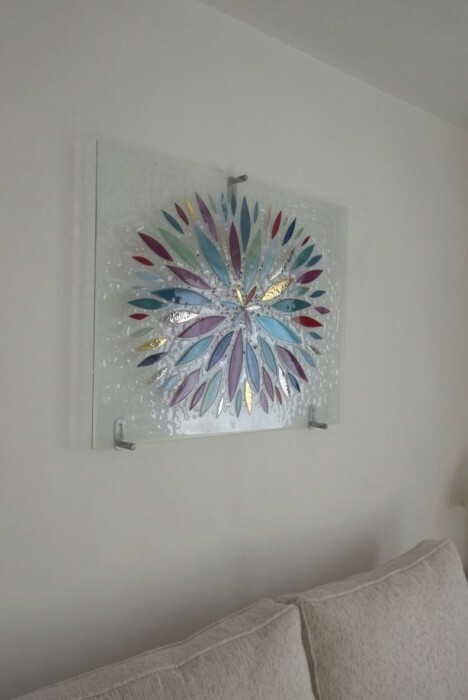 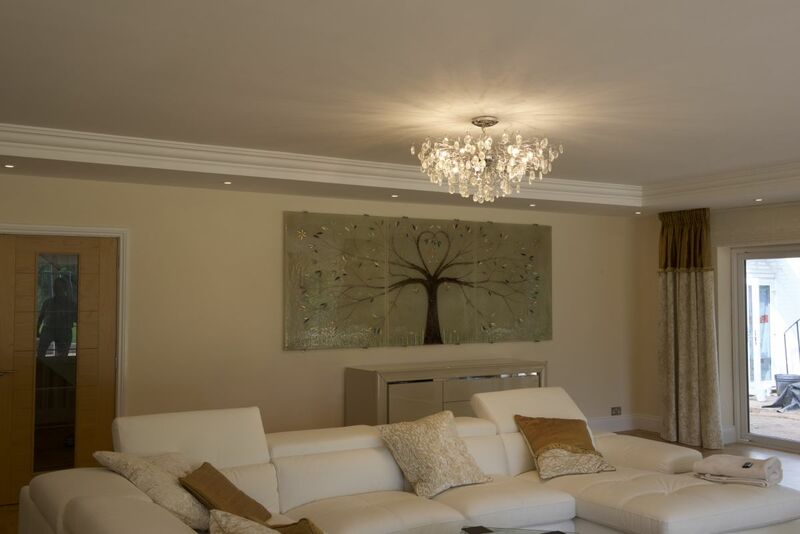 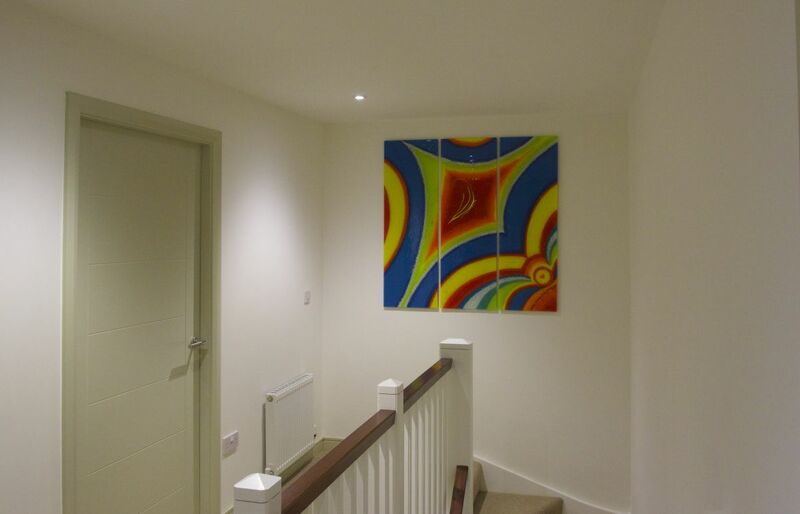 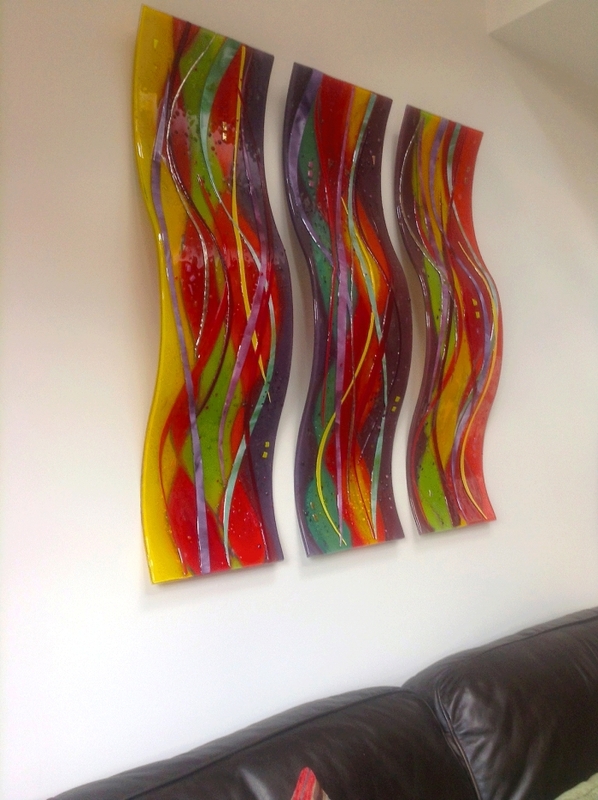 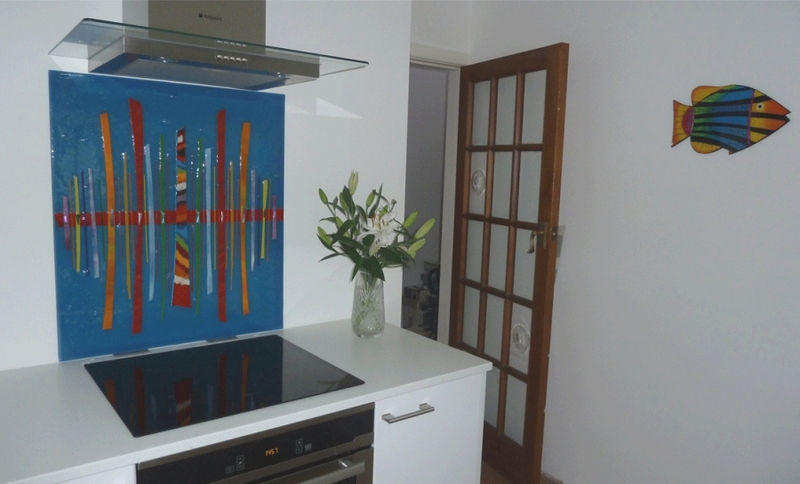 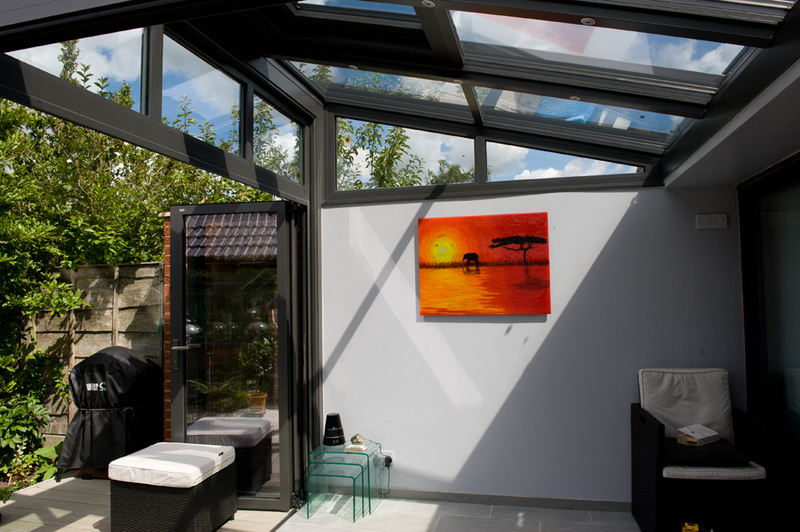 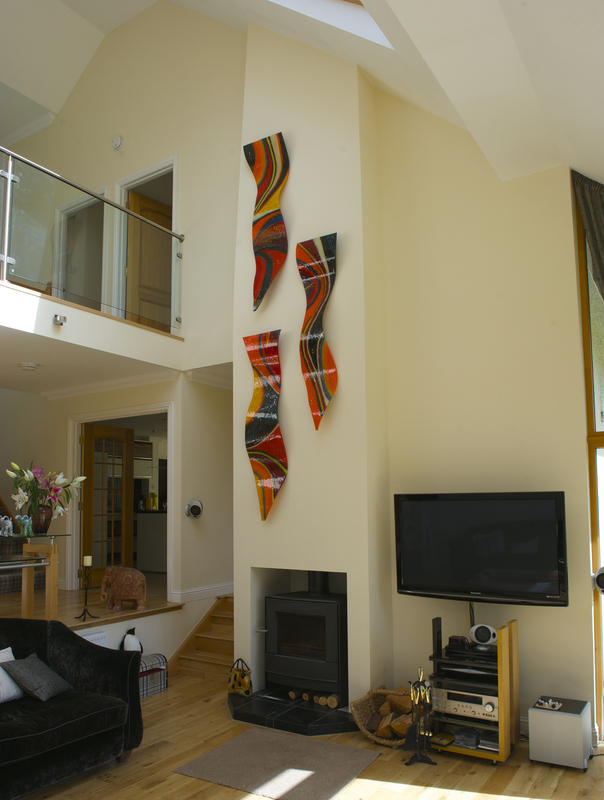 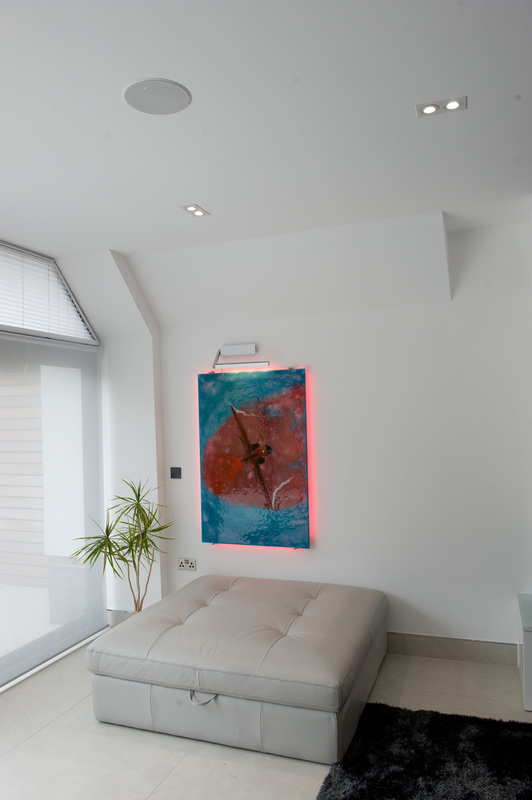 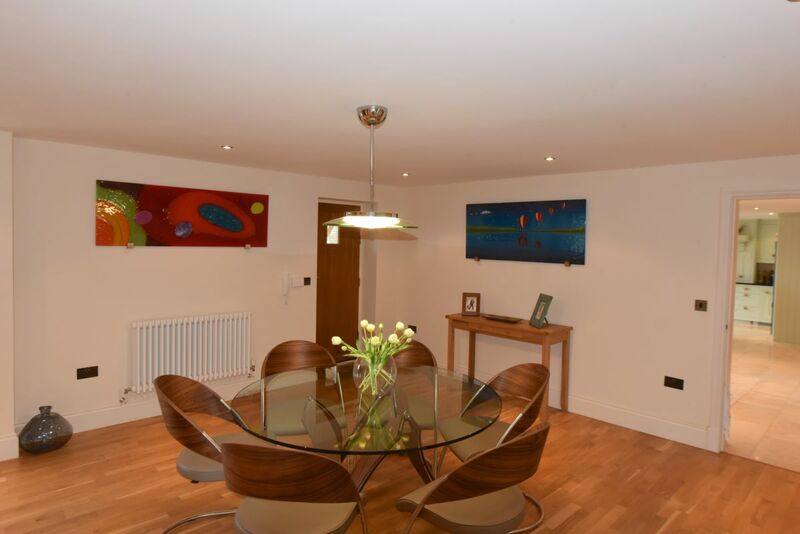 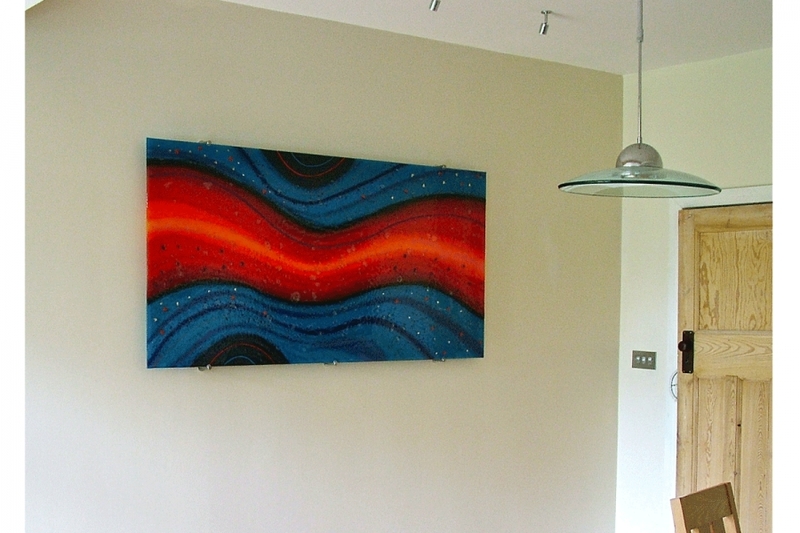 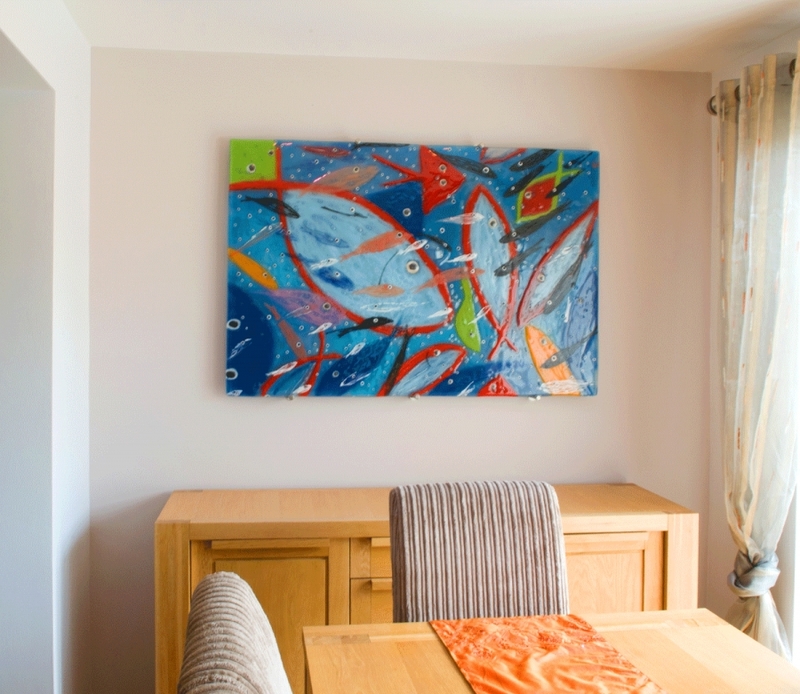 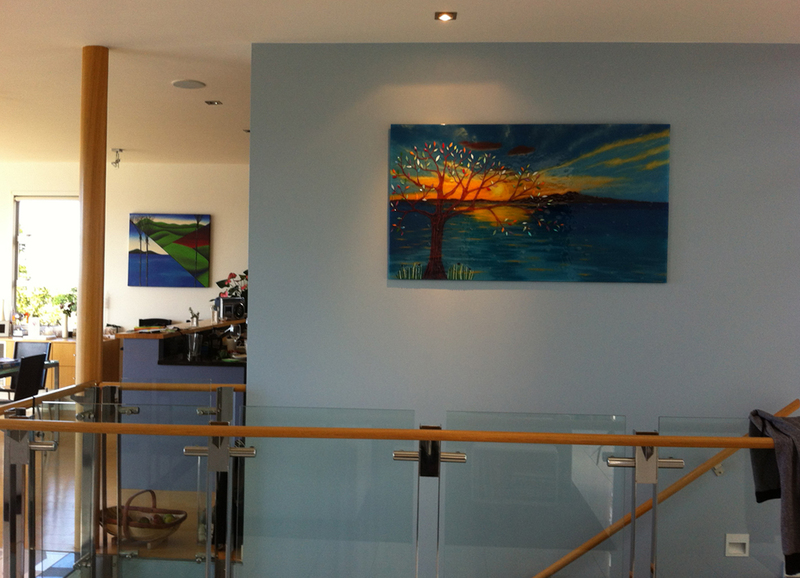 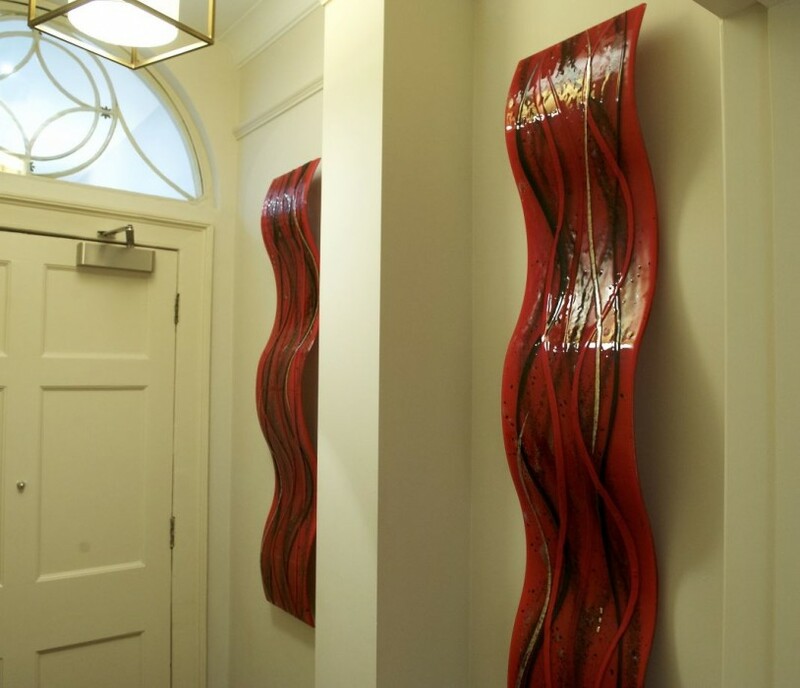 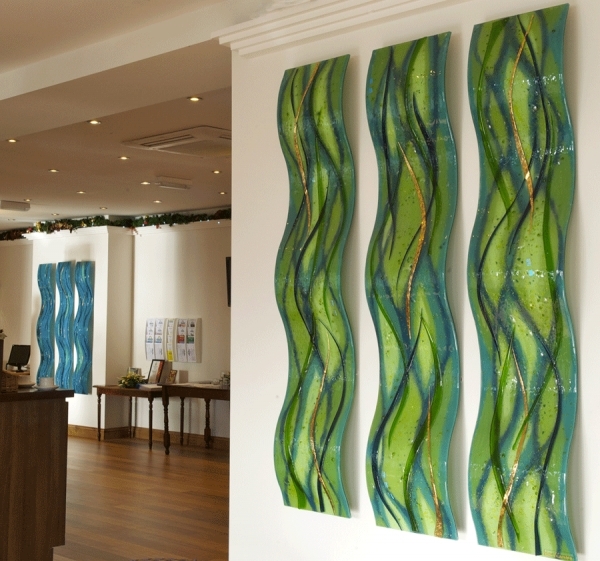 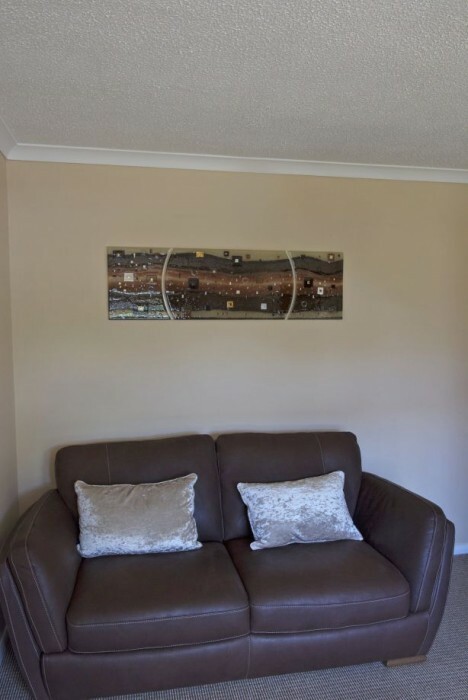 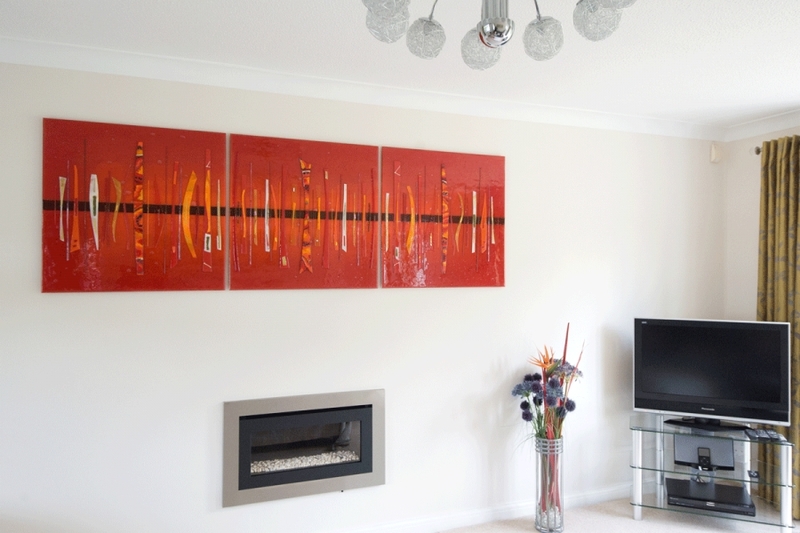 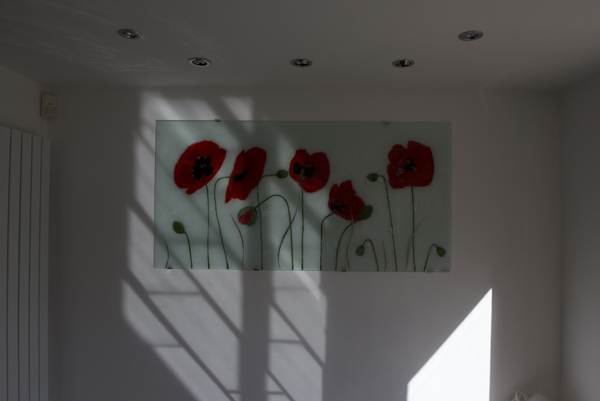 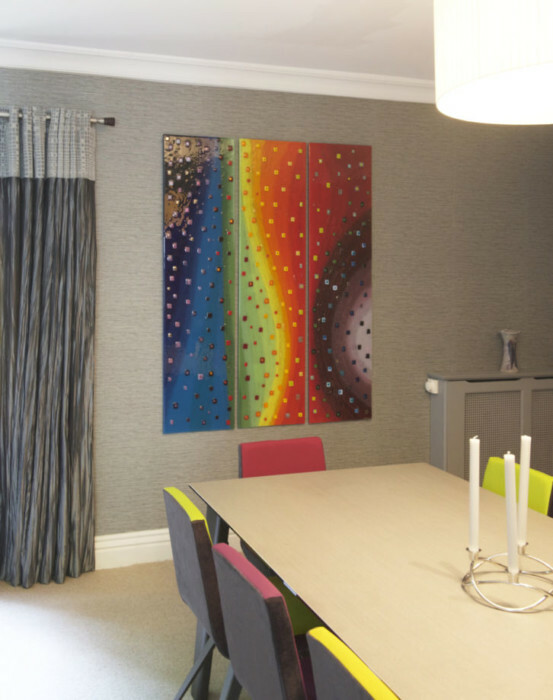 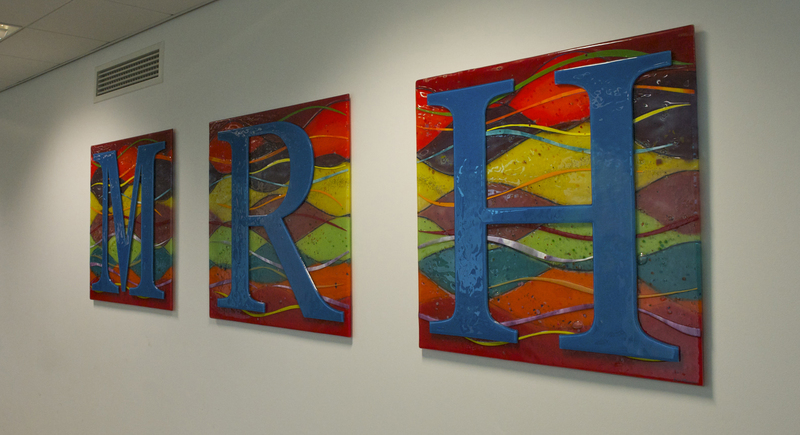 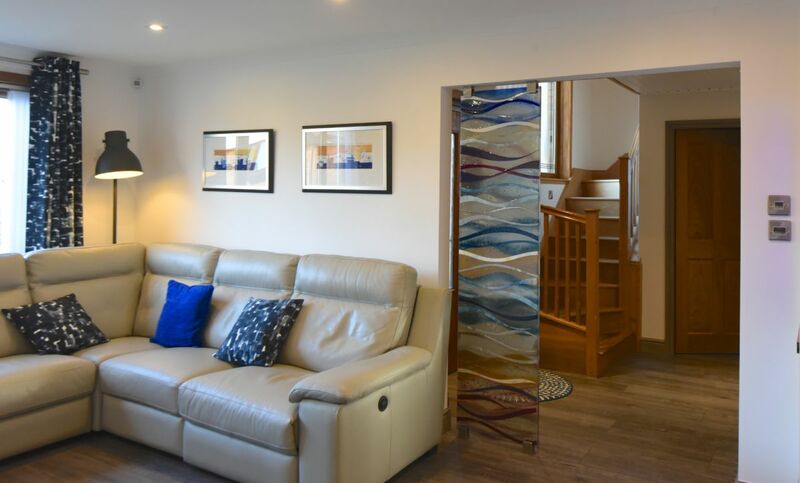 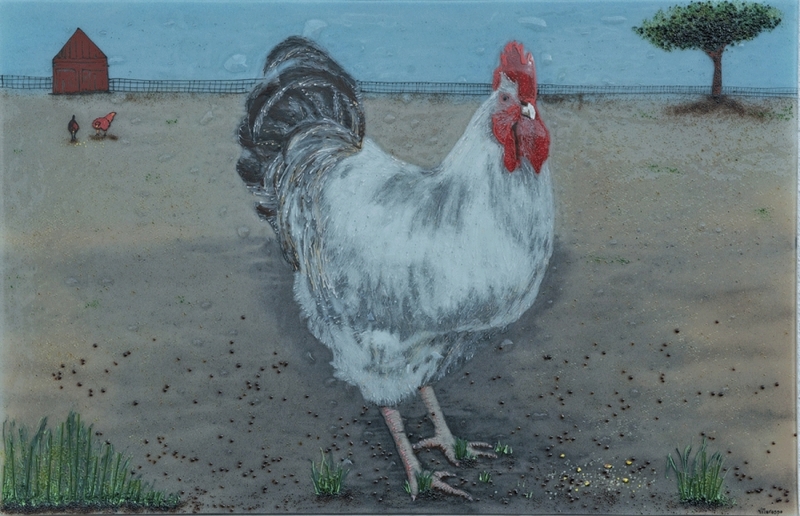 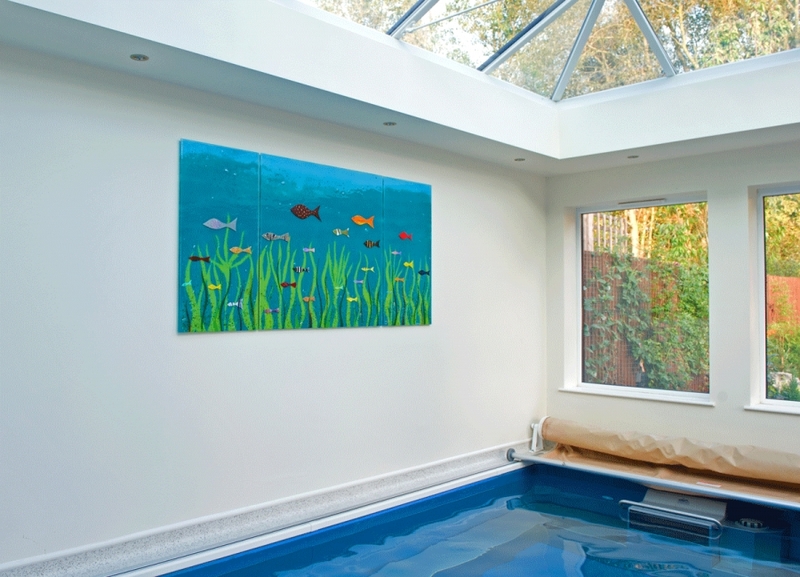 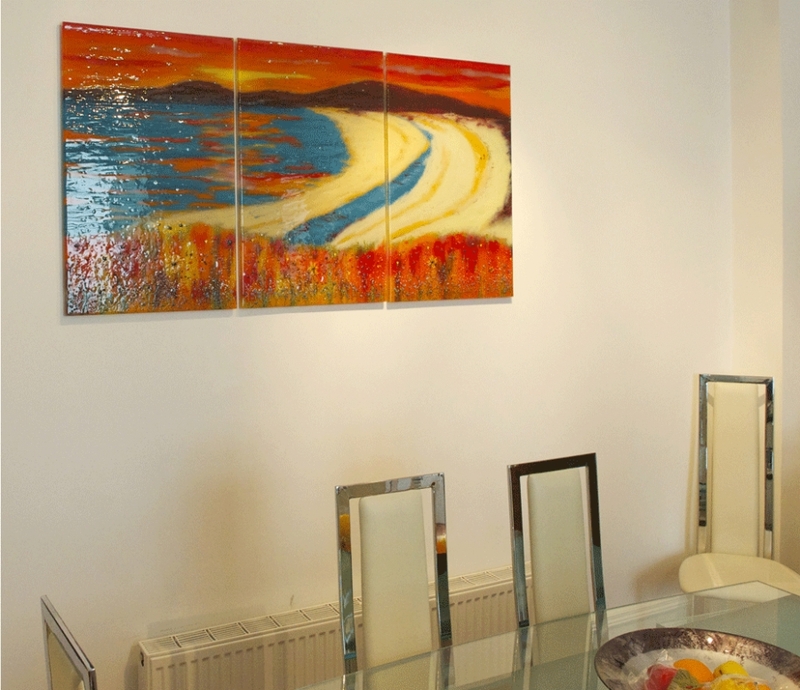 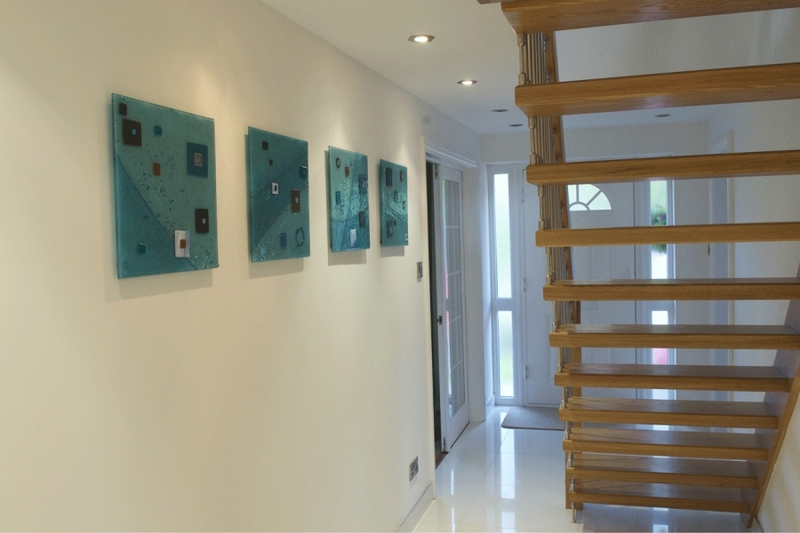 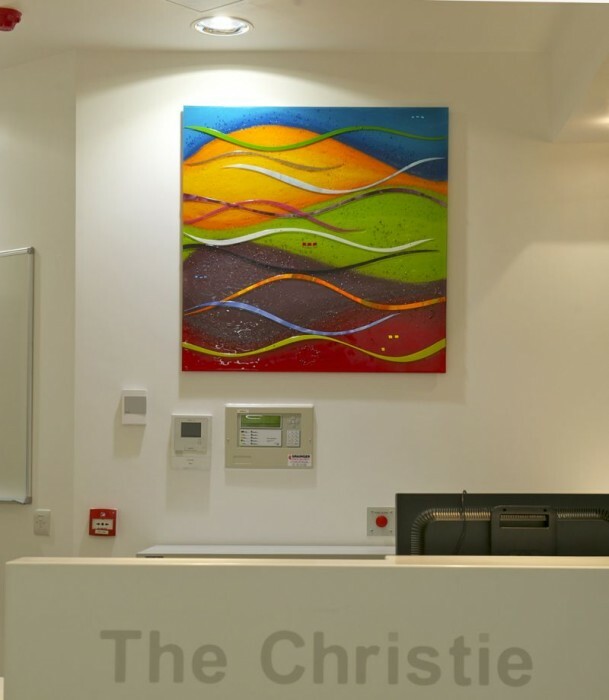 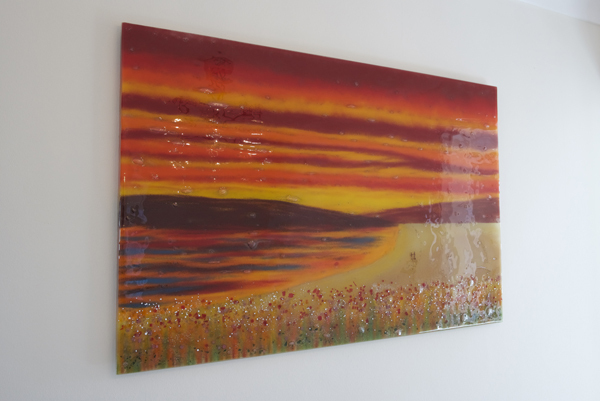 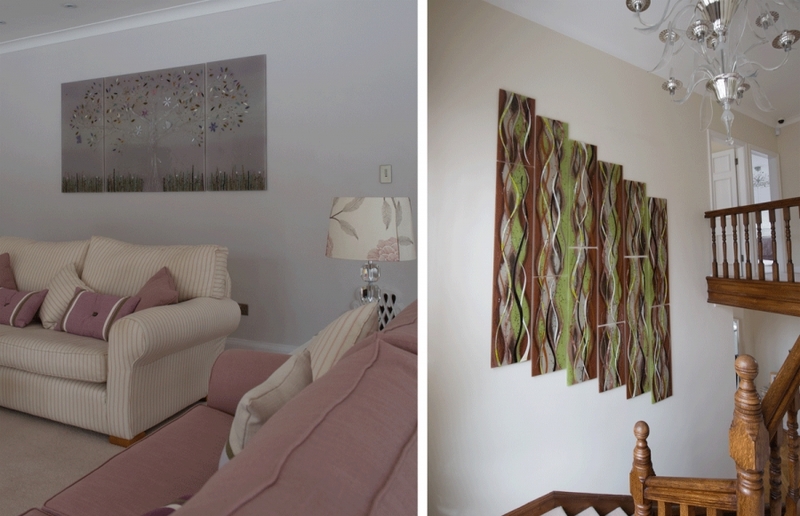 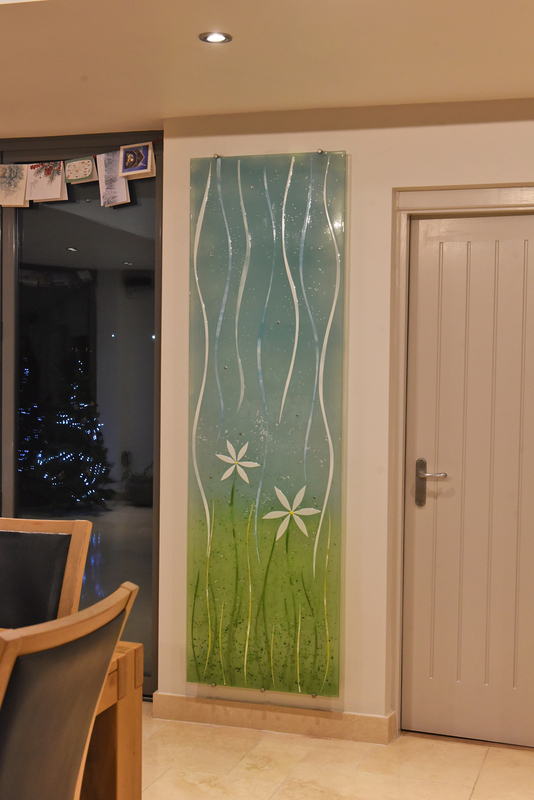 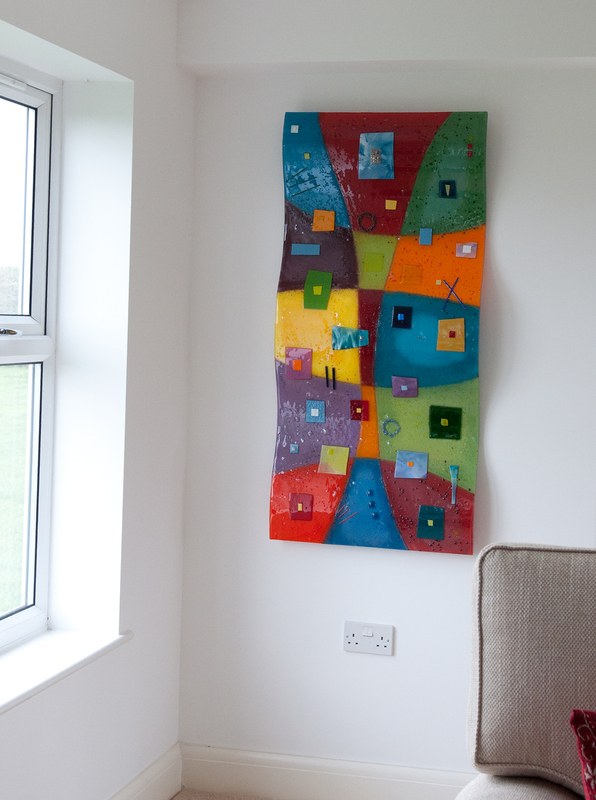 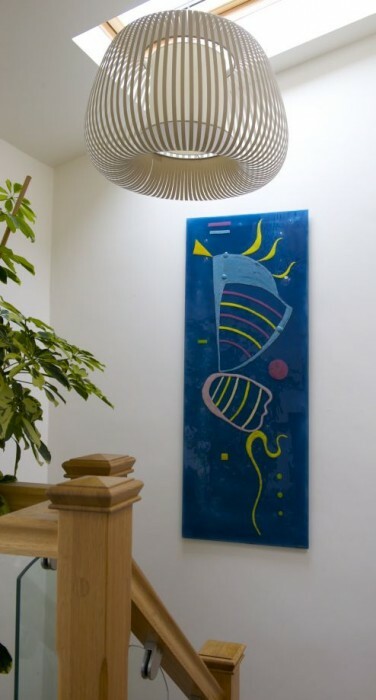 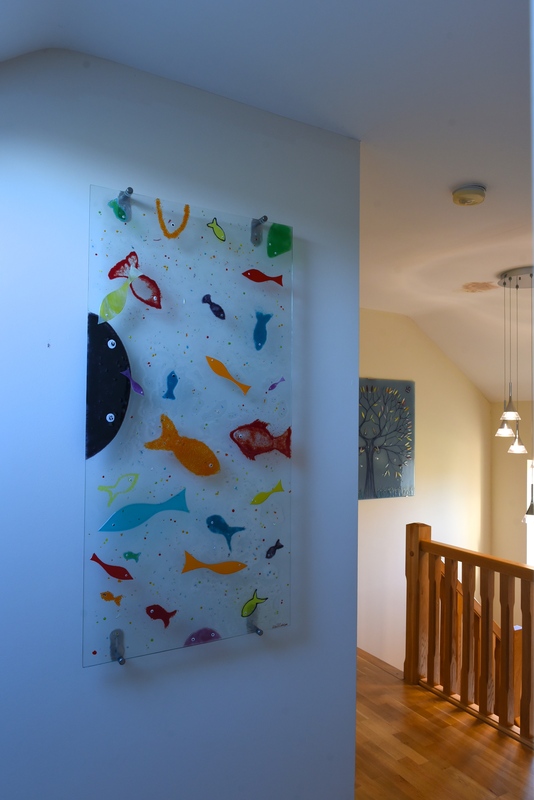 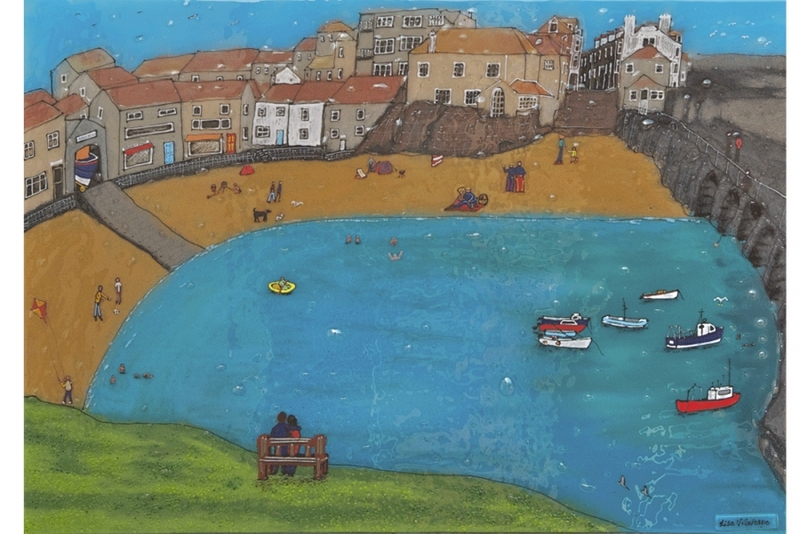 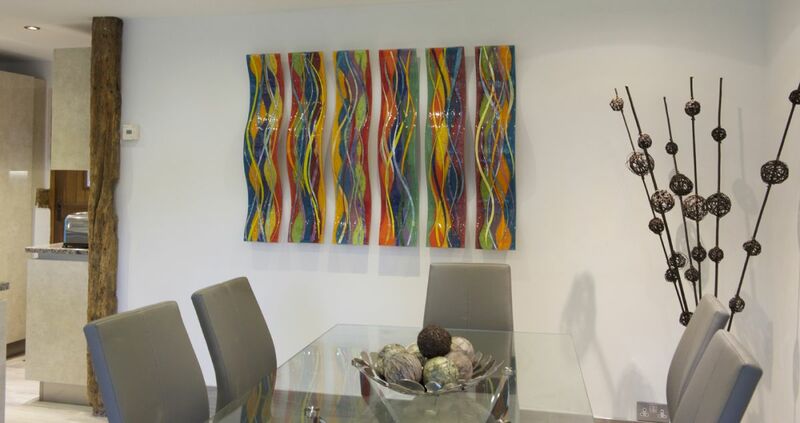 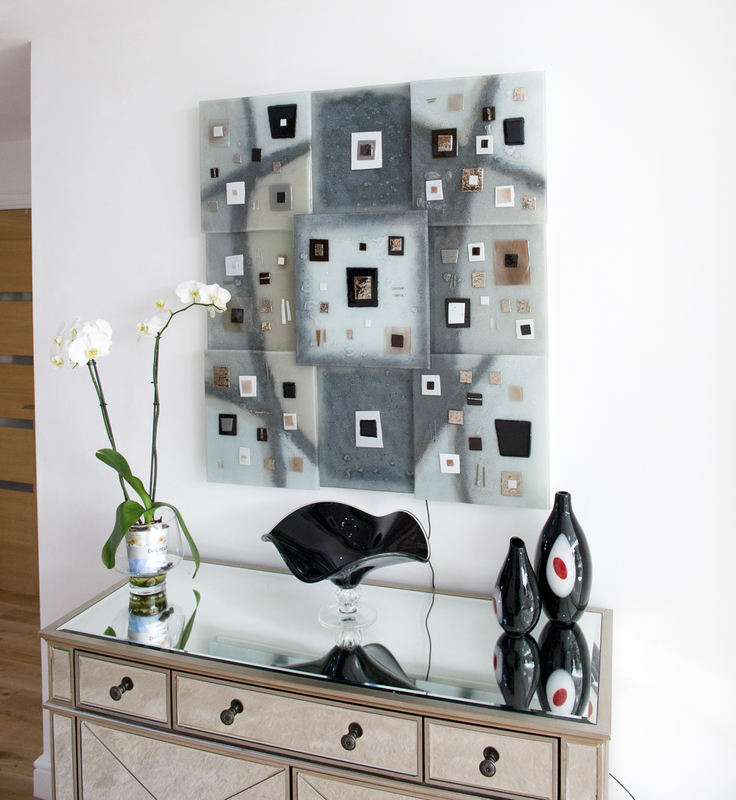 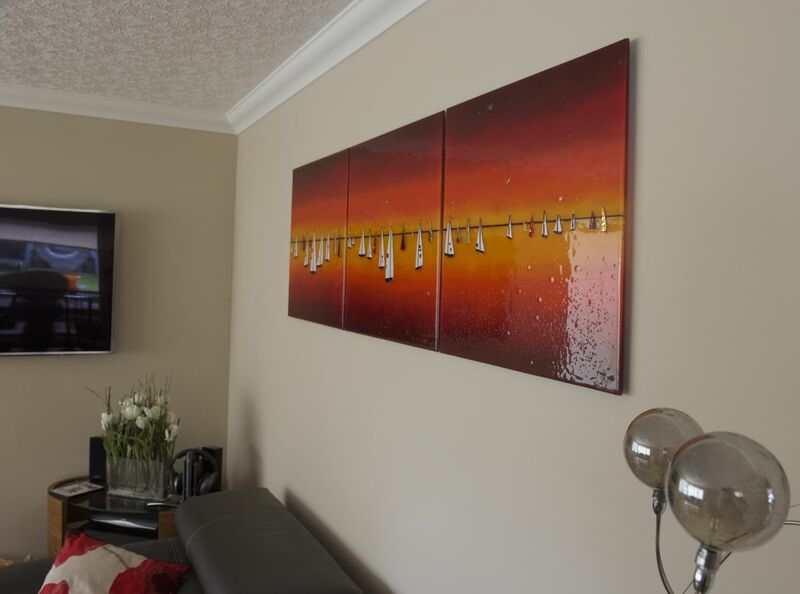 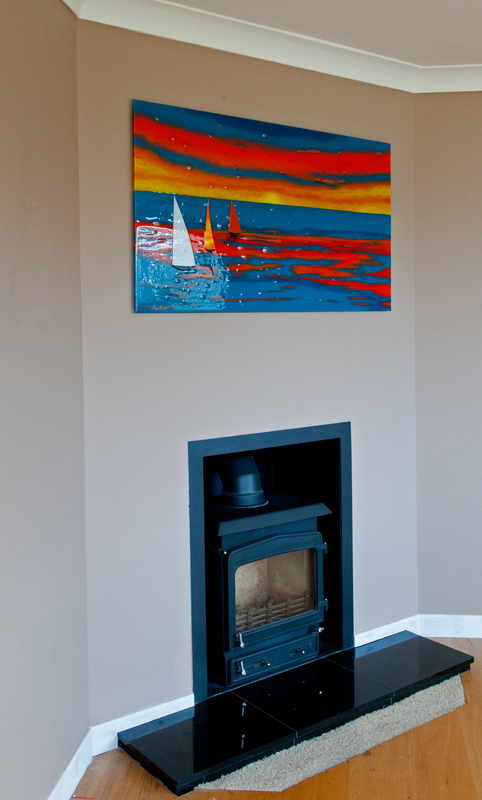 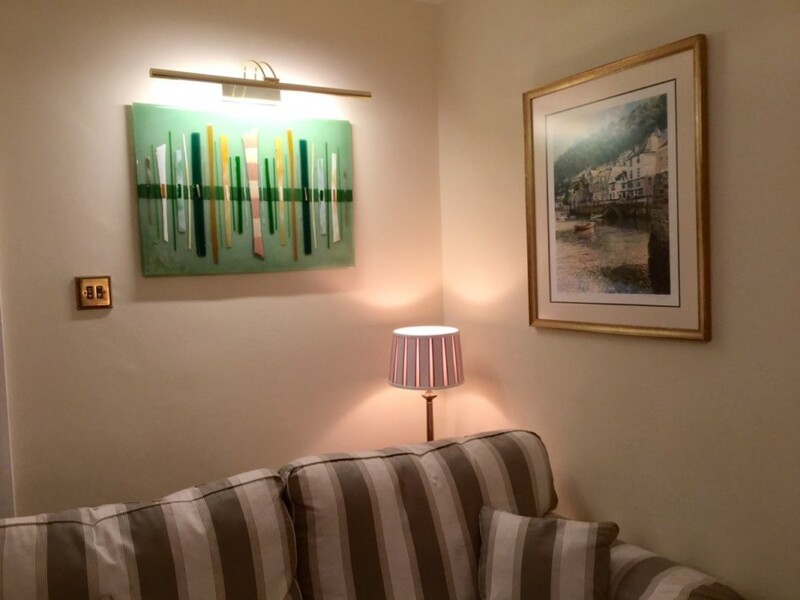 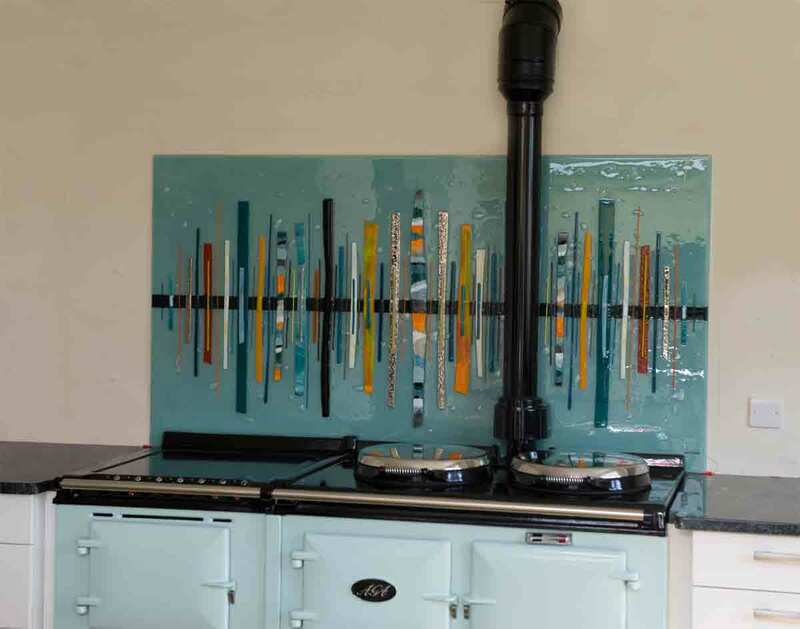 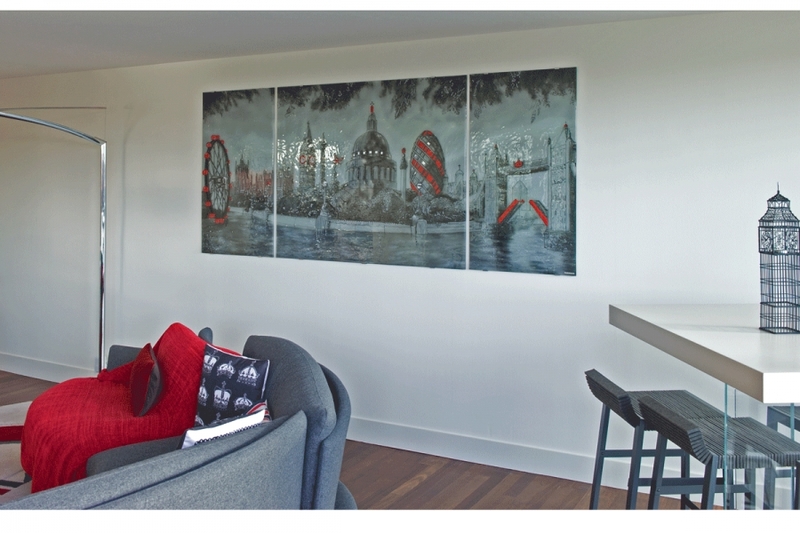 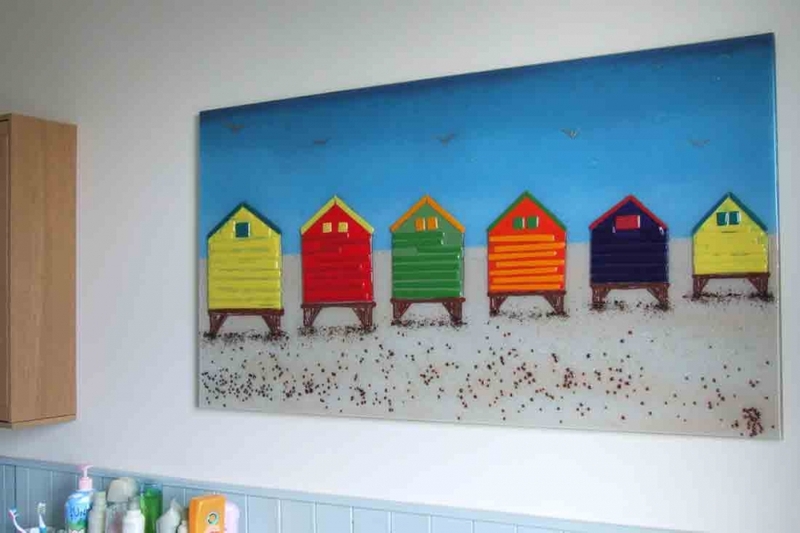 This piece was featured in a home in Brighton. 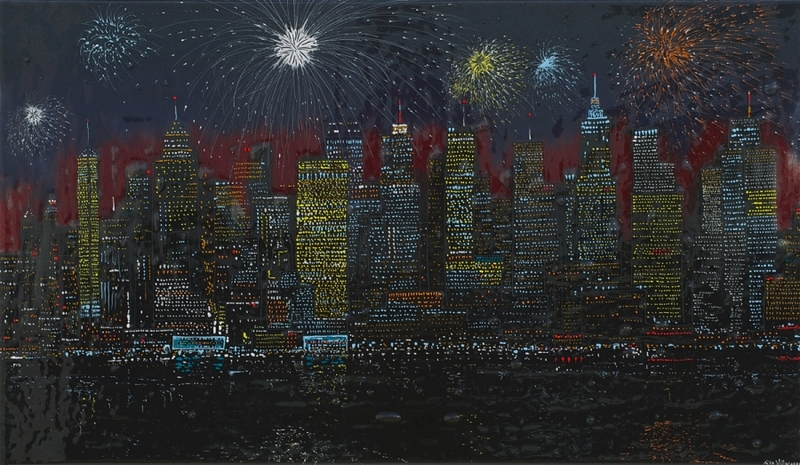 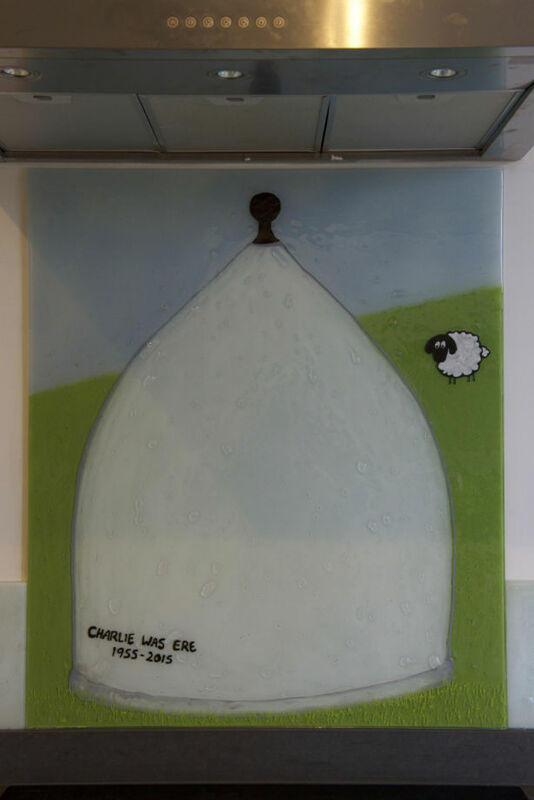 If you were looking for a piece that exemplifies the term ‘statement piece’, this is it. 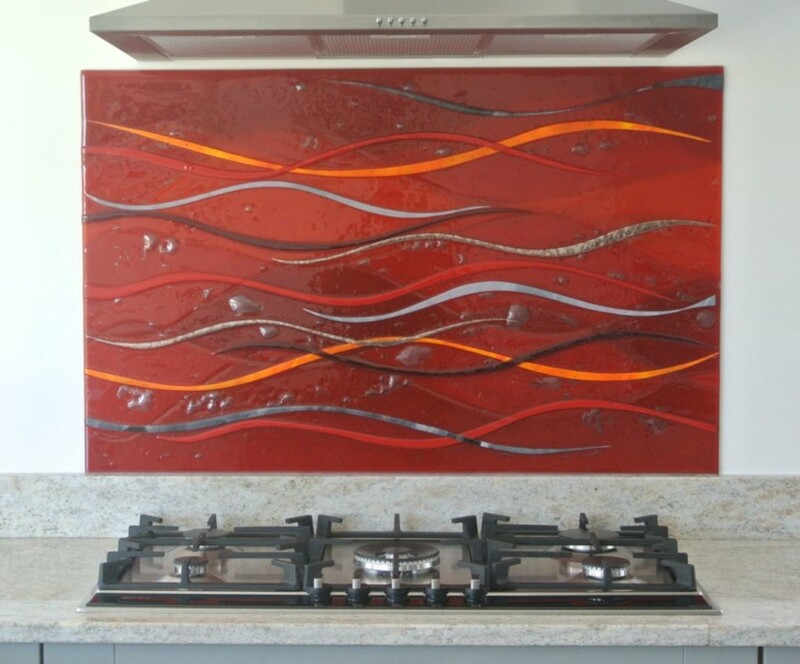 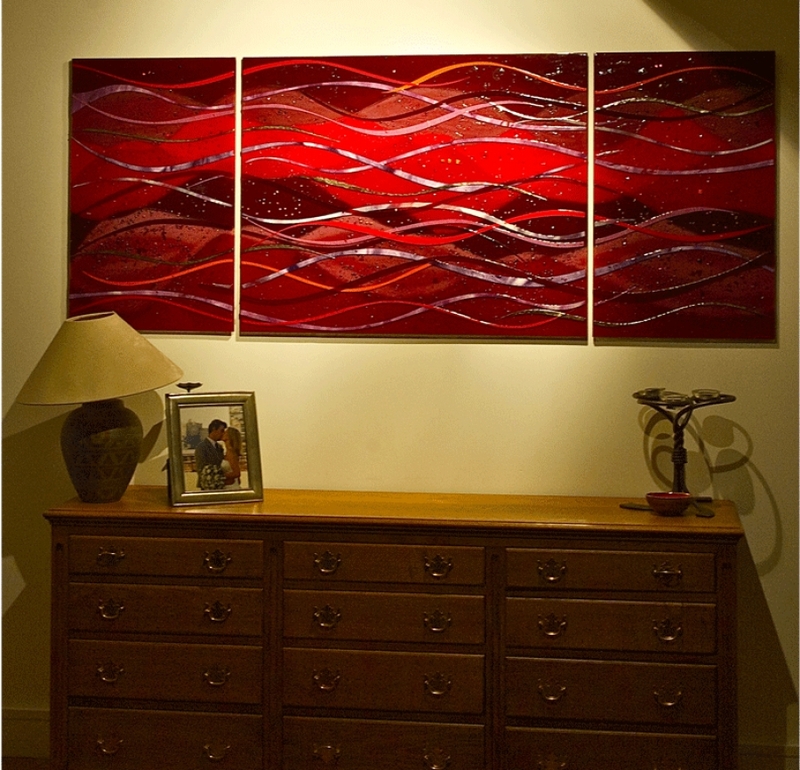 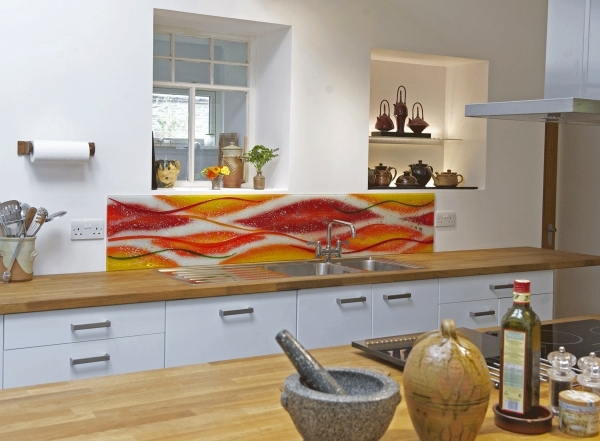 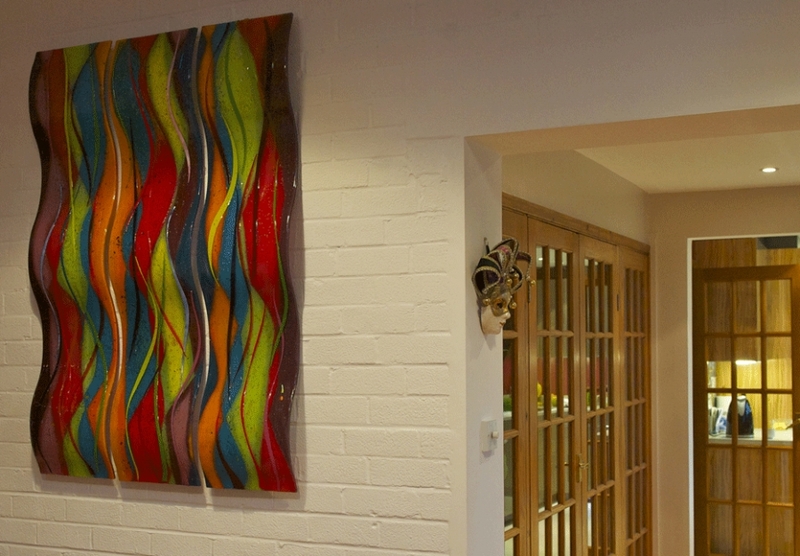 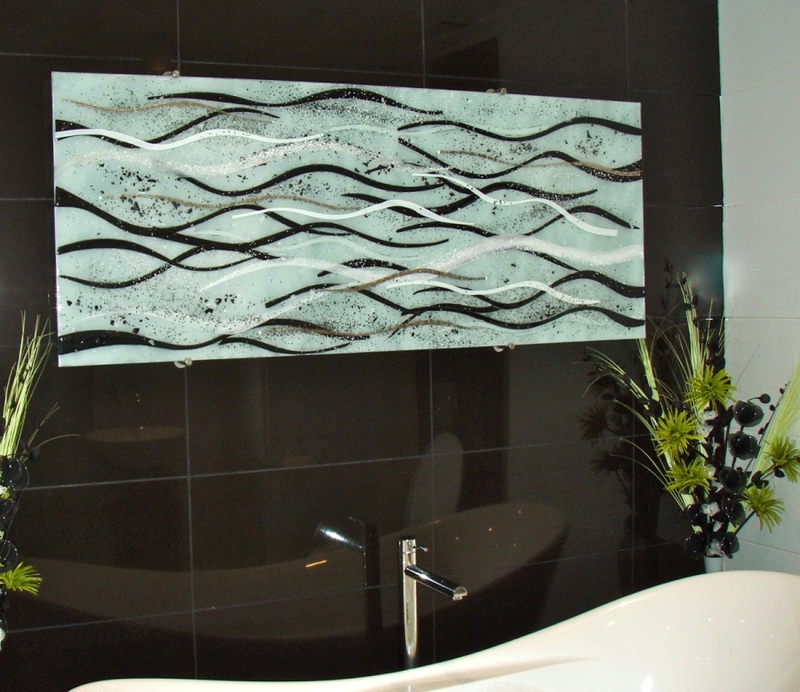 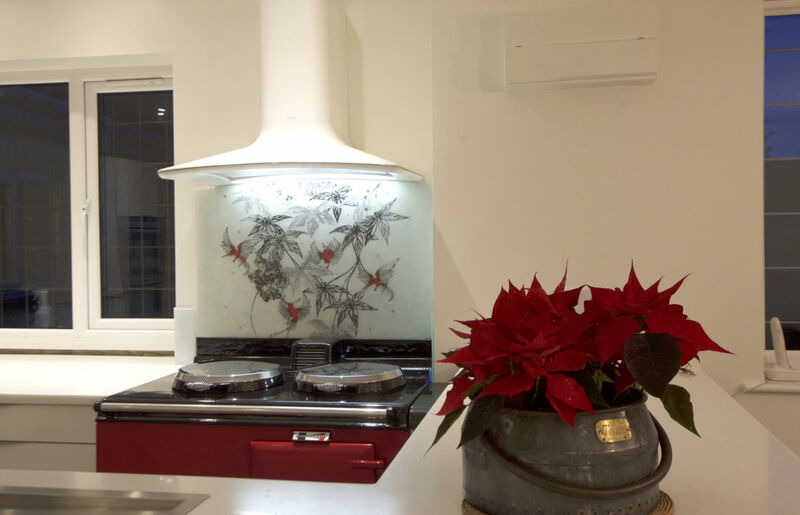 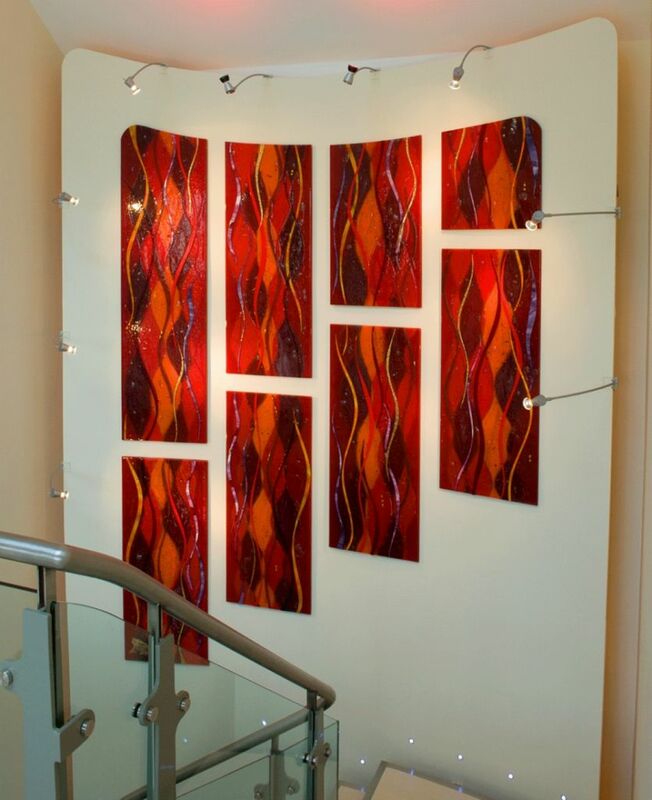 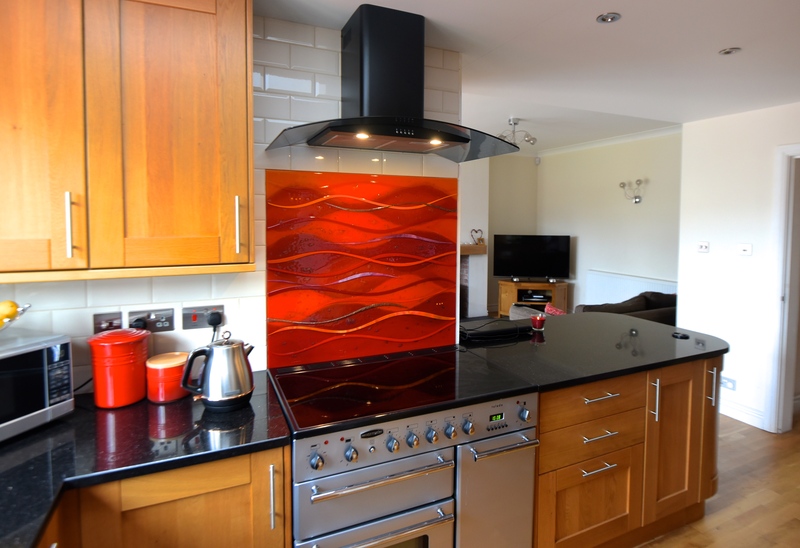 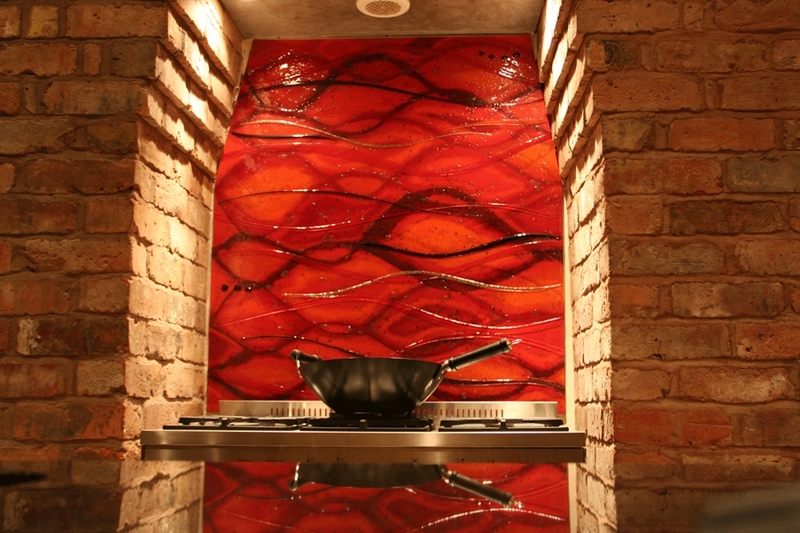 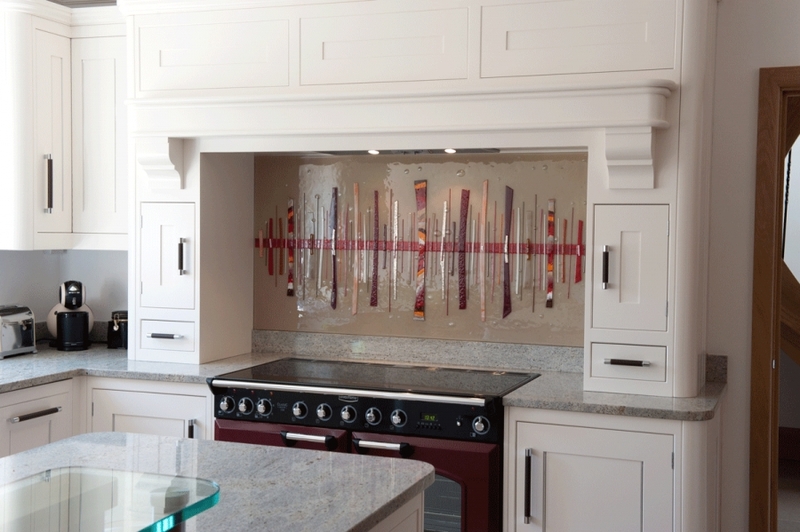 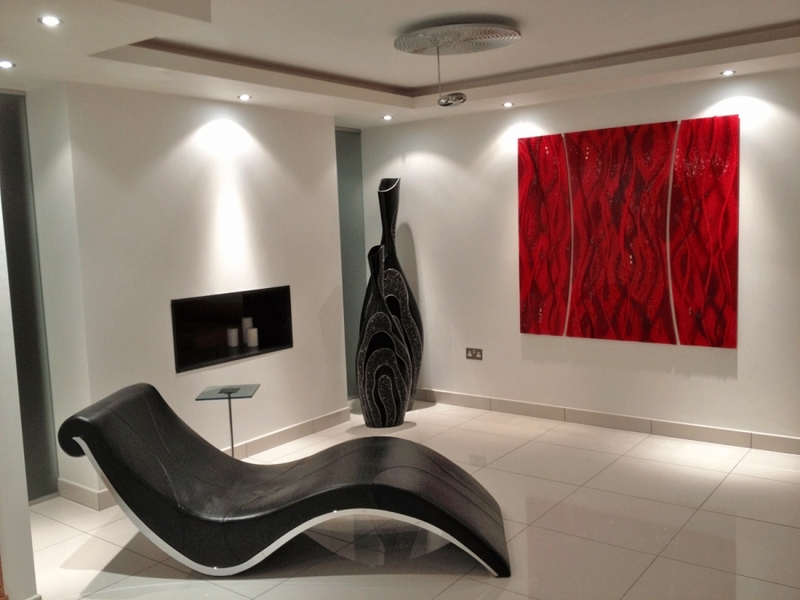 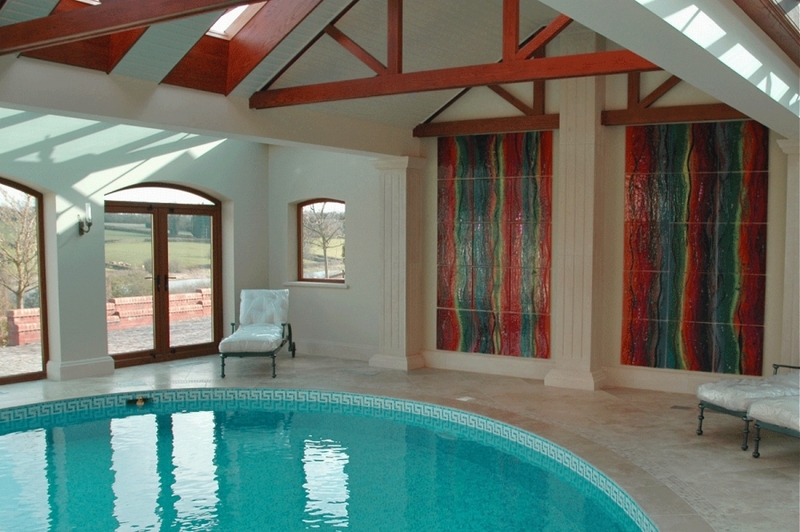 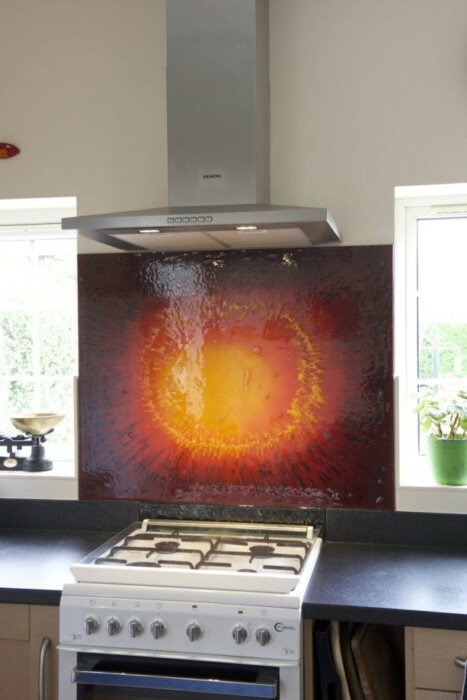 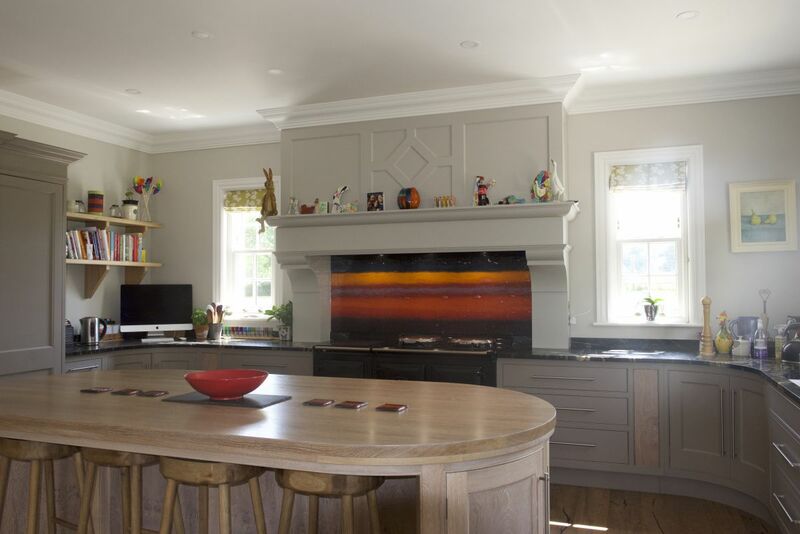 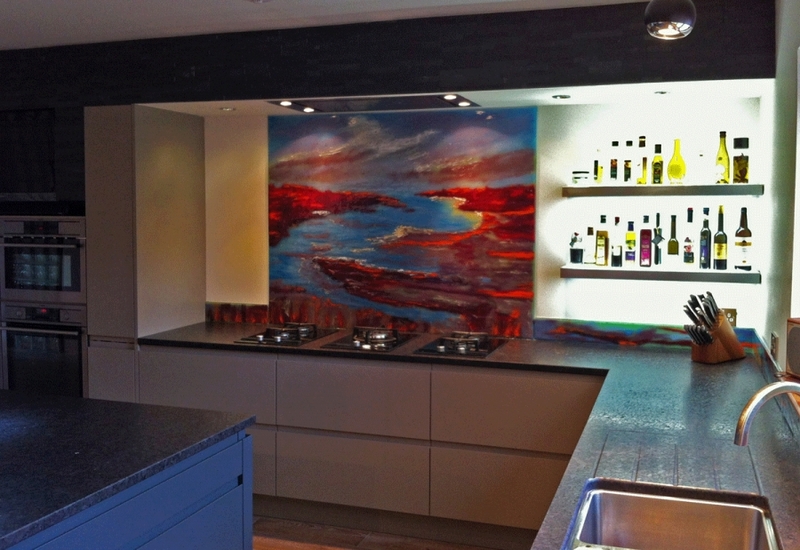 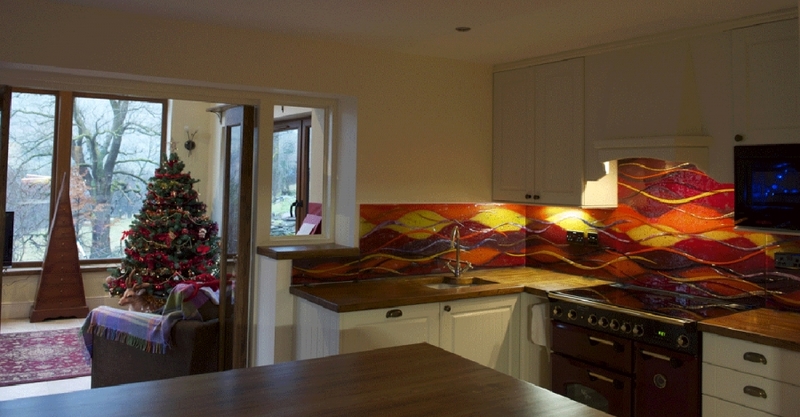 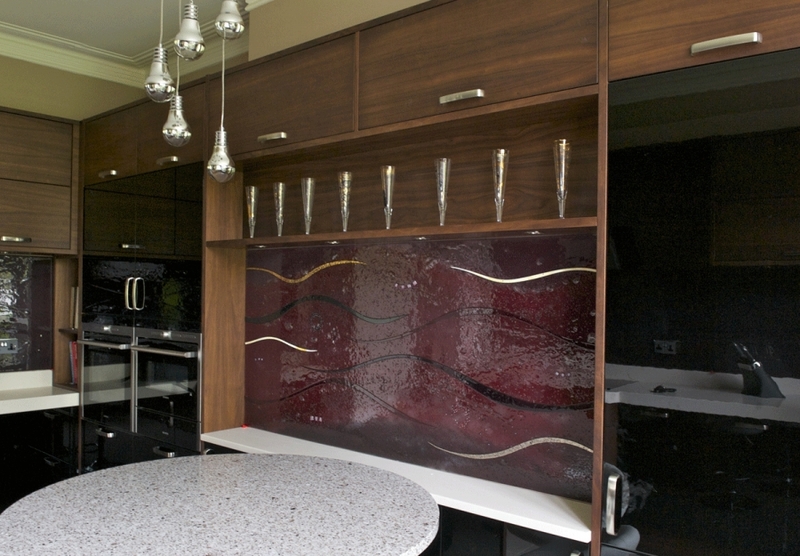 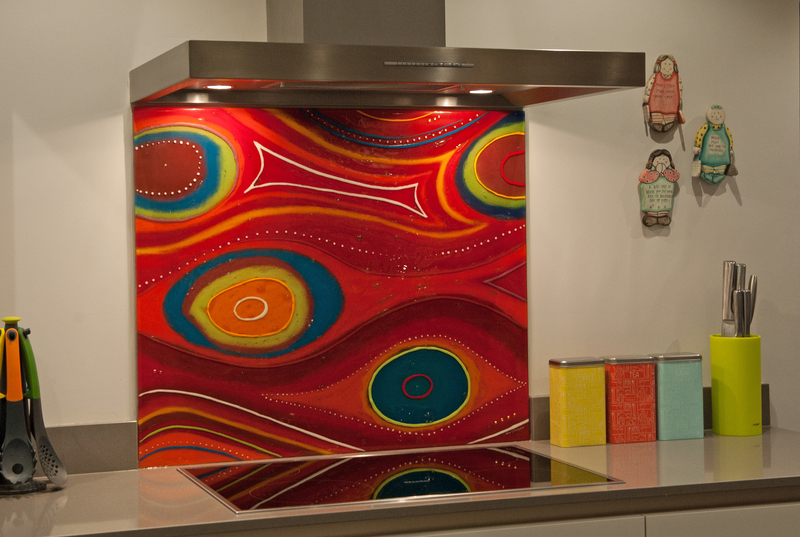 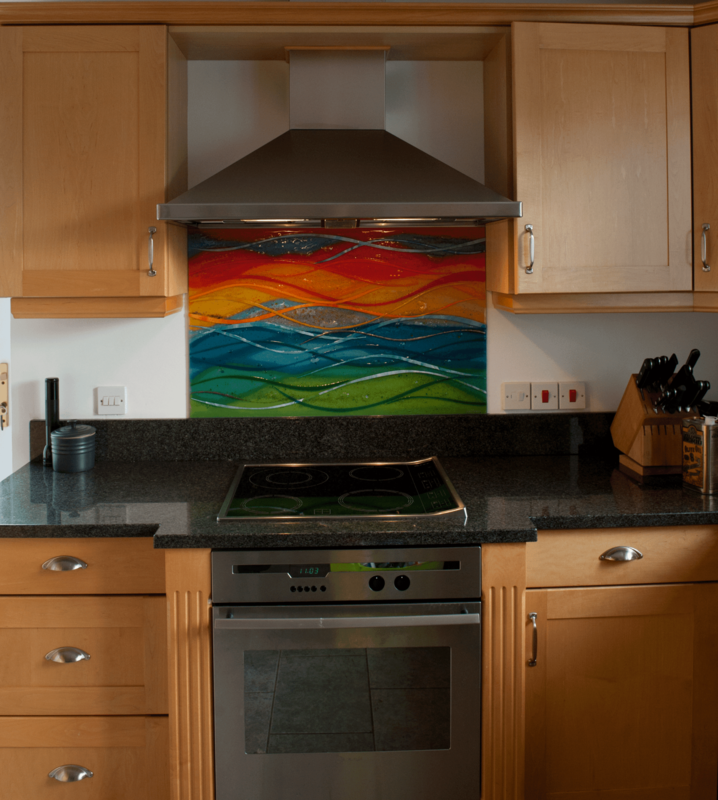 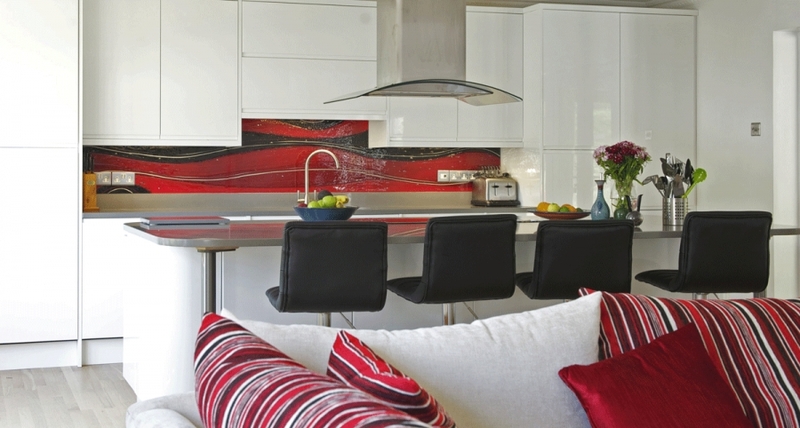 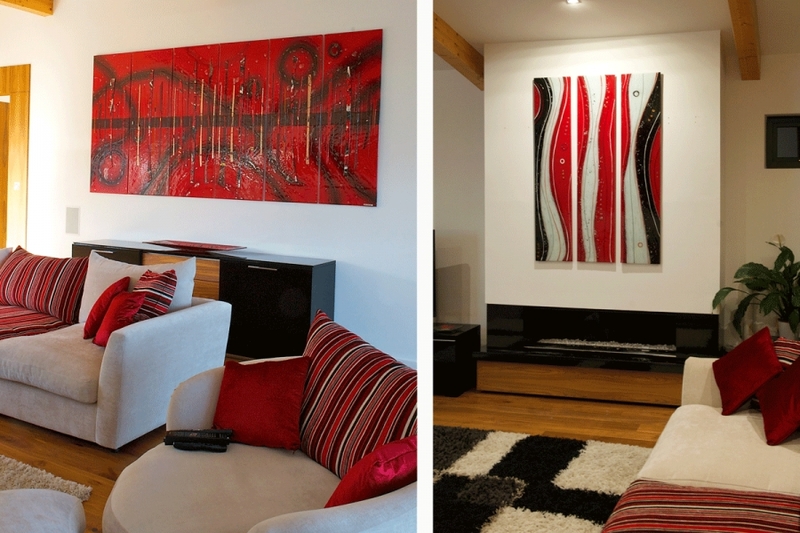 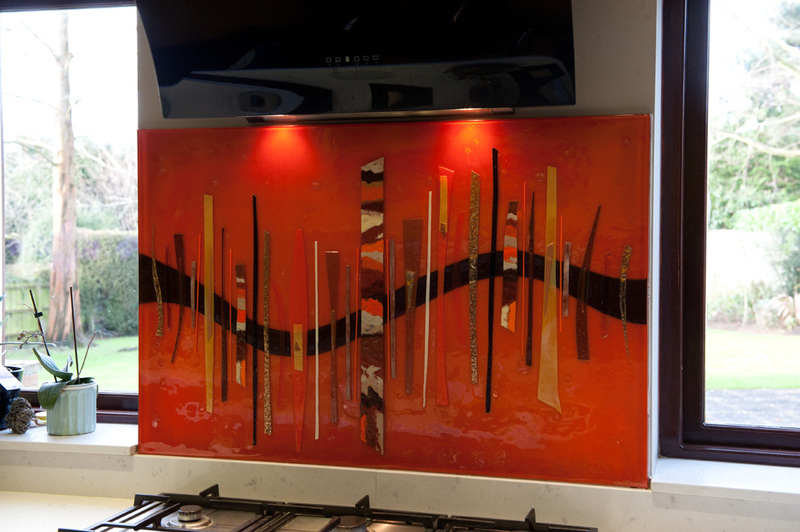 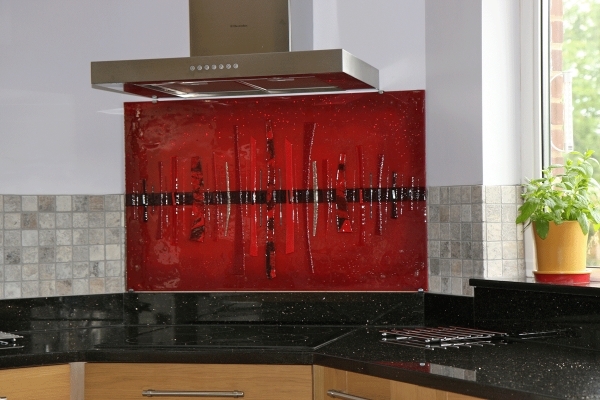 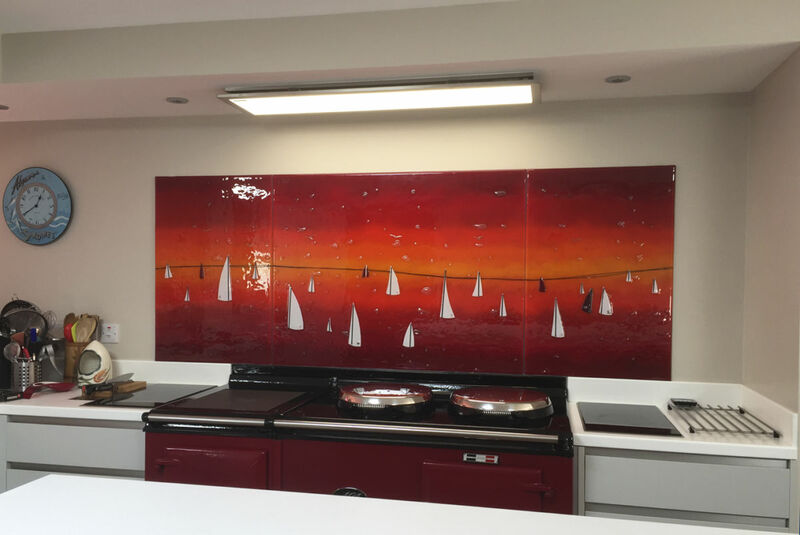 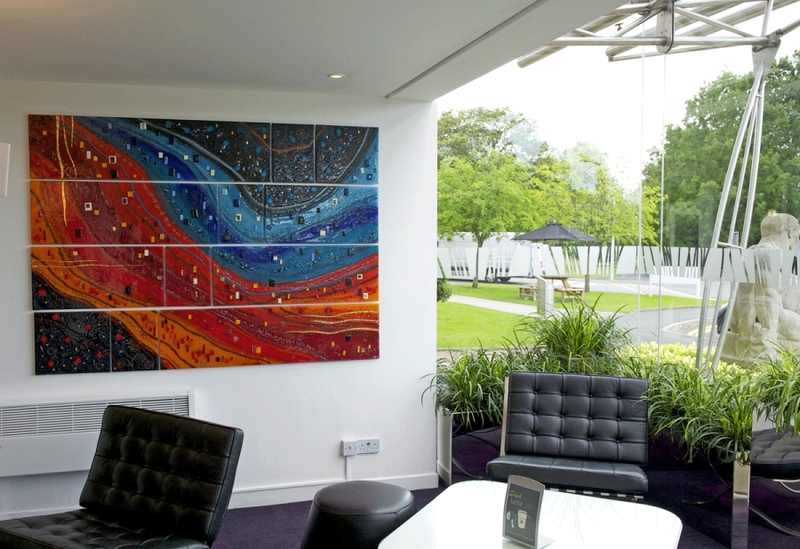 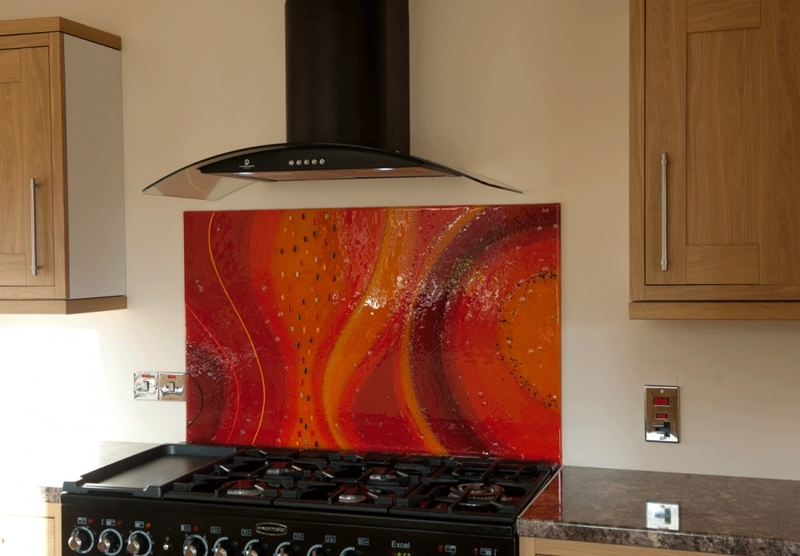 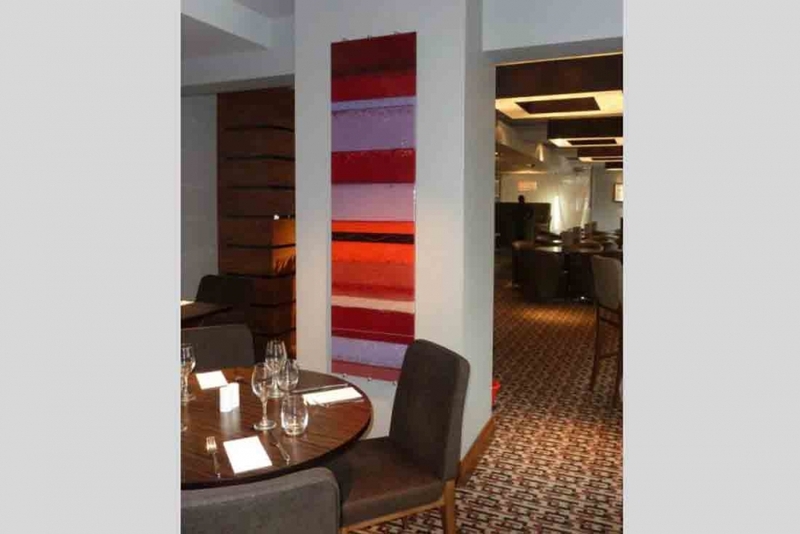 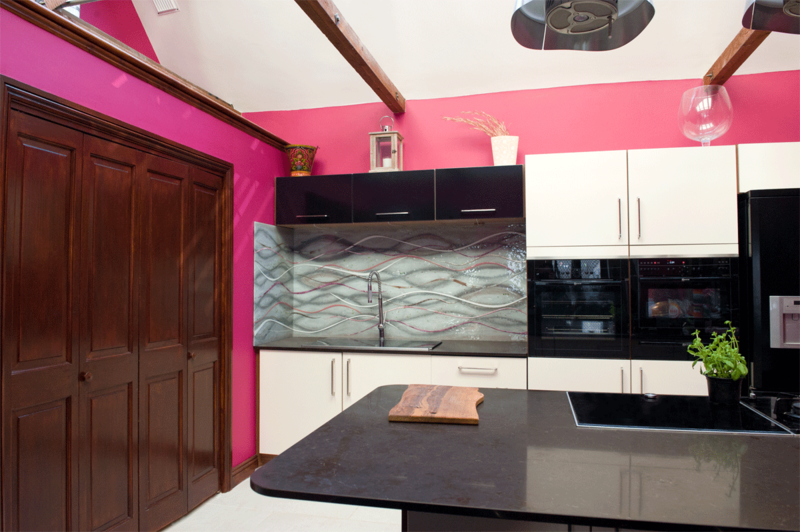 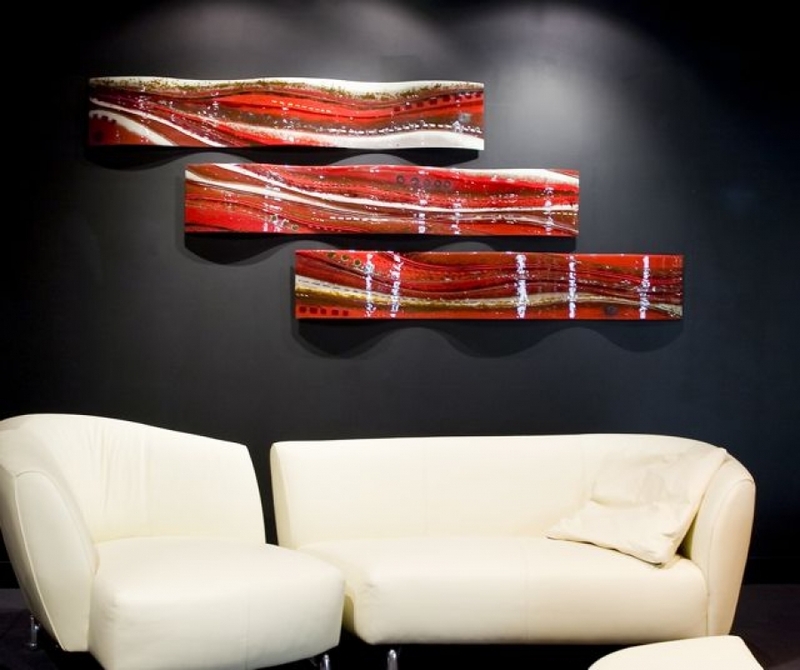 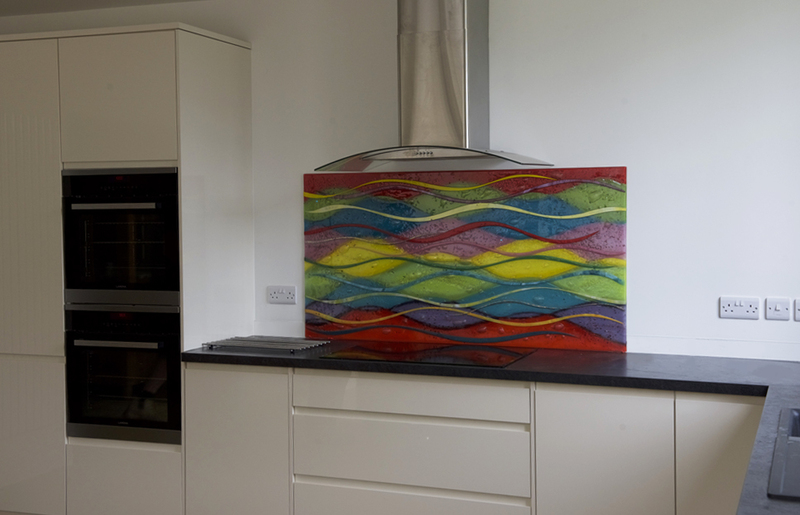 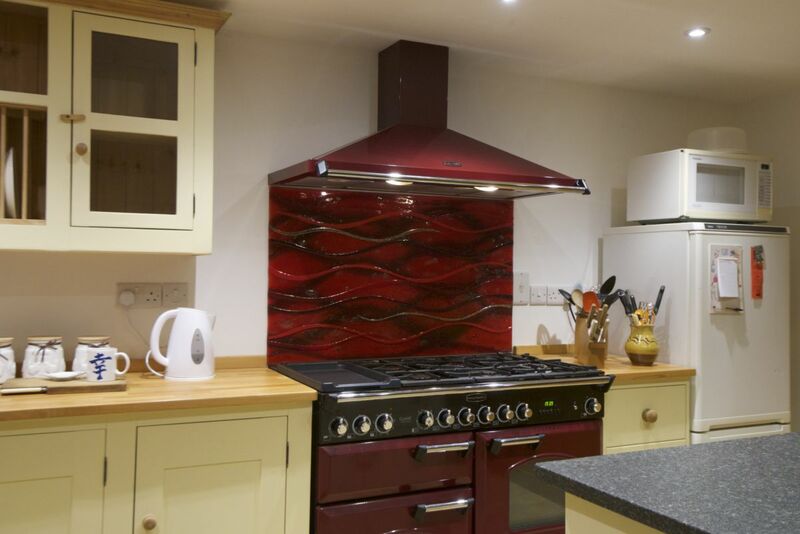 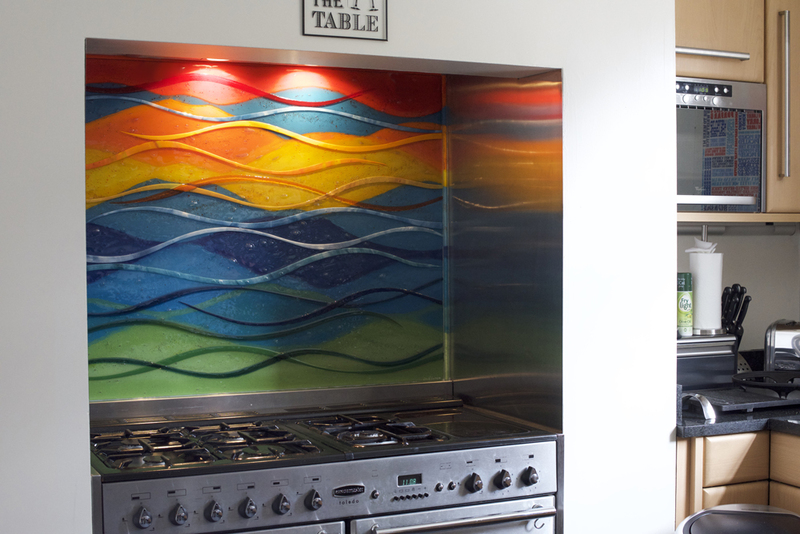 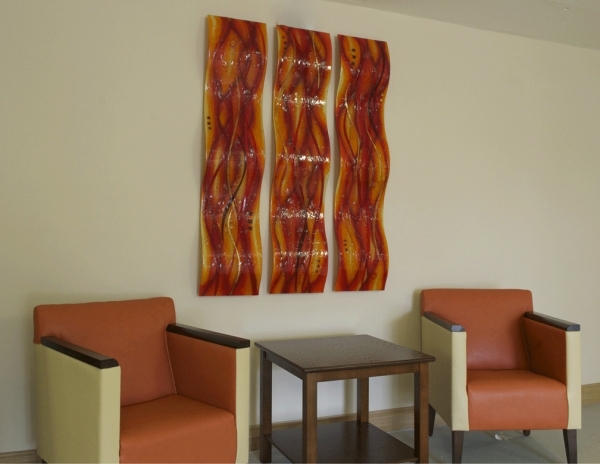 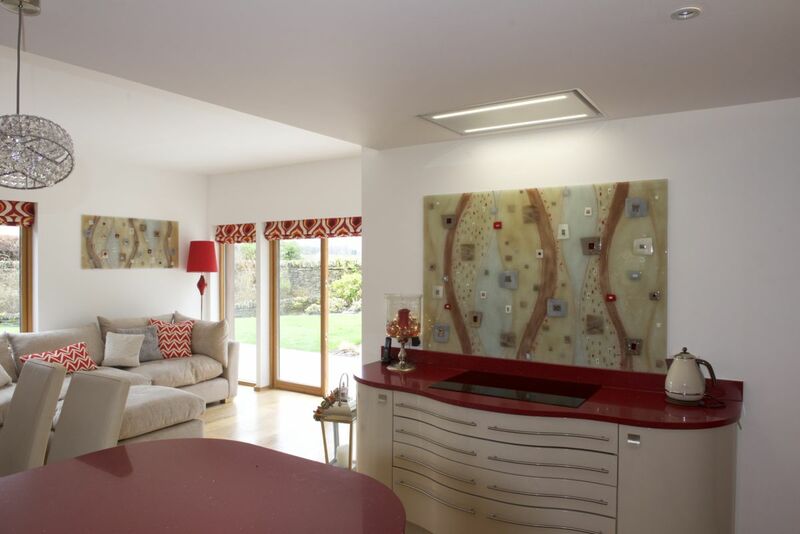 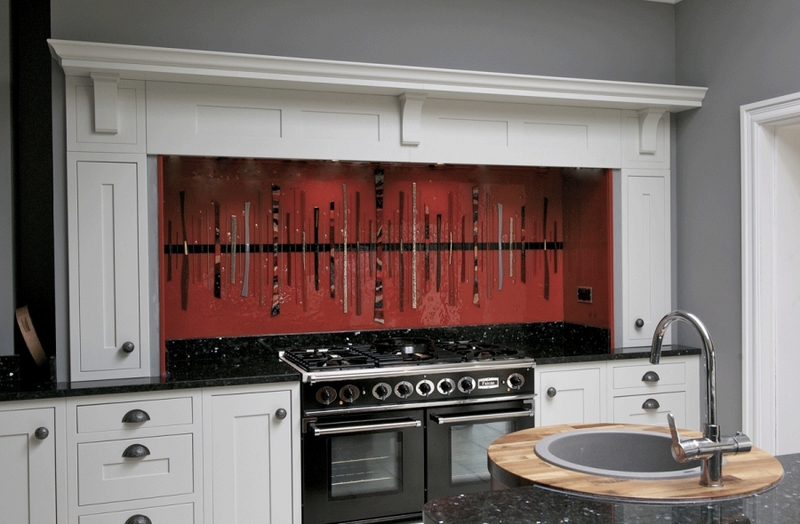 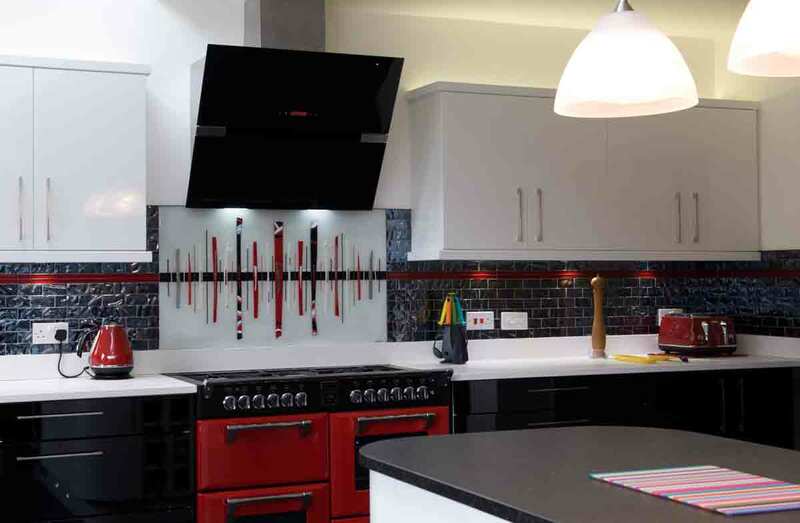 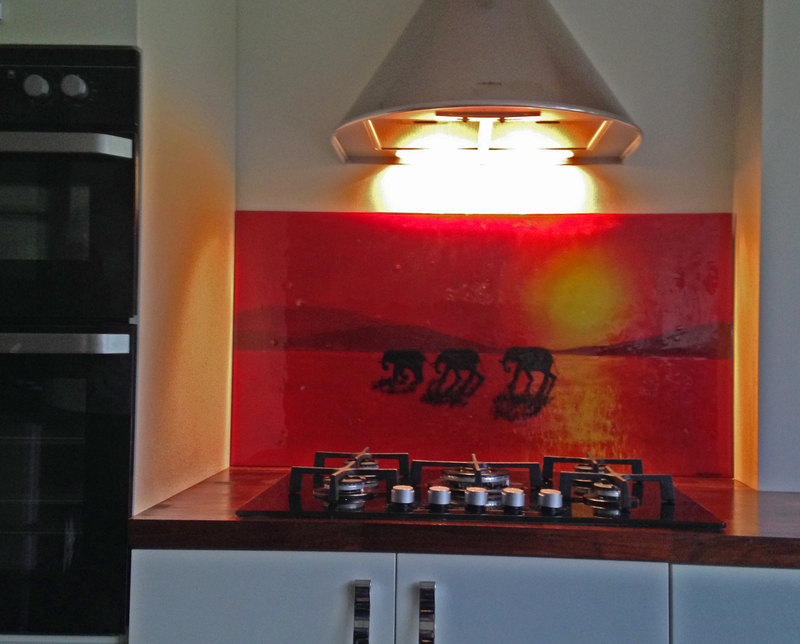 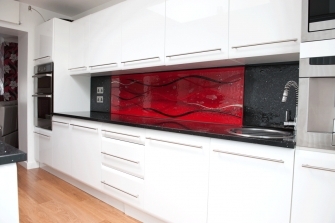 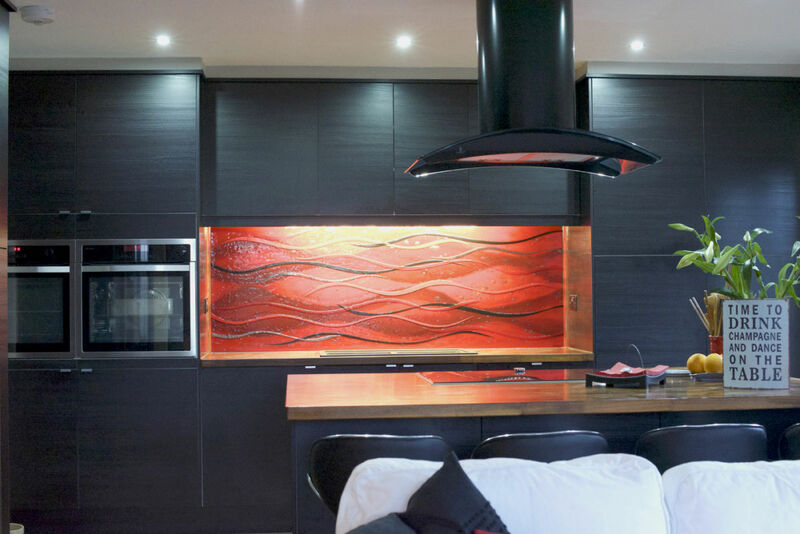 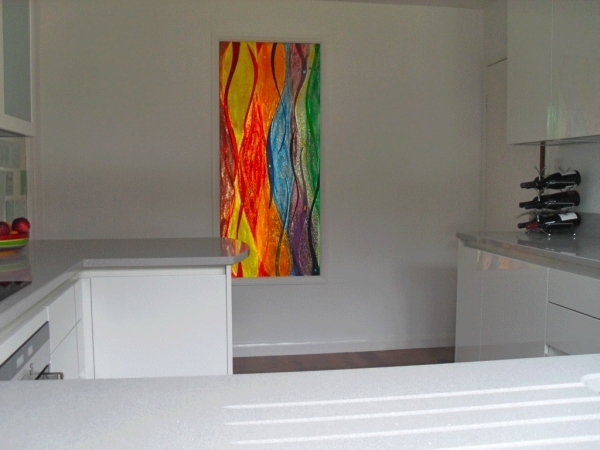 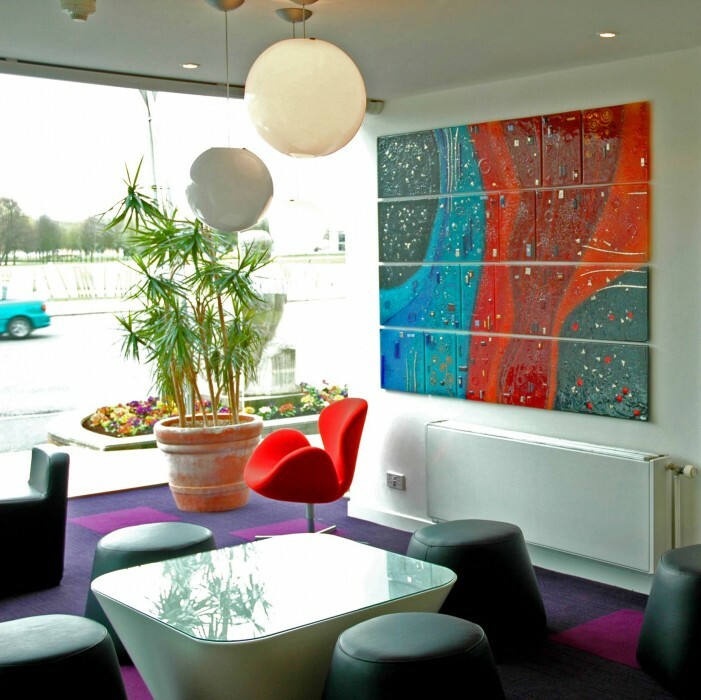 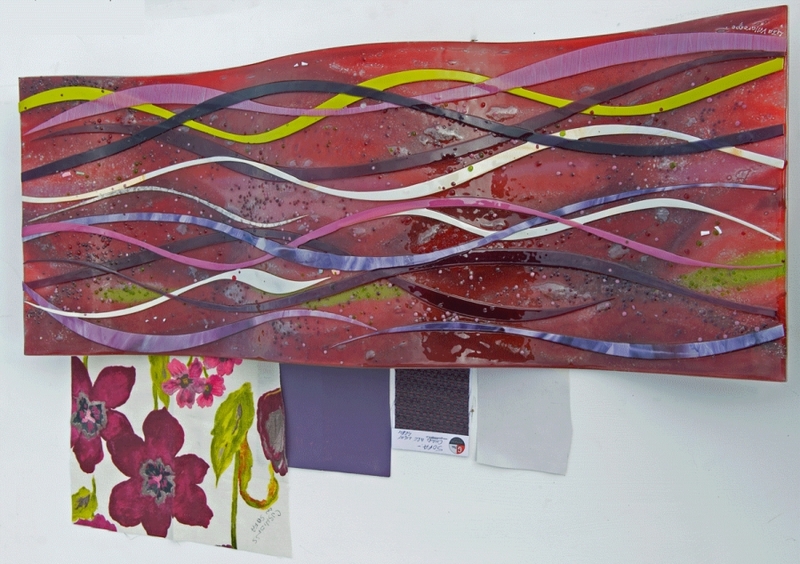 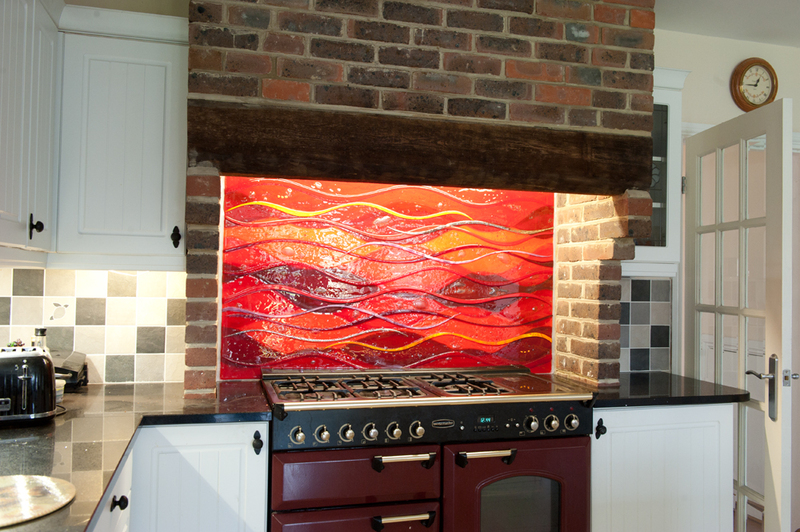 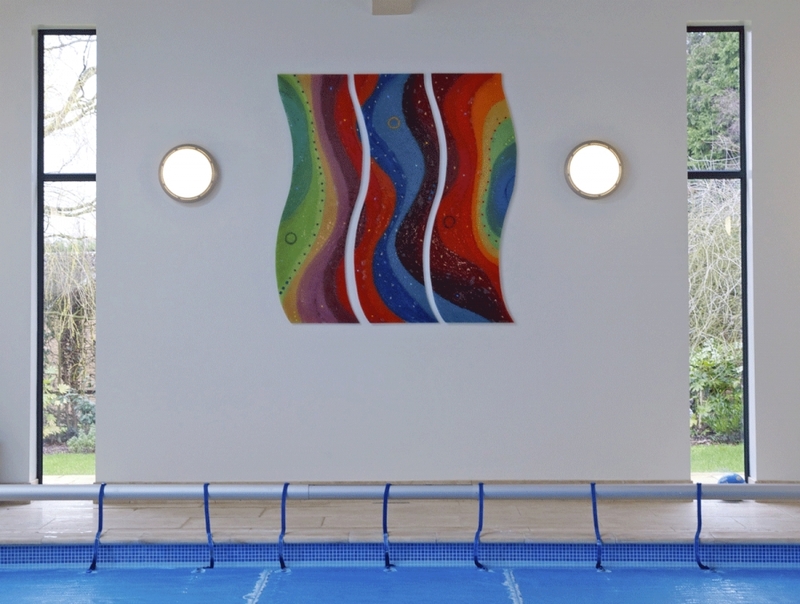 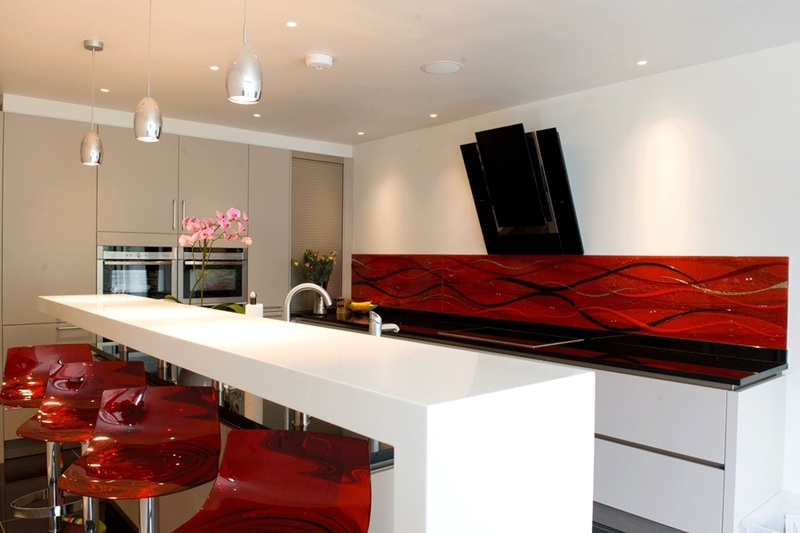 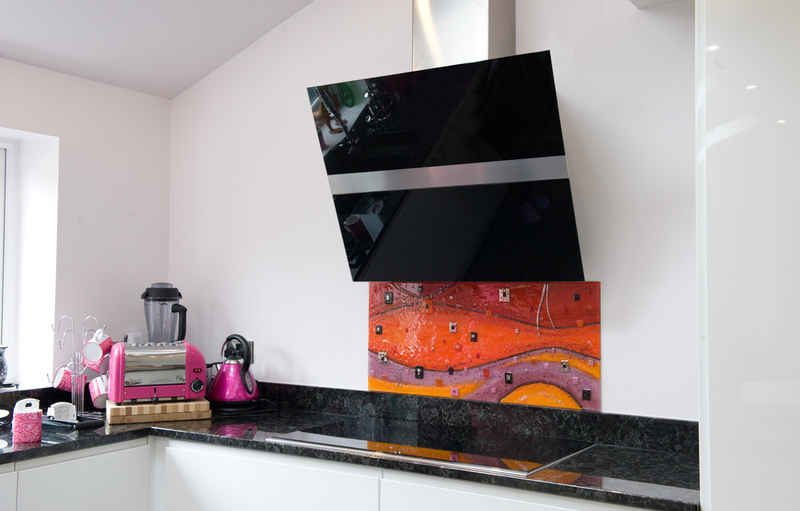 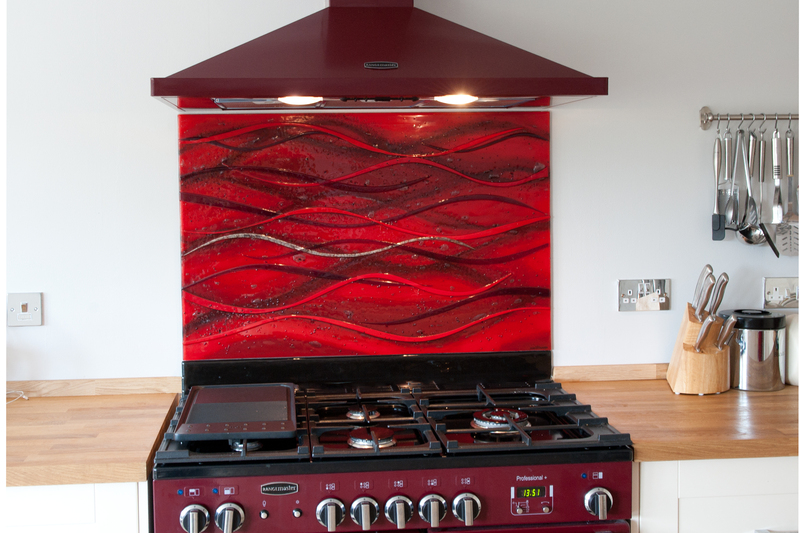 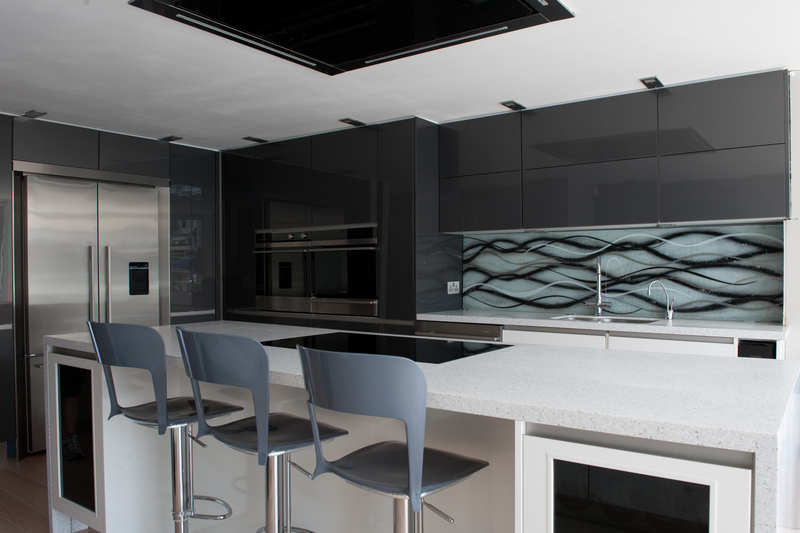 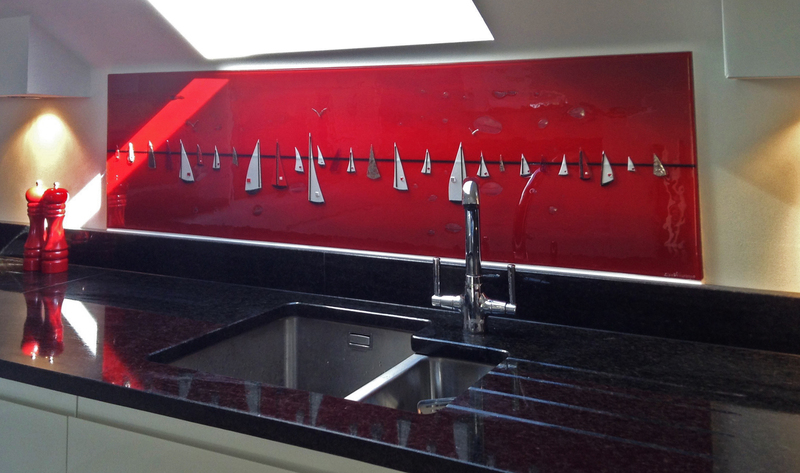 This three metre long splashback displays a stunning blend of bold red and dark black in a wave design. 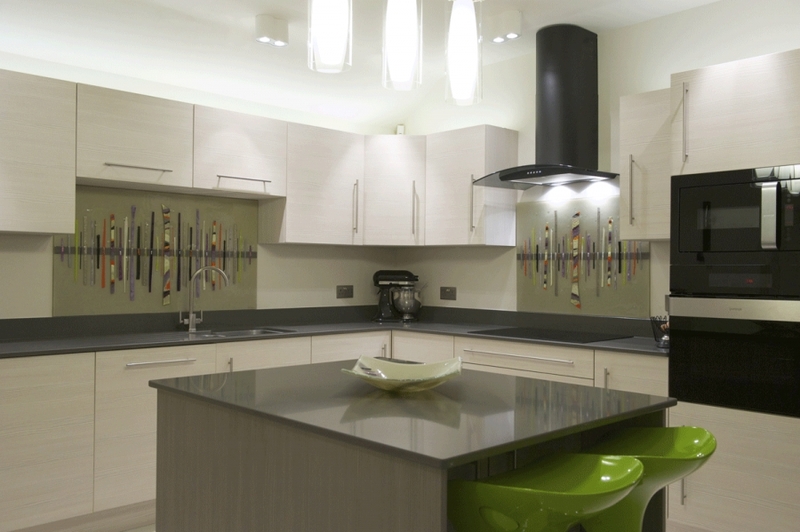 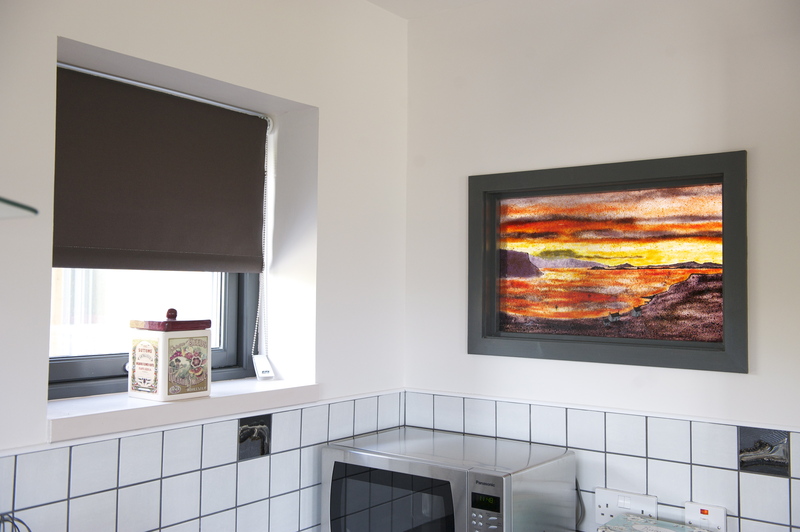 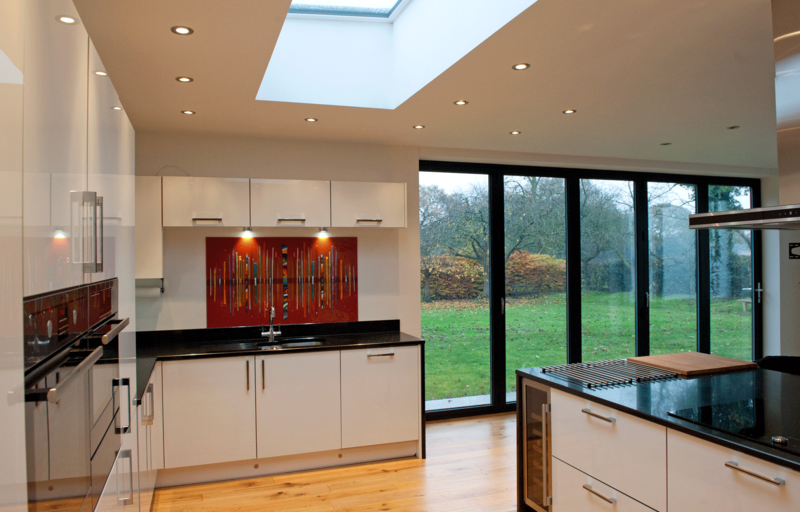 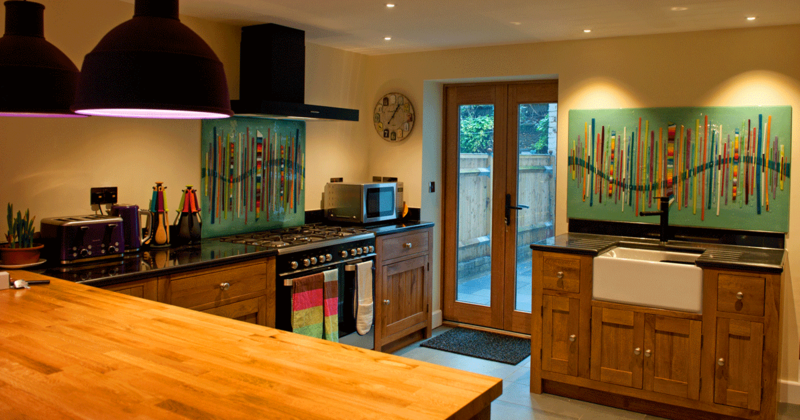 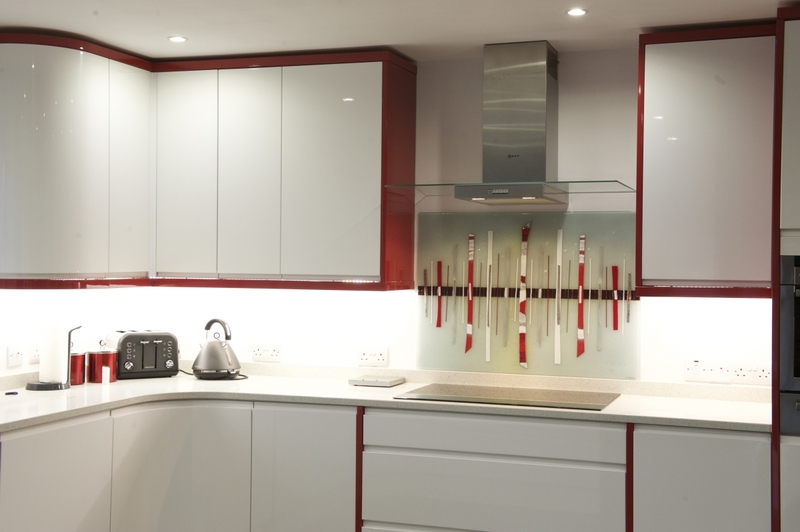 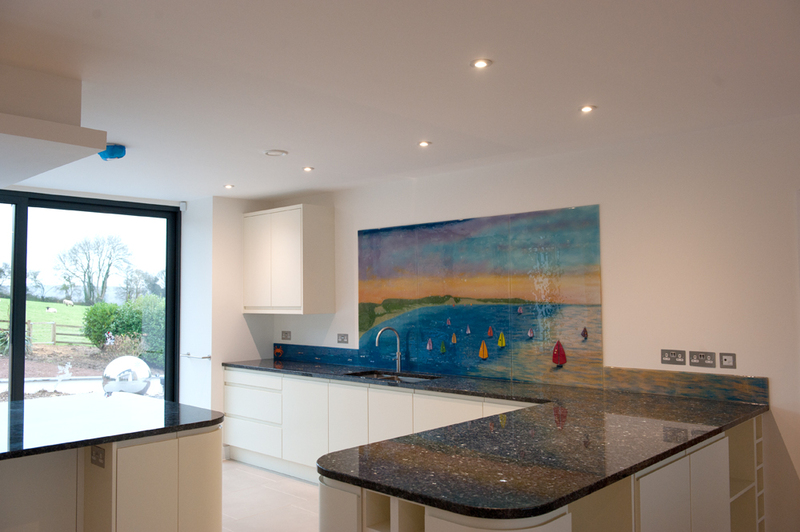 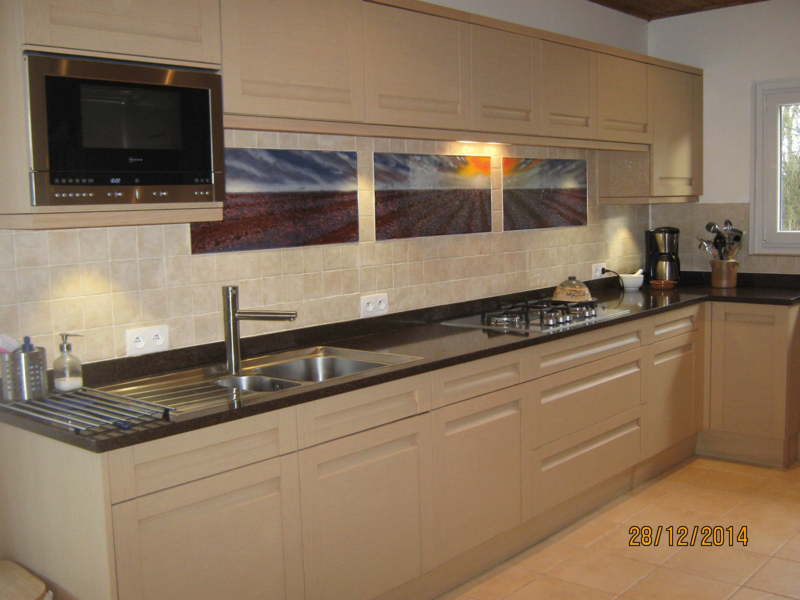 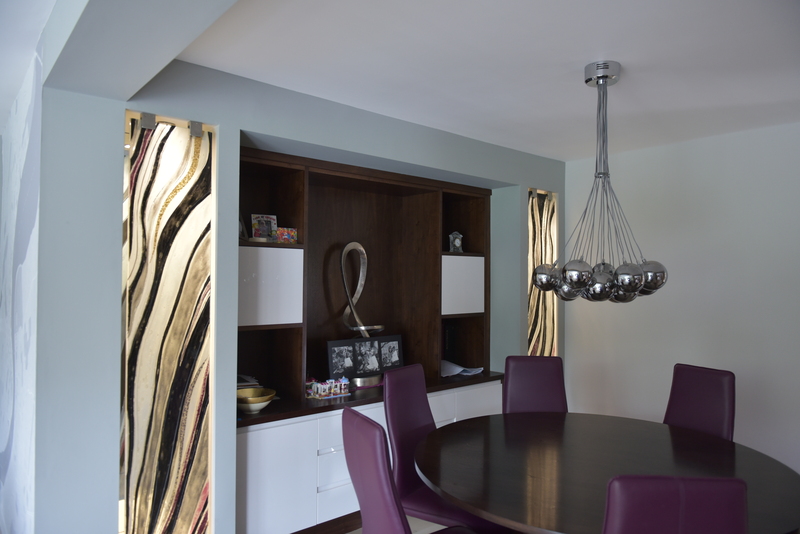 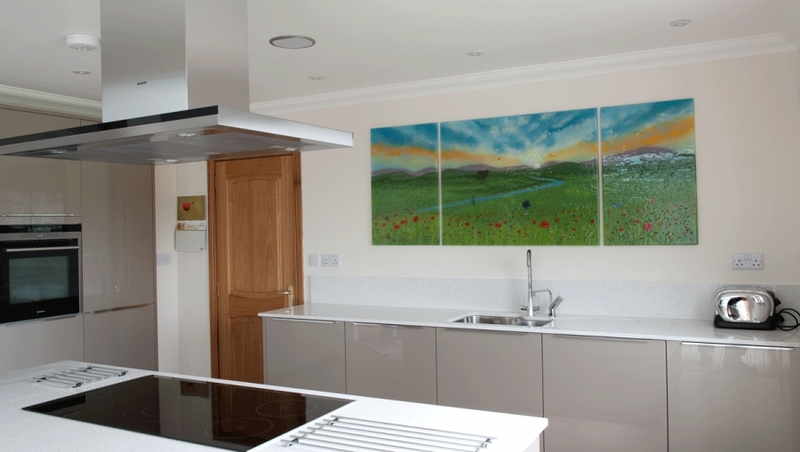 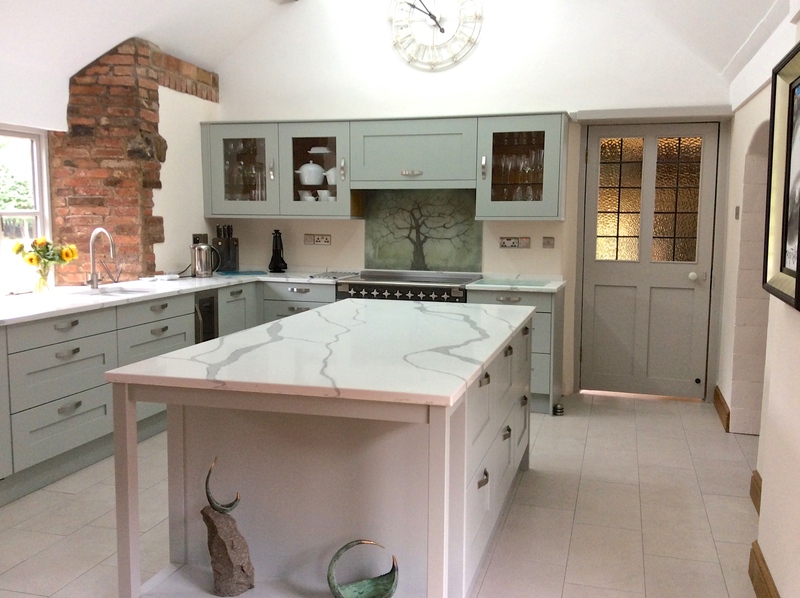 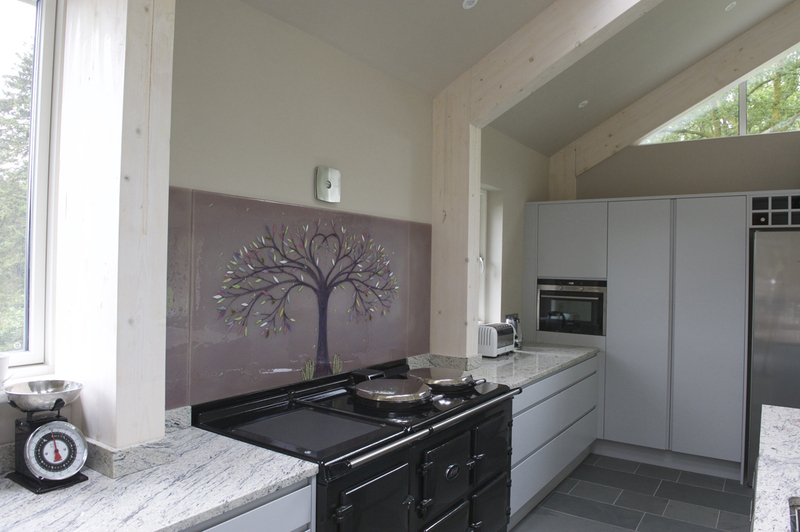 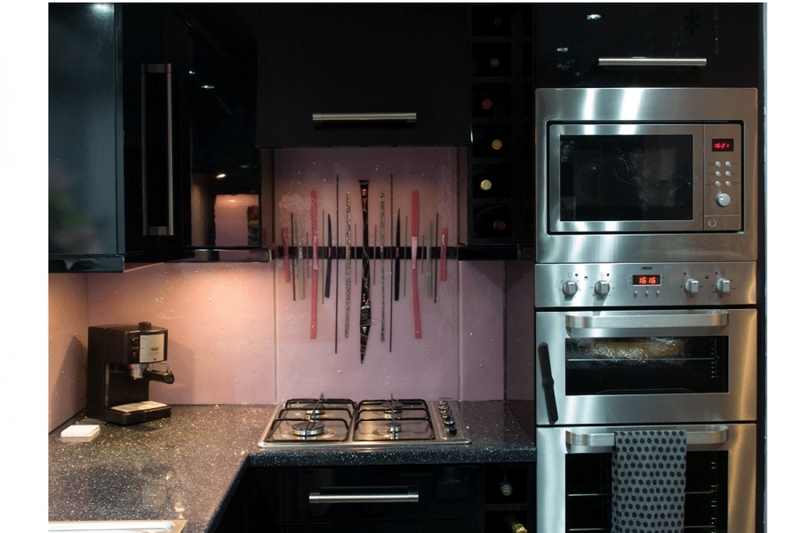 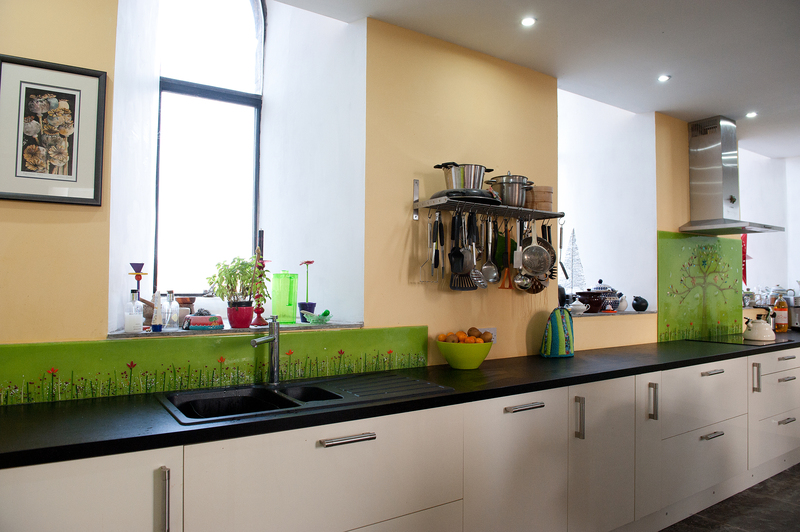 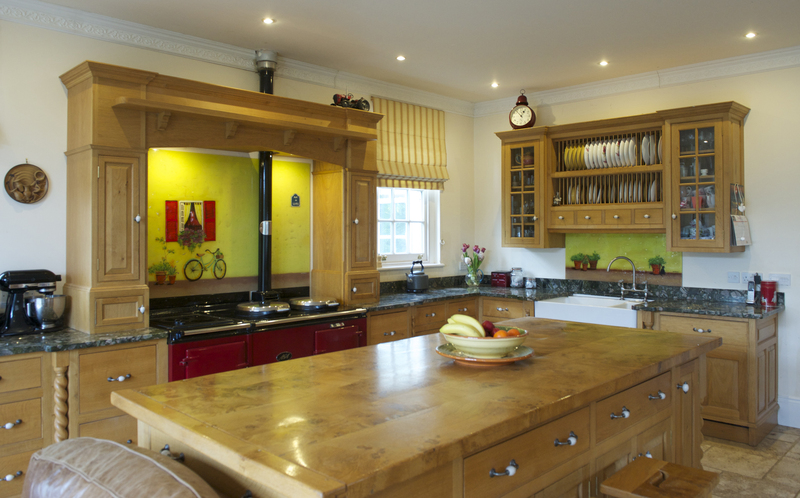 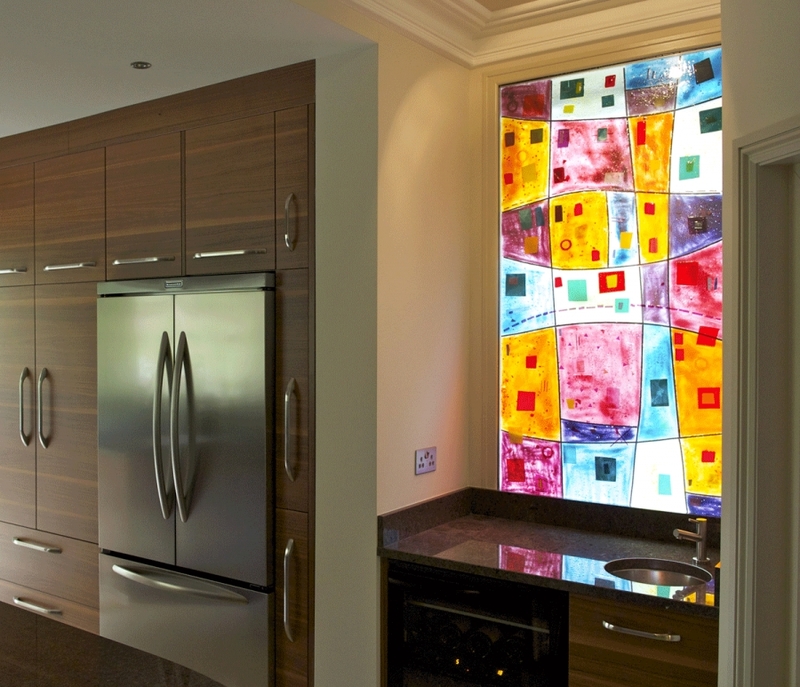 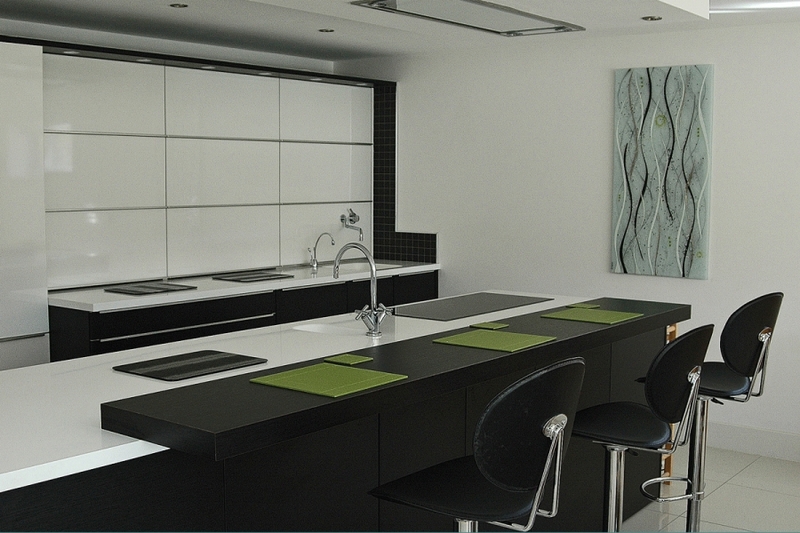 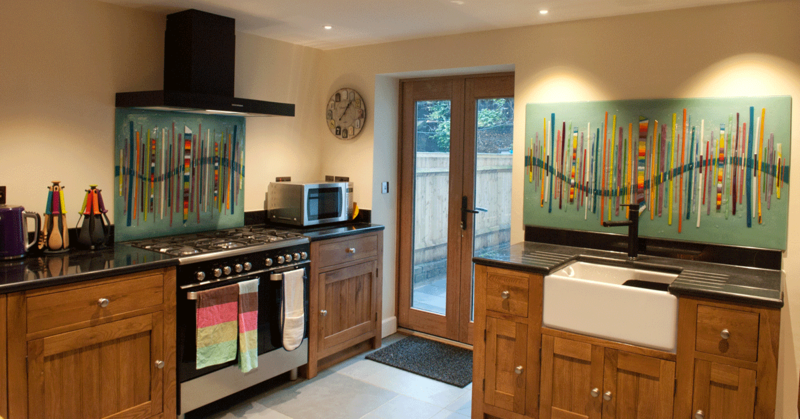 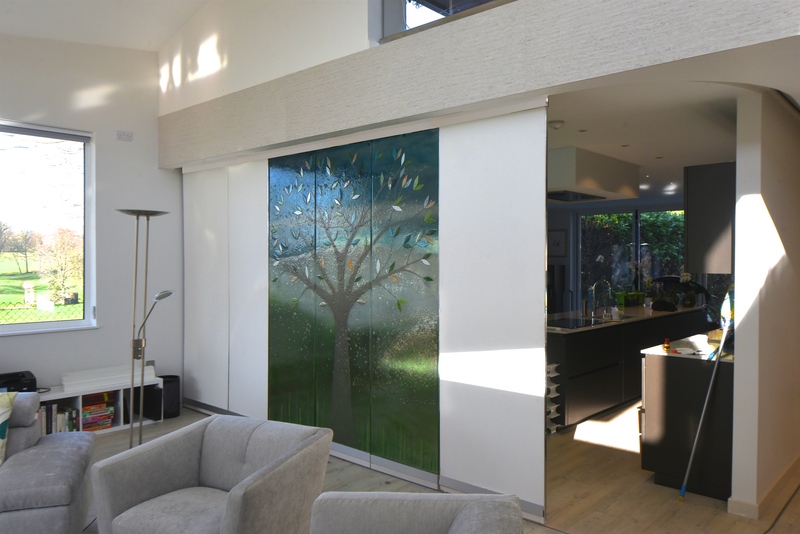 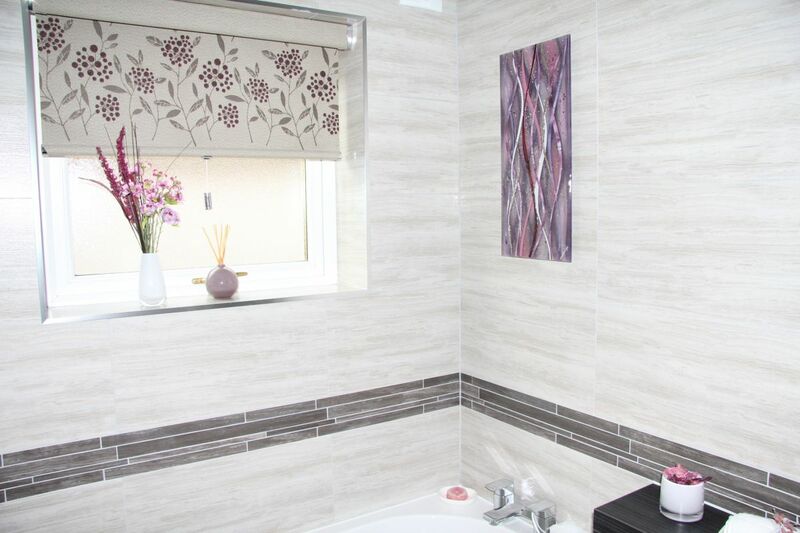 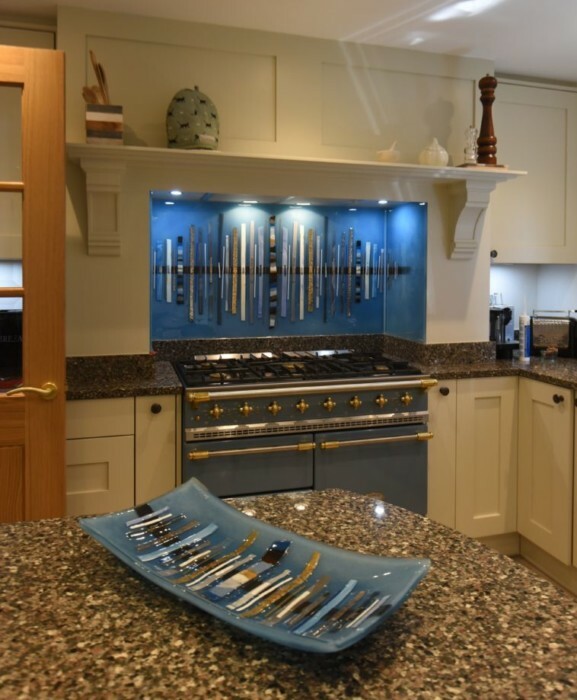 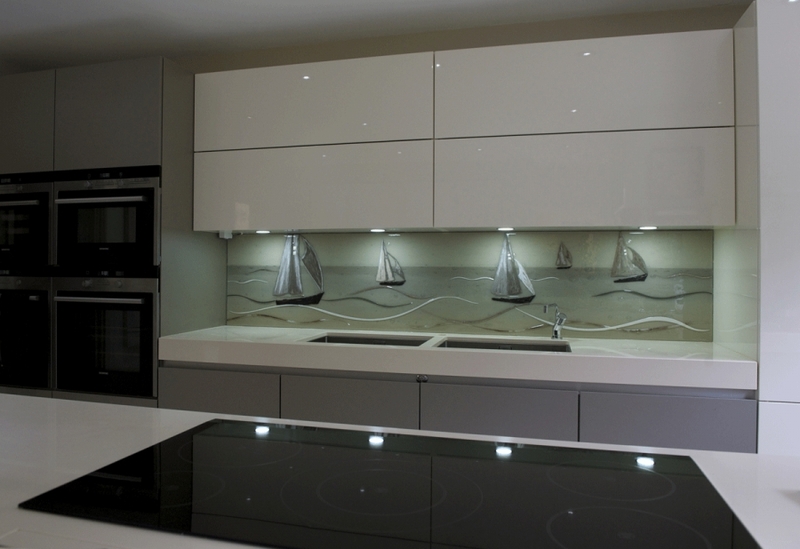 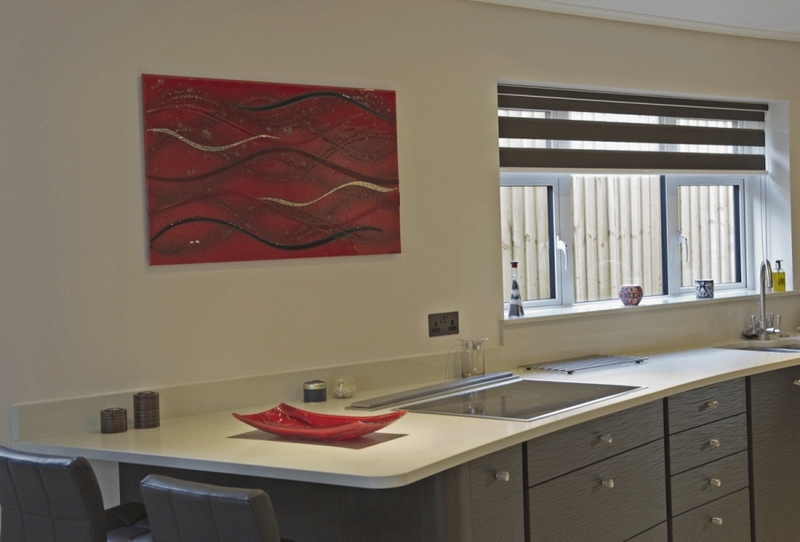 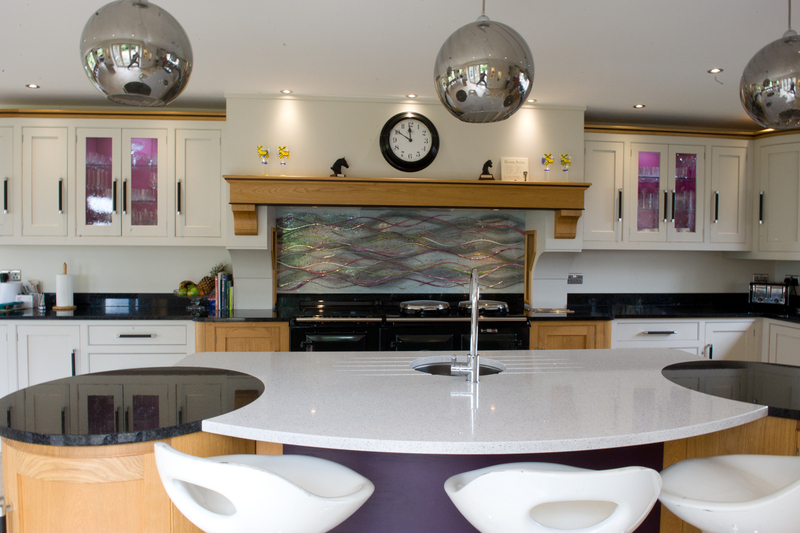 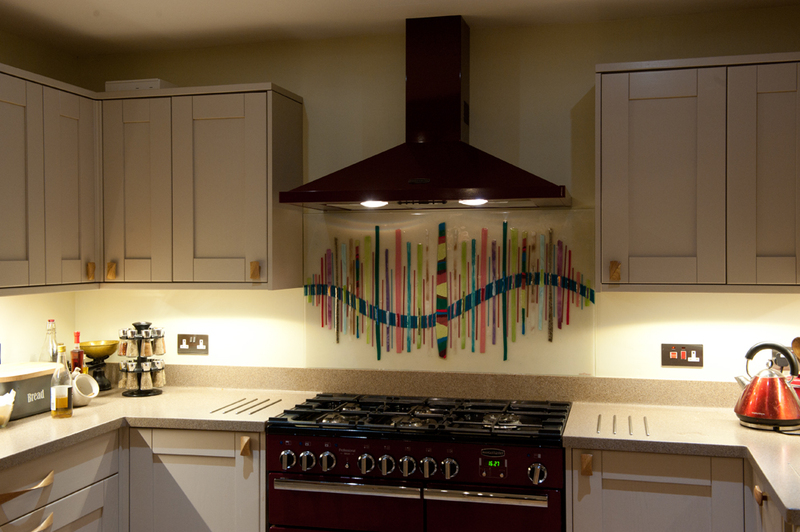 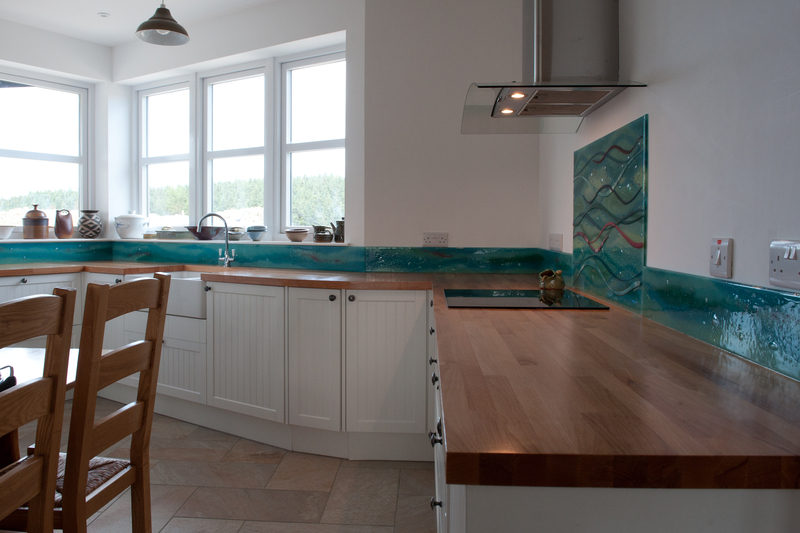 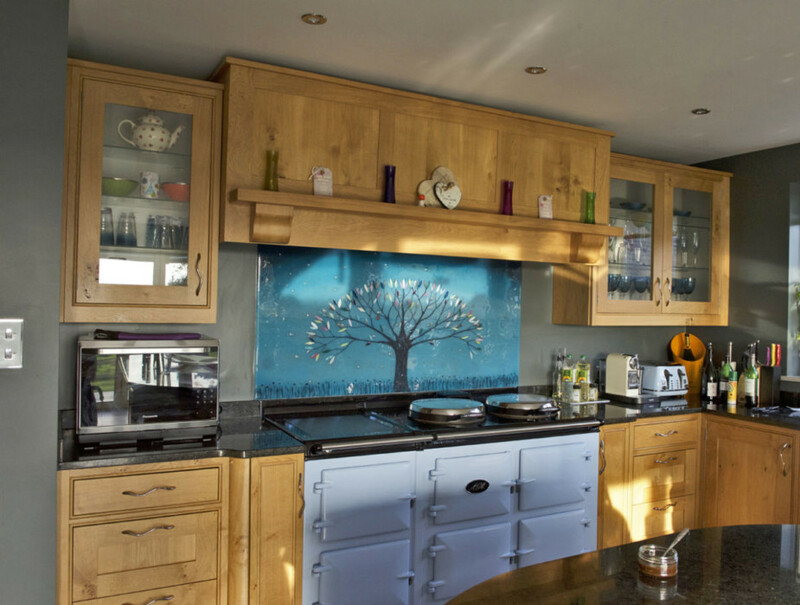 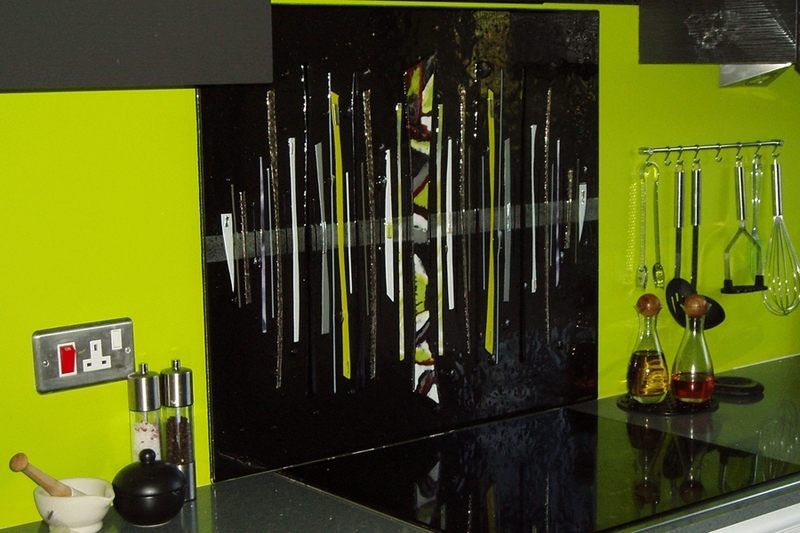 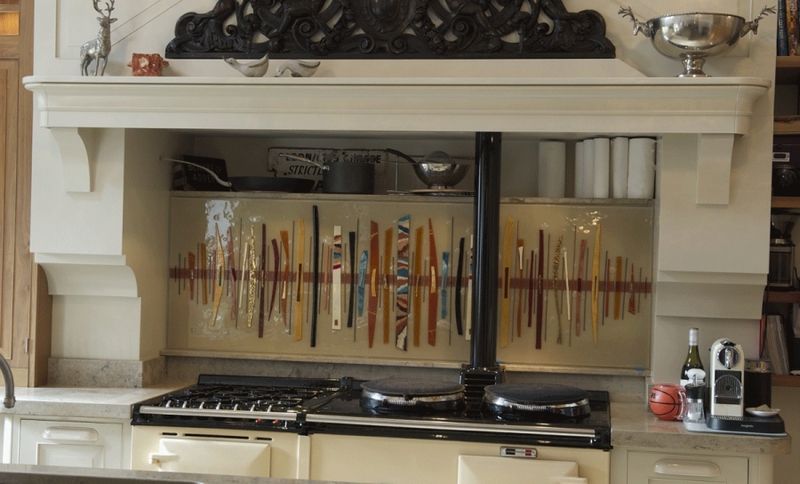 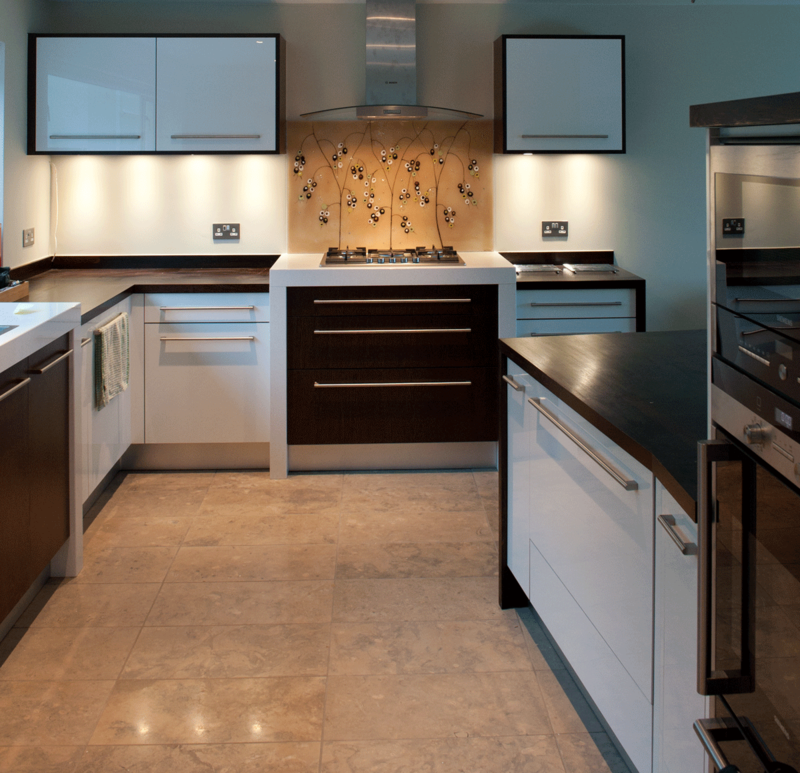 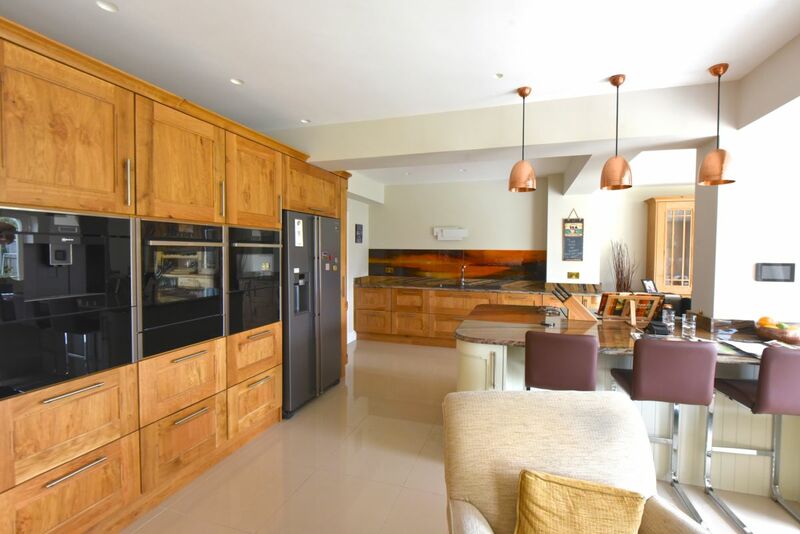 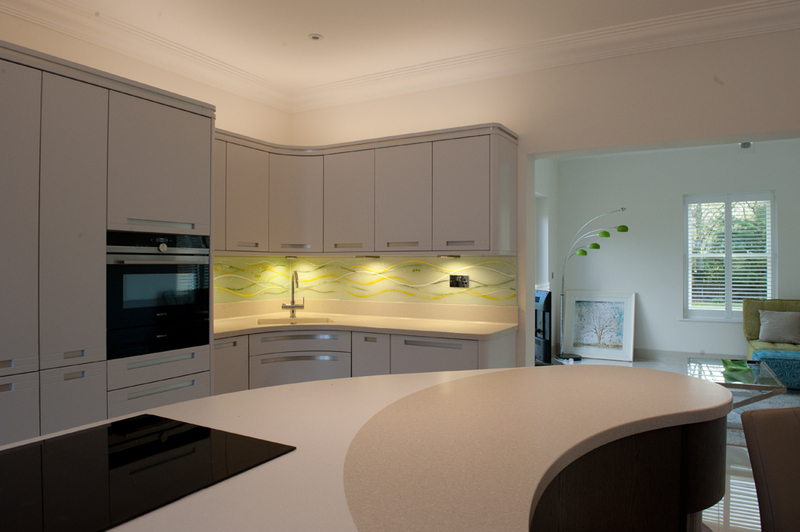 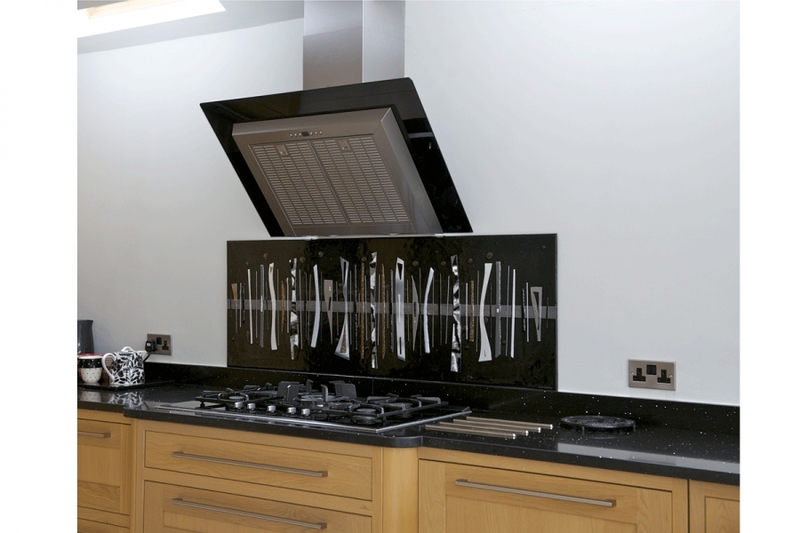 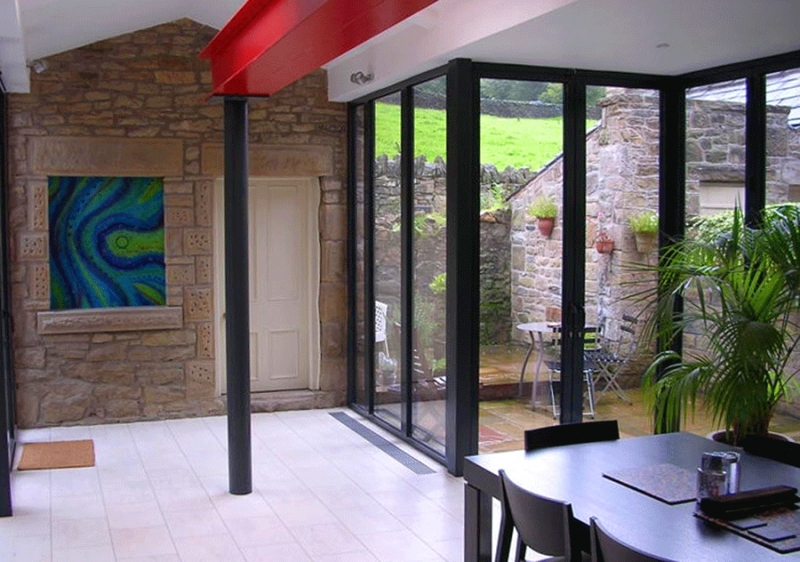 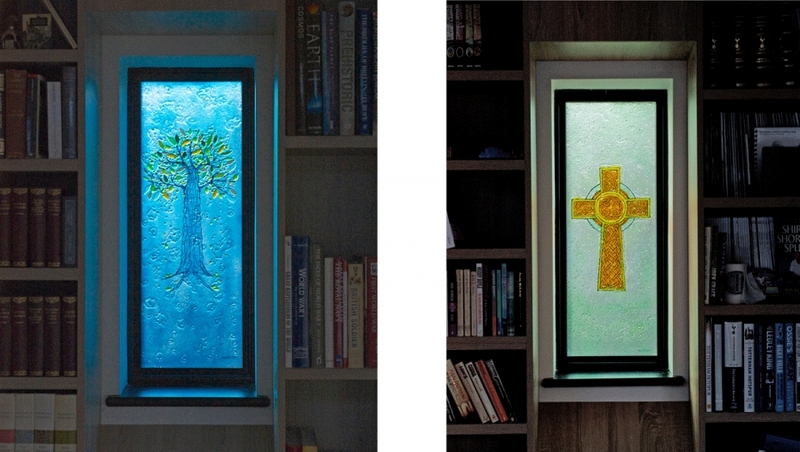 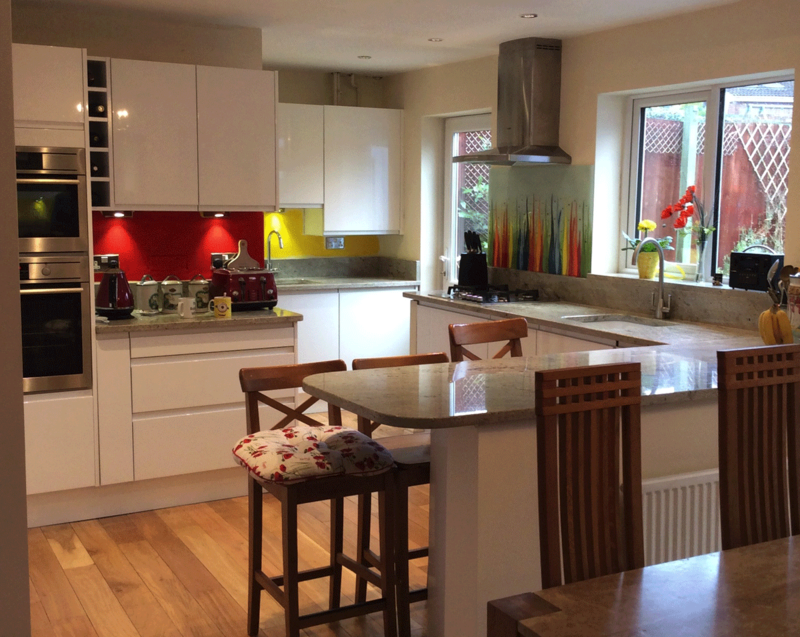 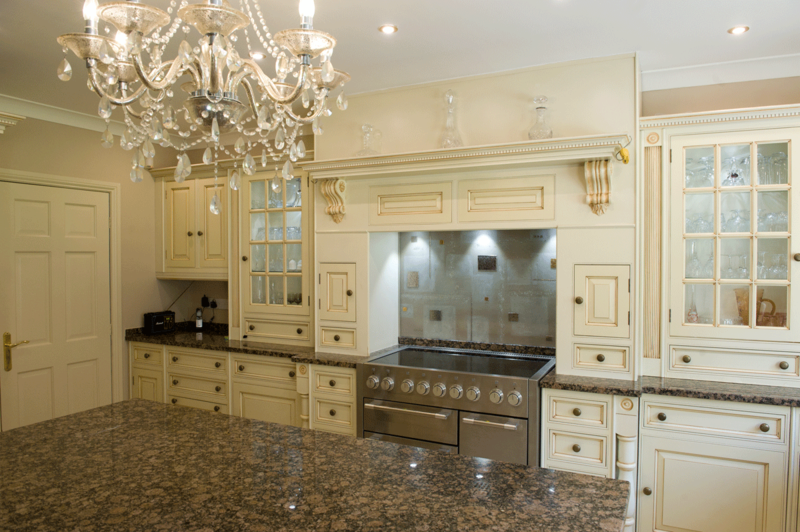 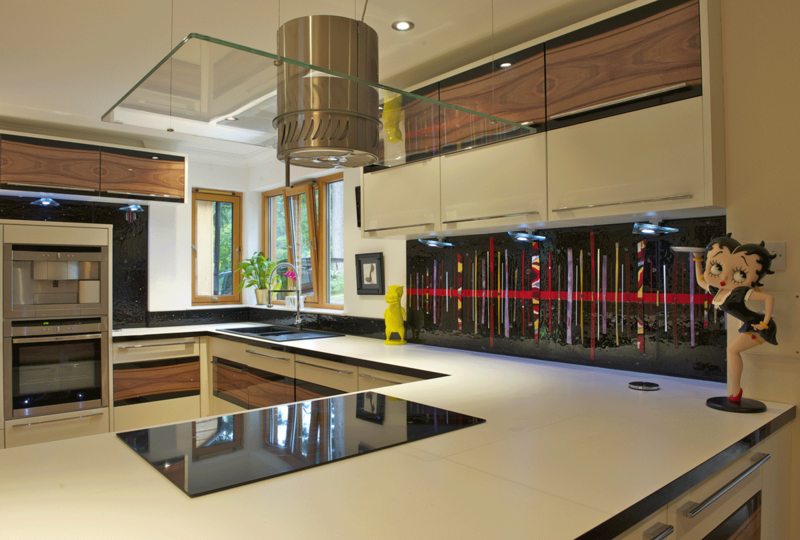 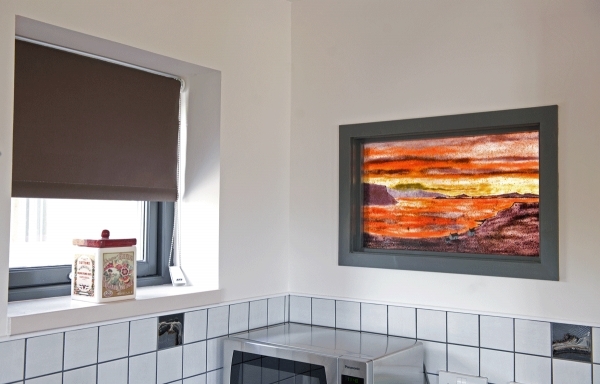 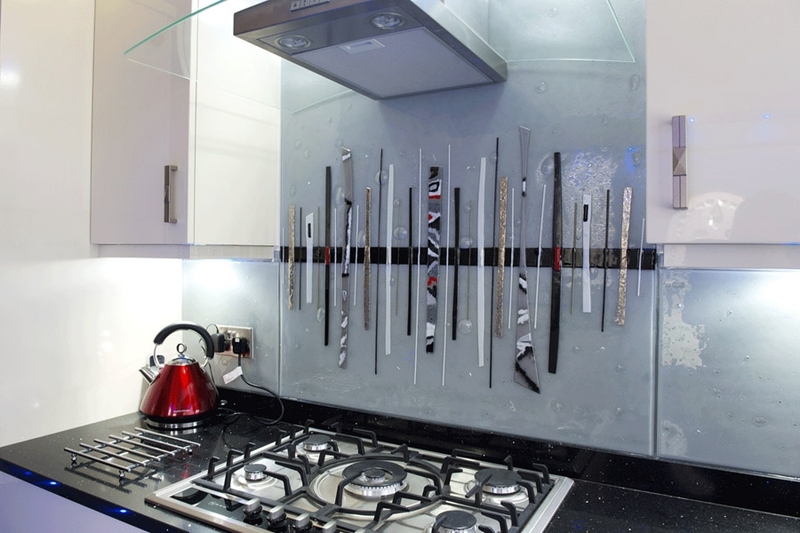 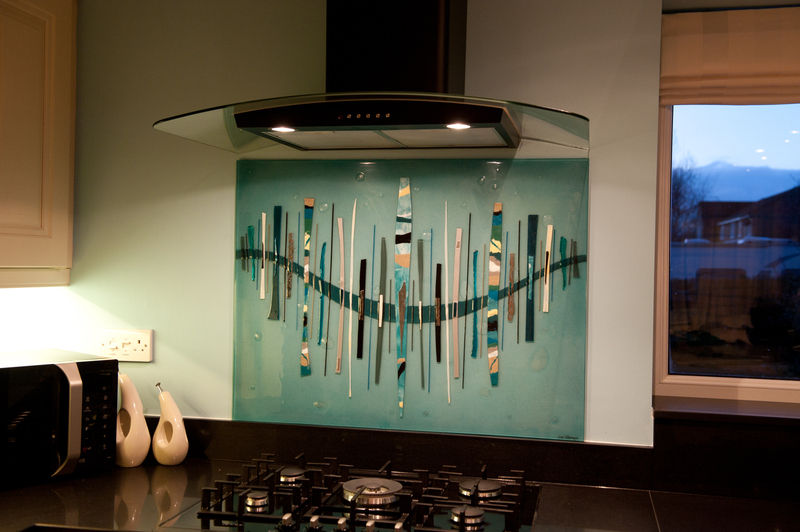 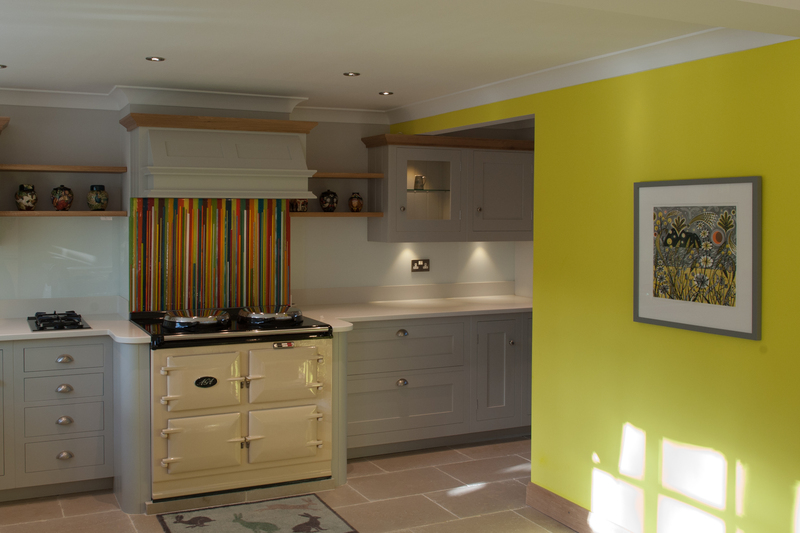 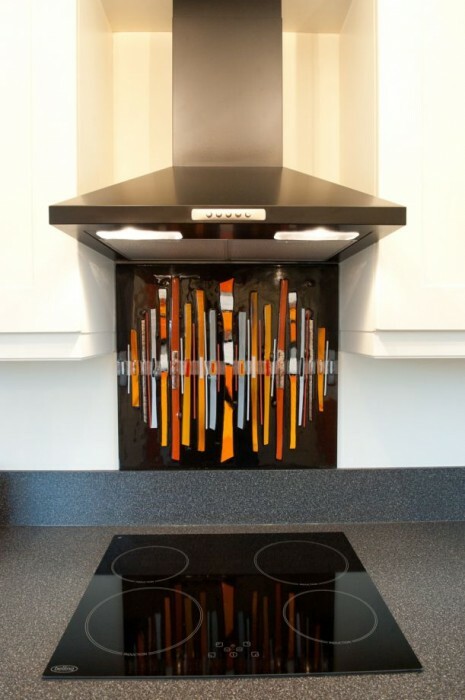 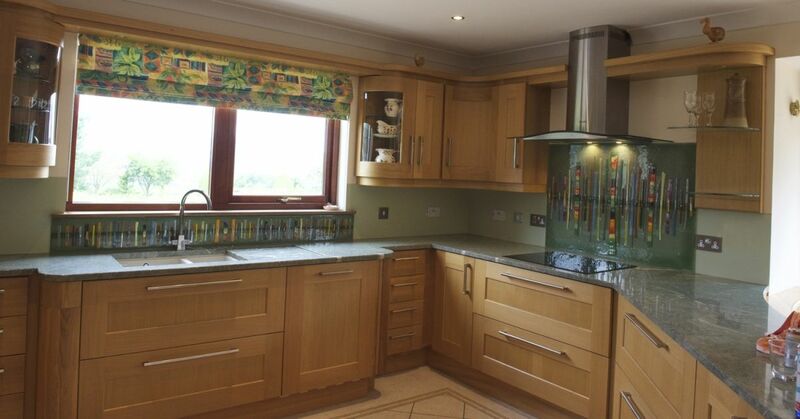 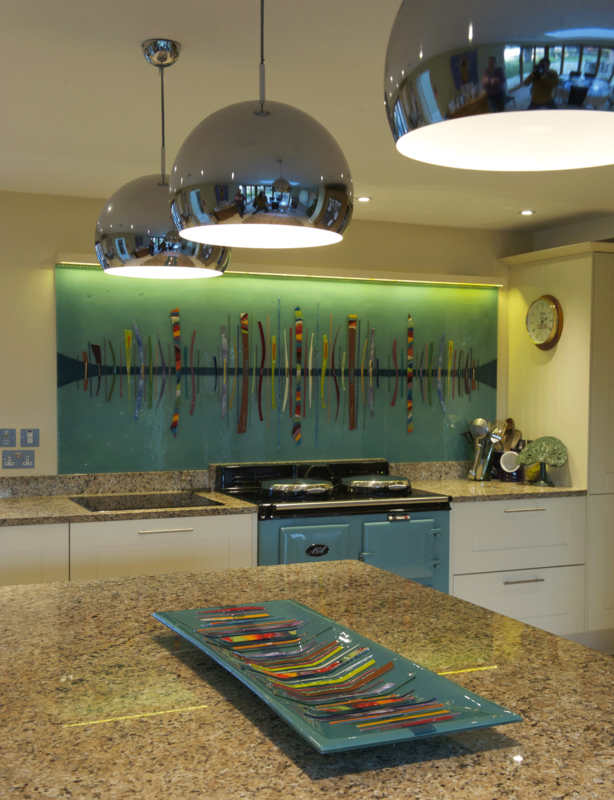 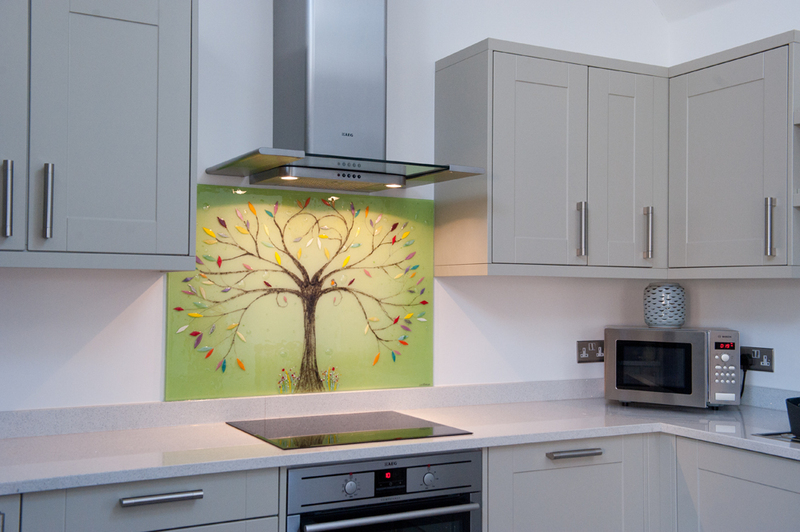 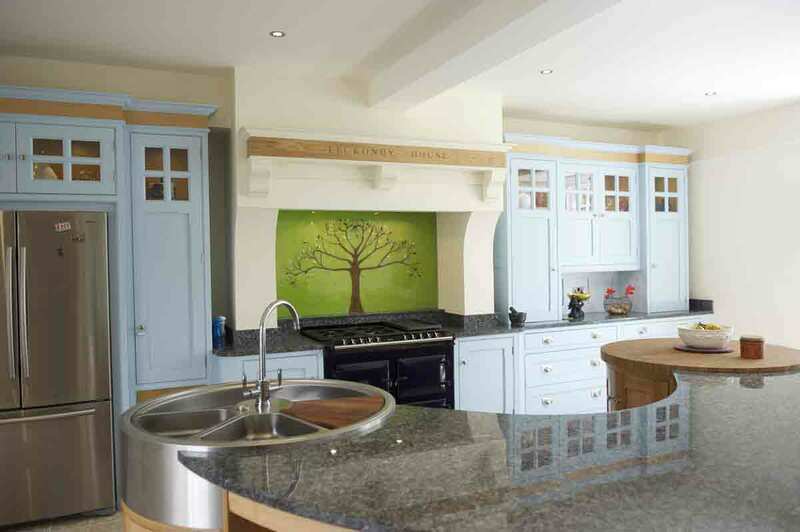 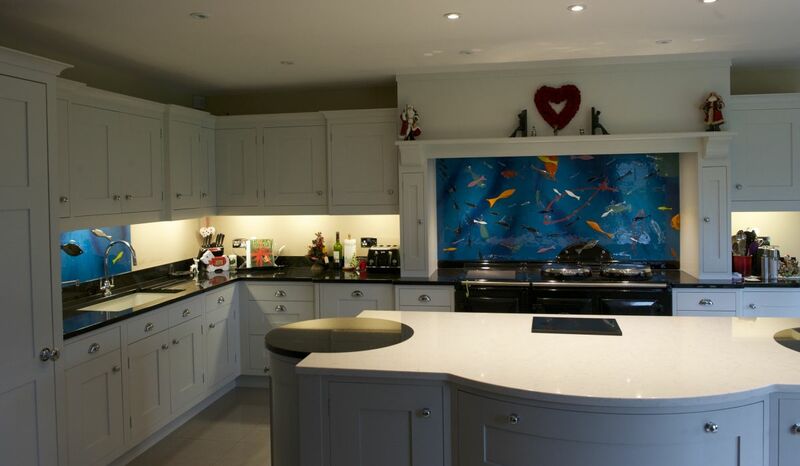 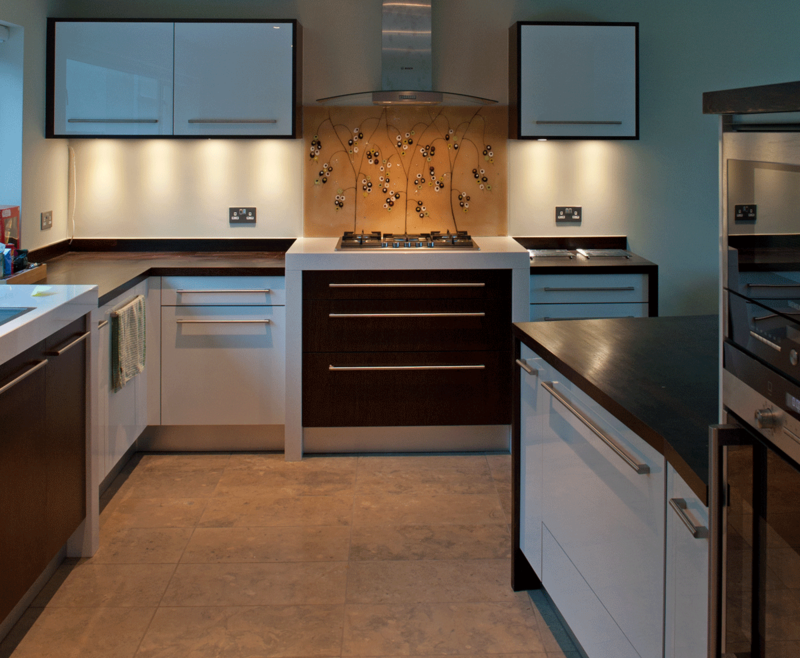 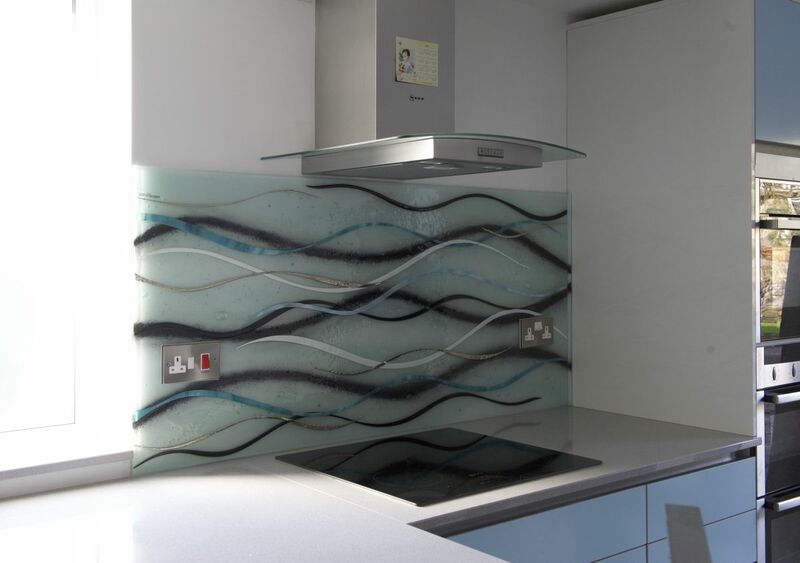 This is one of our most popular designs and it sits well with the decor of today’s slick, modern kitchens. 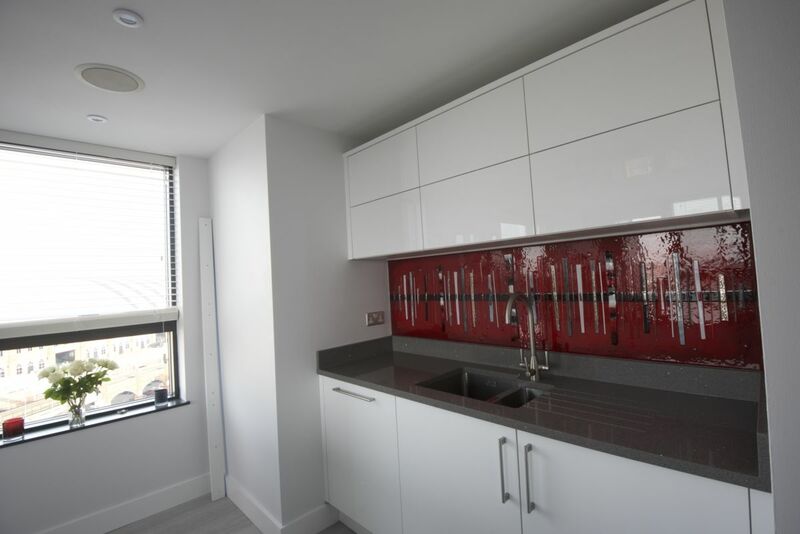 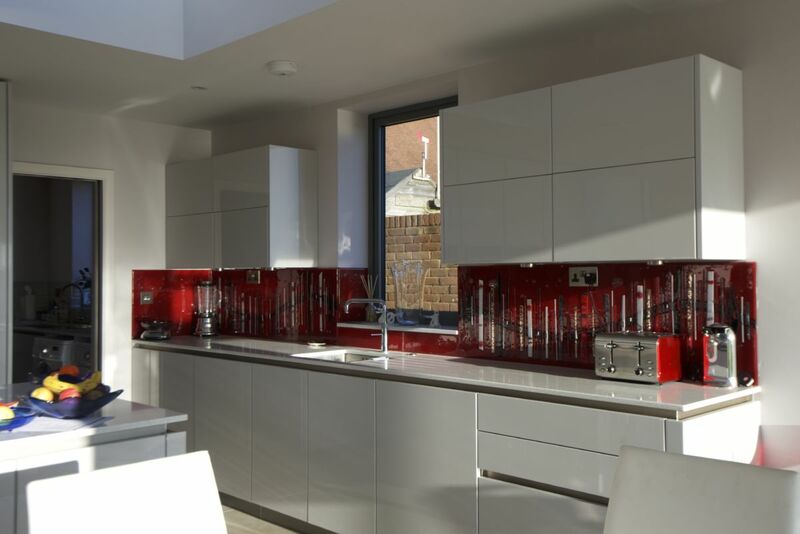 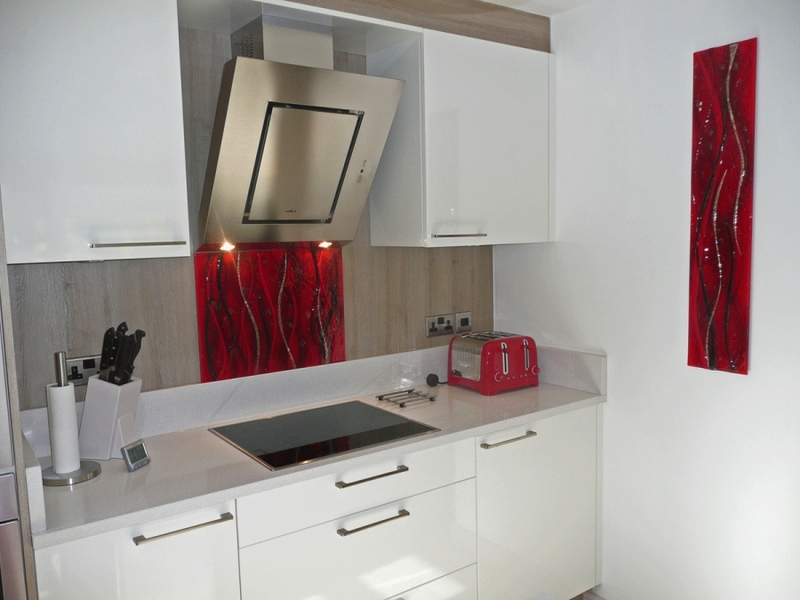 The strong red, black and silver colours contrast perfectly with the high gloss white units, and the strong colours complement the red acrylic breakfast bar stools. 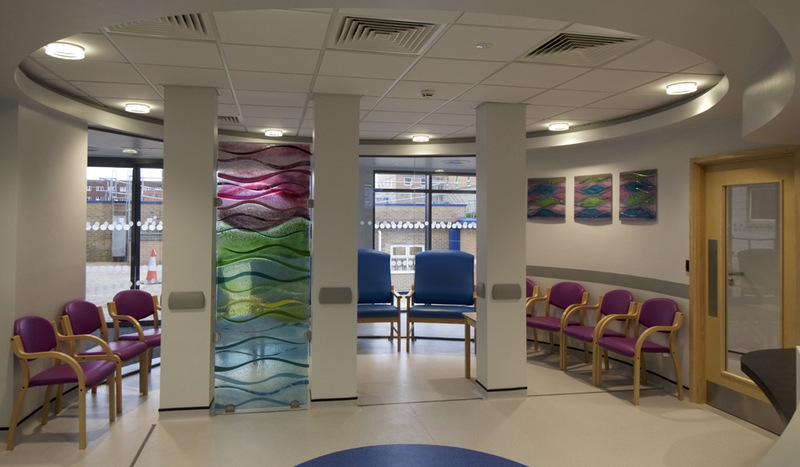 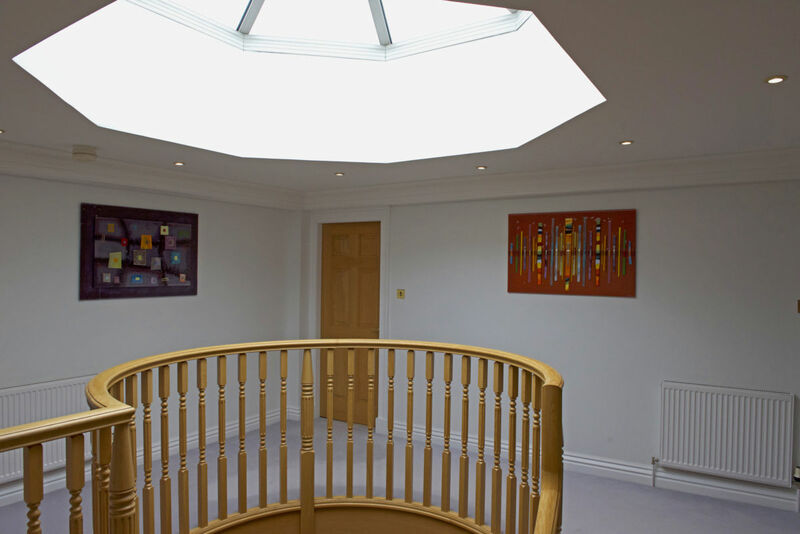 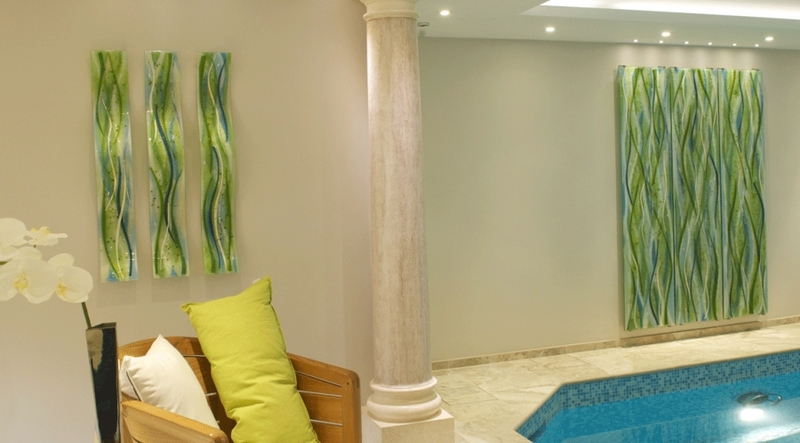 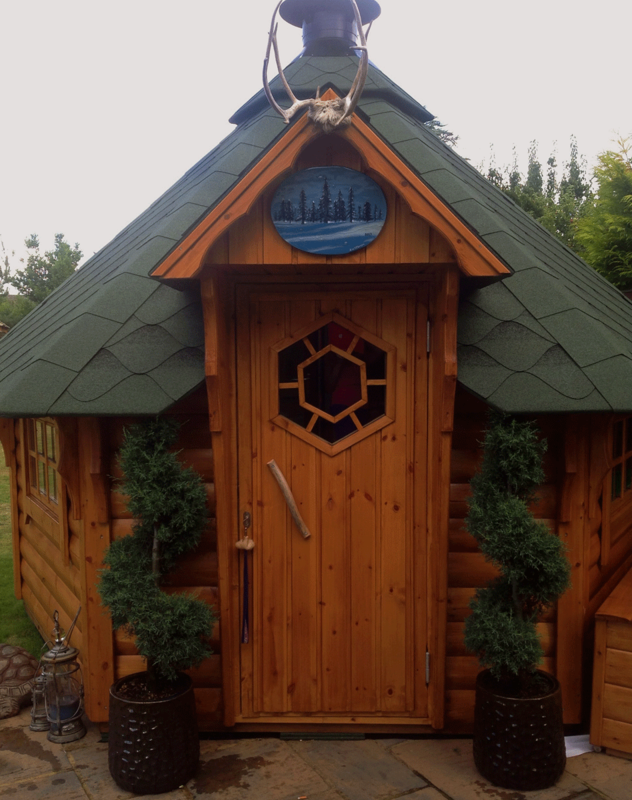 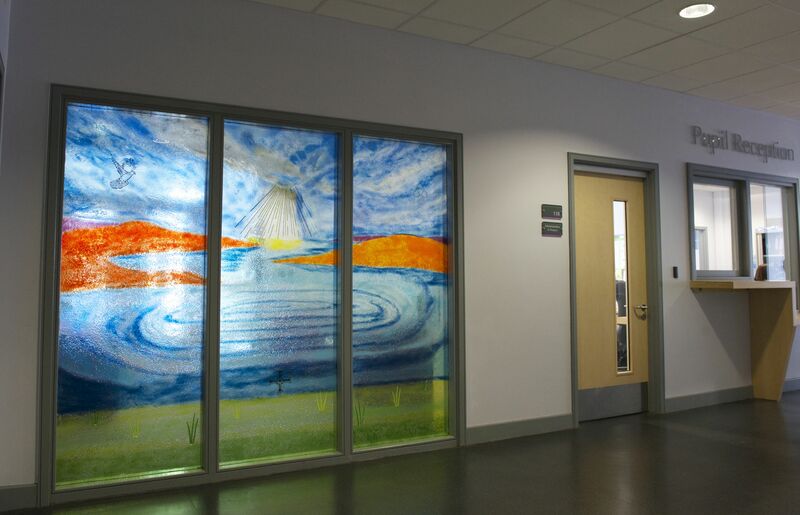 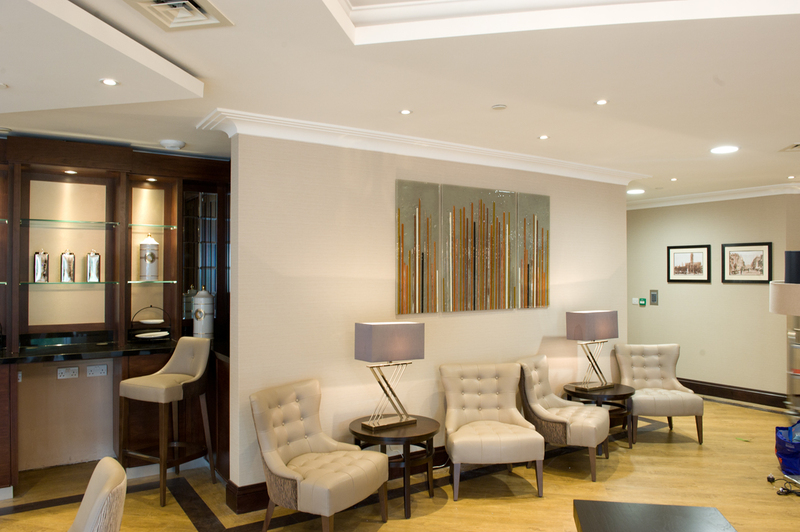 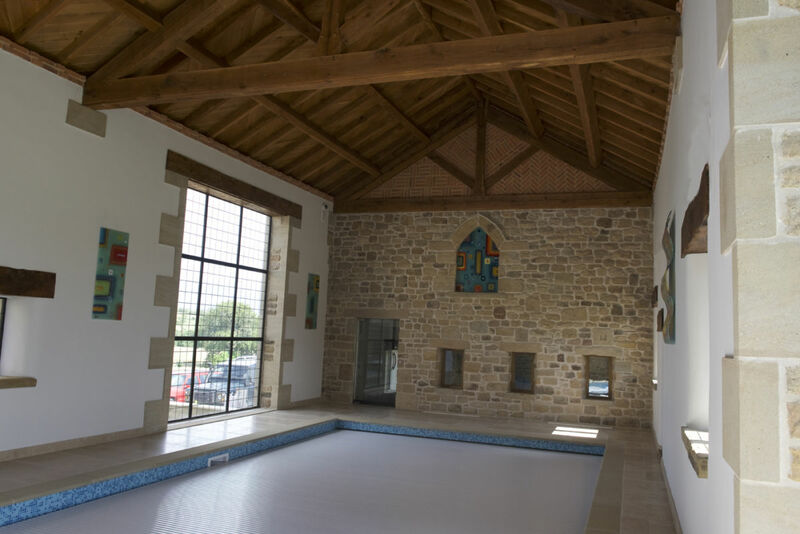 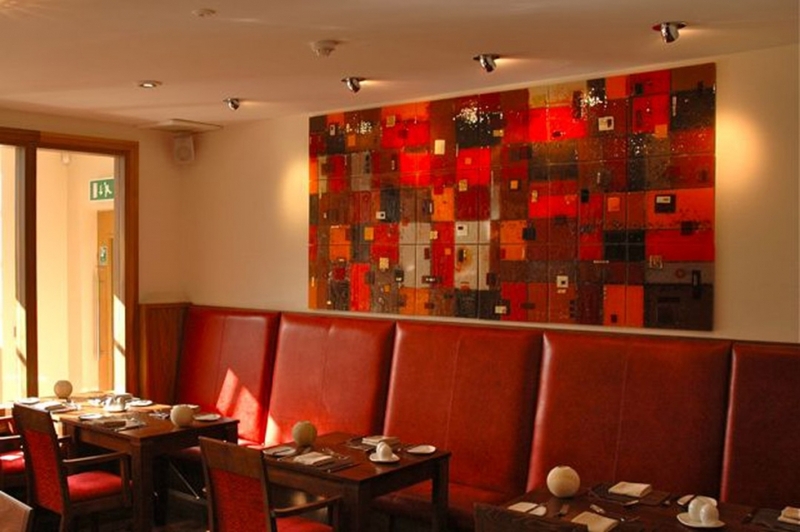 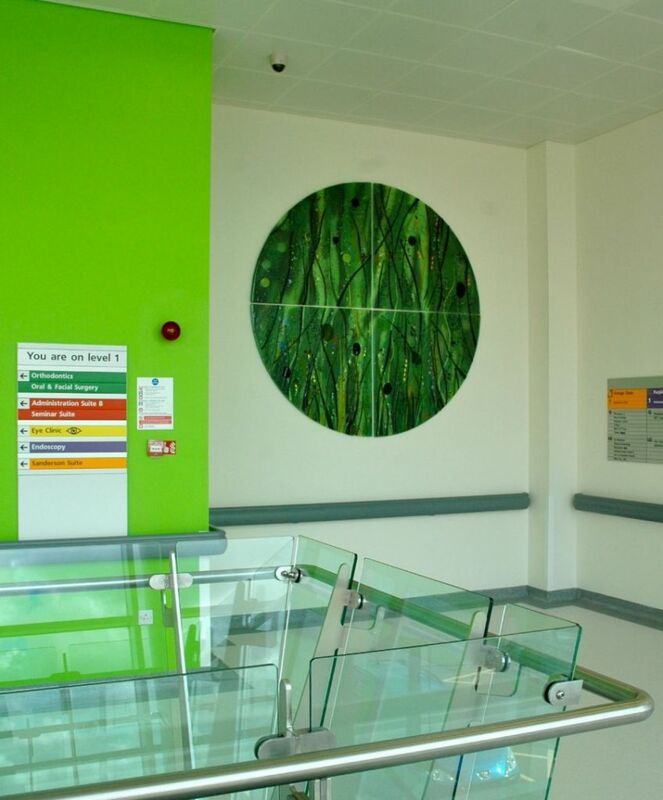 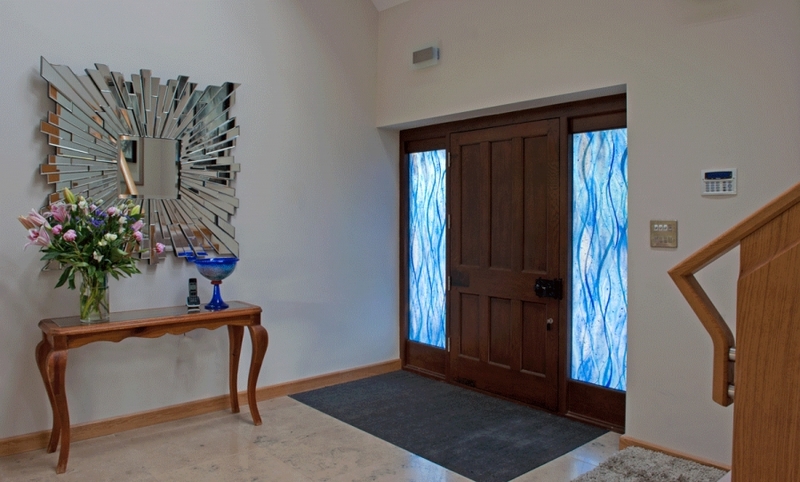 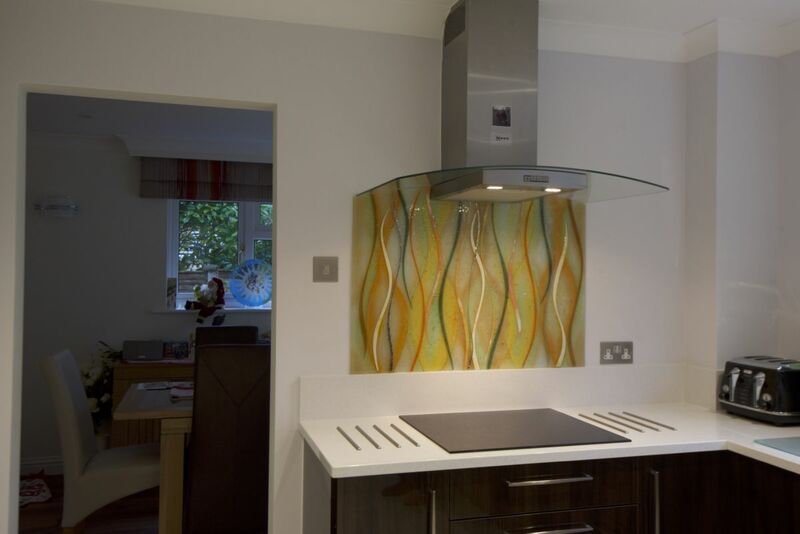 Of course, everything is bespoke and made to the specifications of the client. 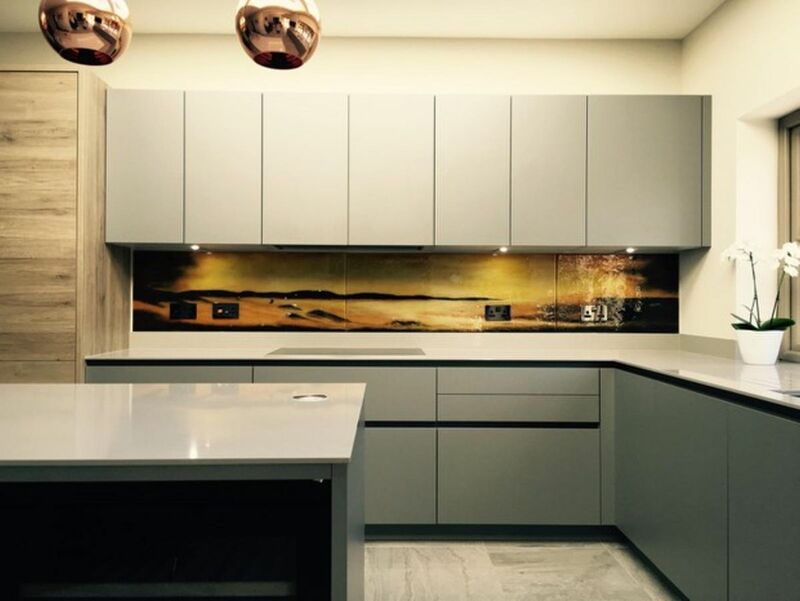 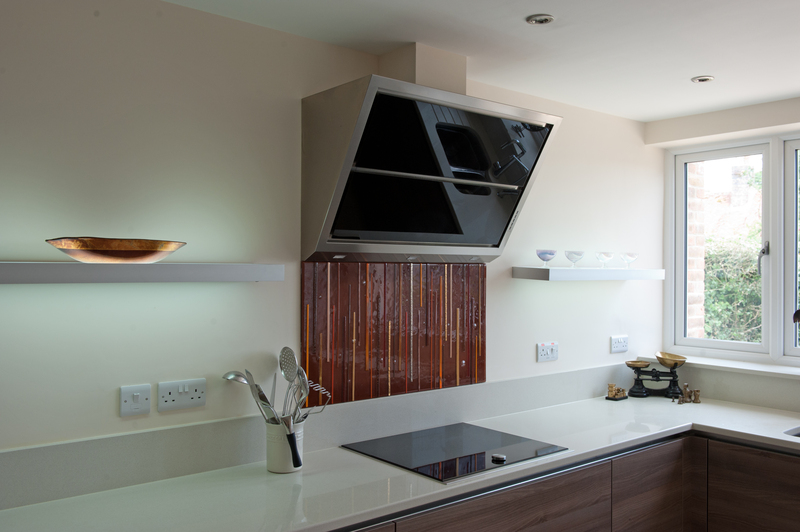 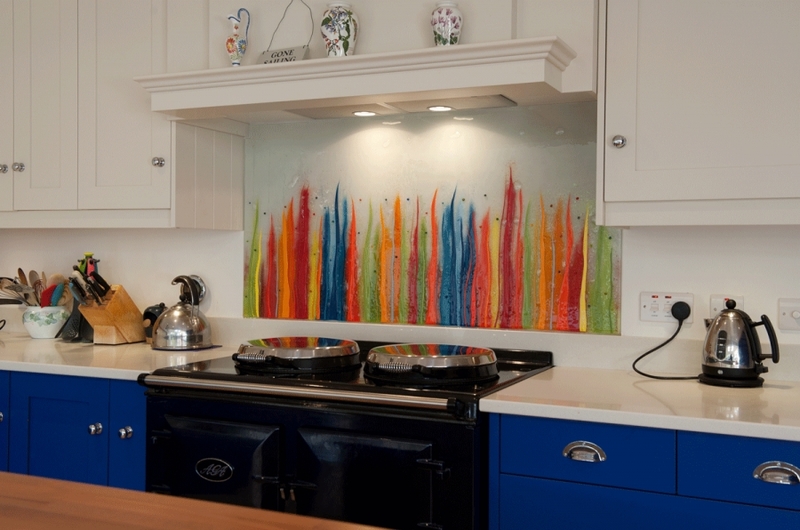 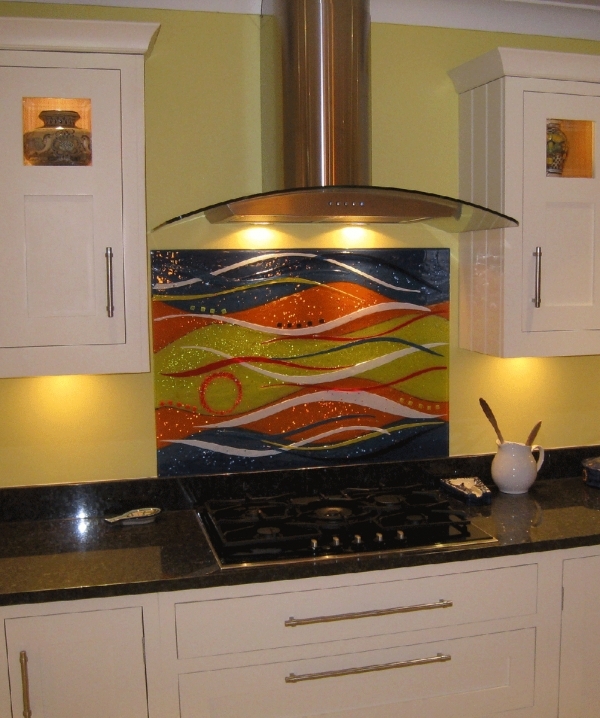 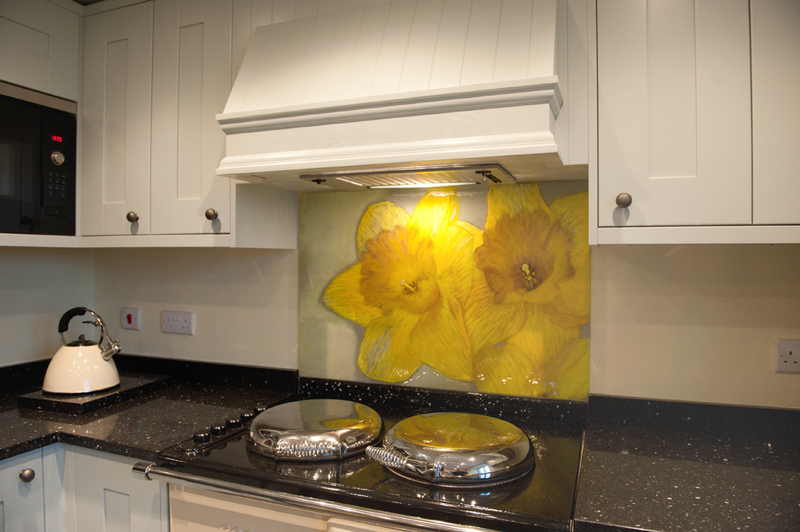 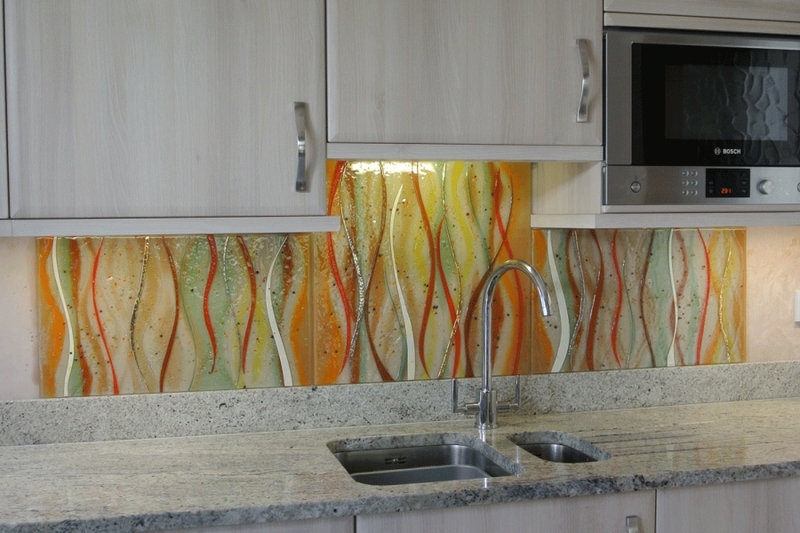 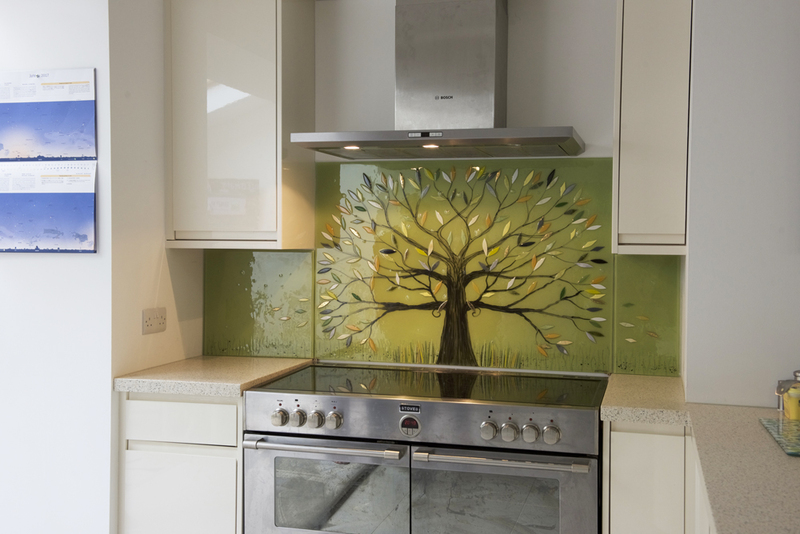 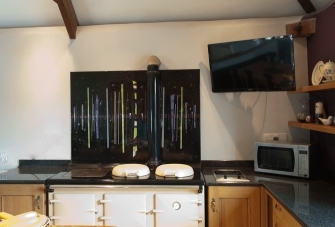 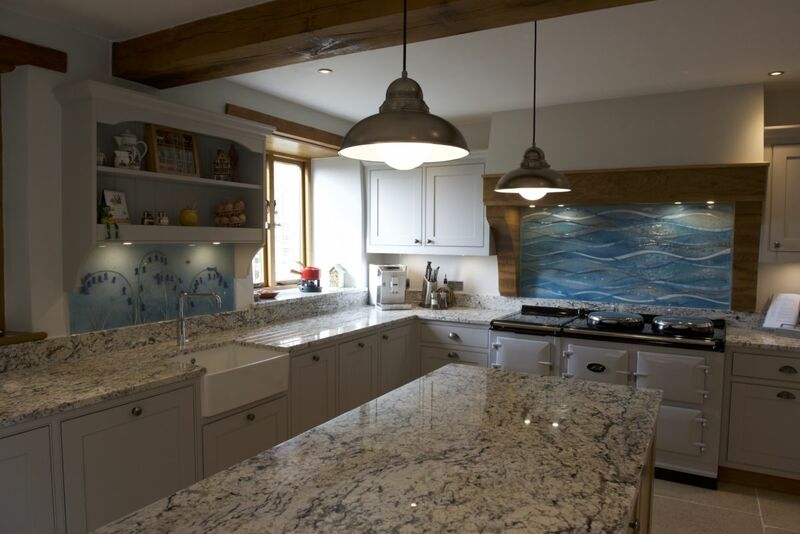 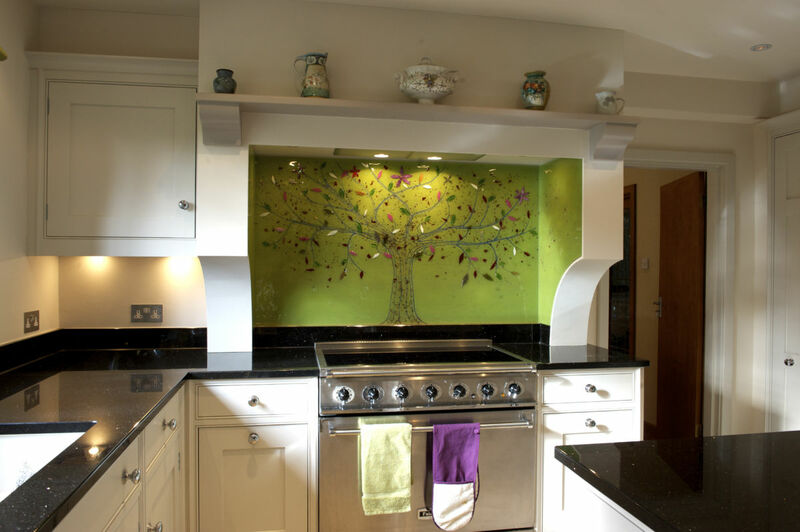 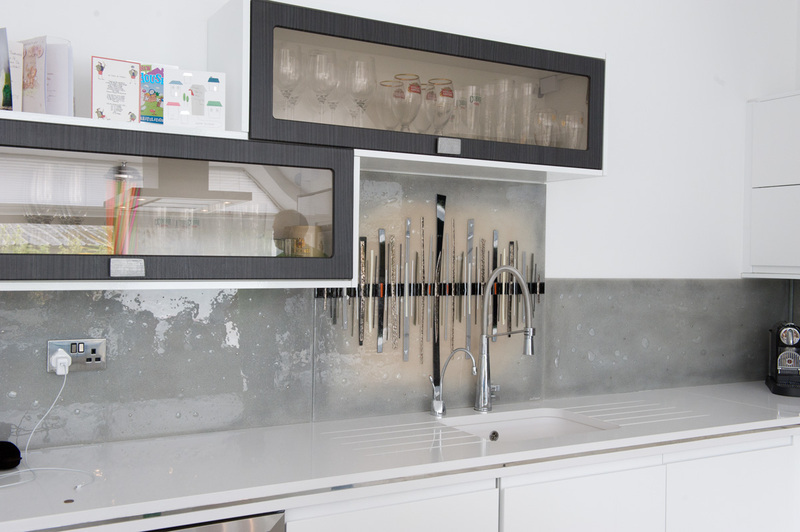 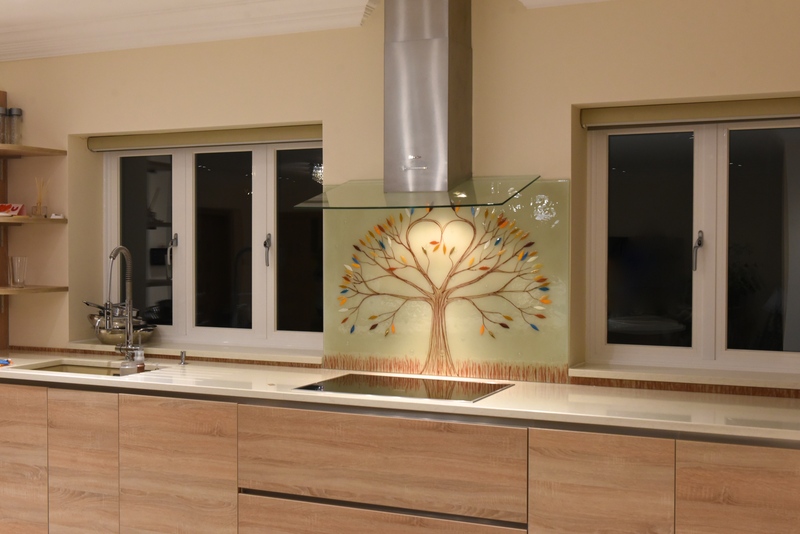 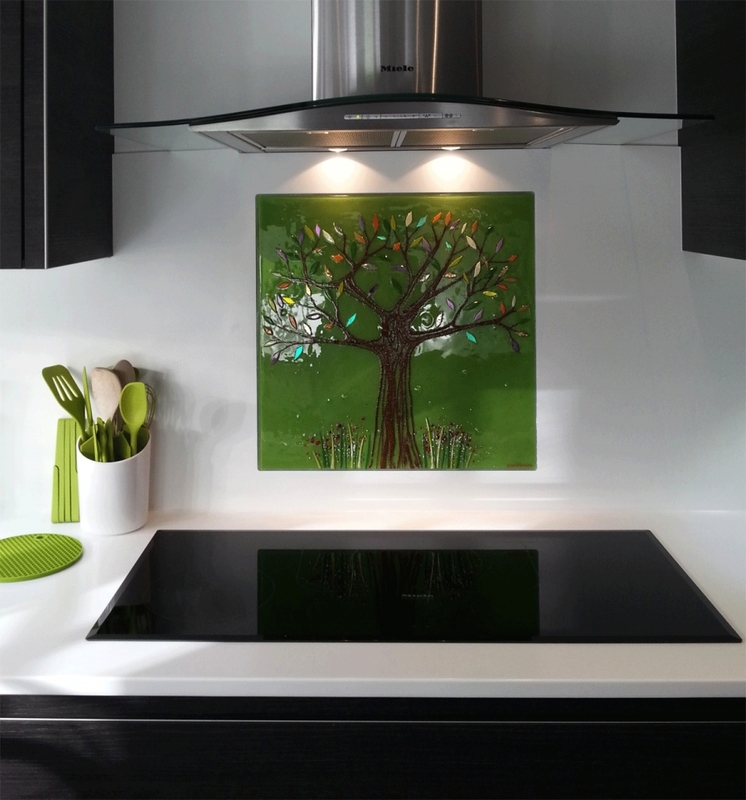 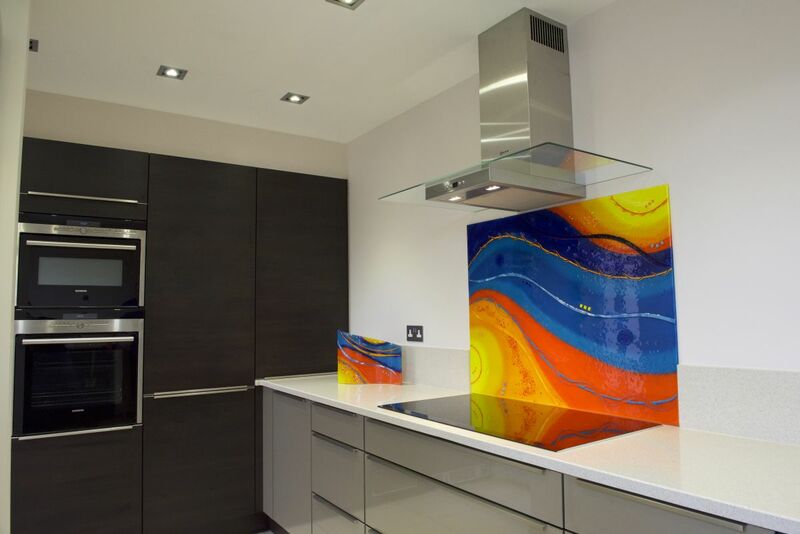 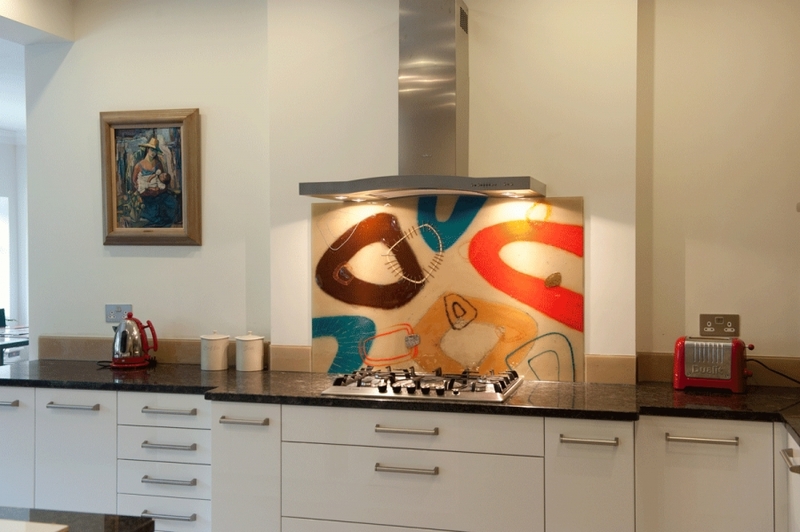 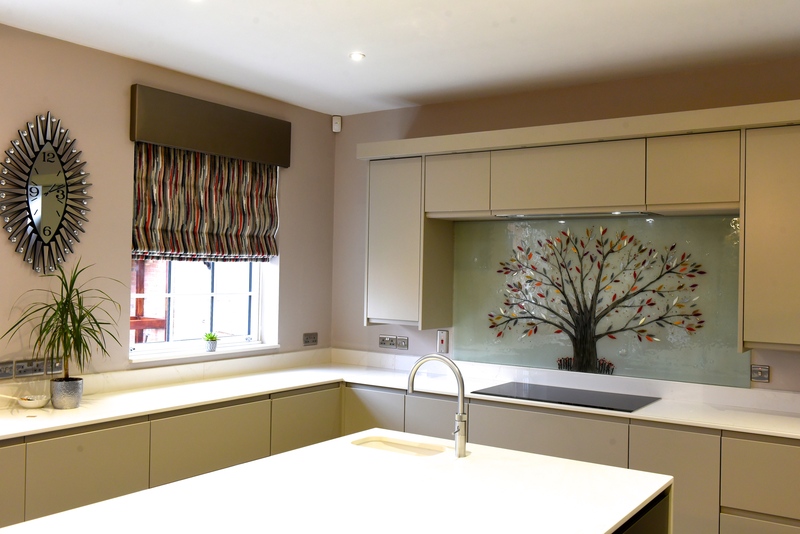 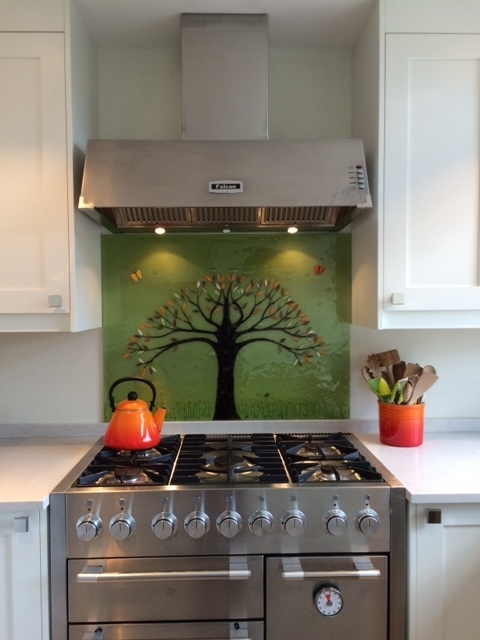 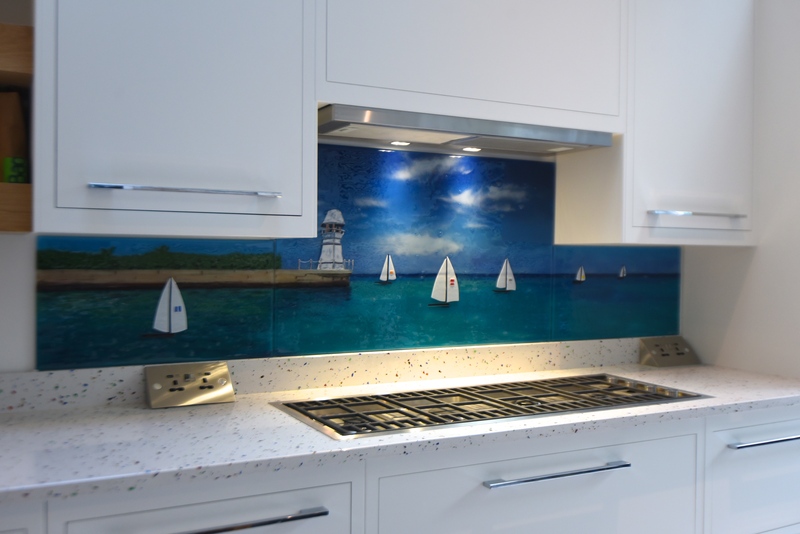 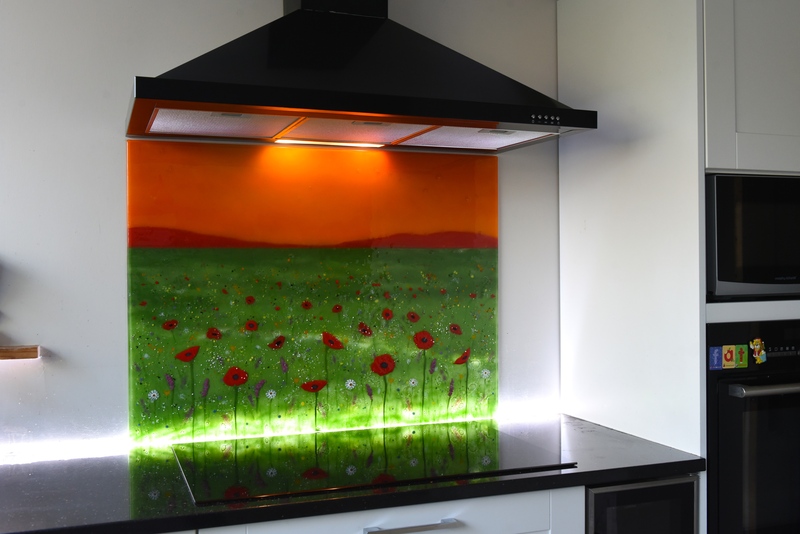 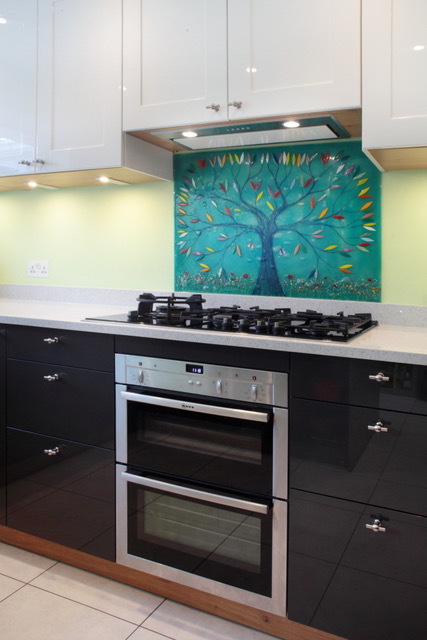 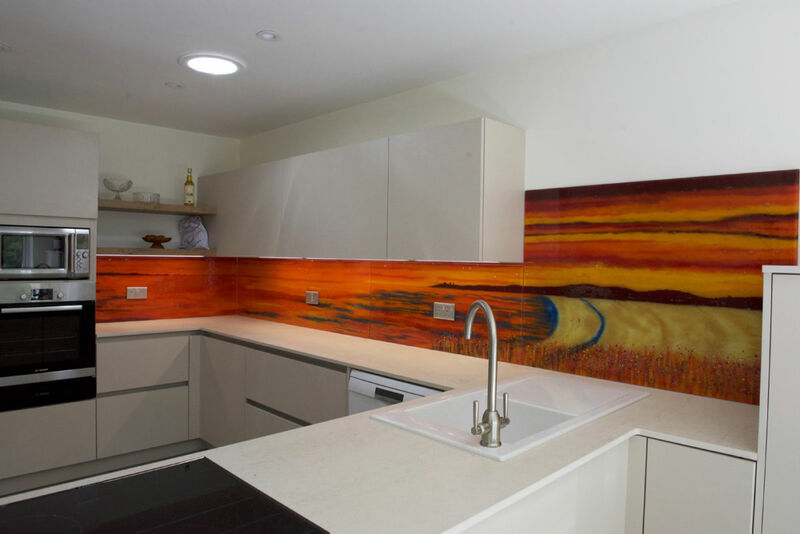 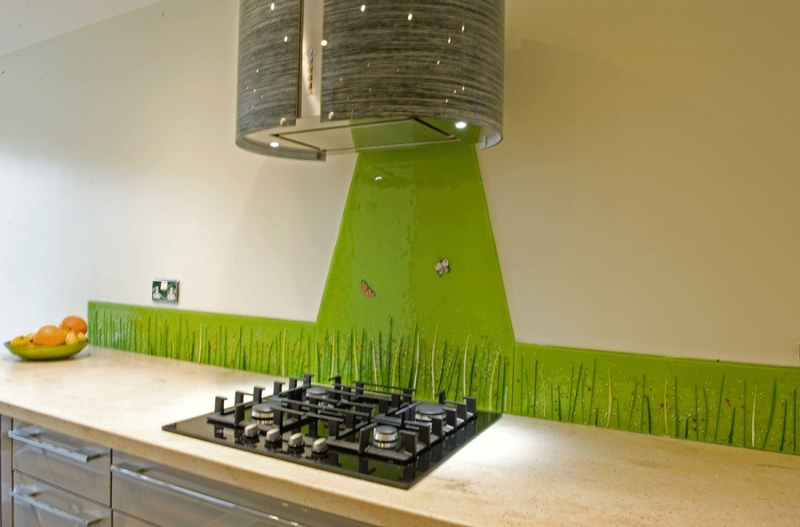 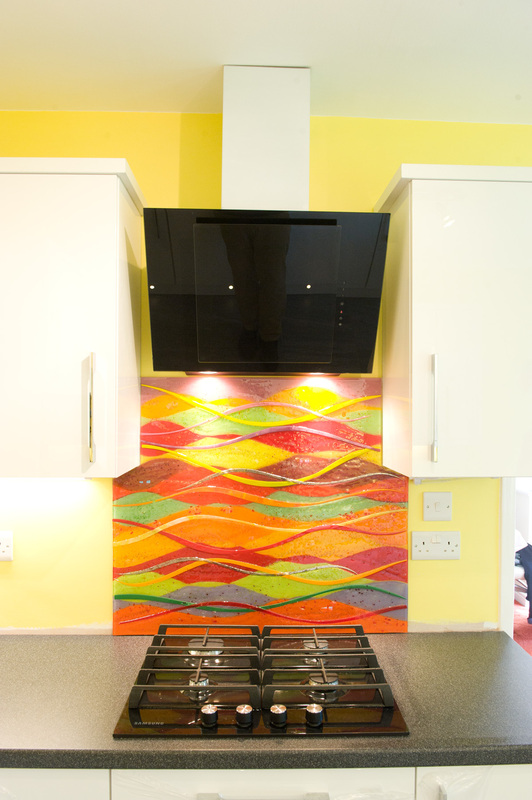 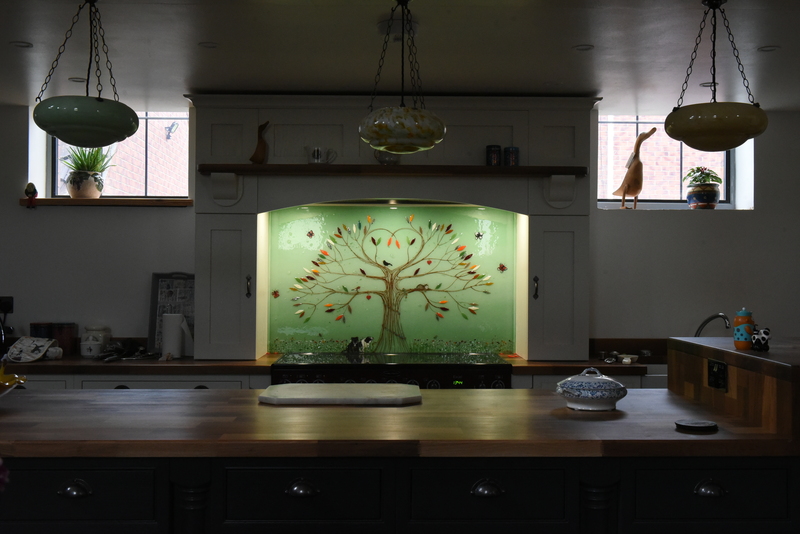 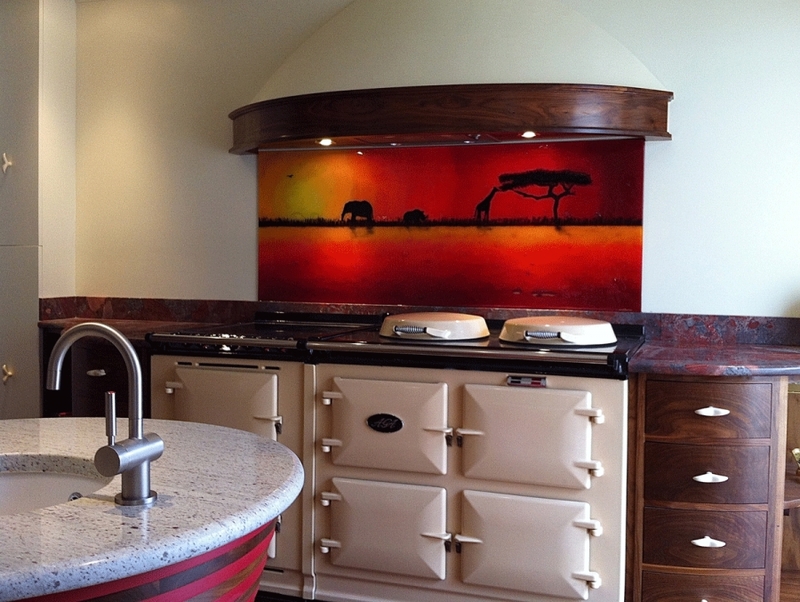 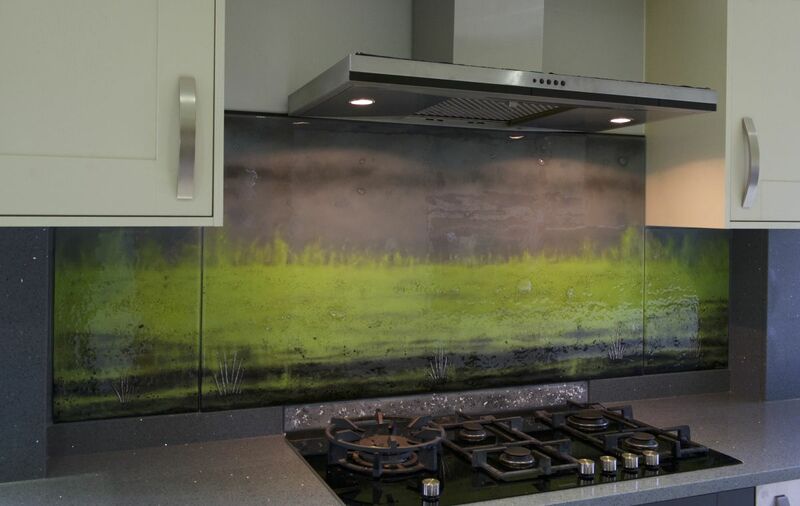 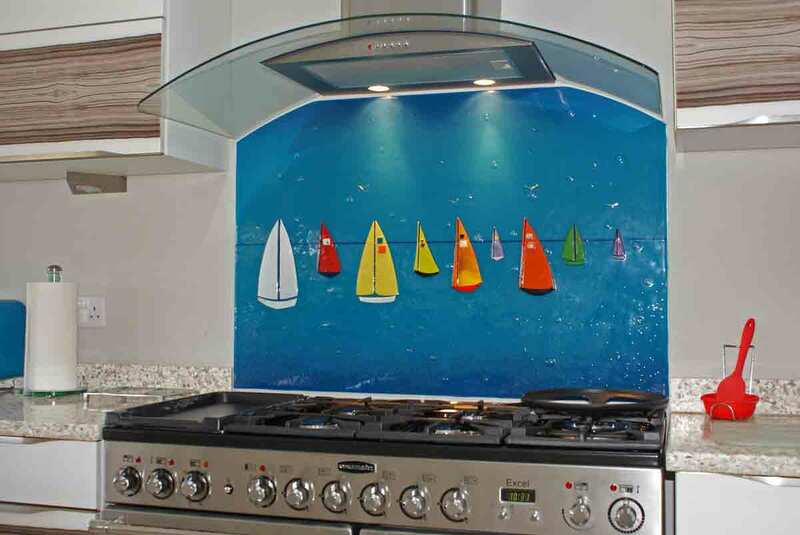 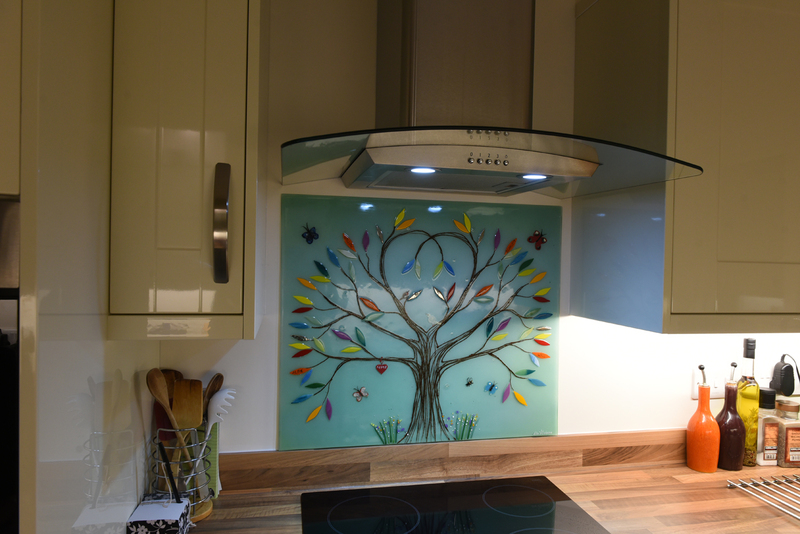 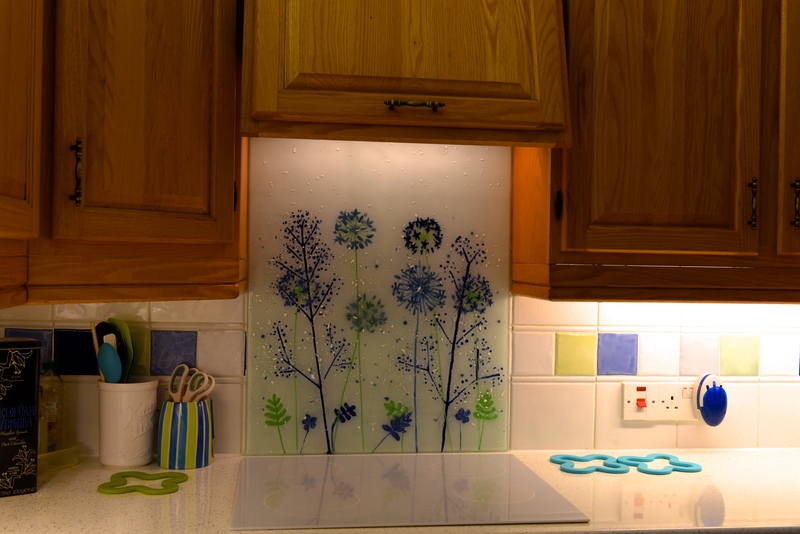 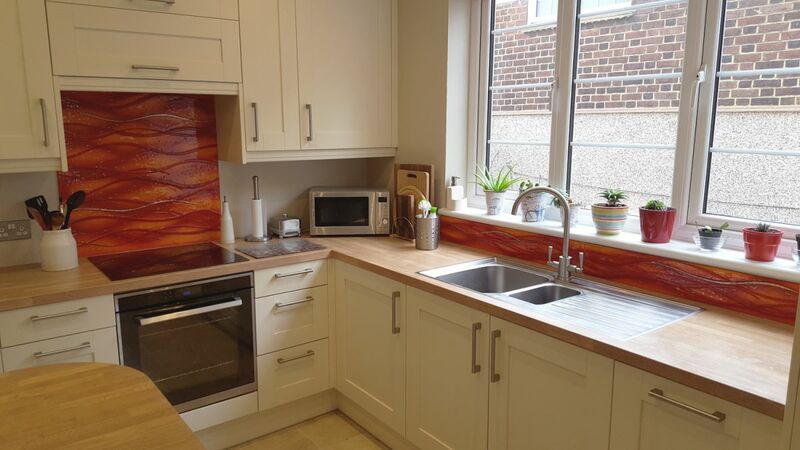 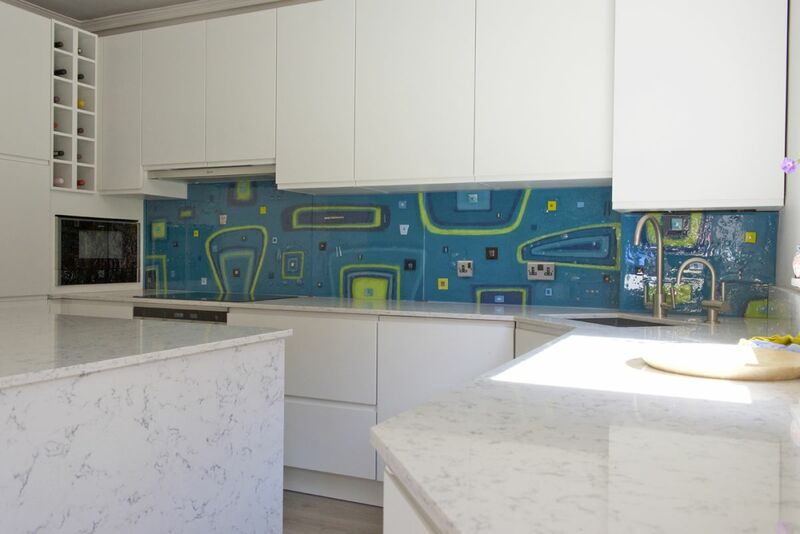 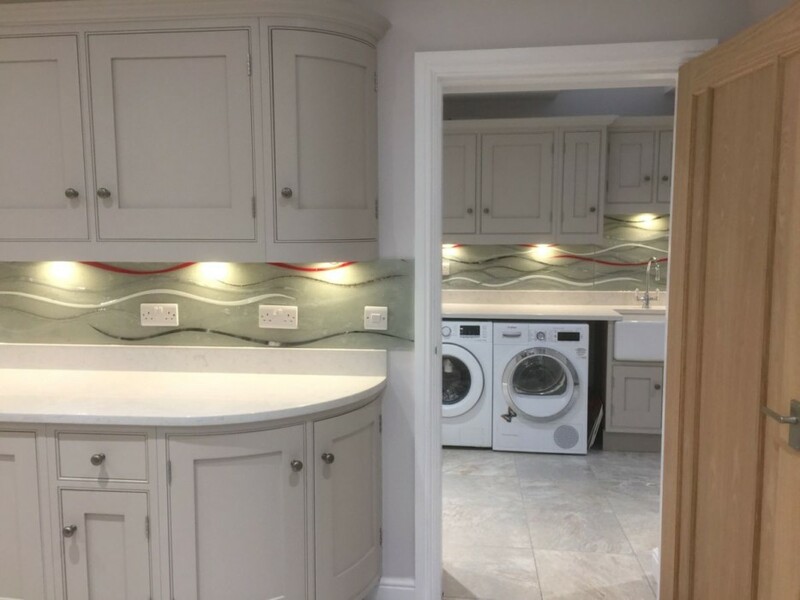 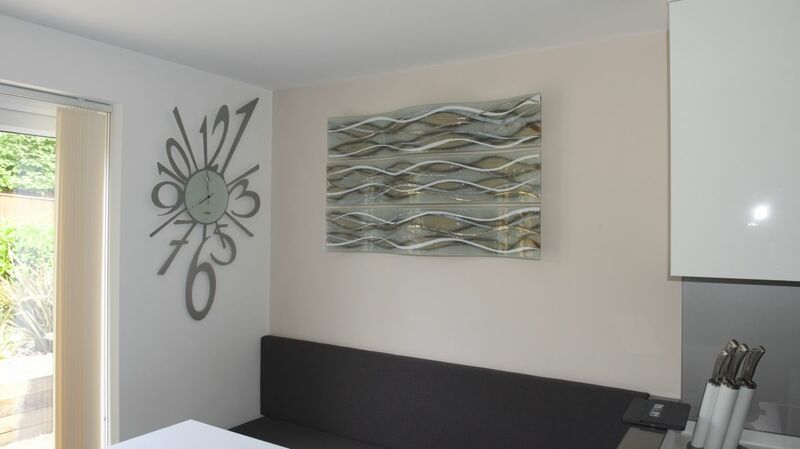 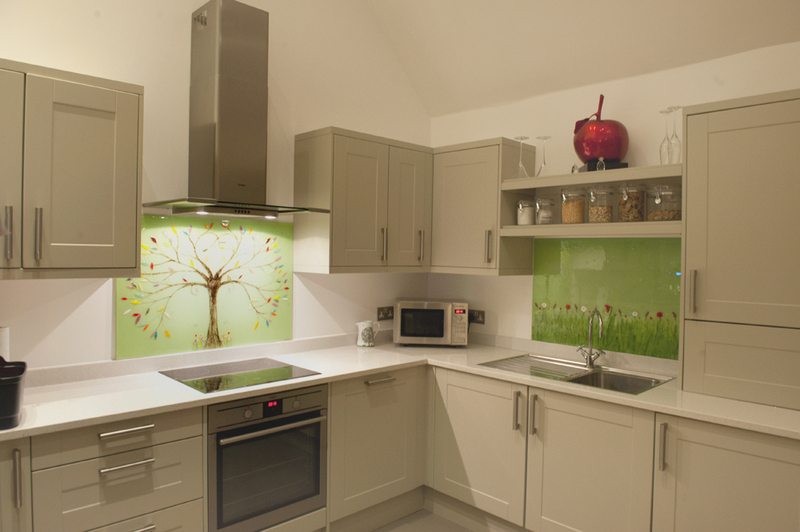 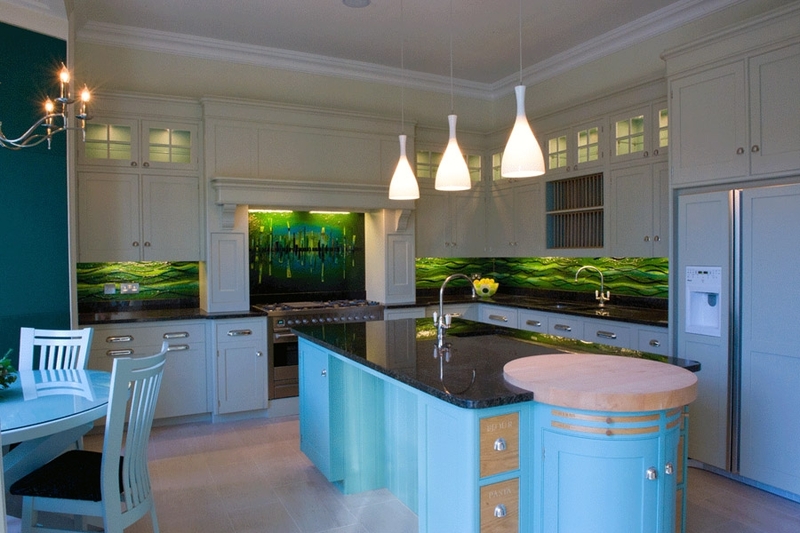 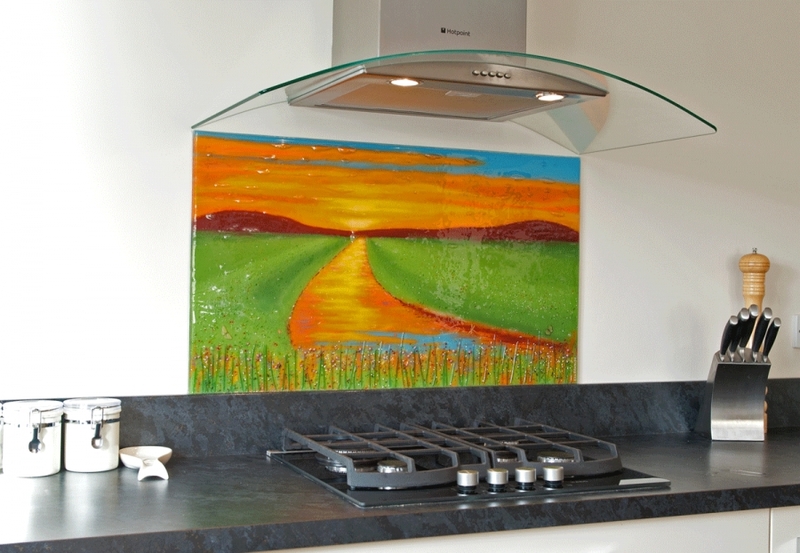 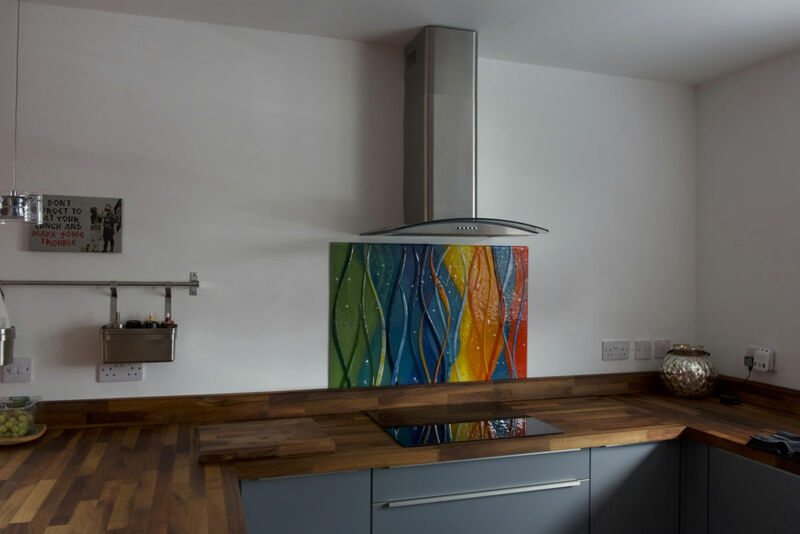 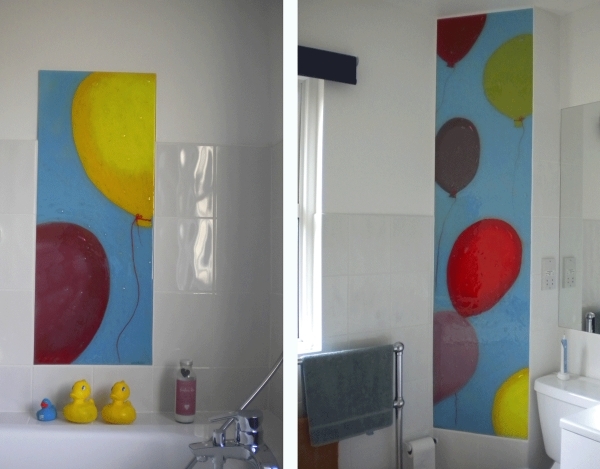 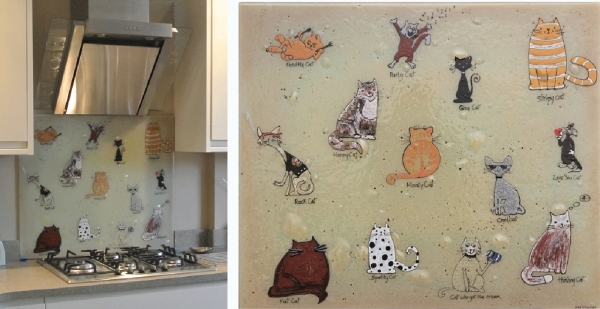 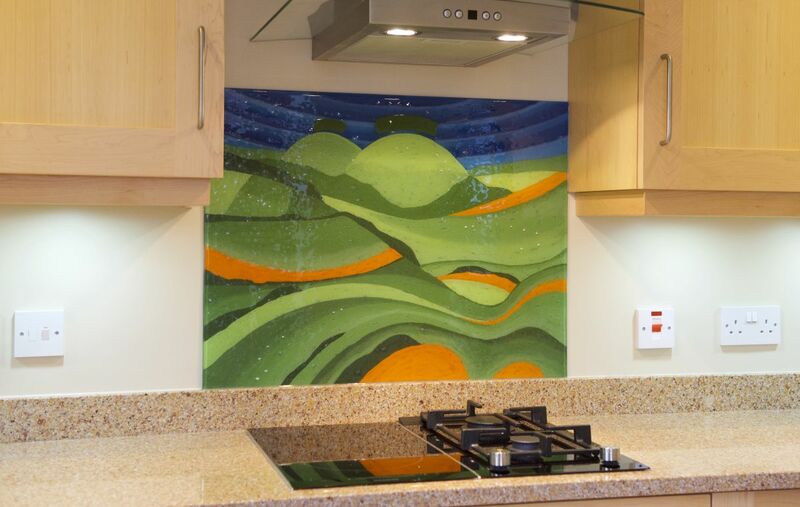 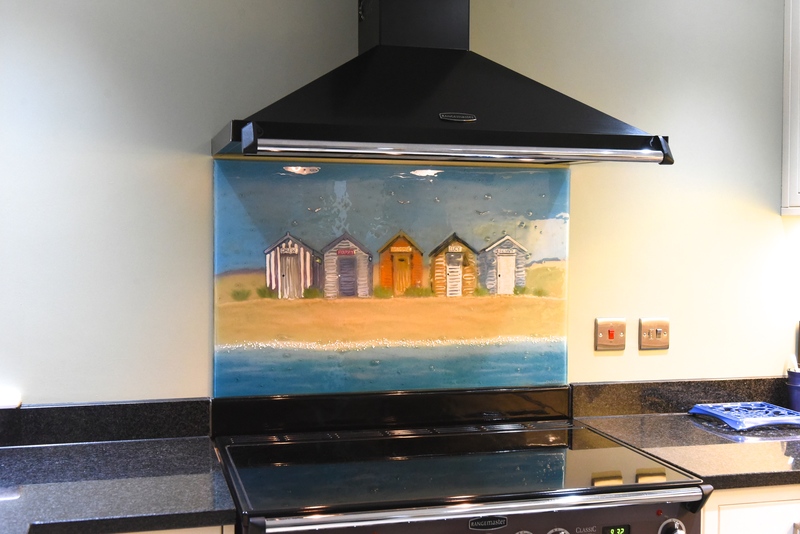 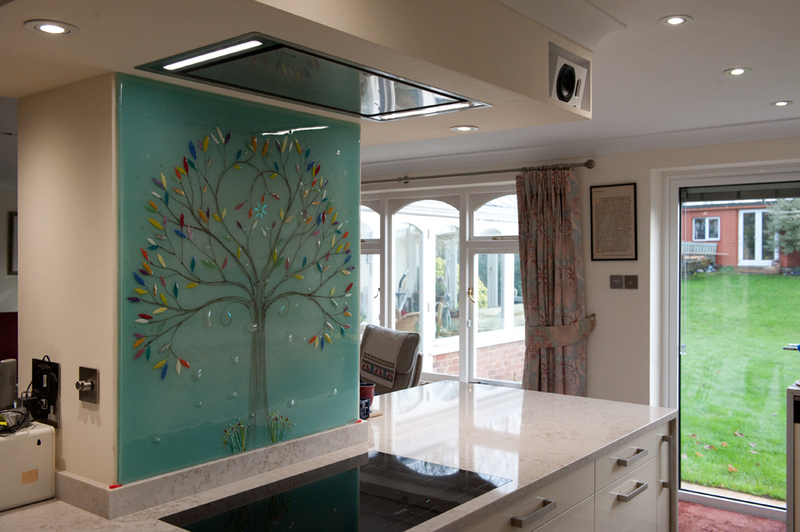 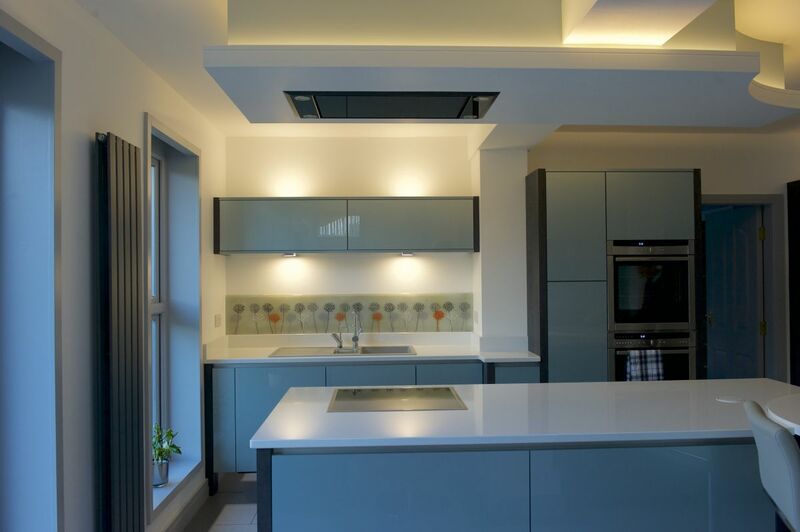 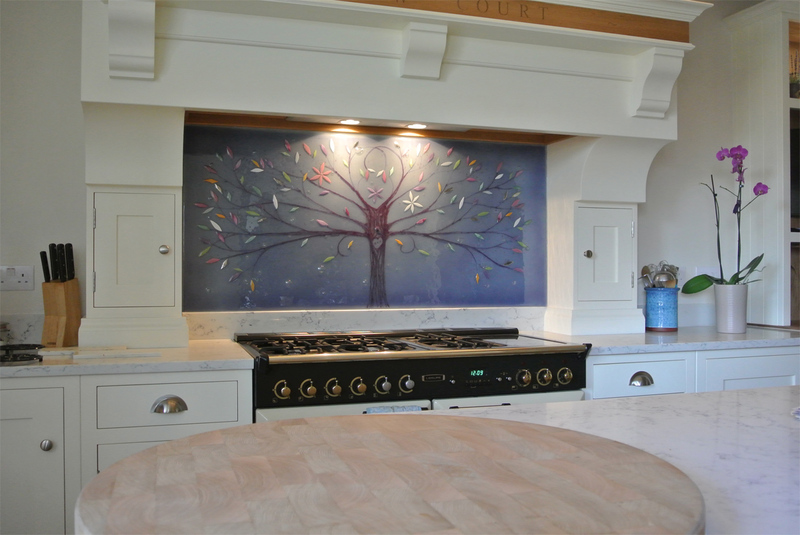 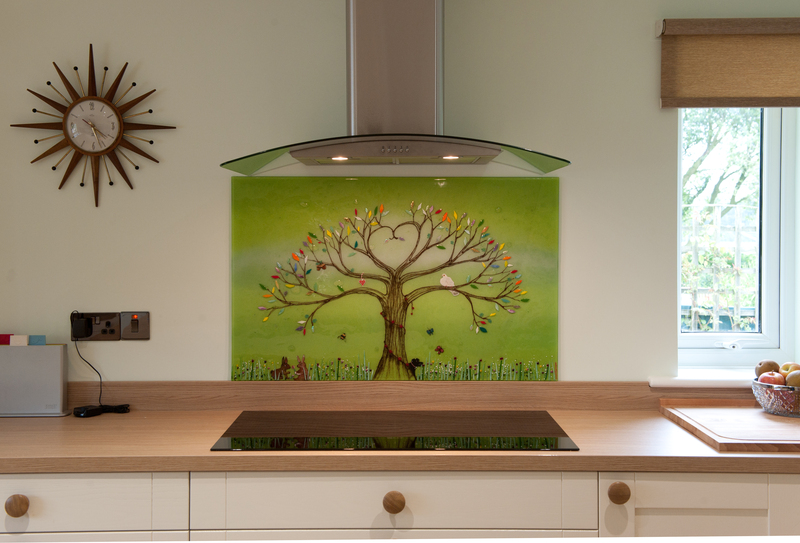 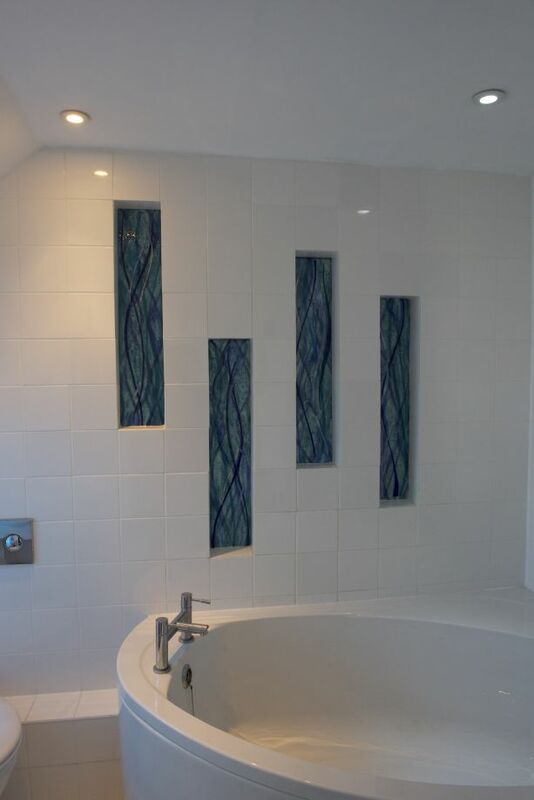 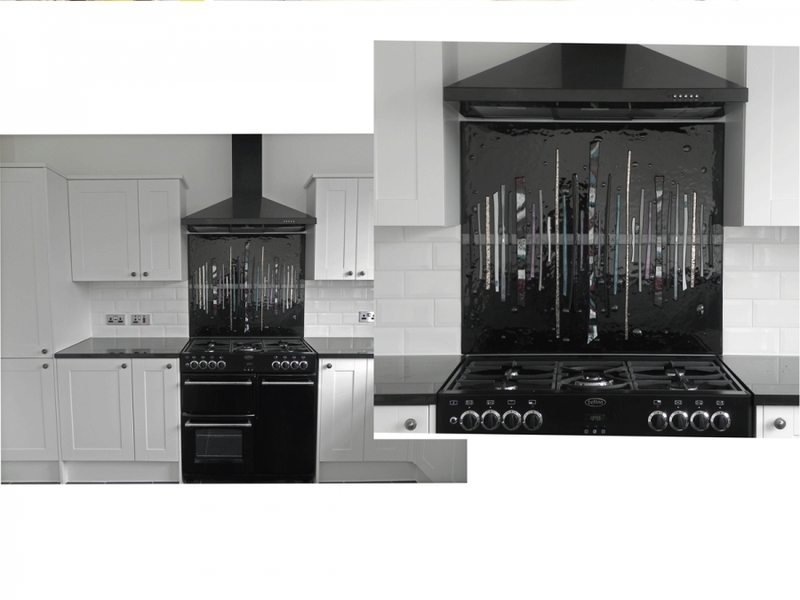 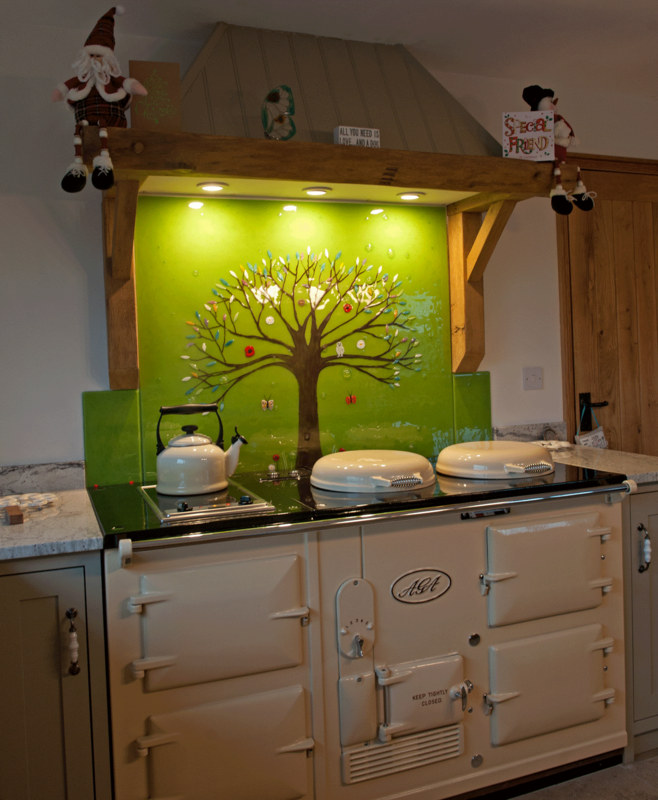 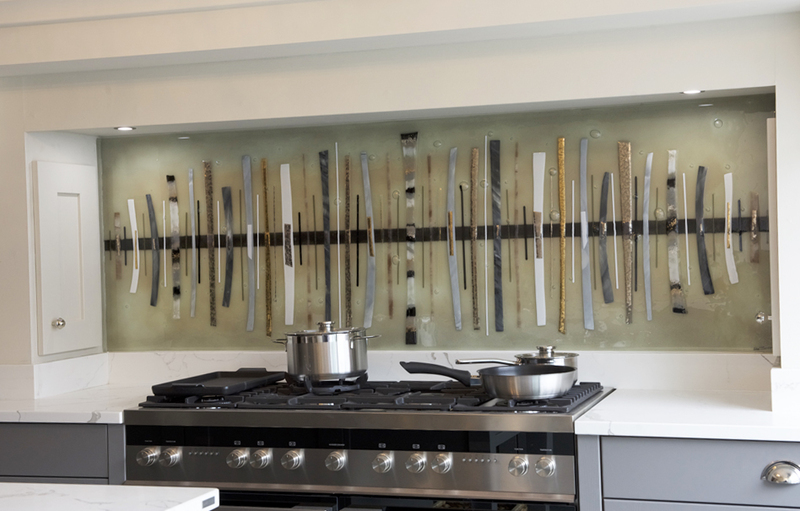 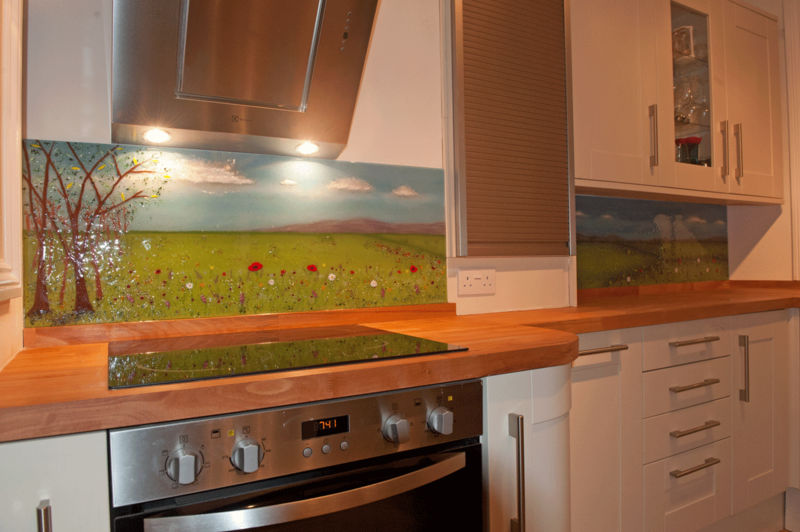 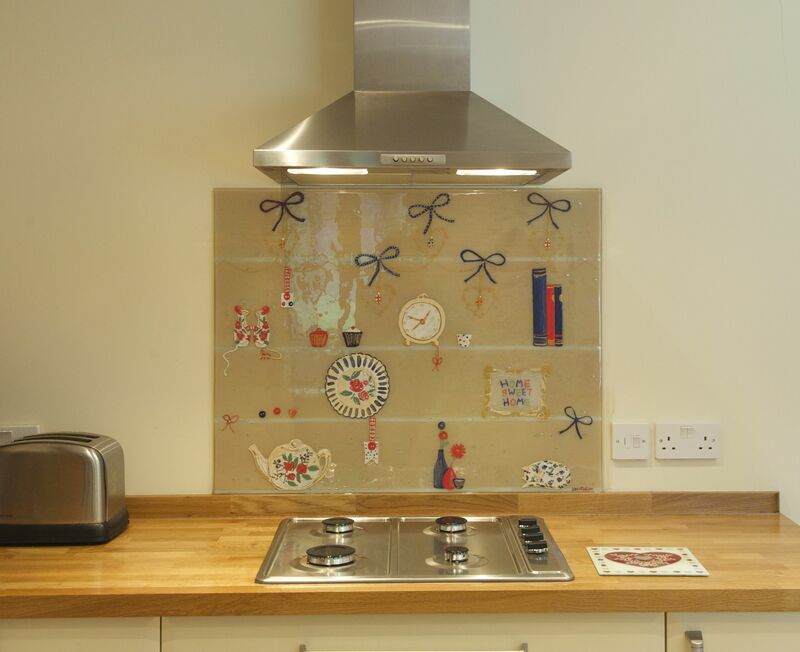 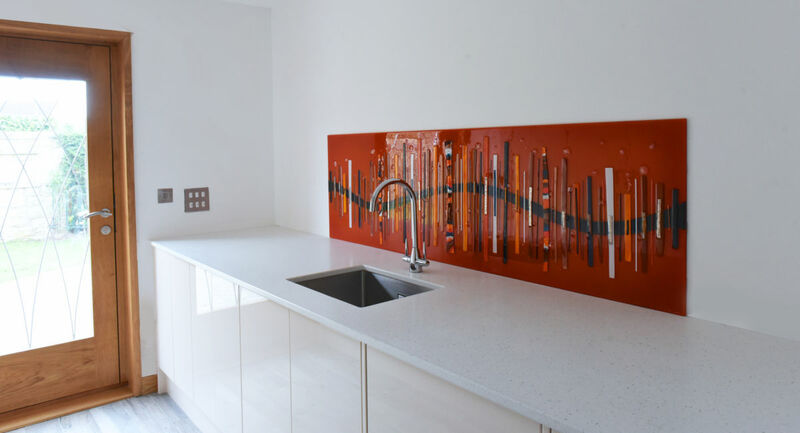 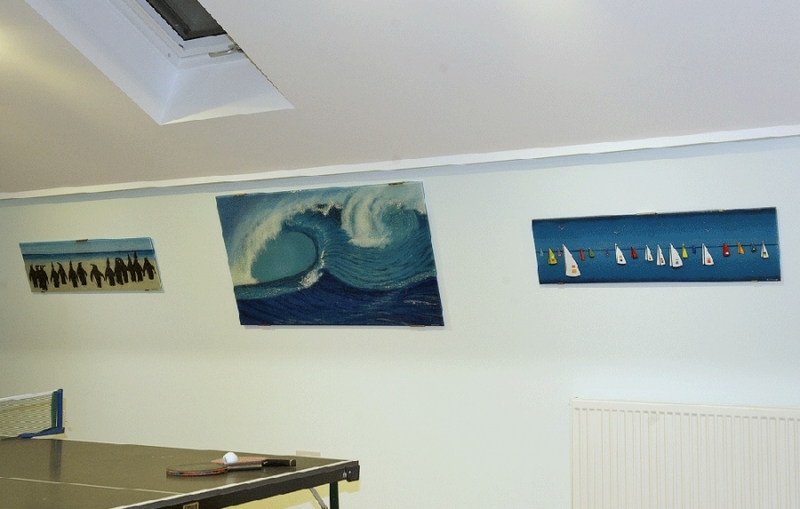 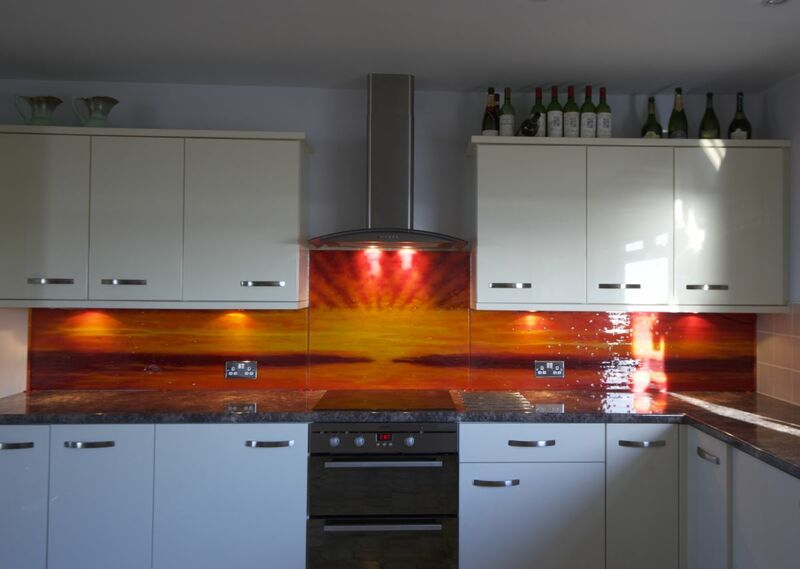 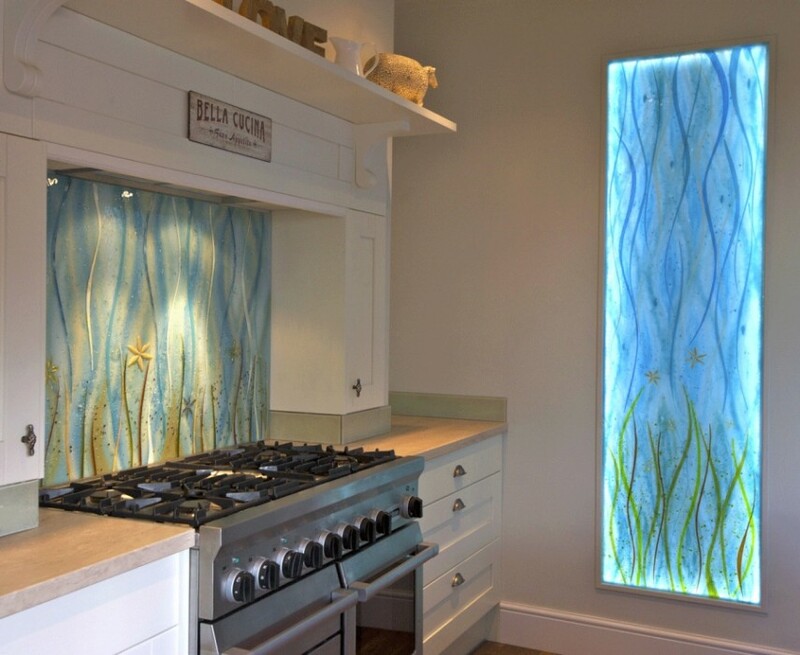 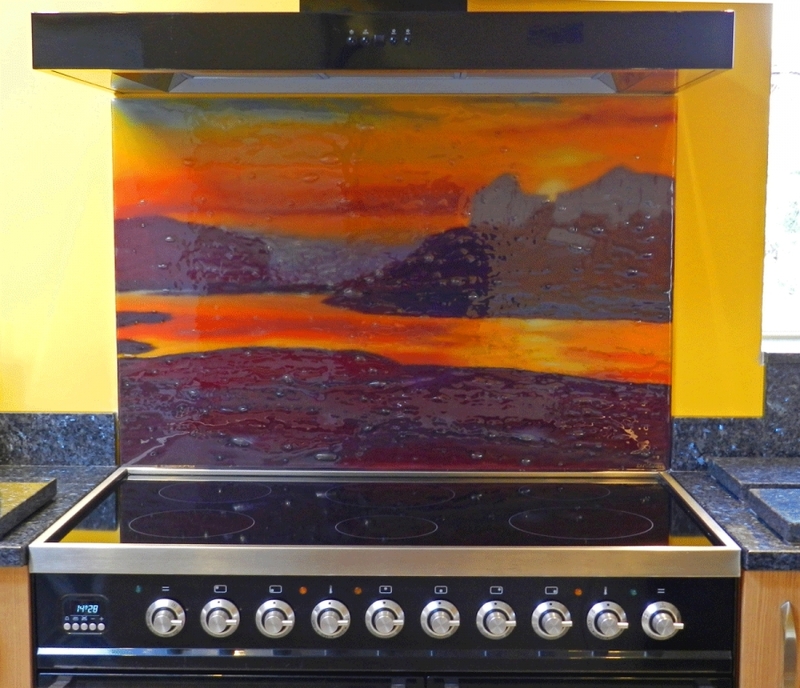 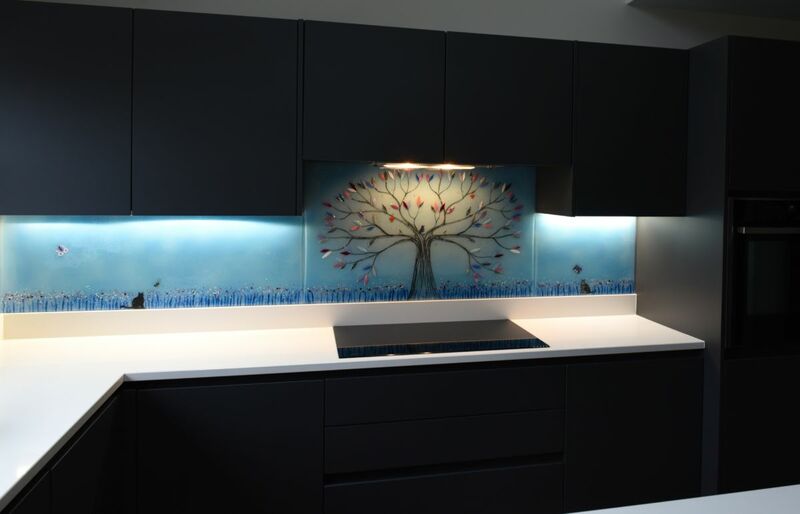 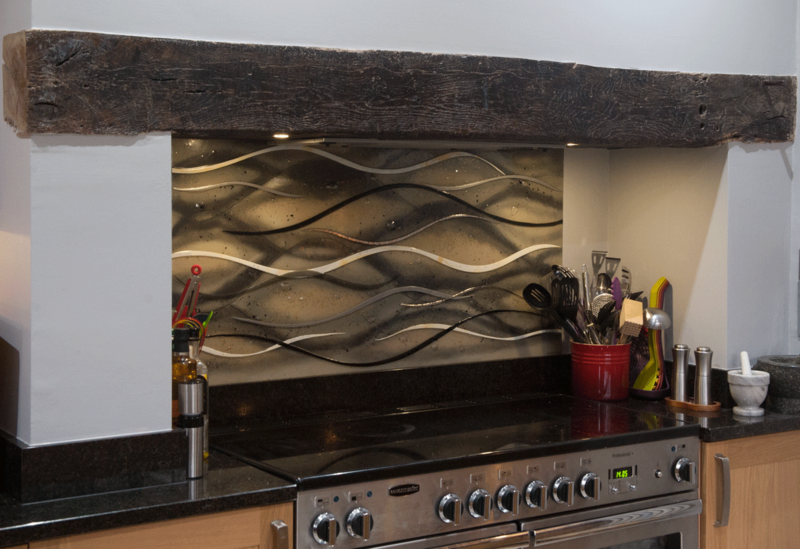 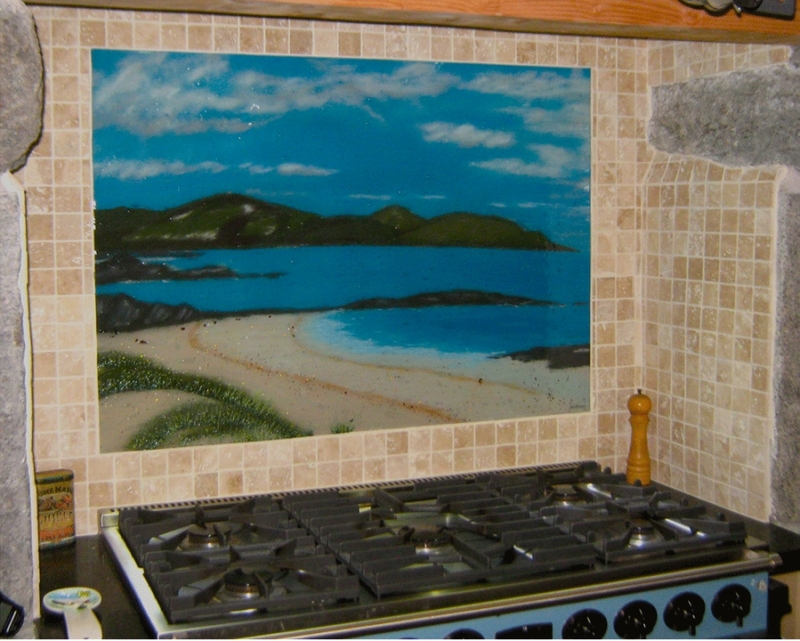 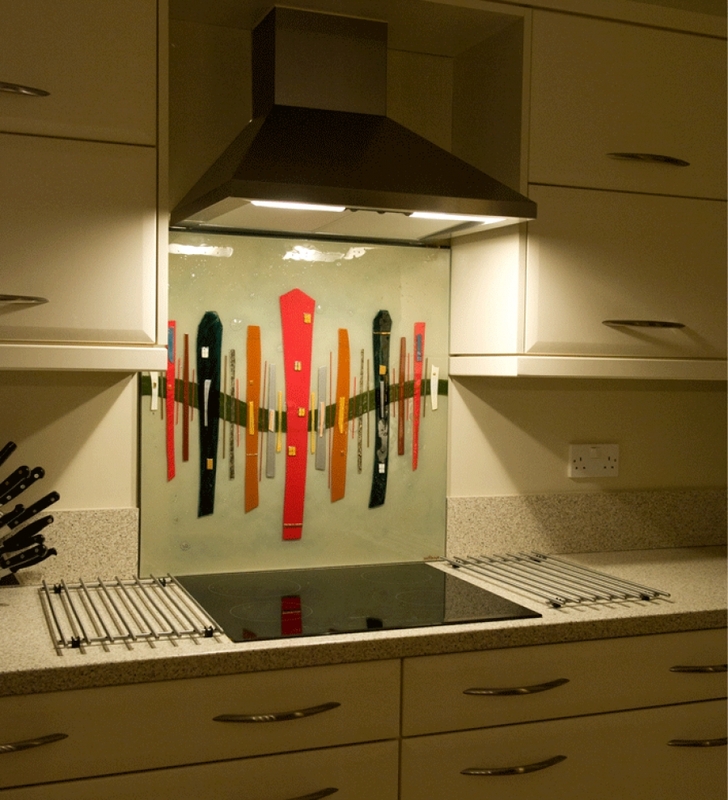 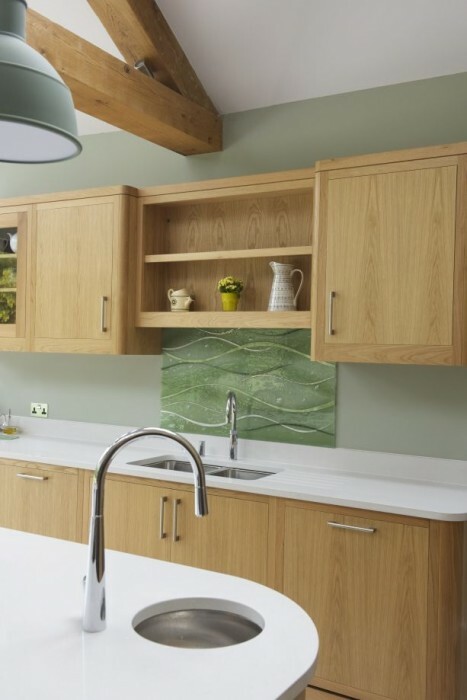 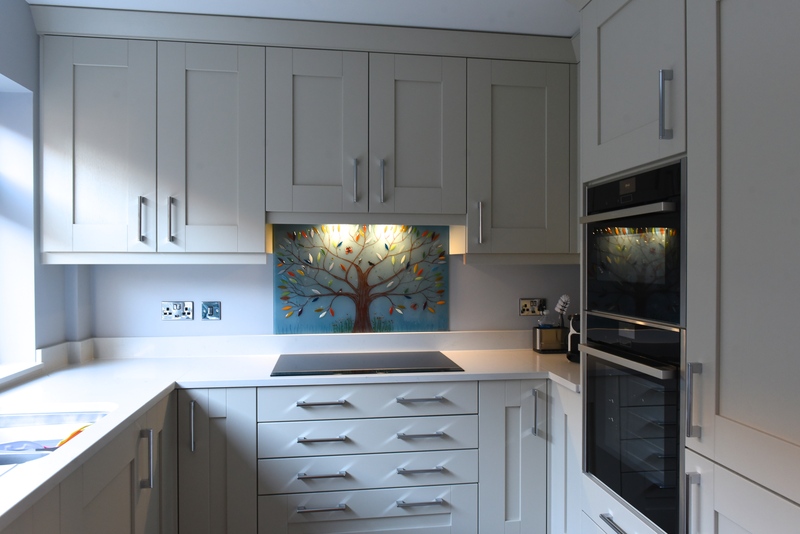 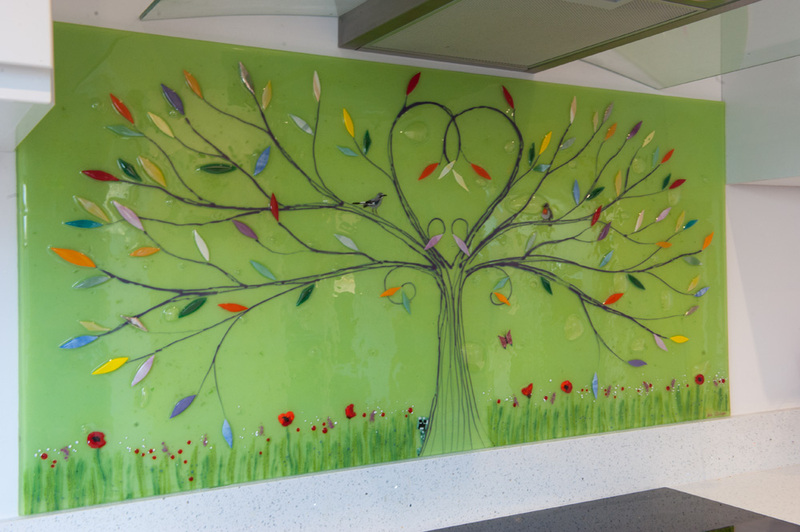 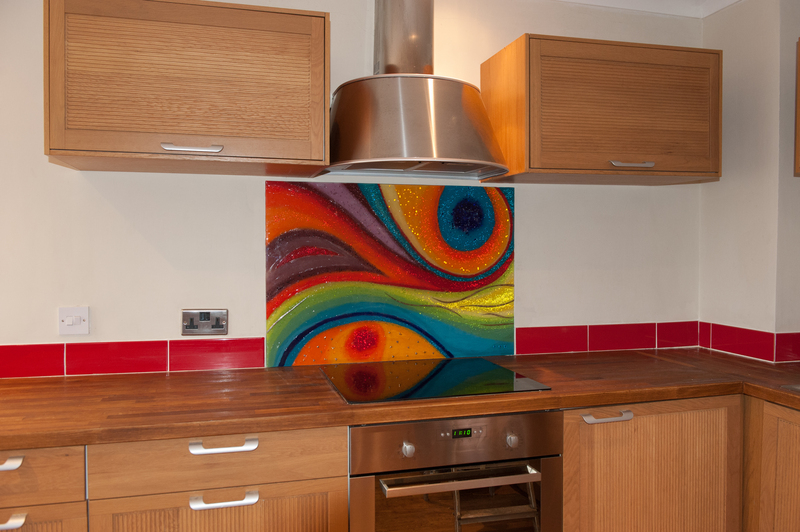 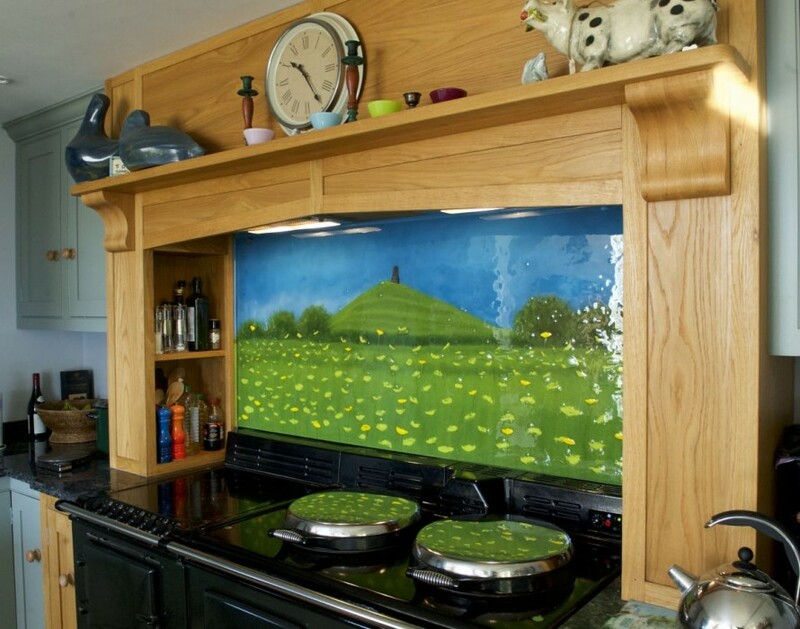 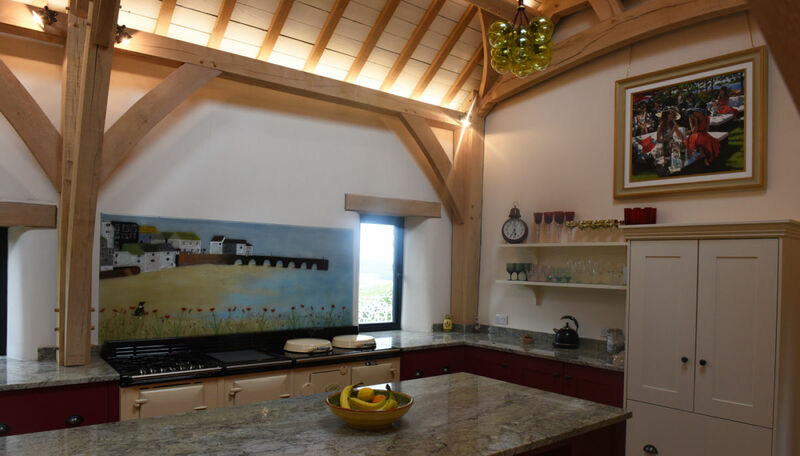 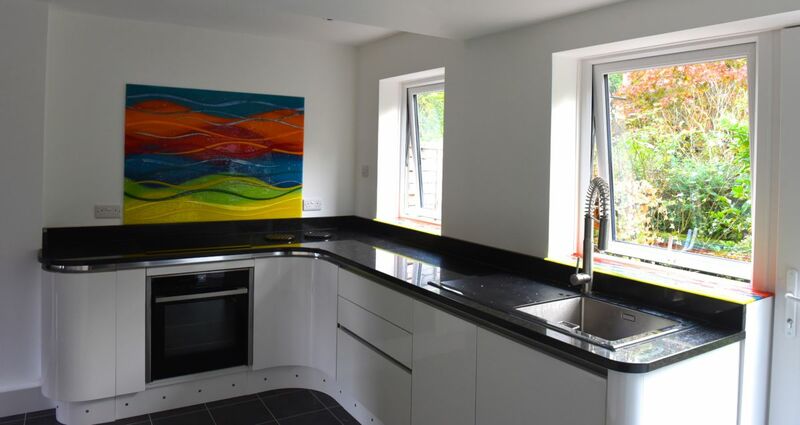 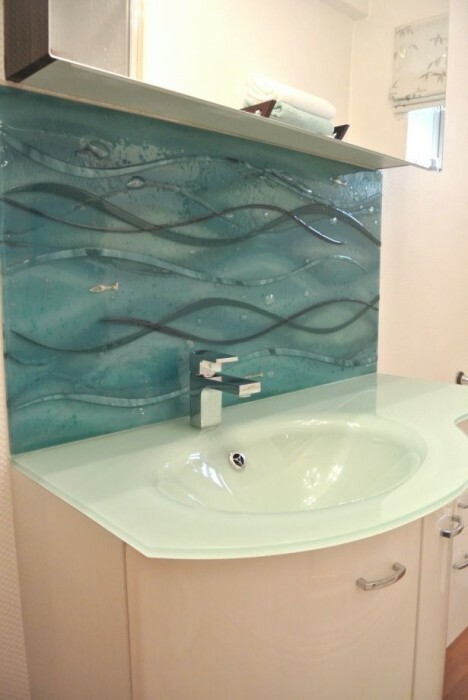 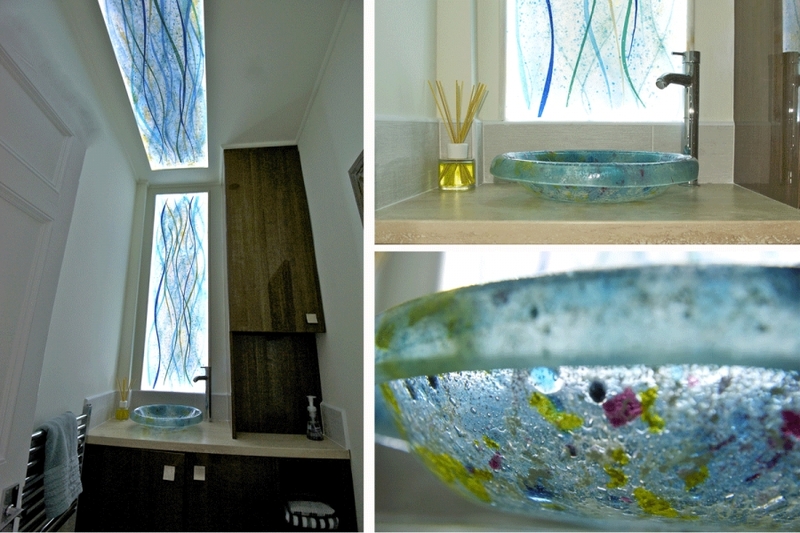 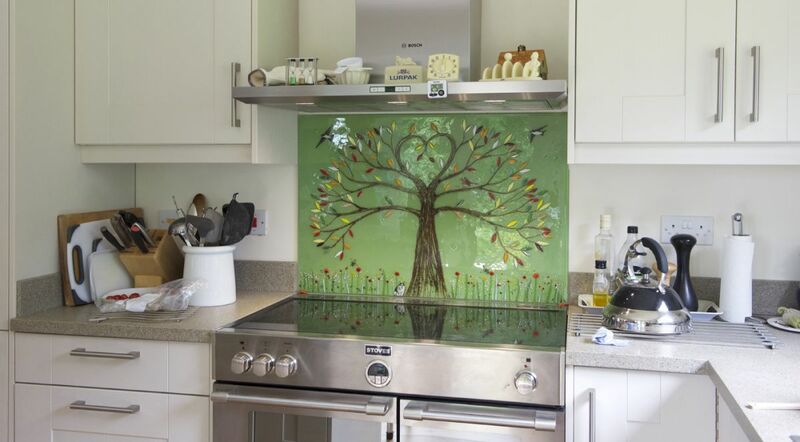 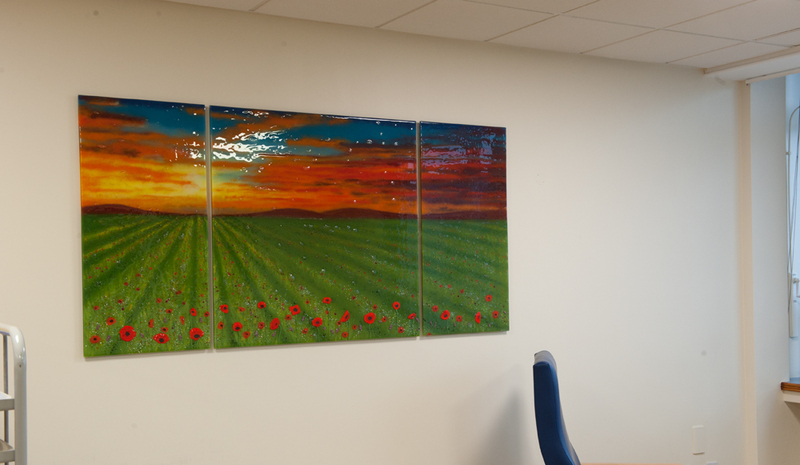 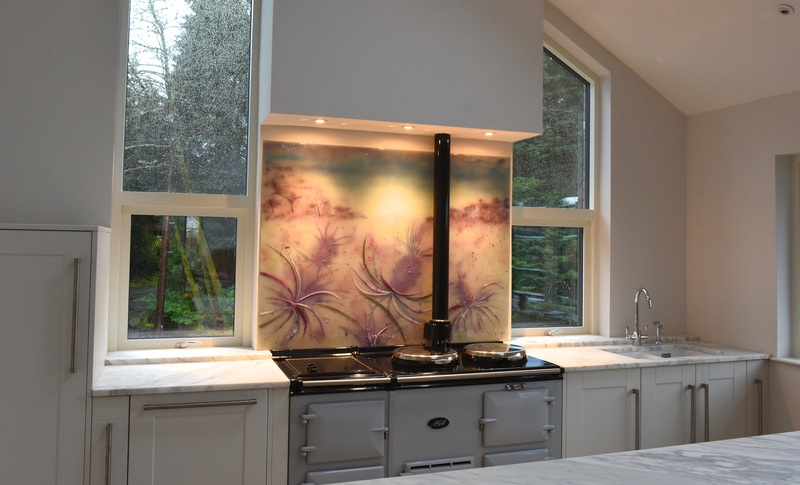 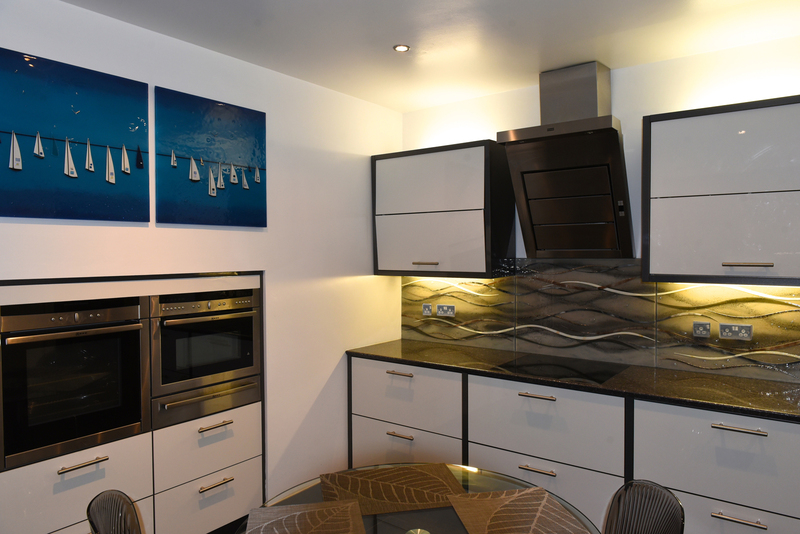 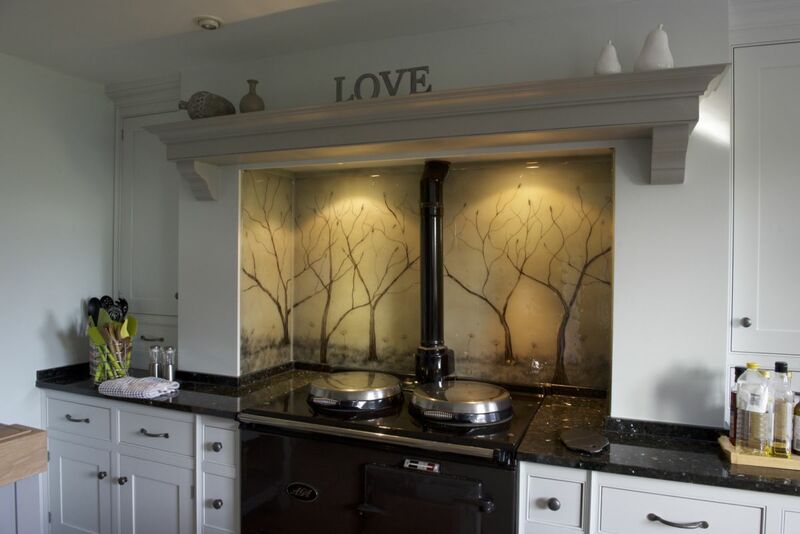 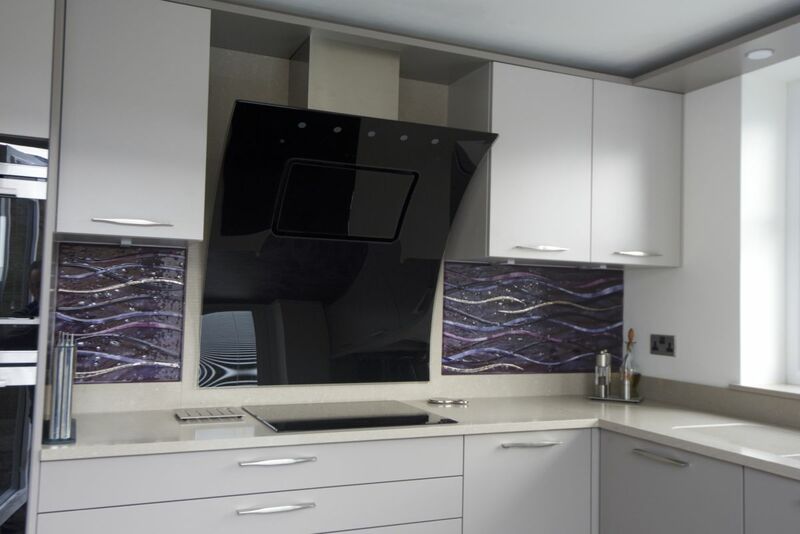 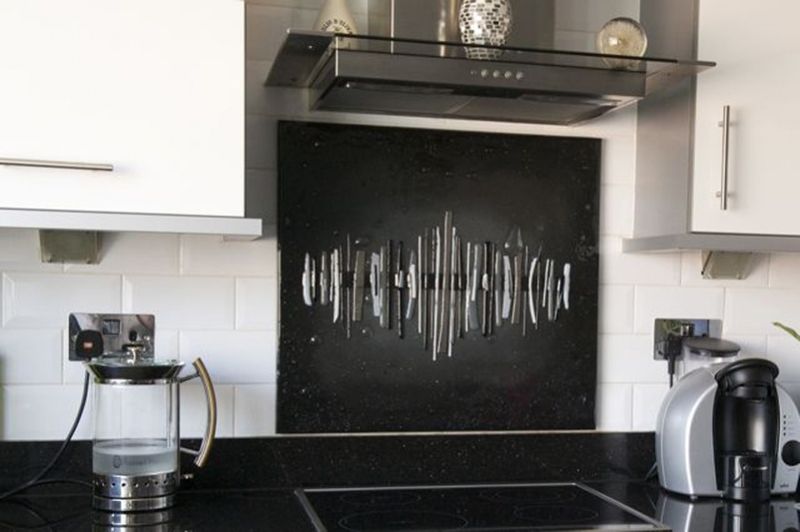 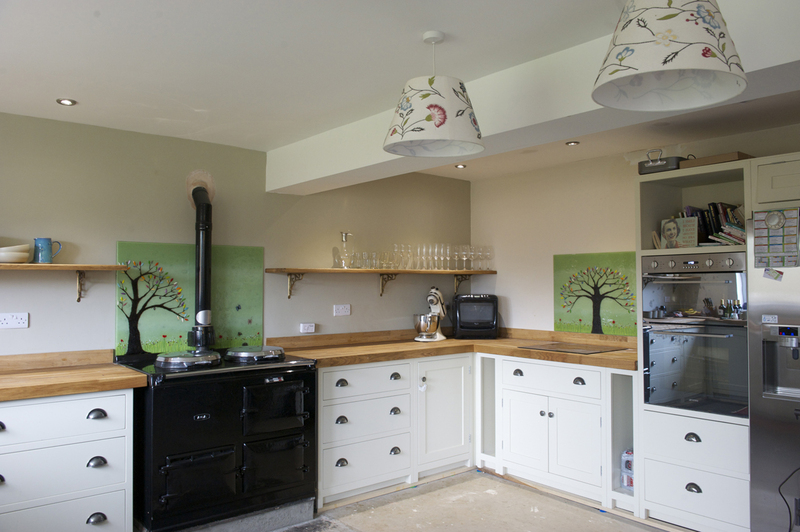 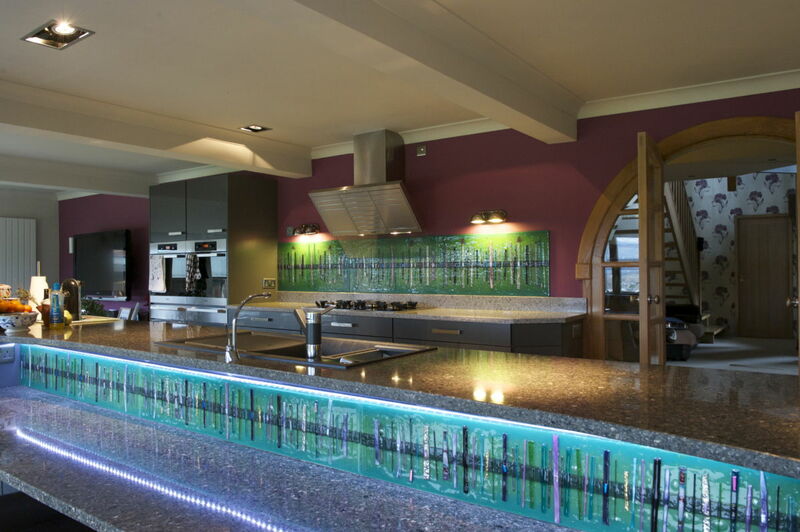 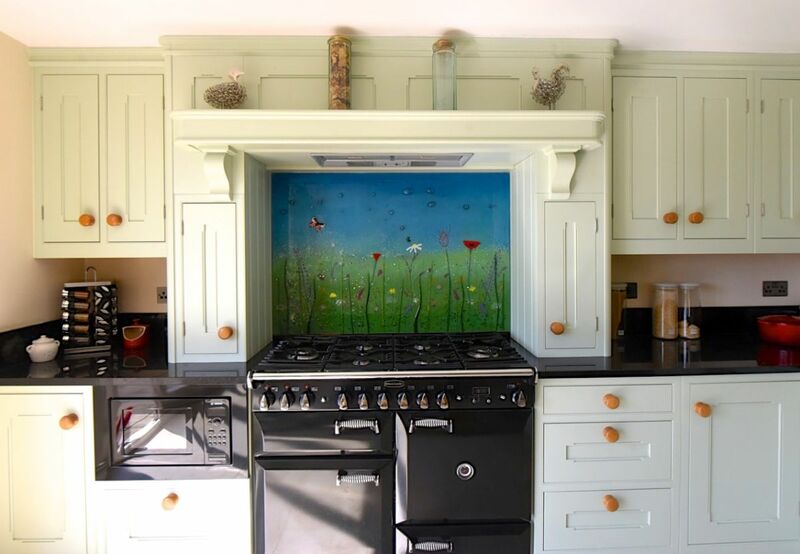 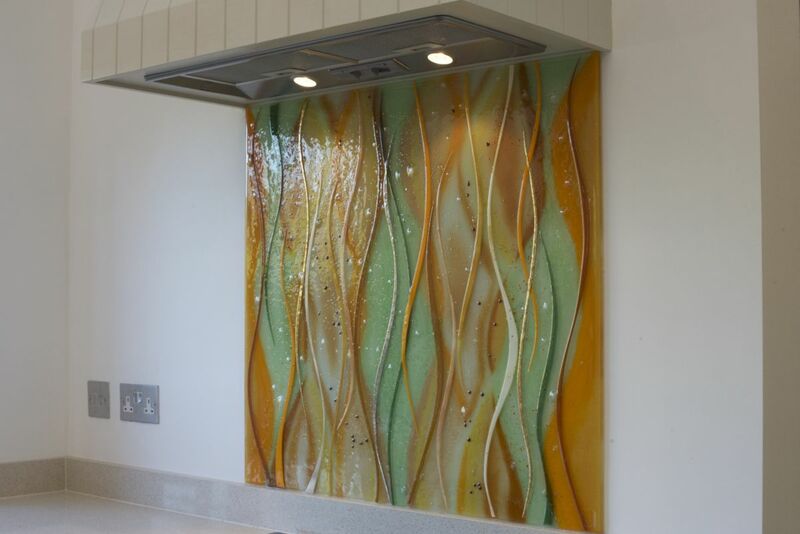 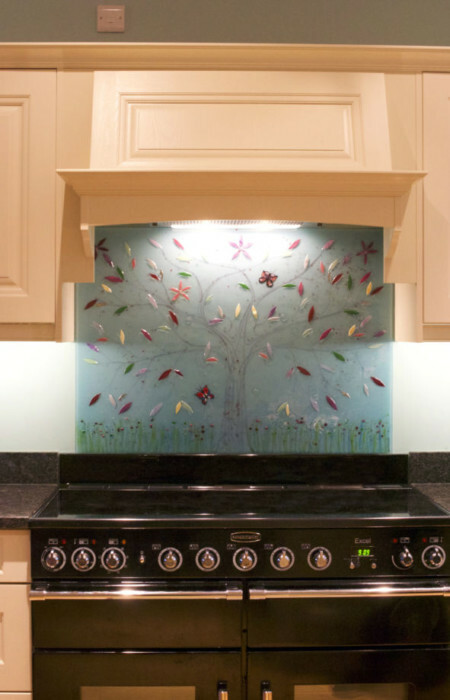 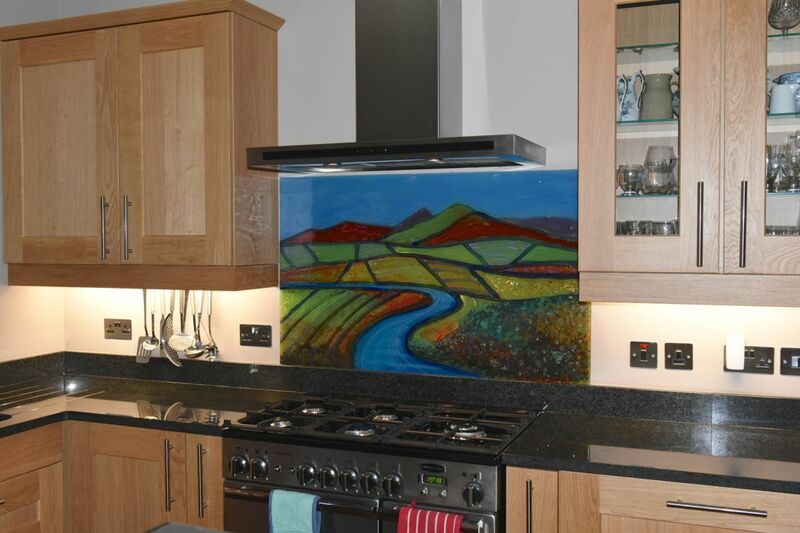 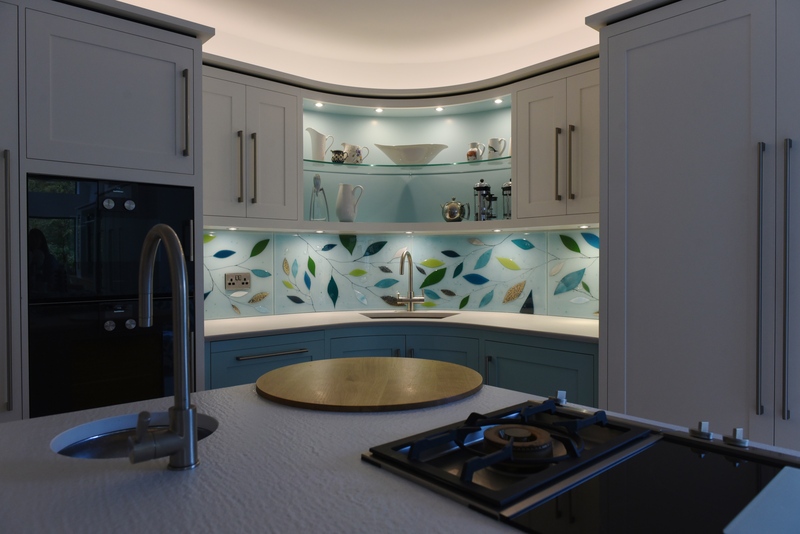 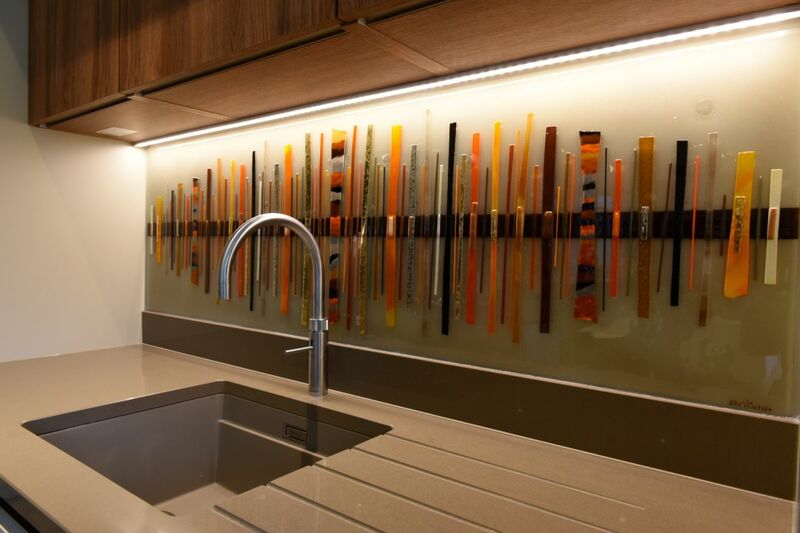 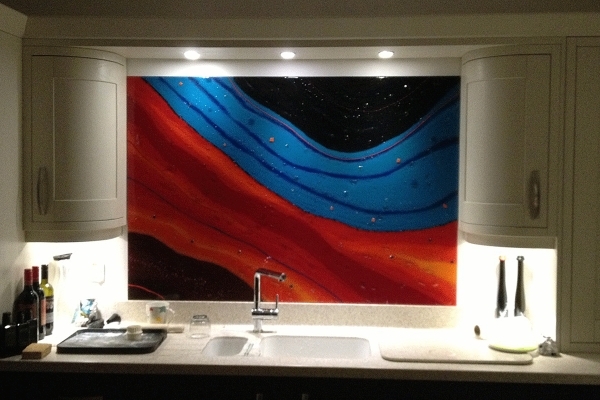 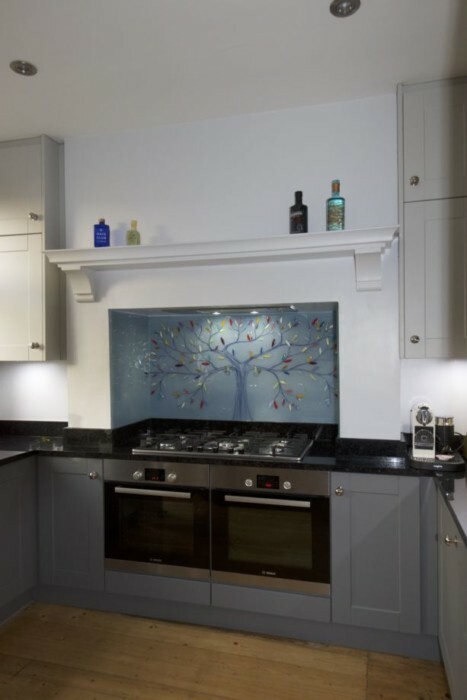 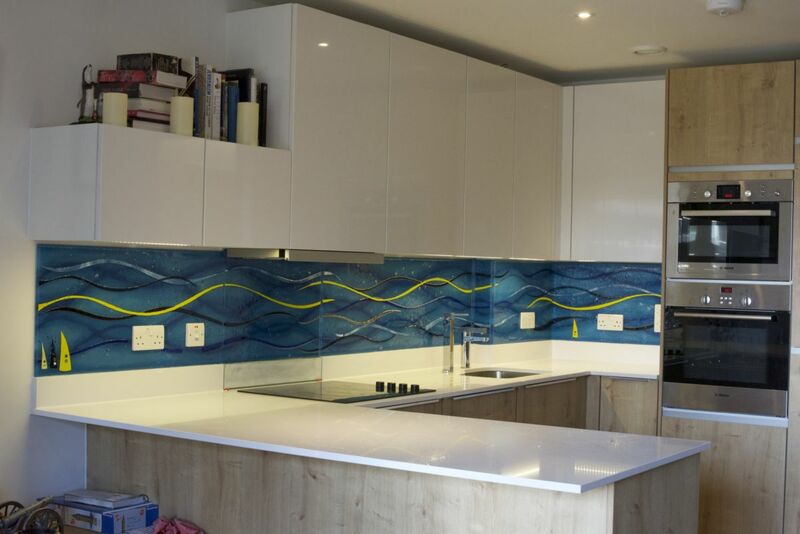 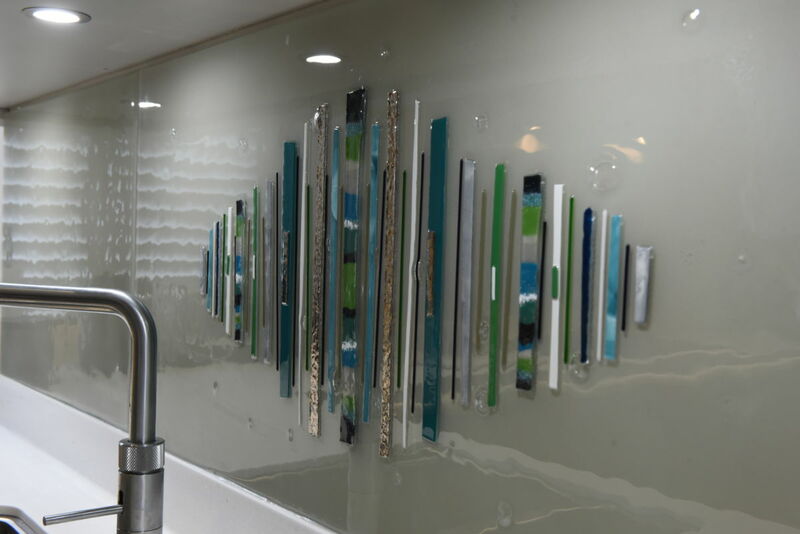 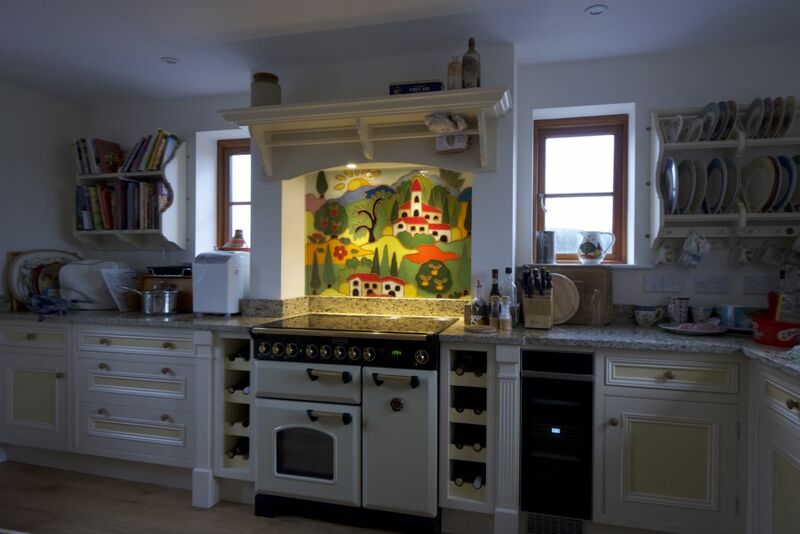 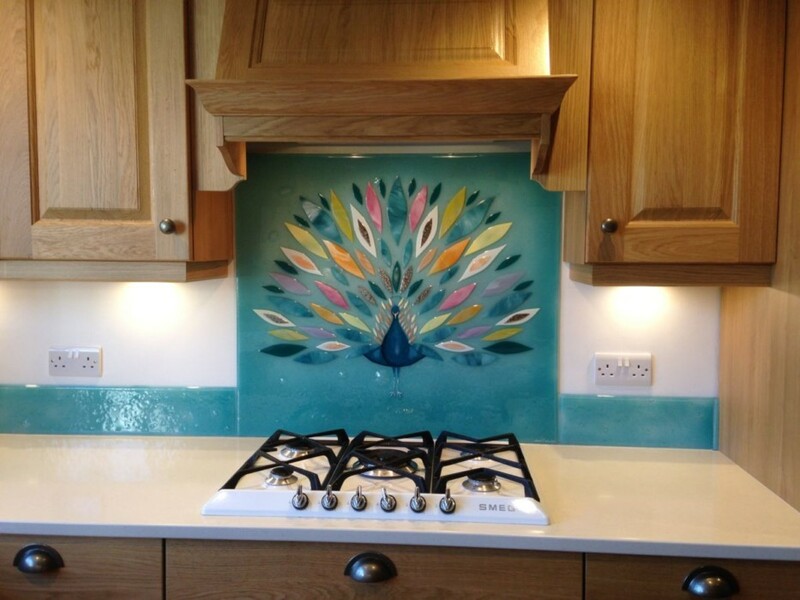 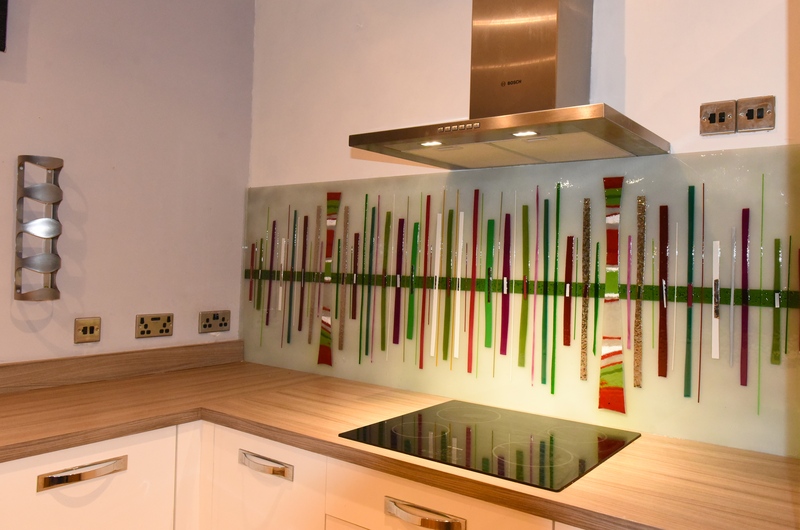 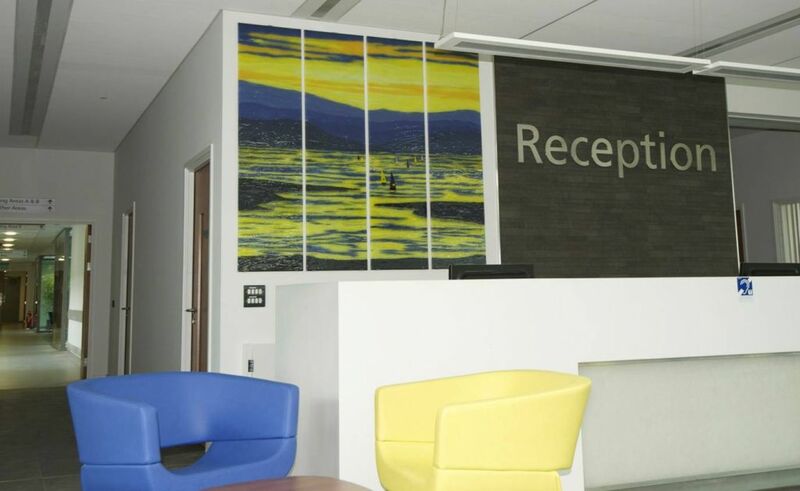 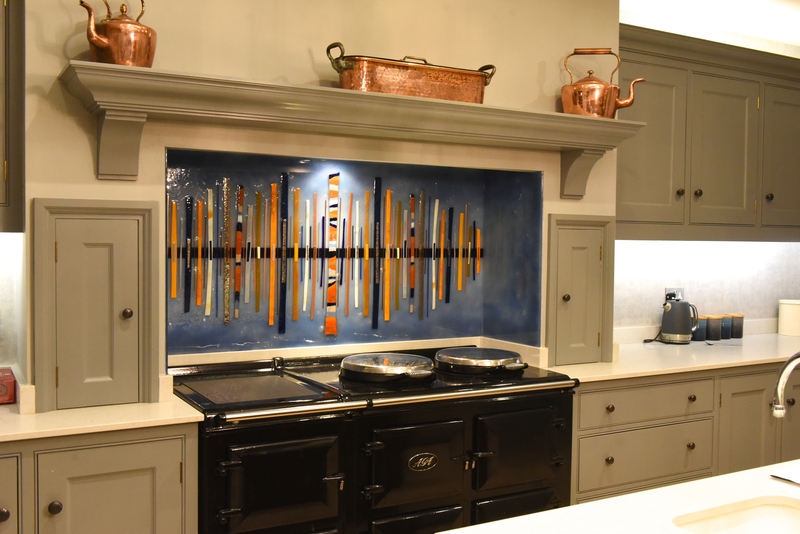 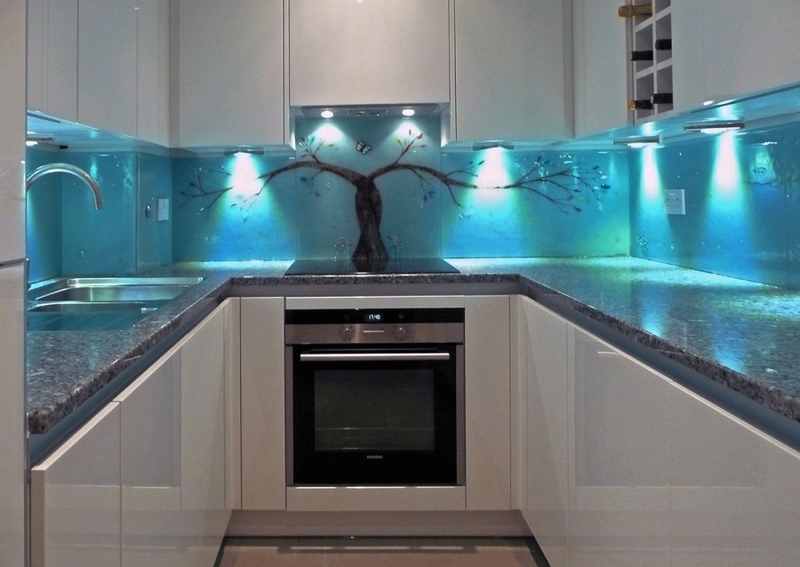 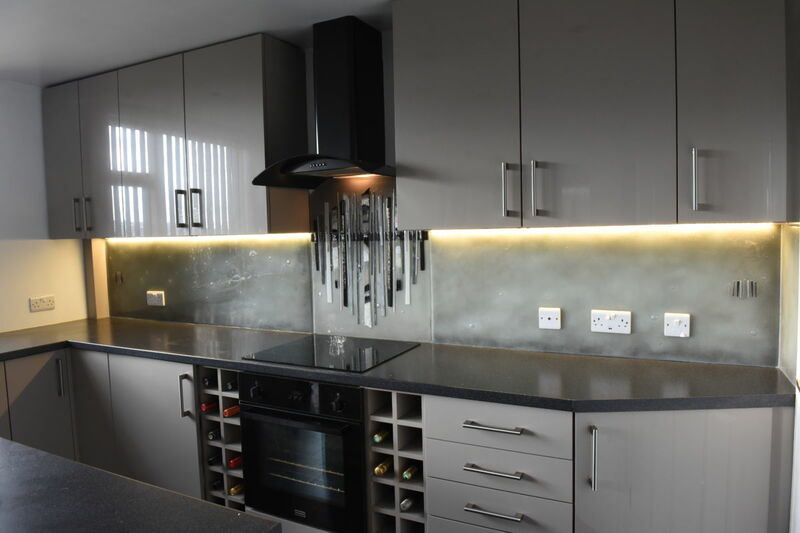 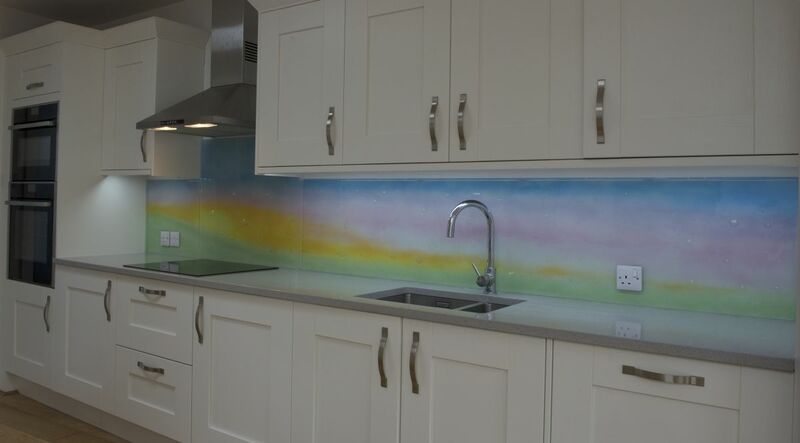 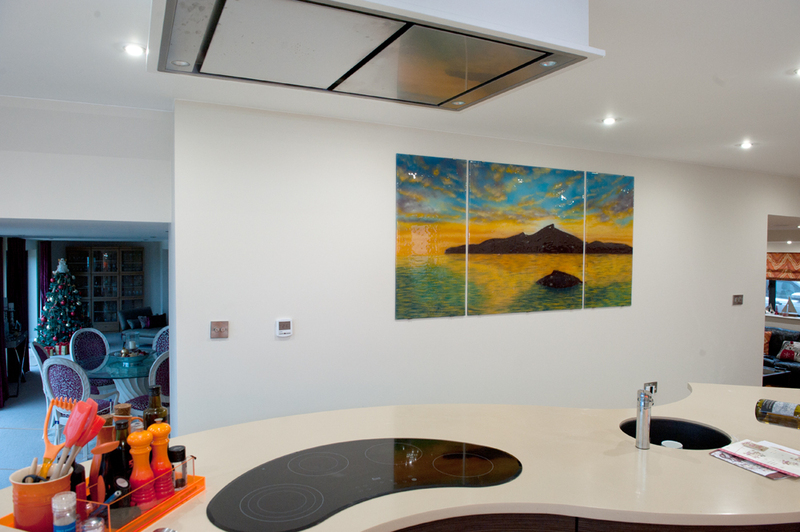 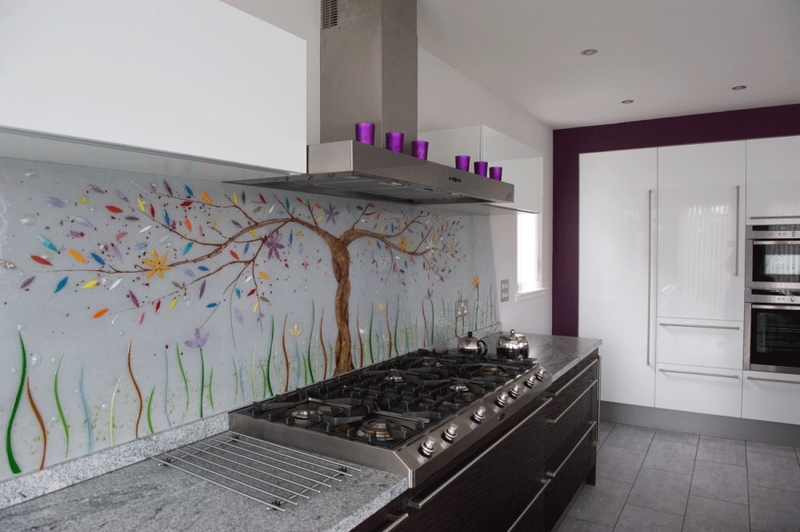 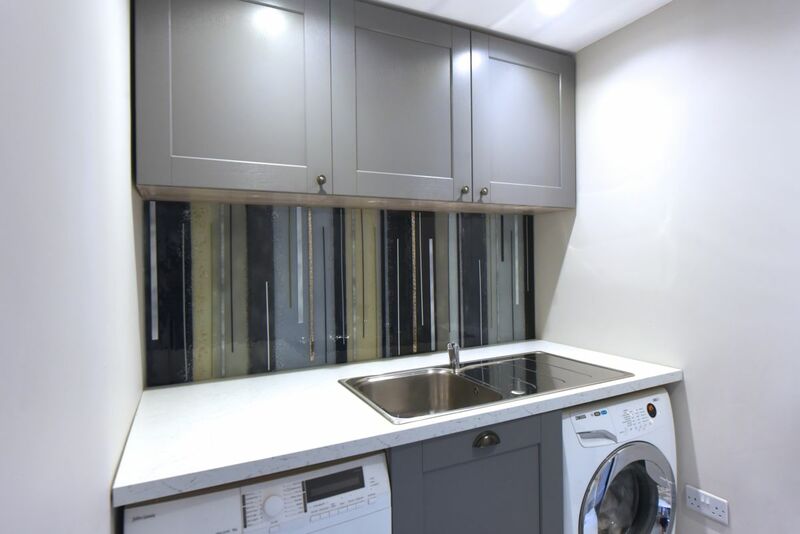 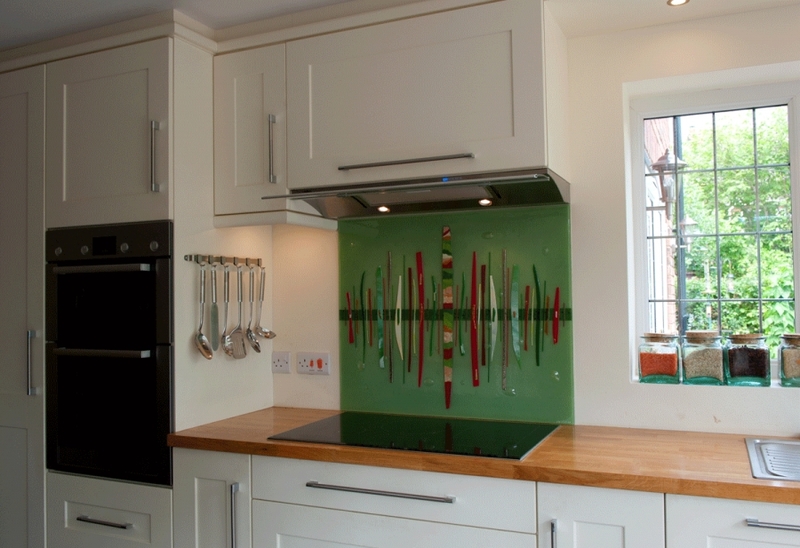 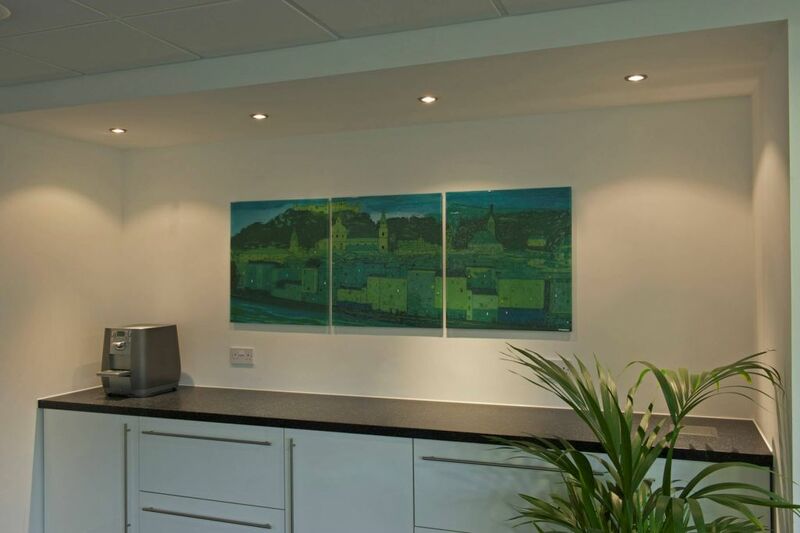 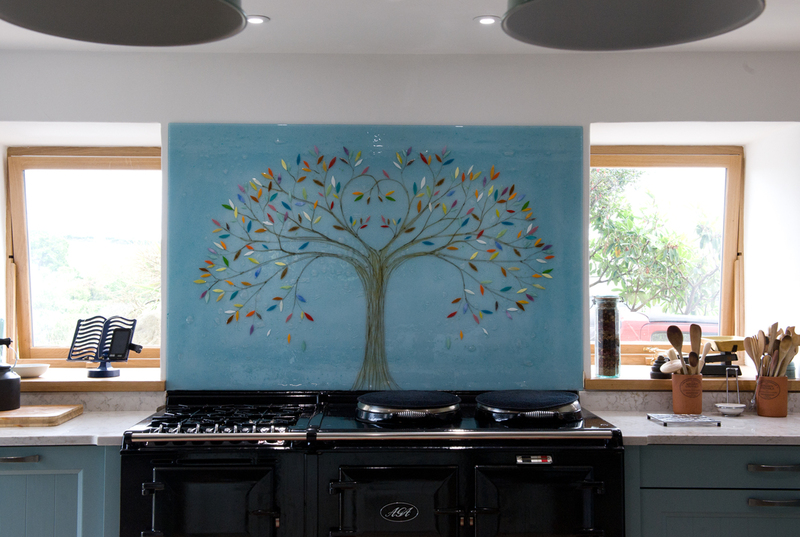 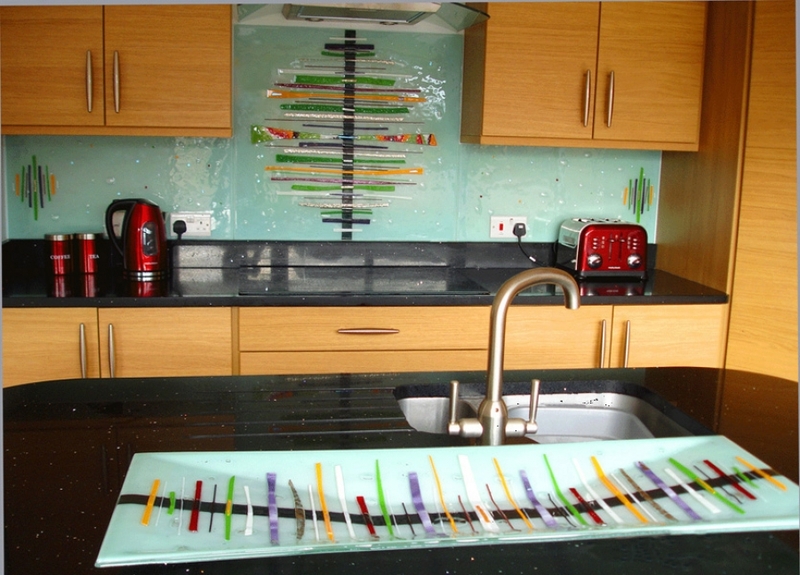 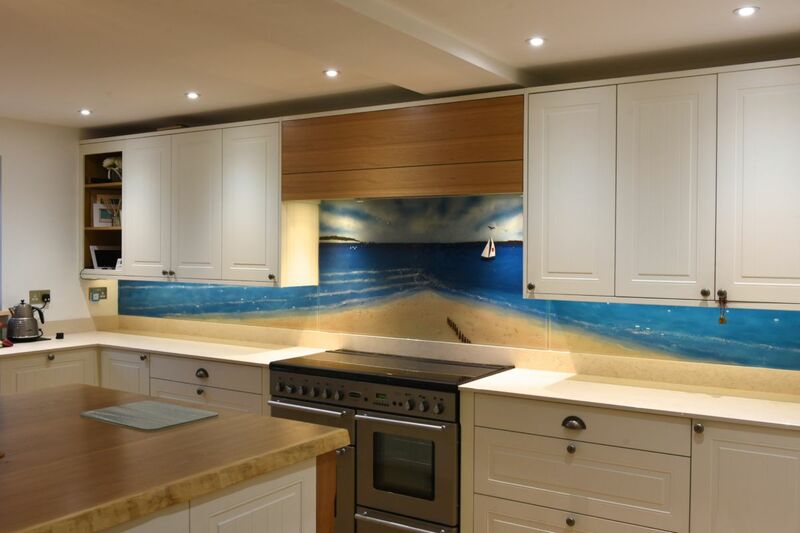 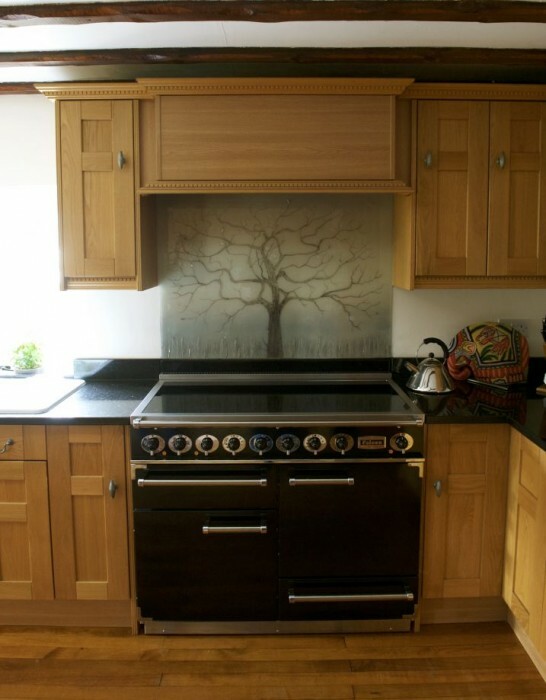 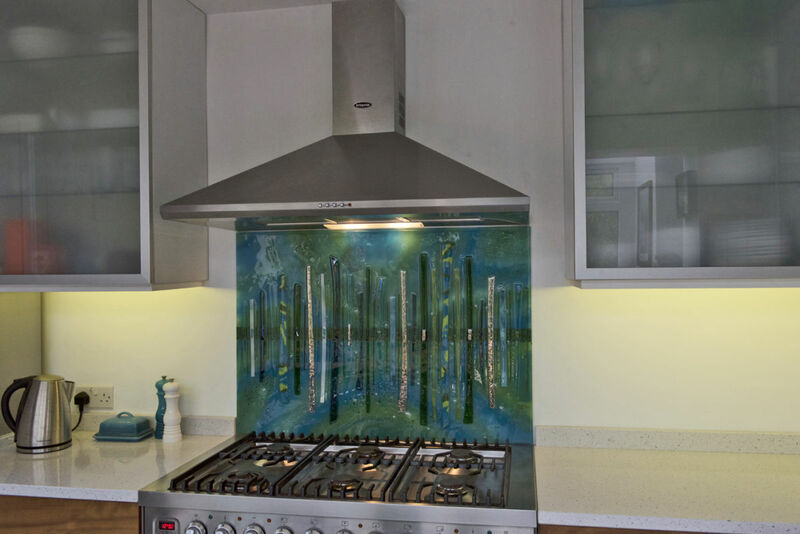 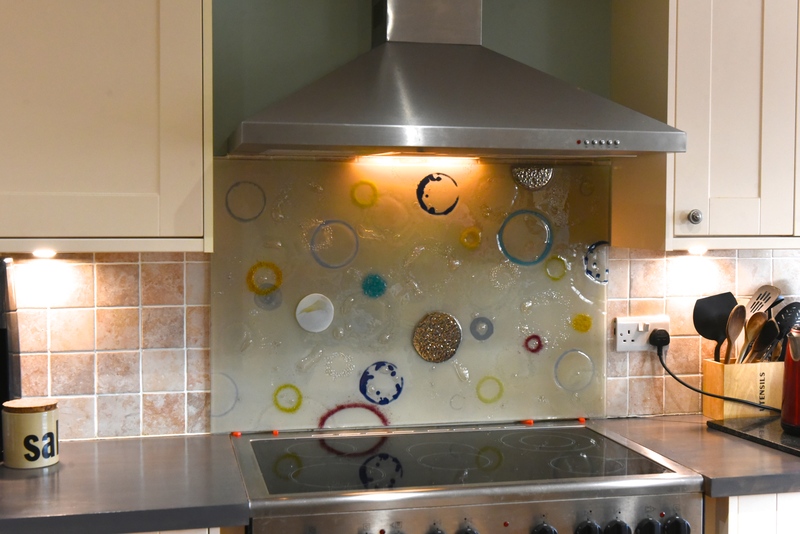 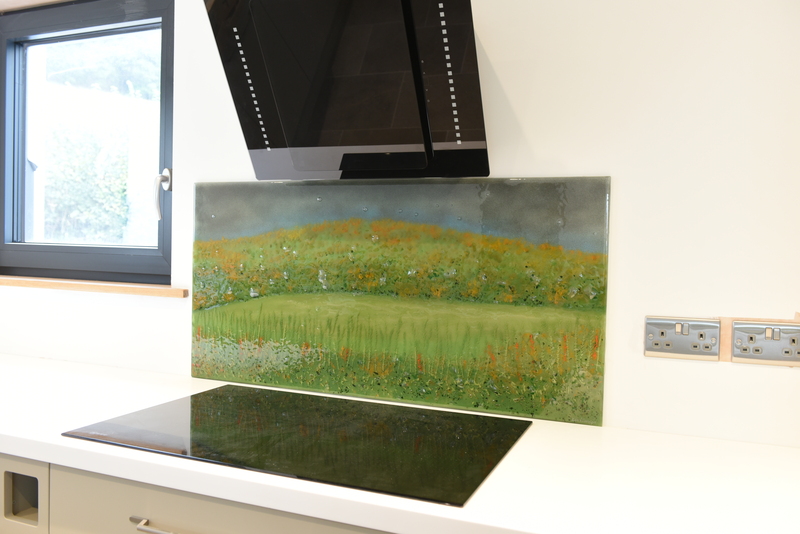 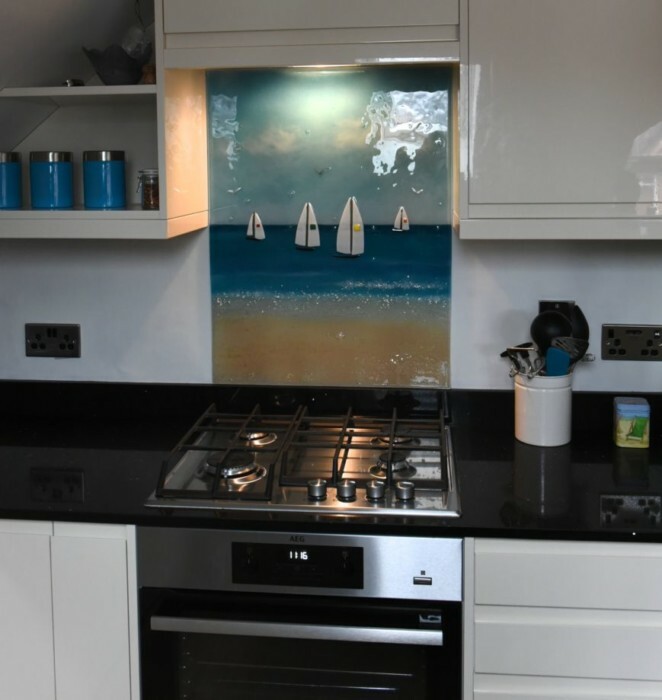 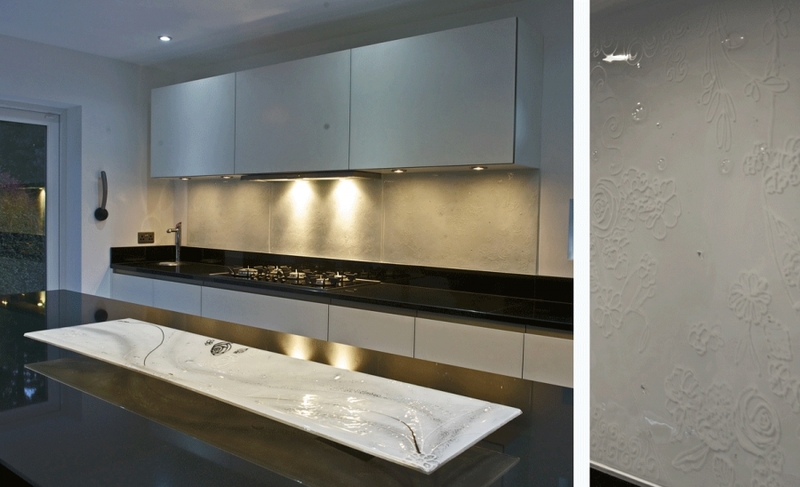 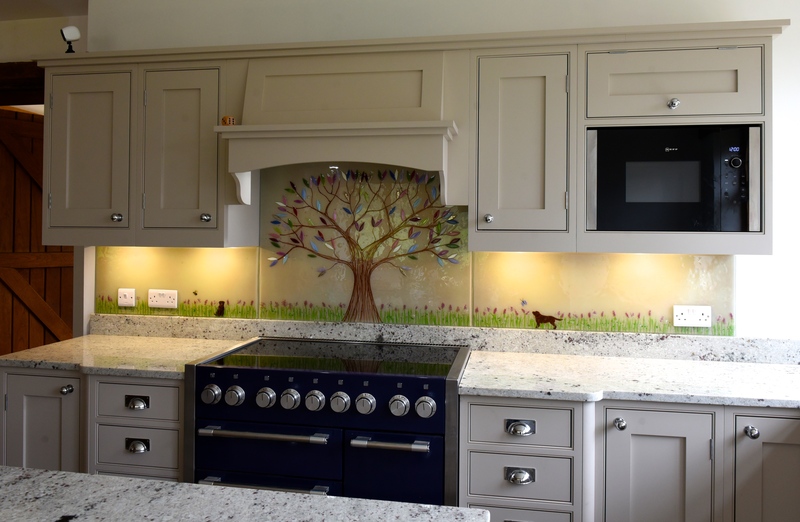 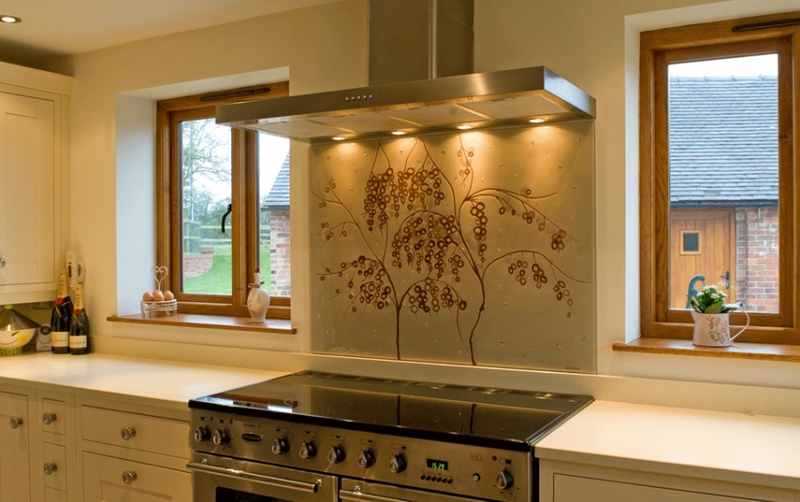 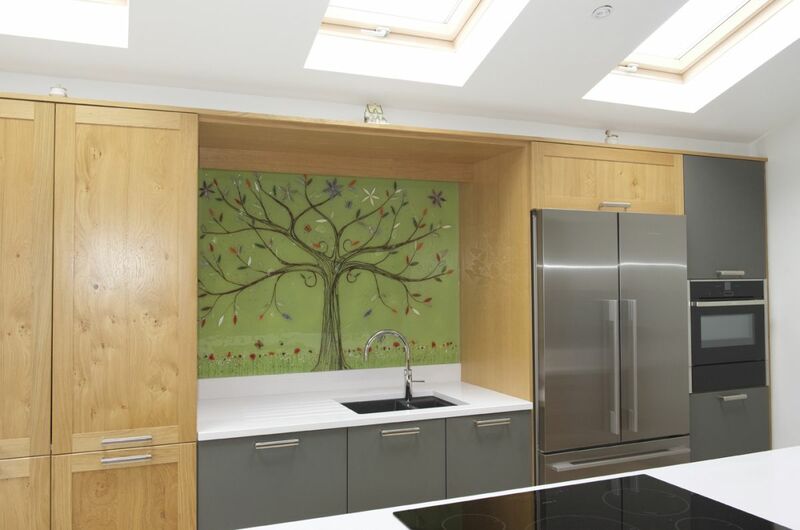 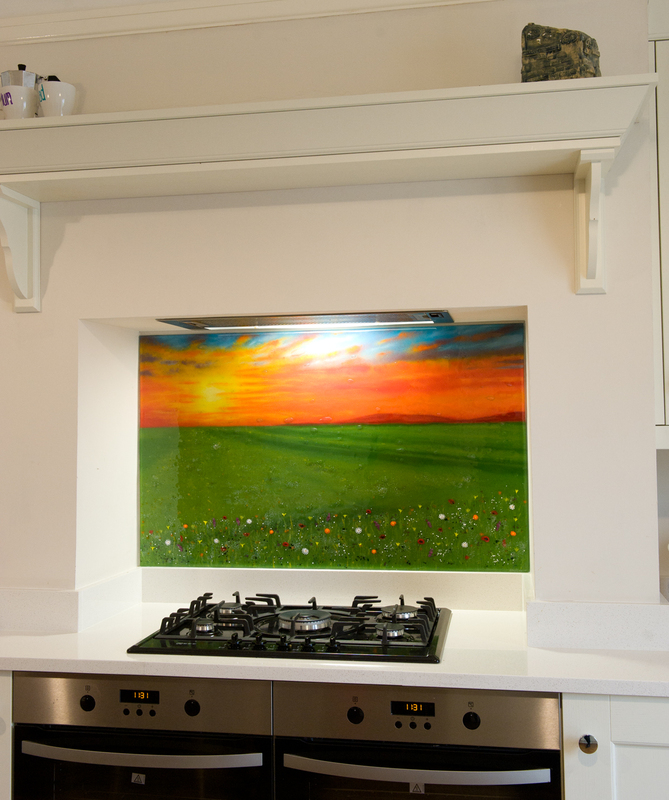 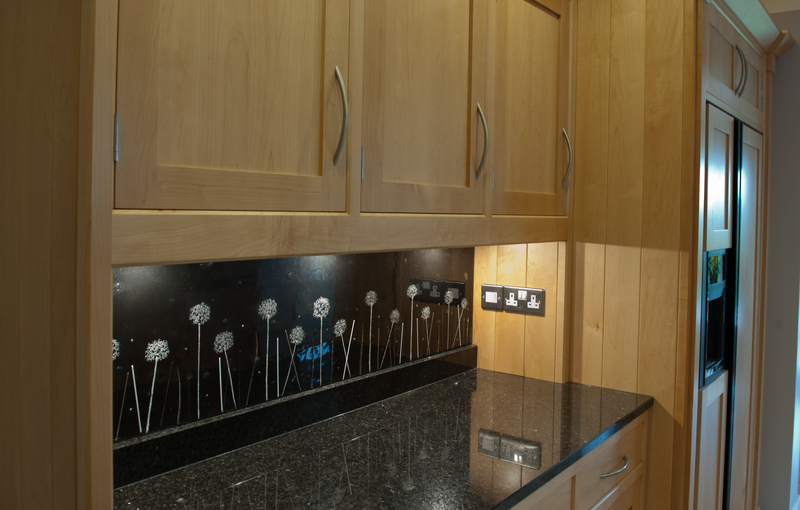 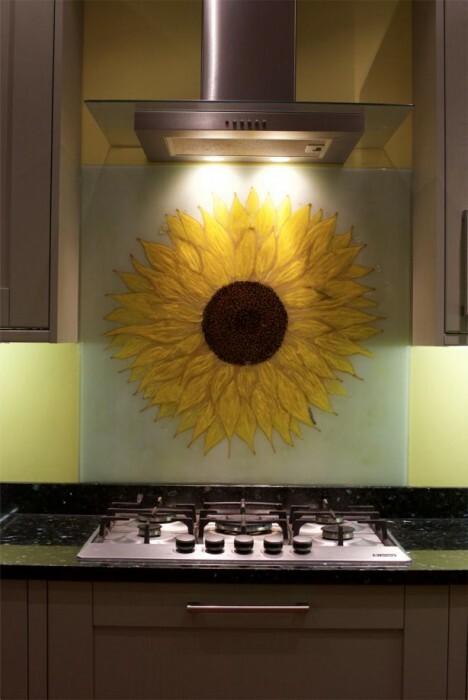 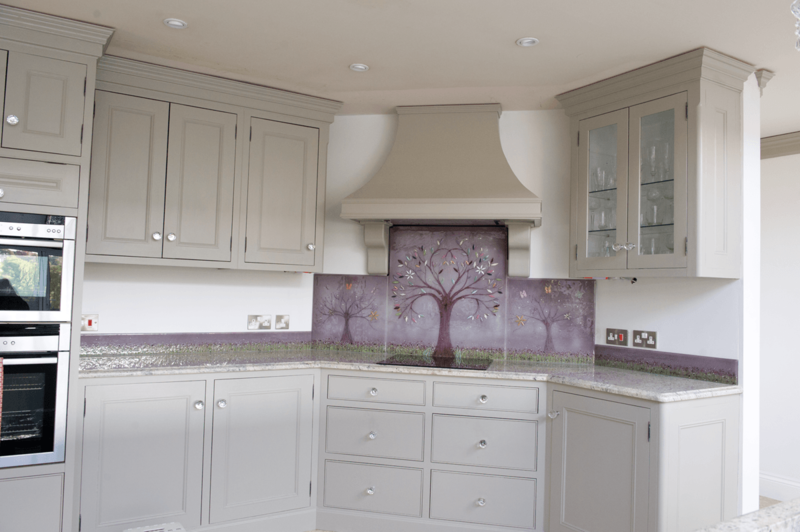 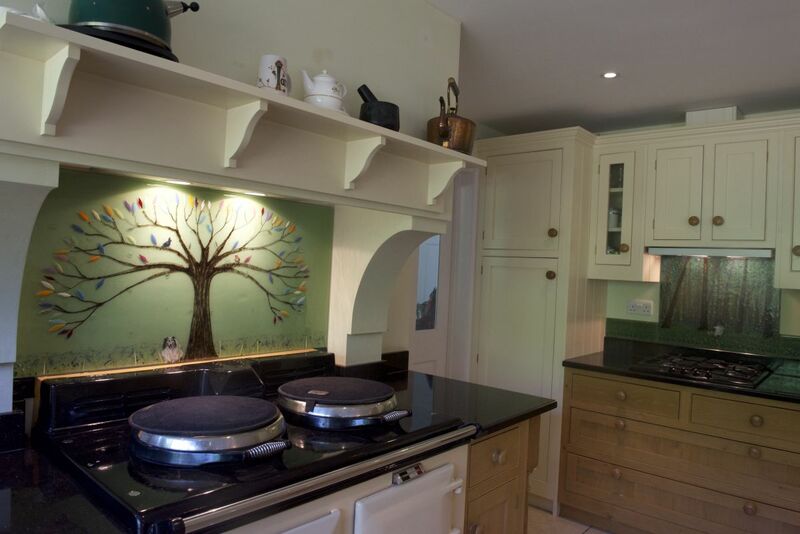 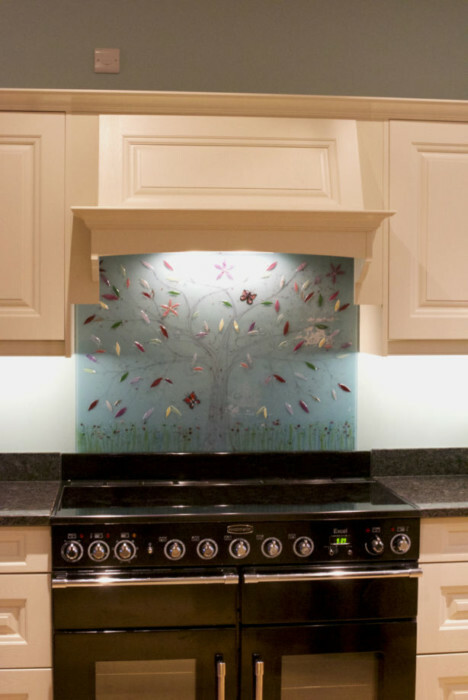 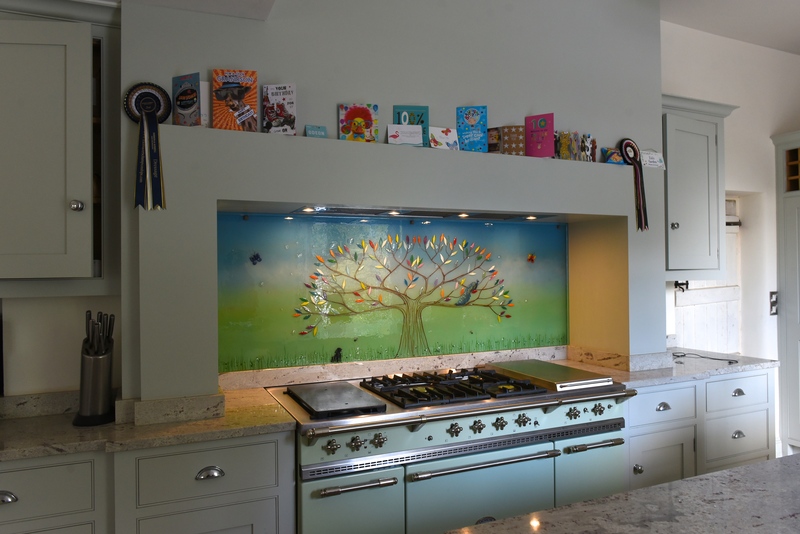 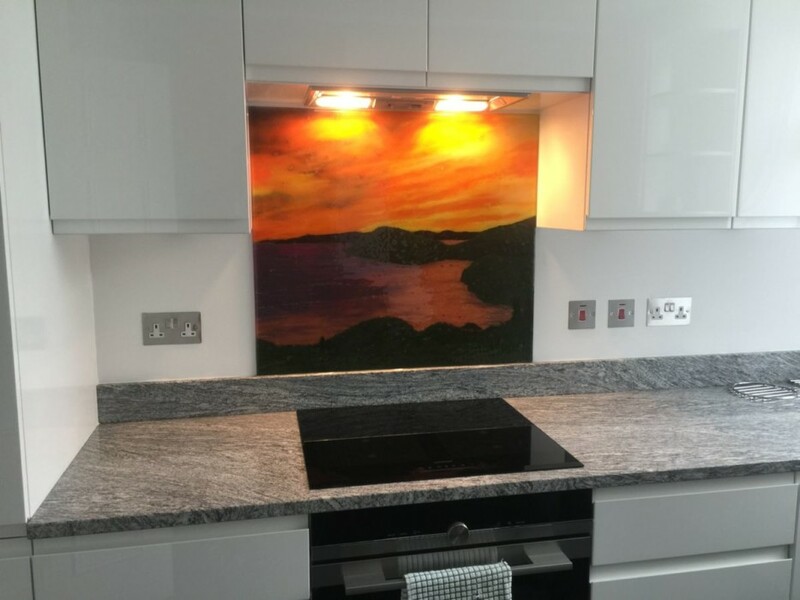 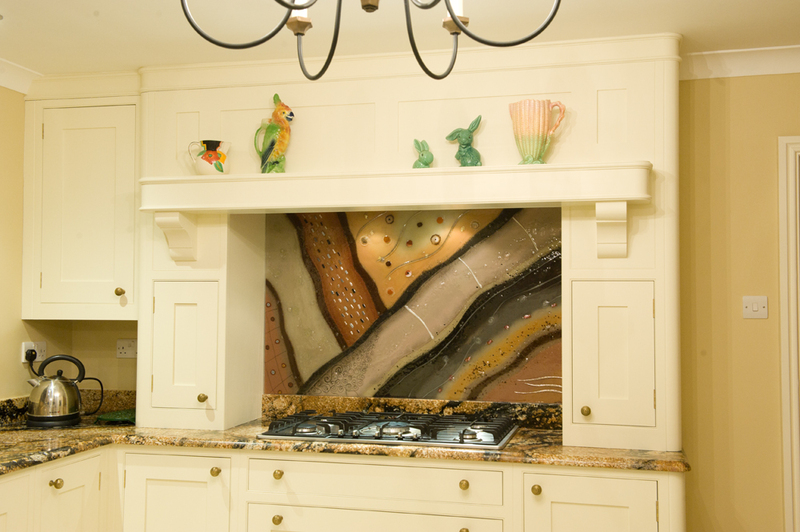 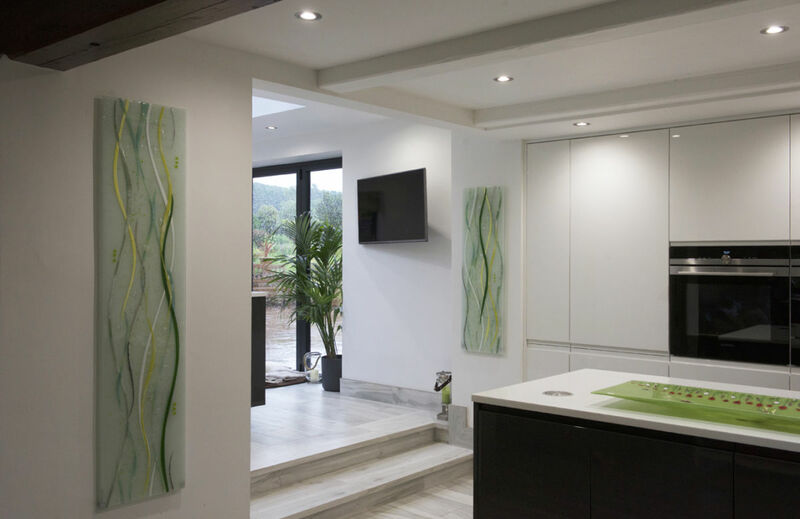 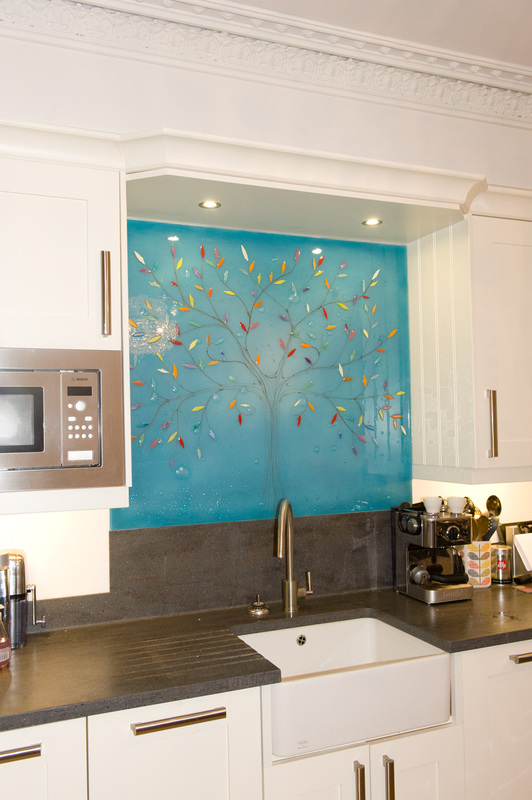 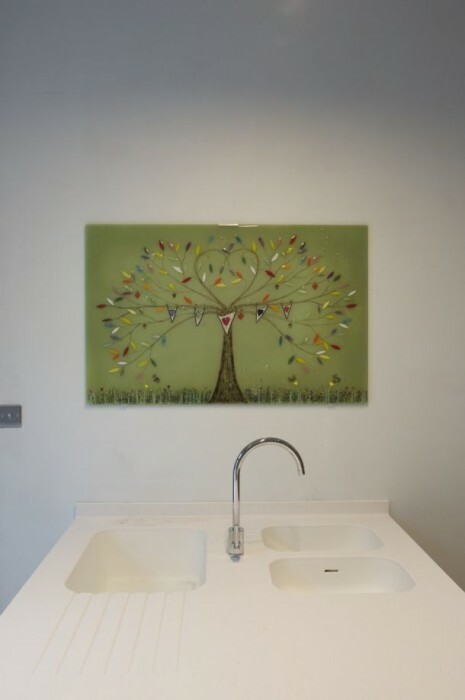 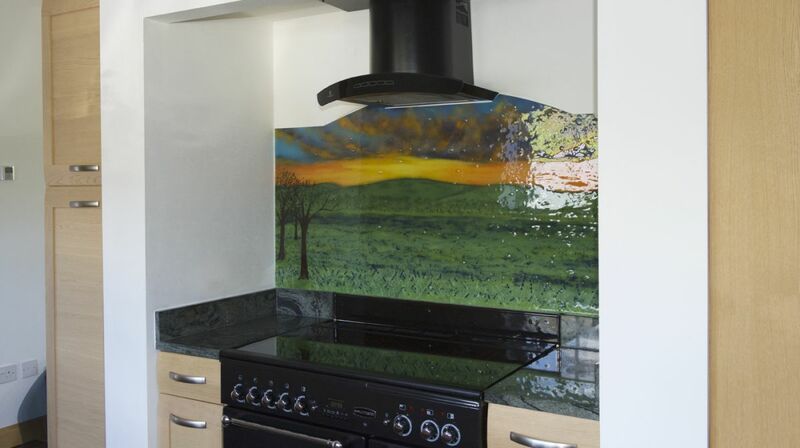 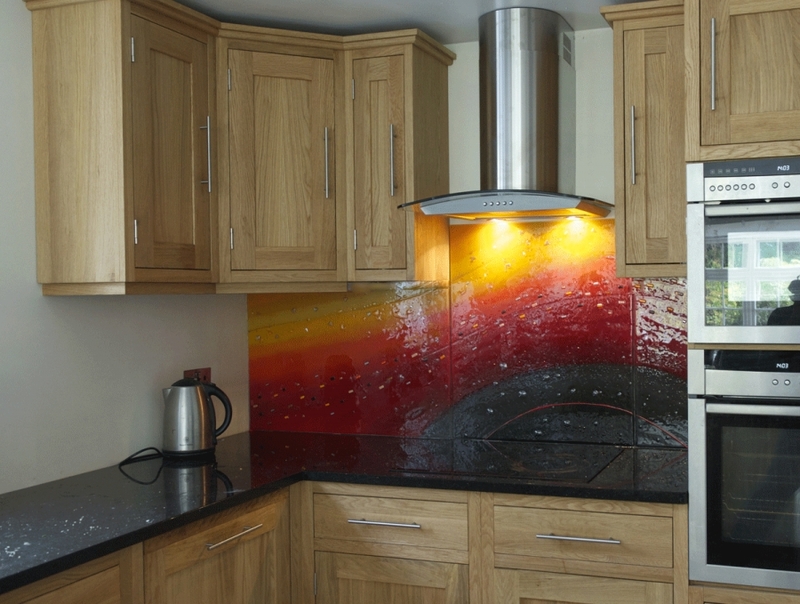 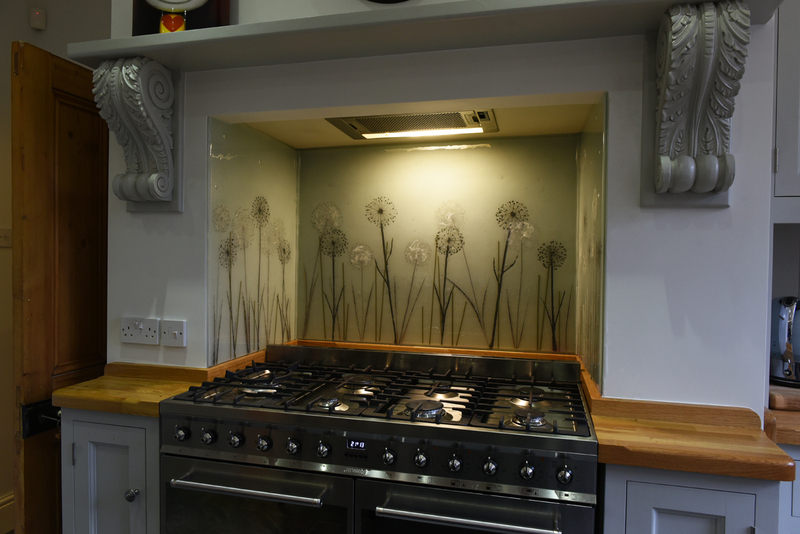 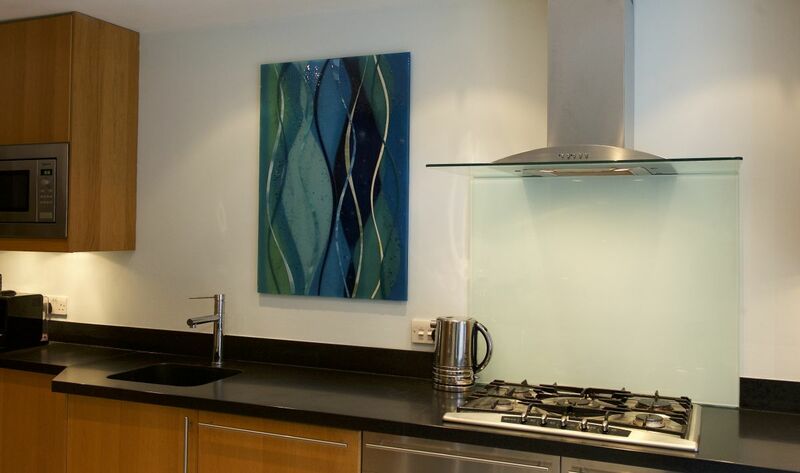 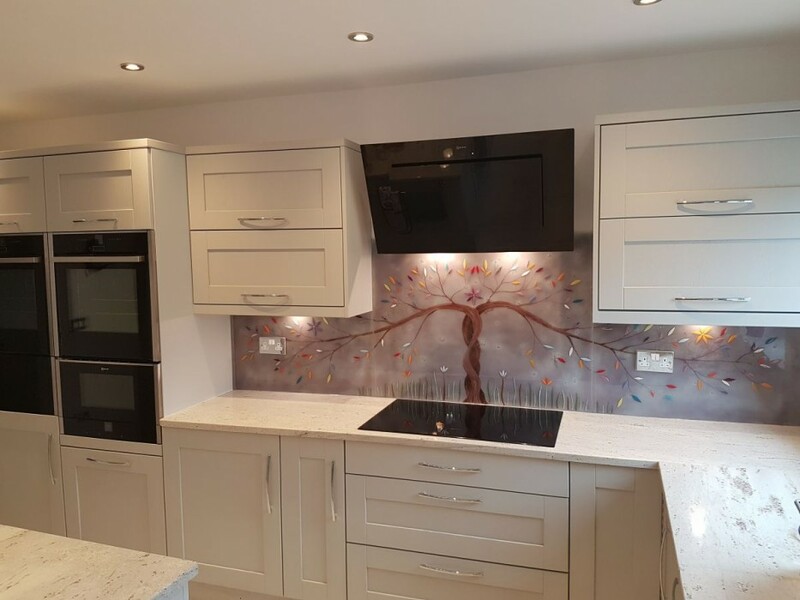 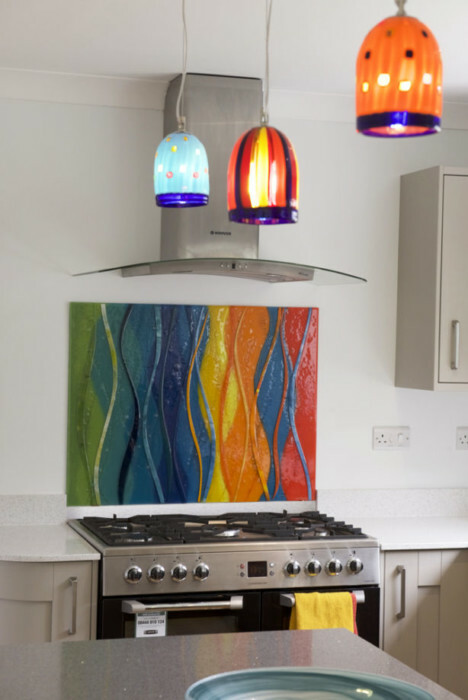 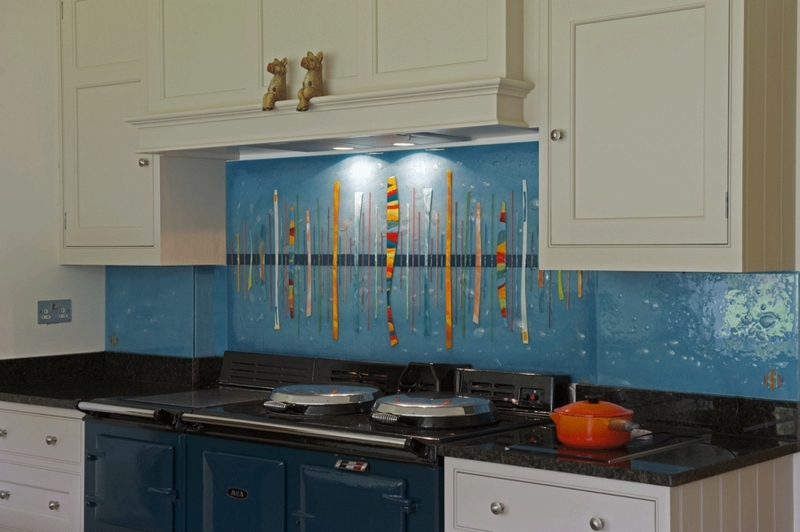 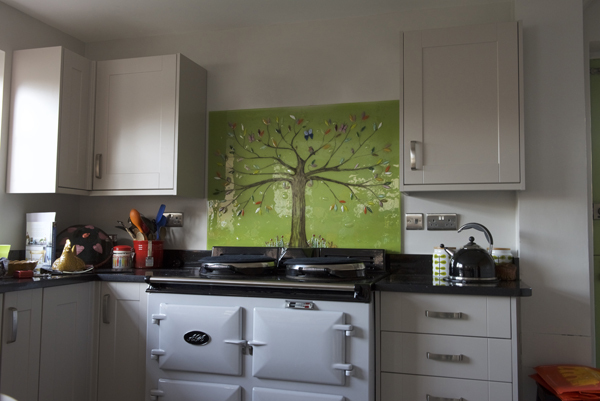 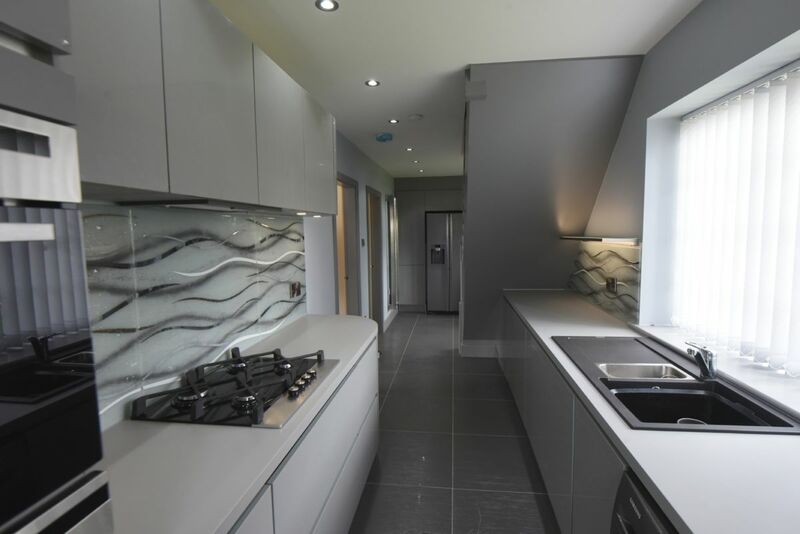 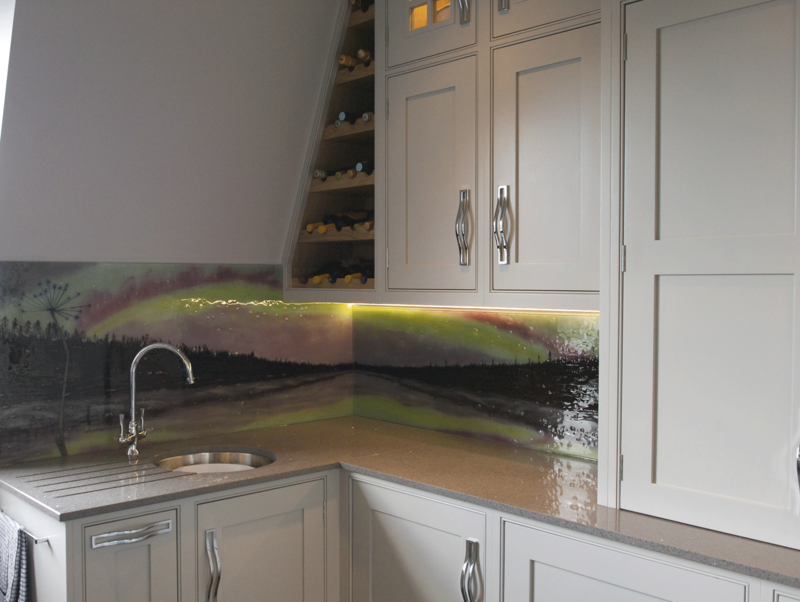 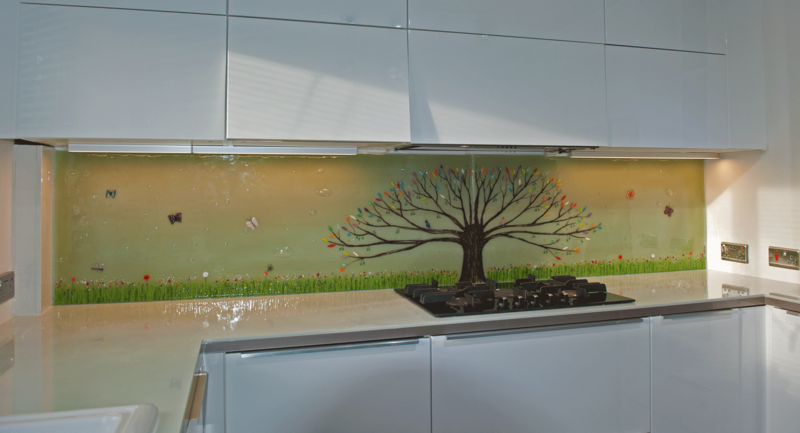 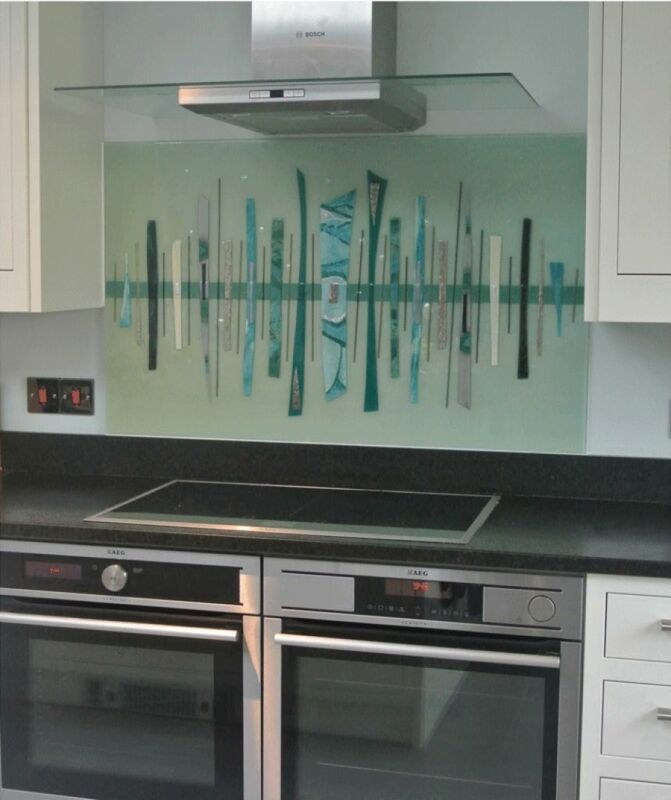 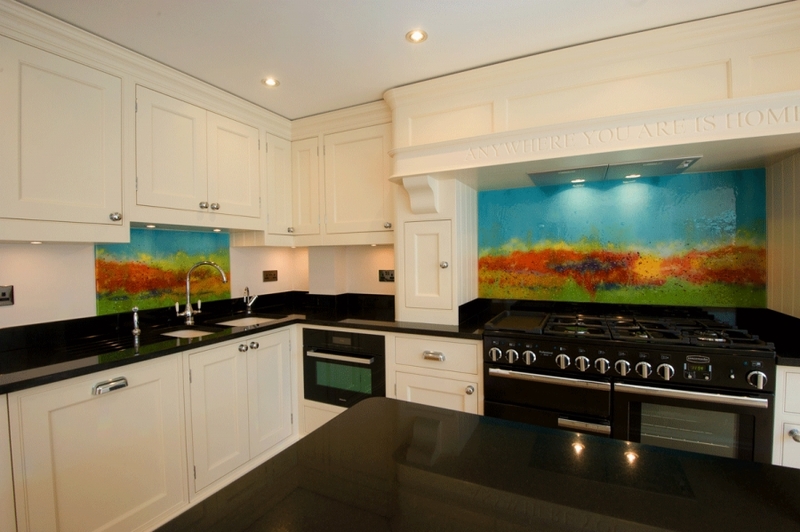 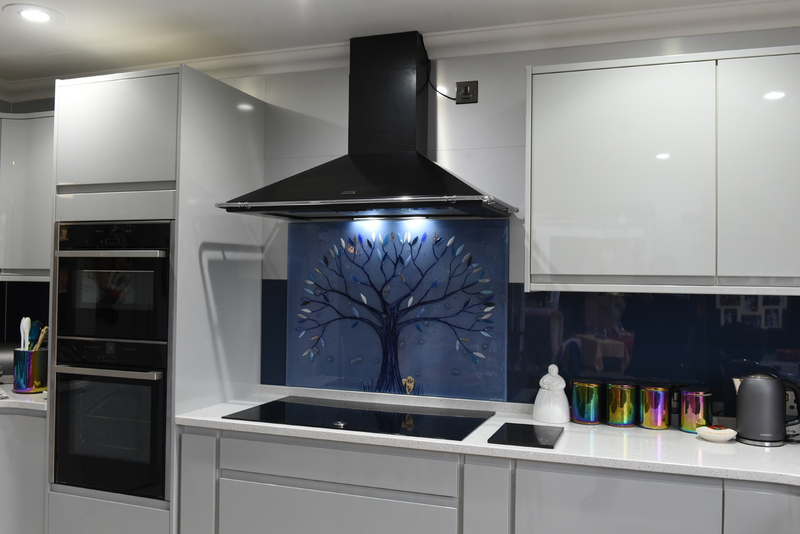 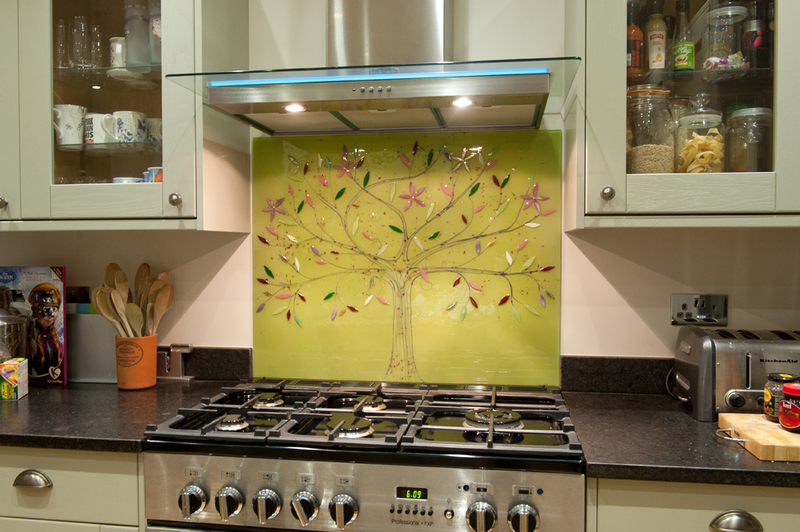 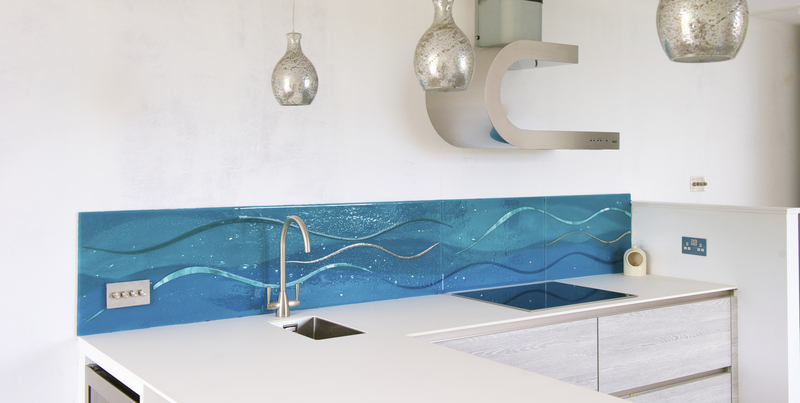 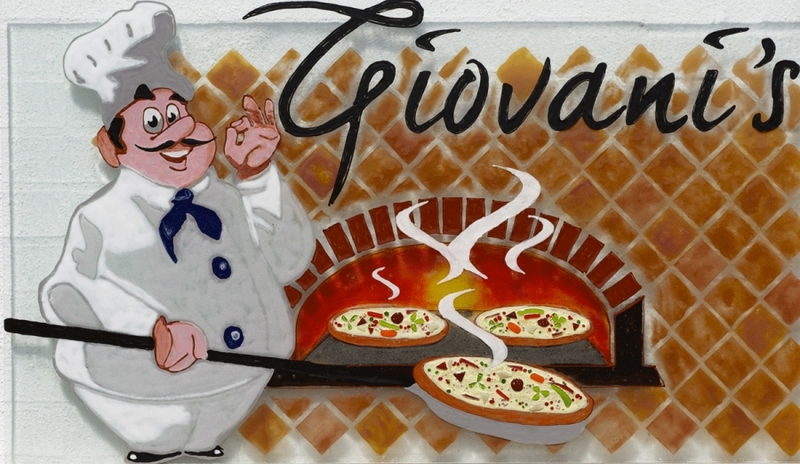 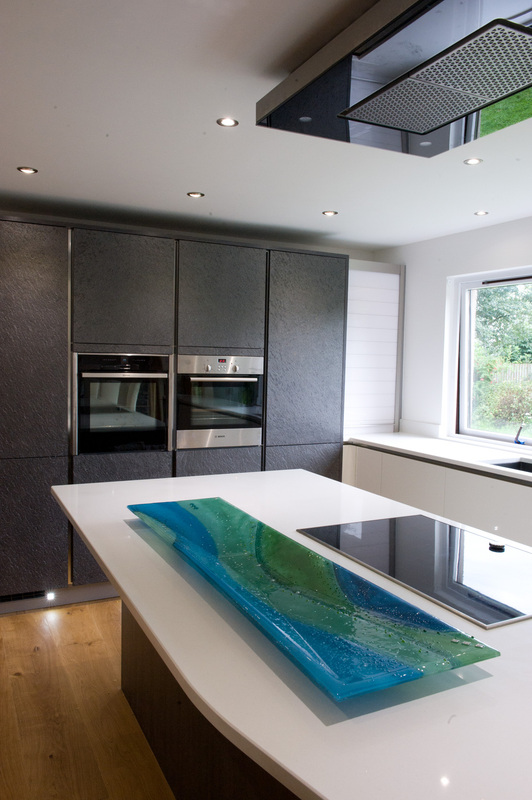 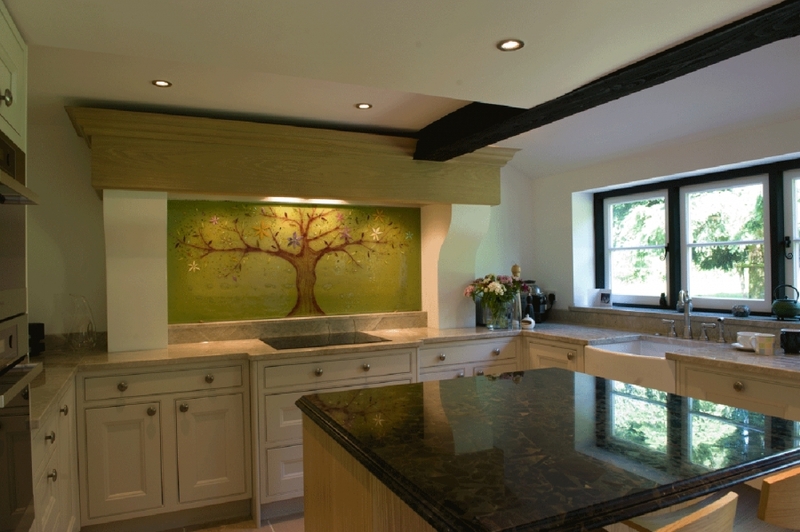 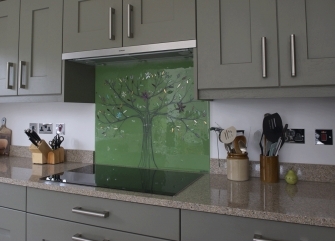 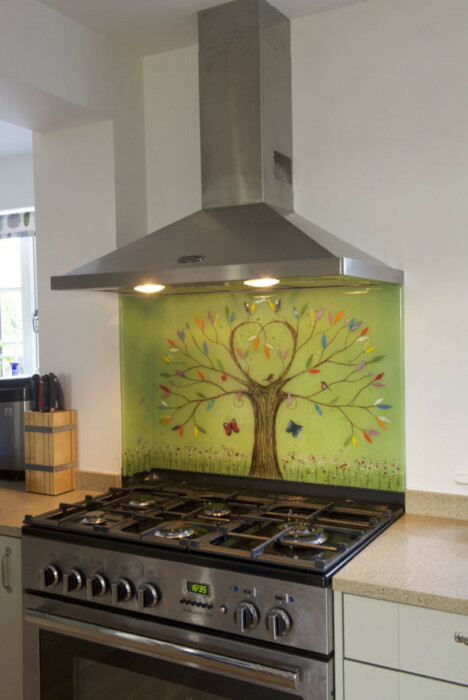 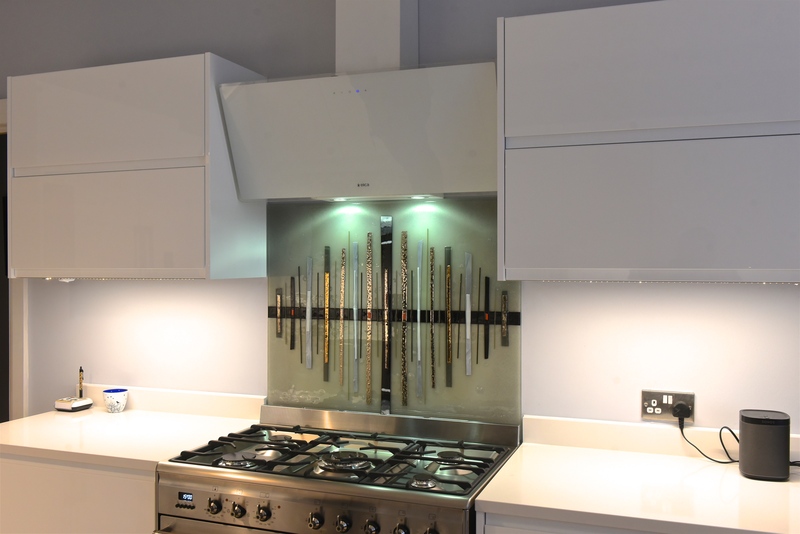 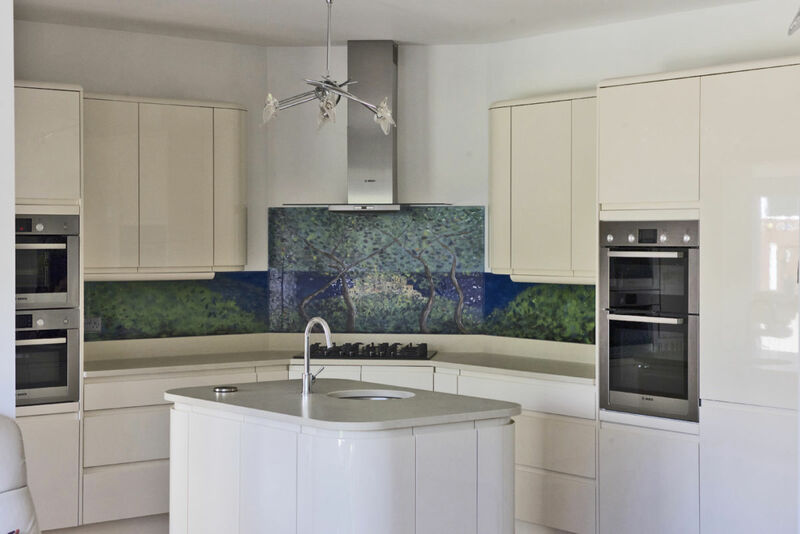 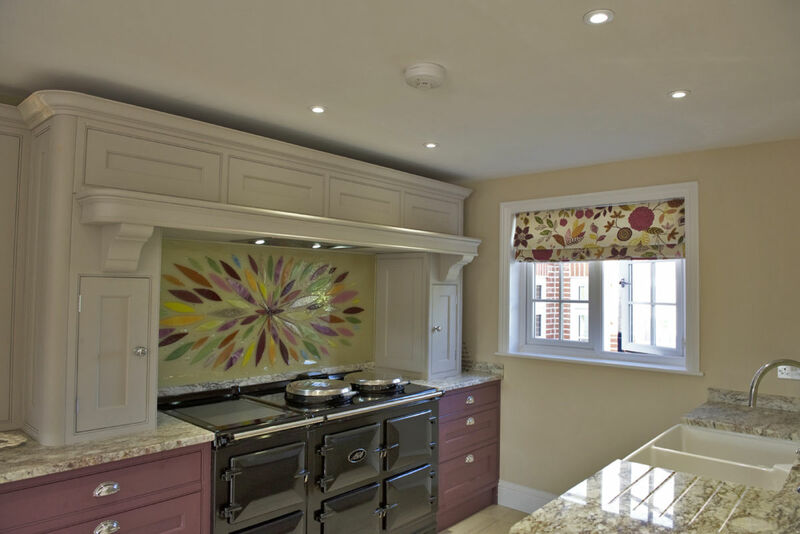 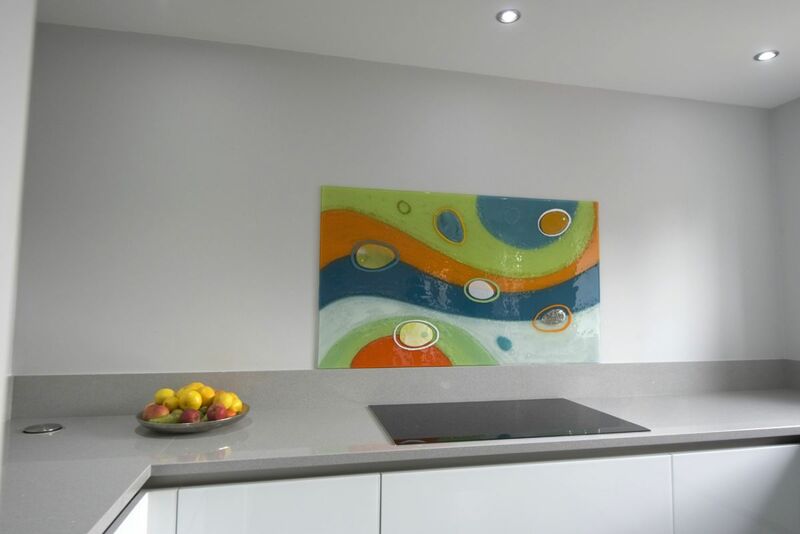 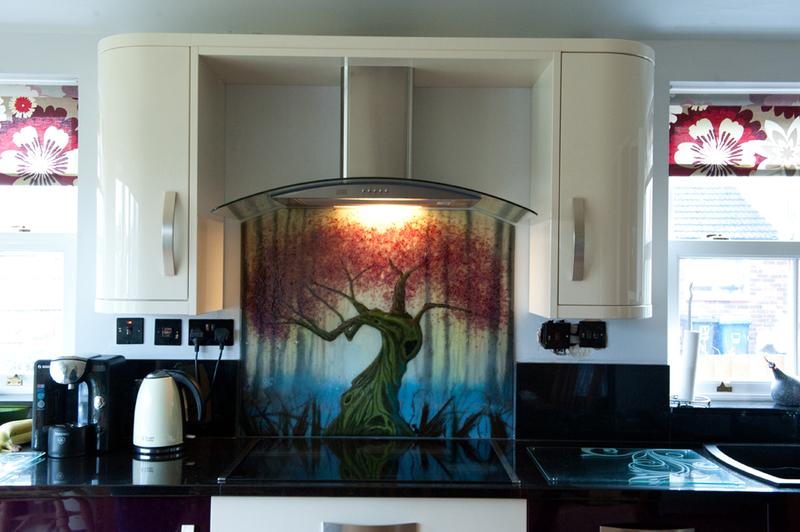 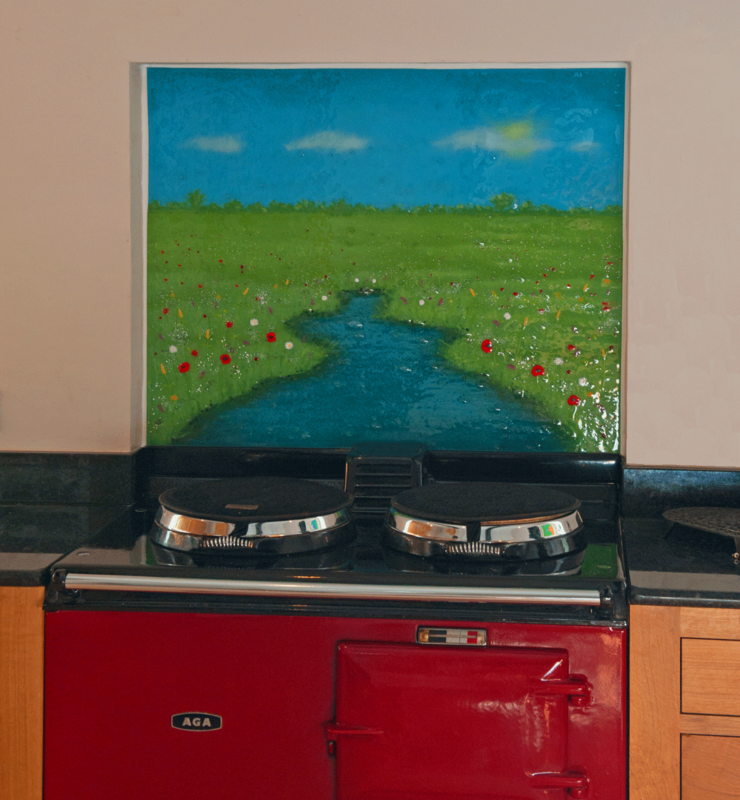 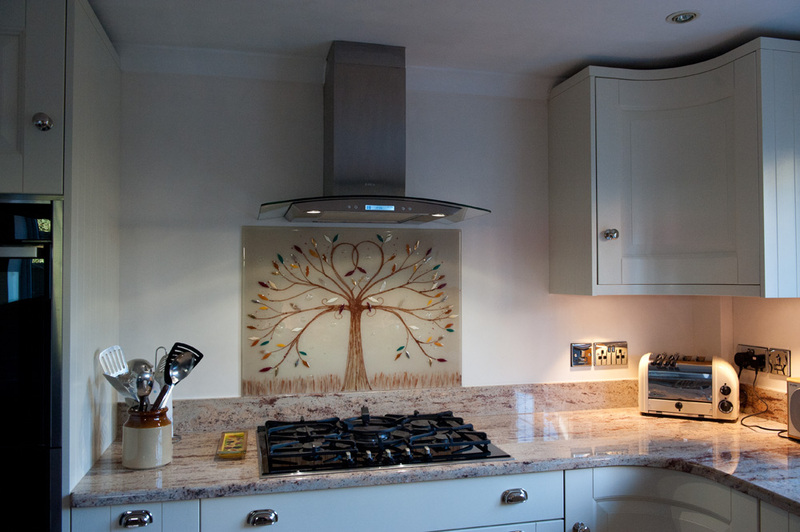 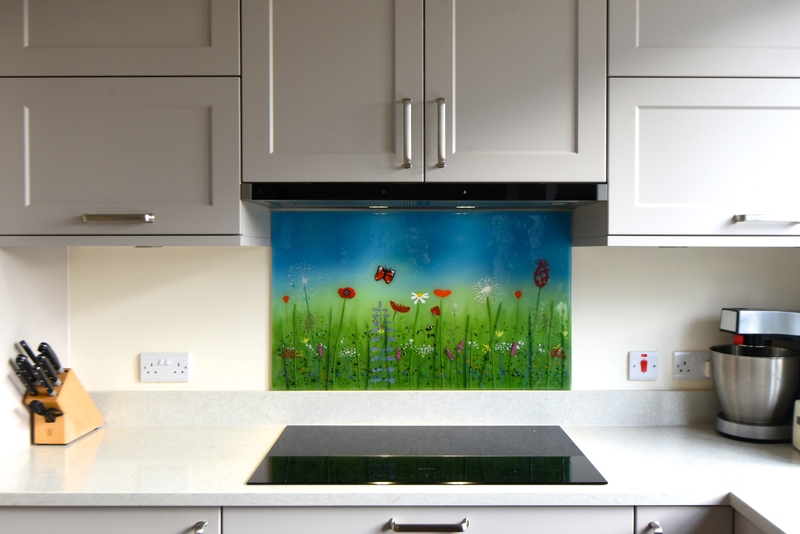 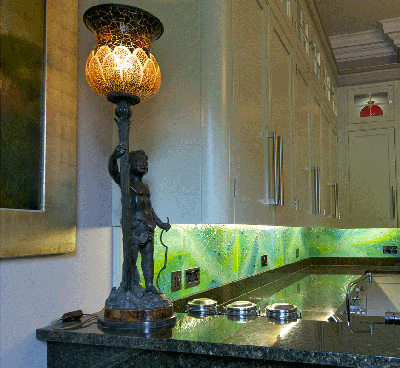 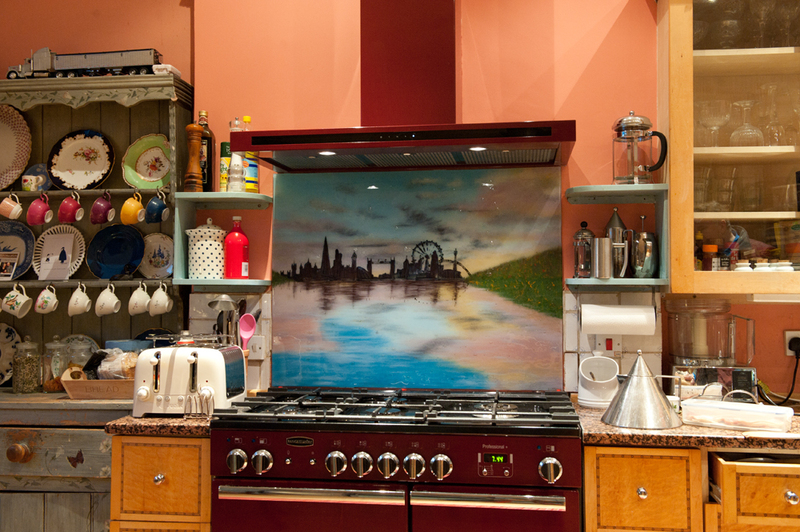 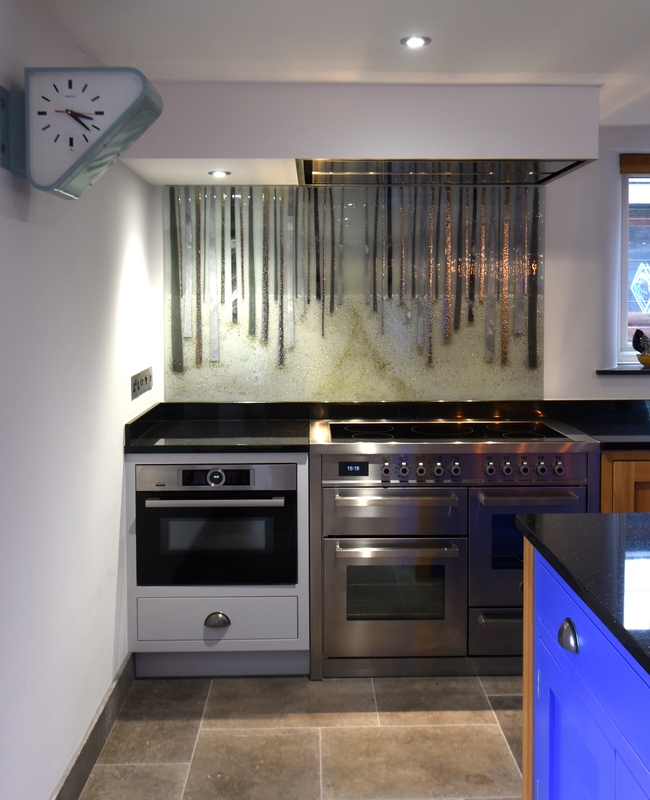 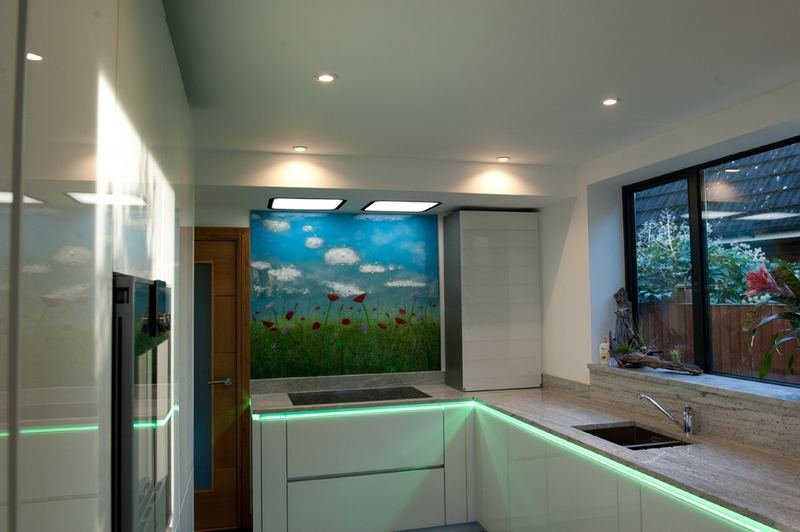 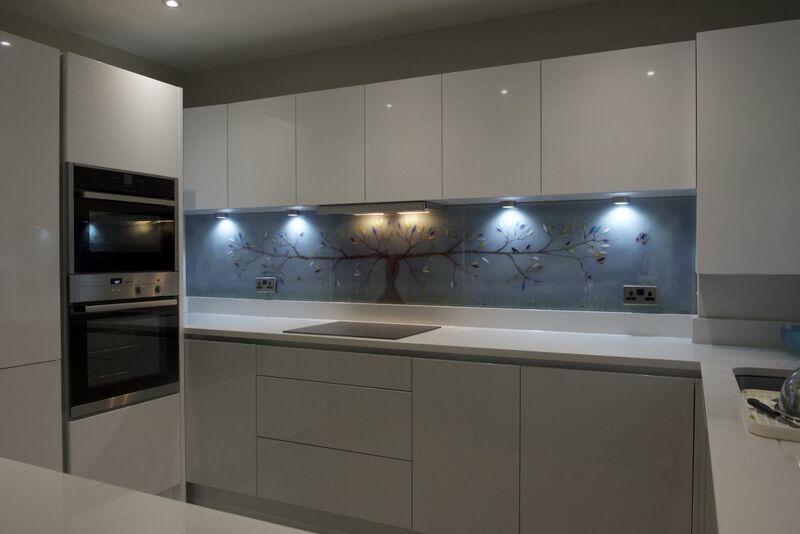 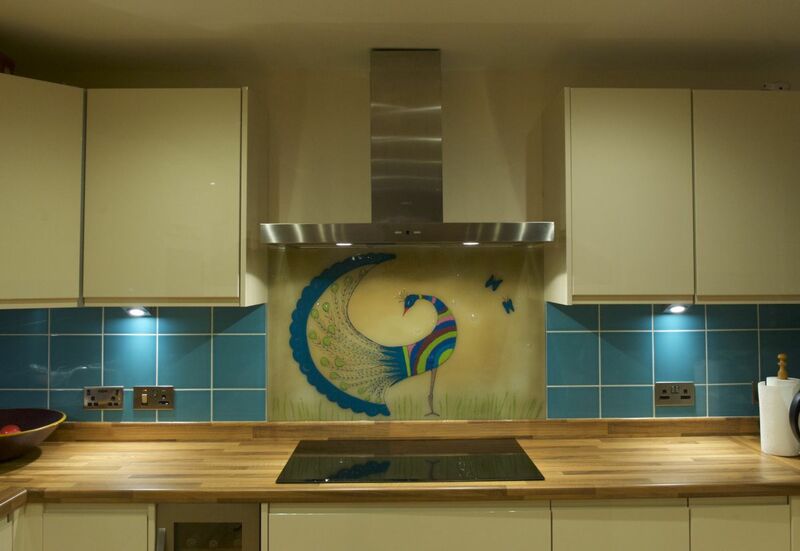 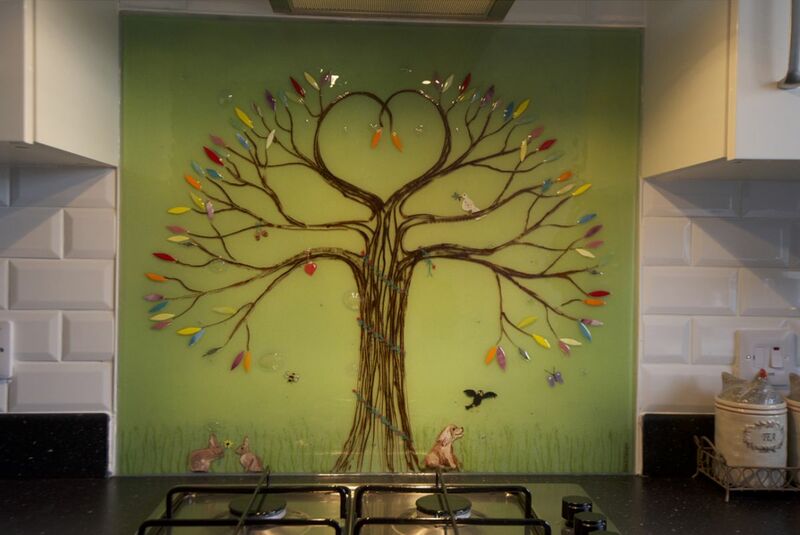 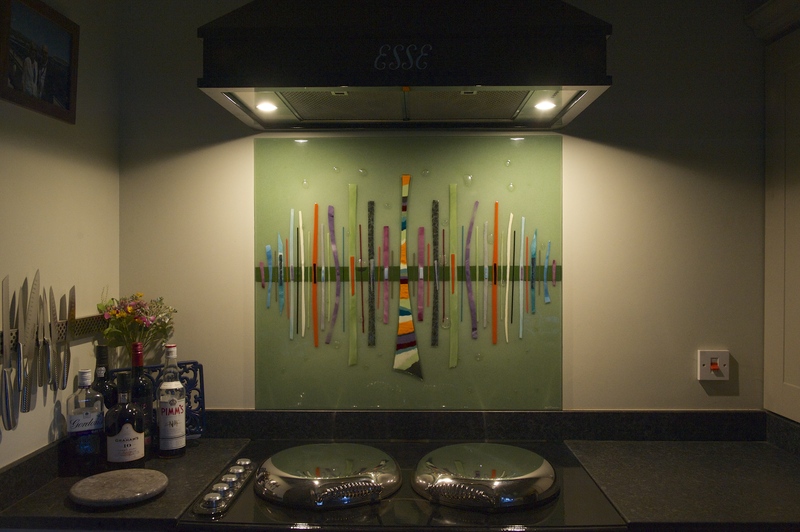 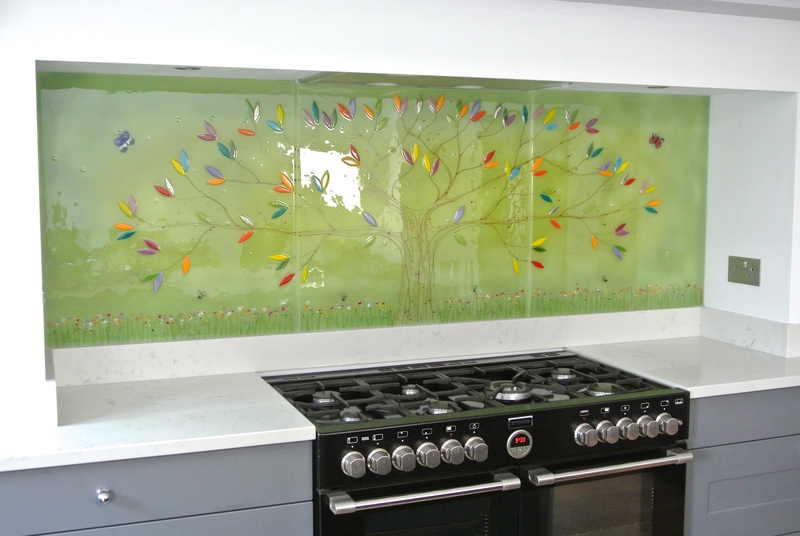 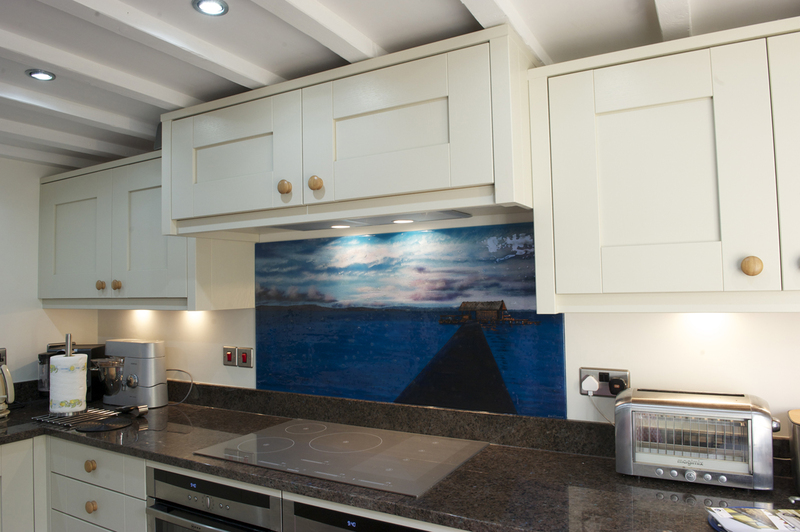 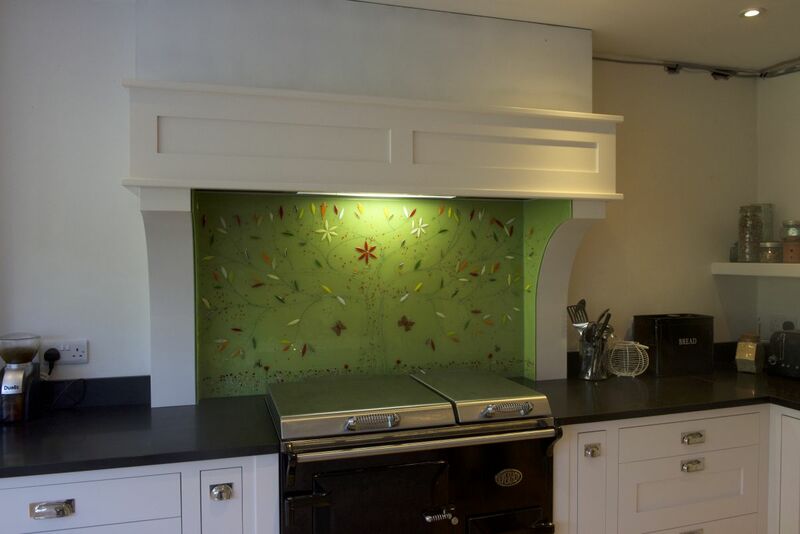 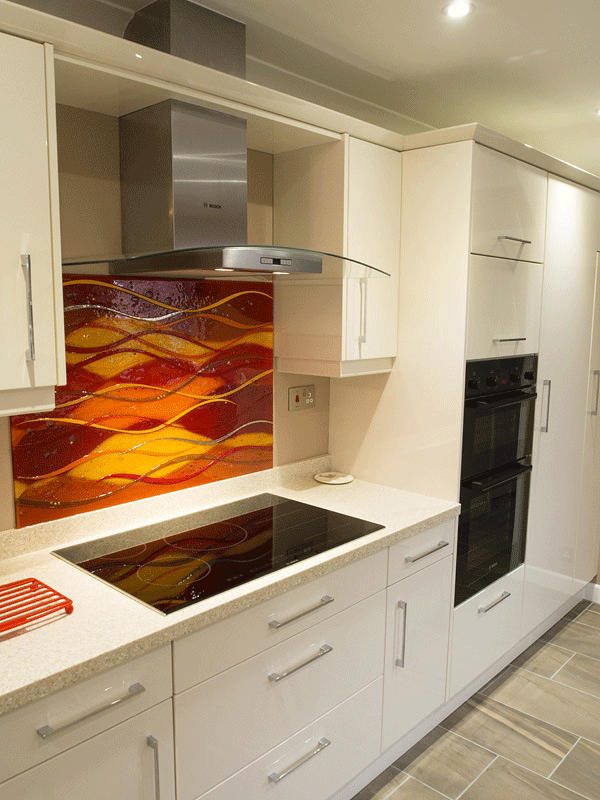 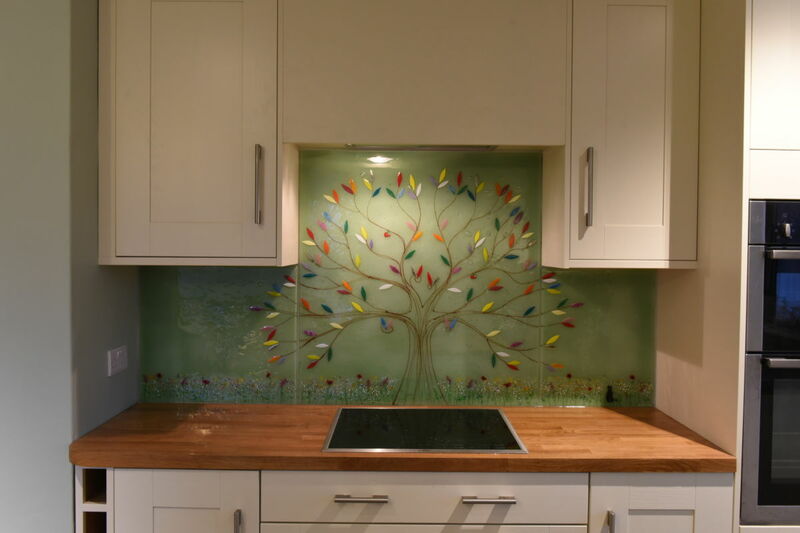 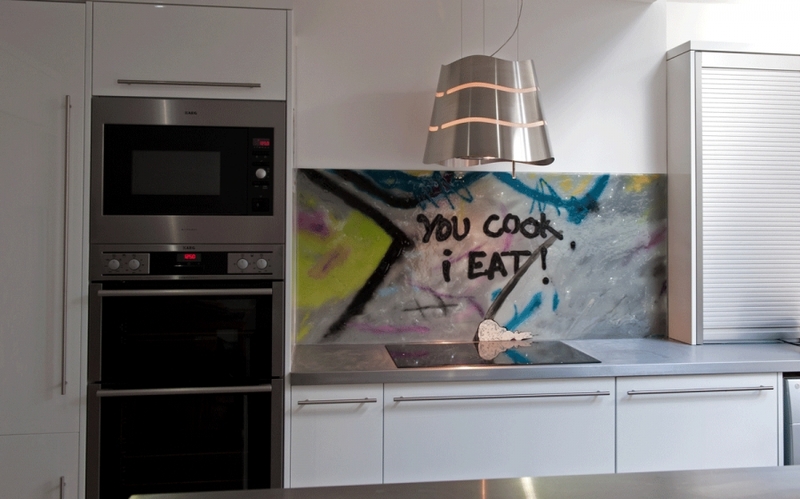 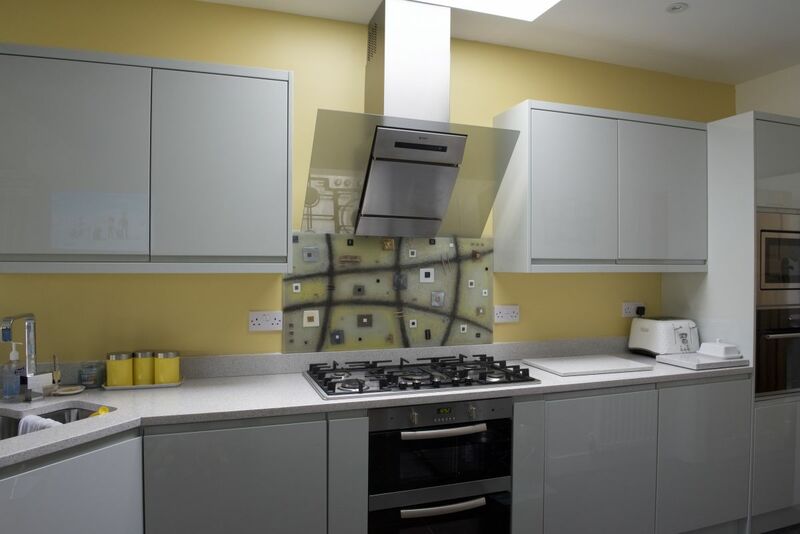 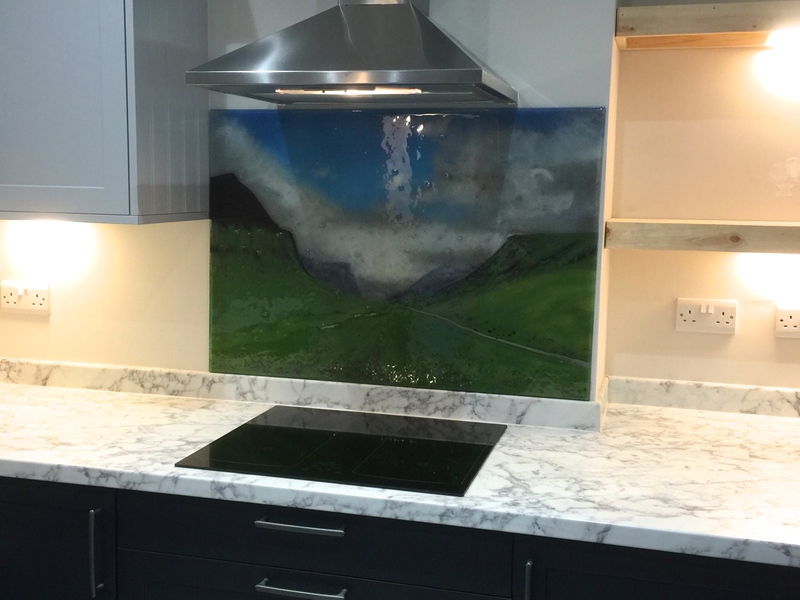 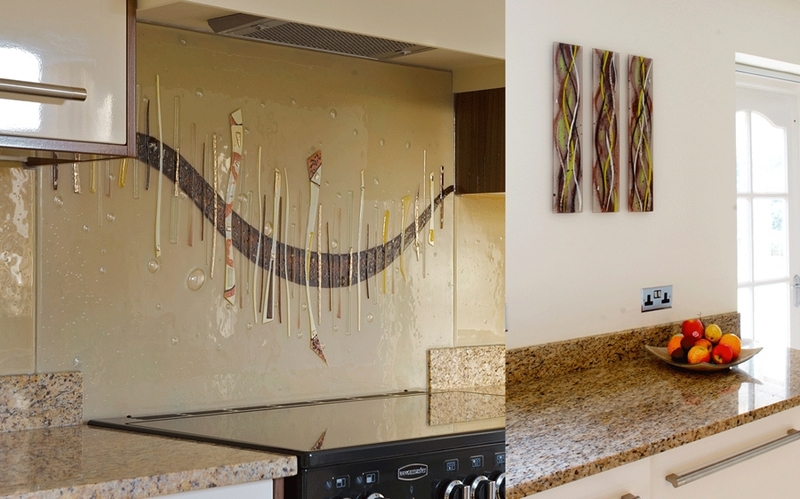 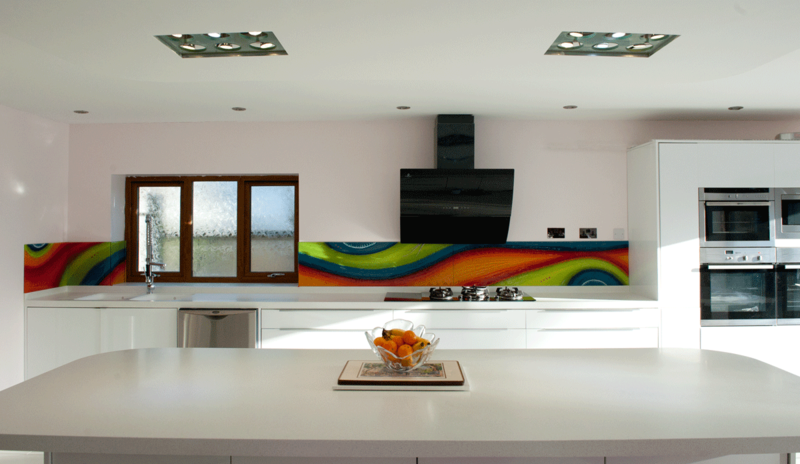 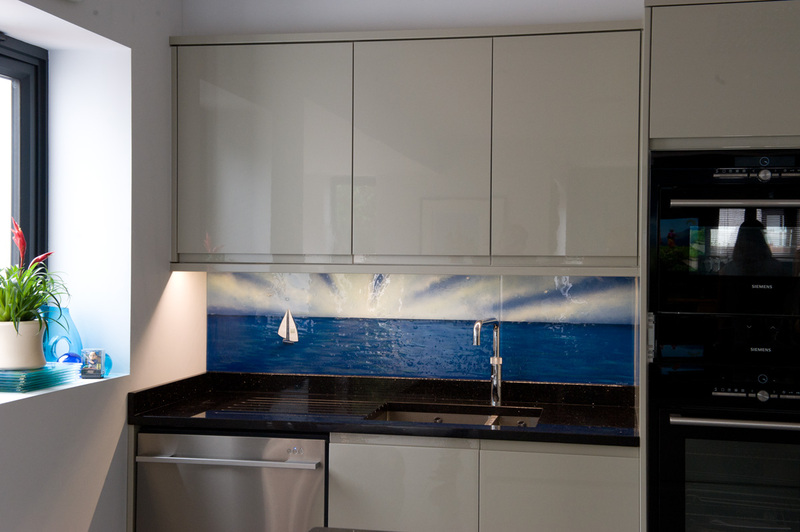 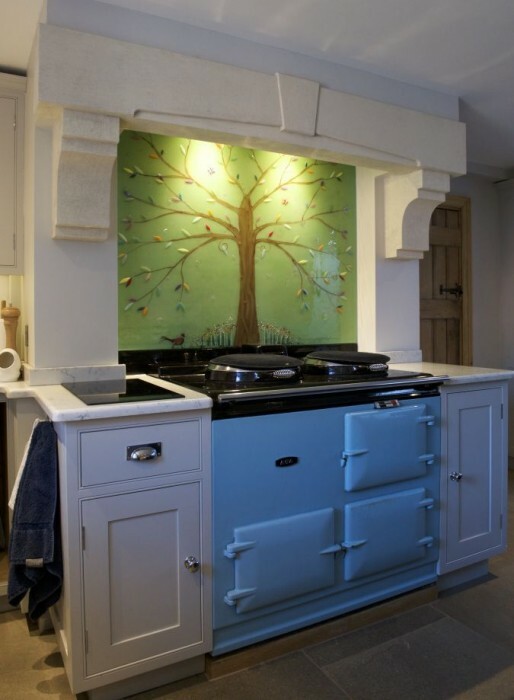 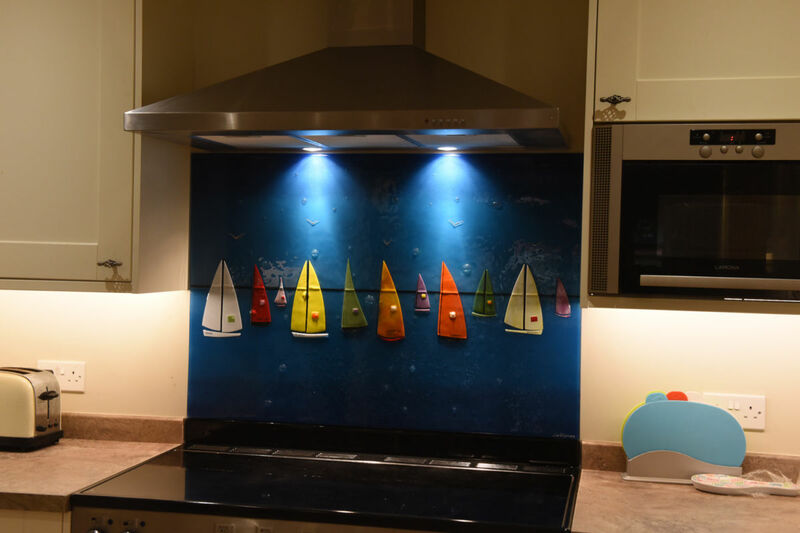 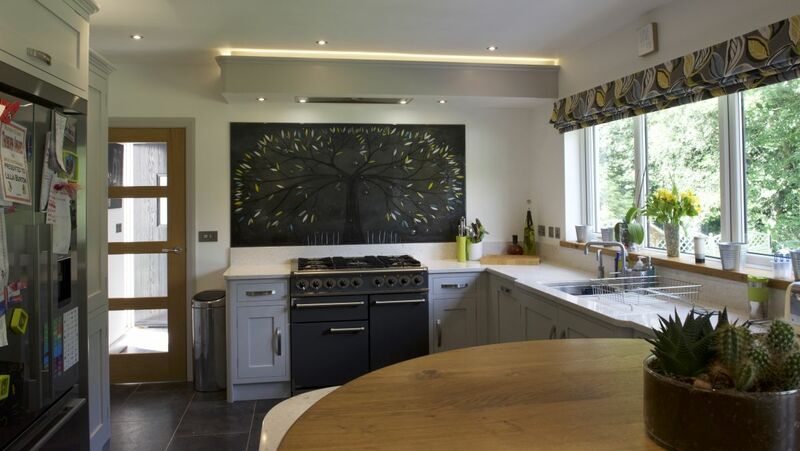 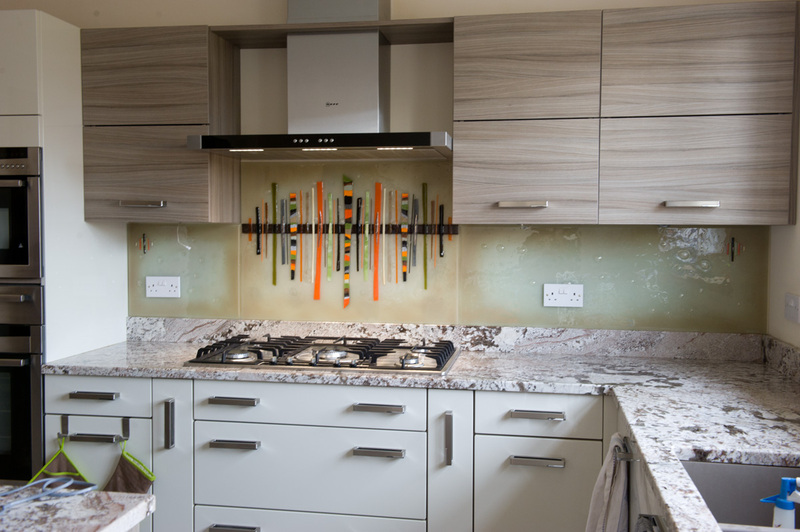 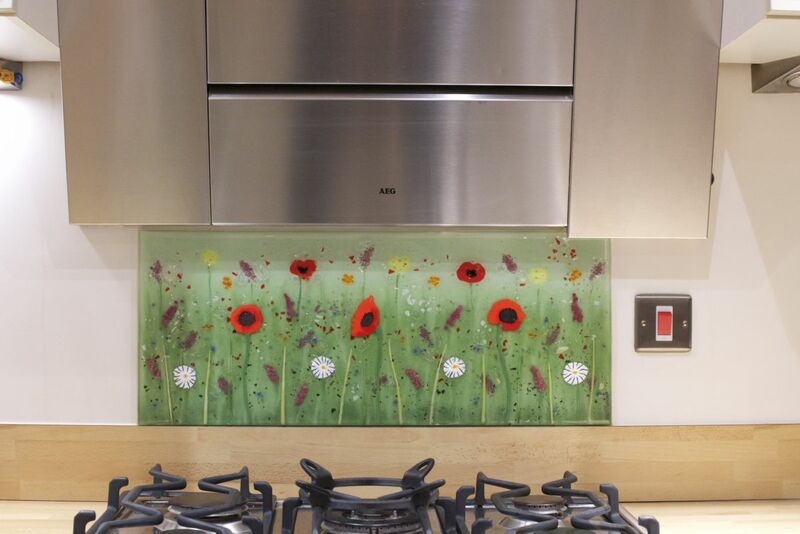 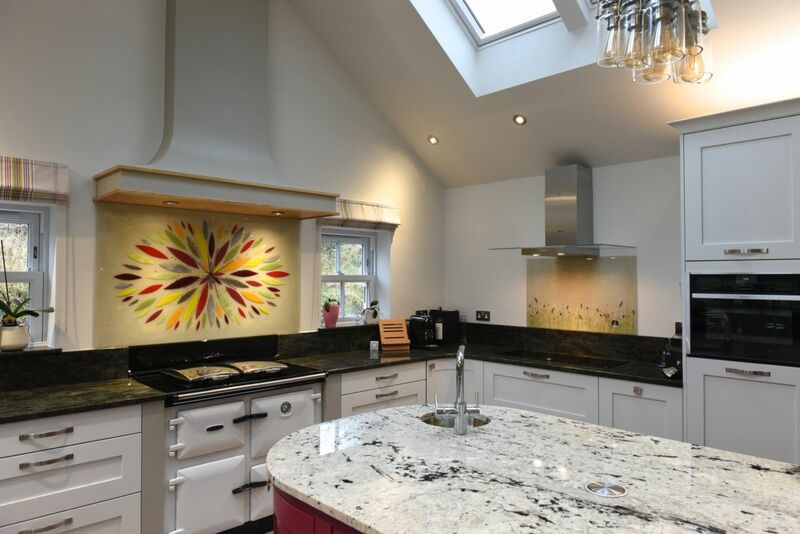 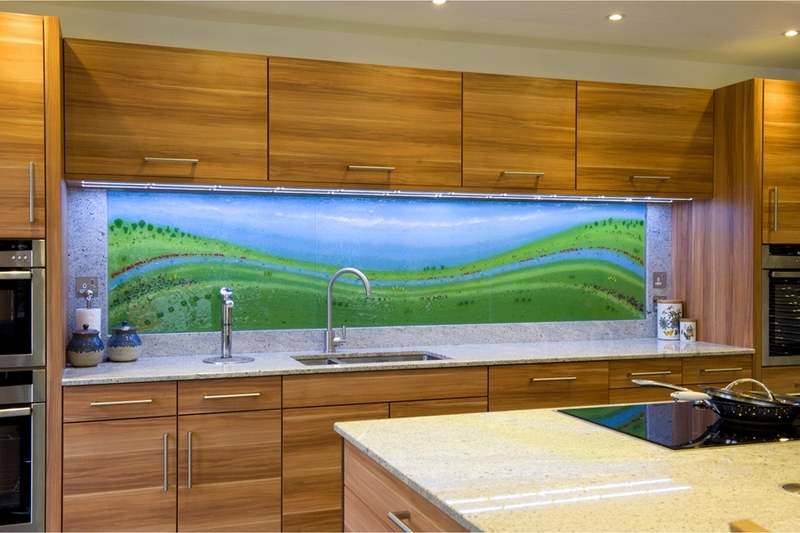 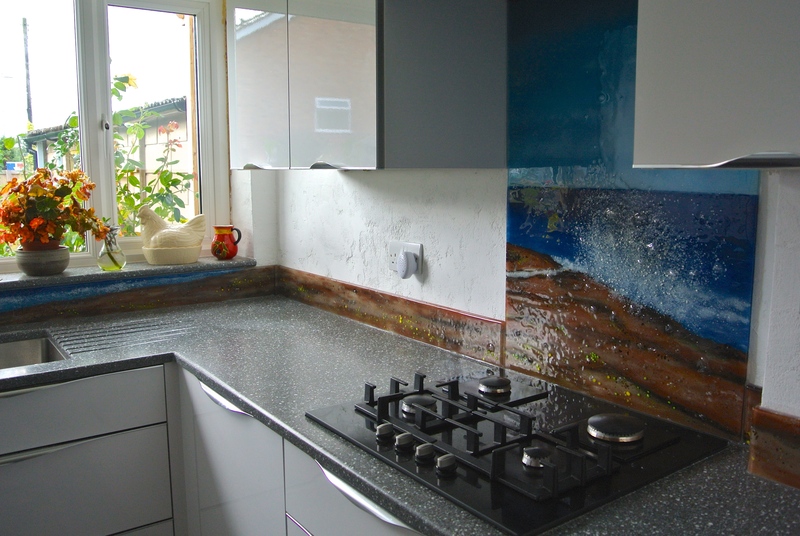 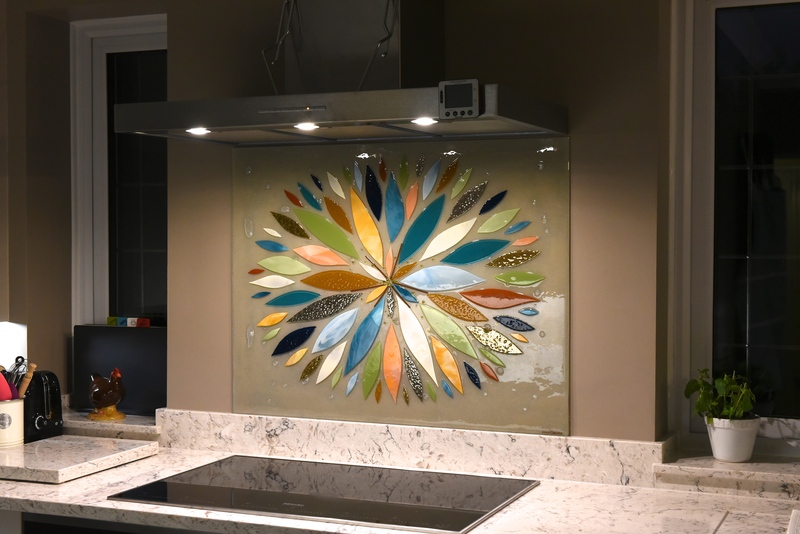 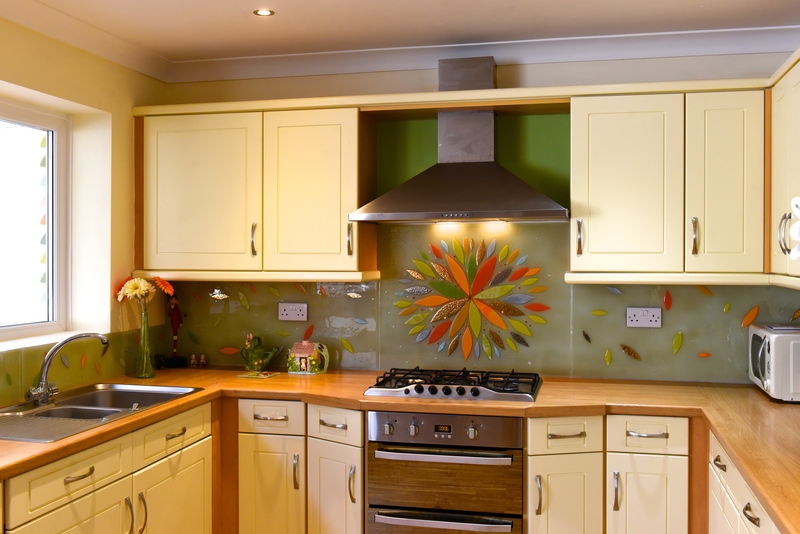 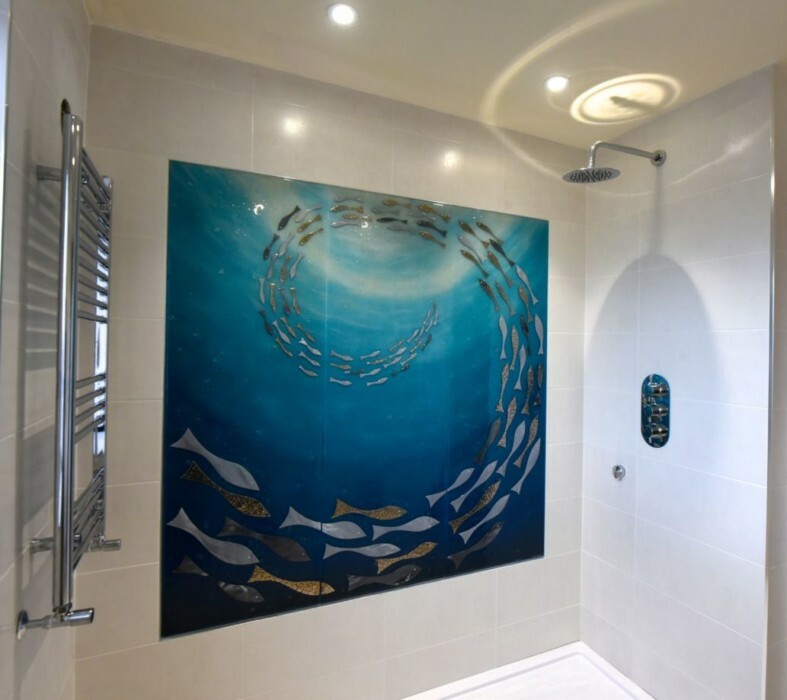 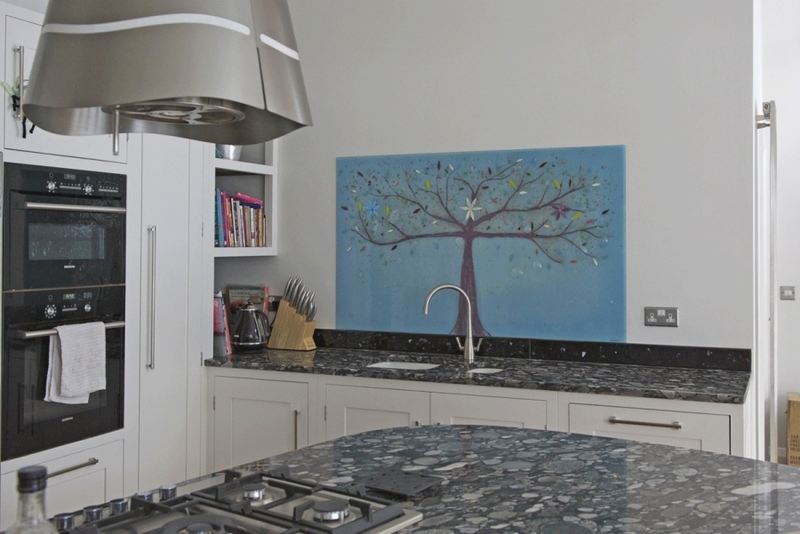 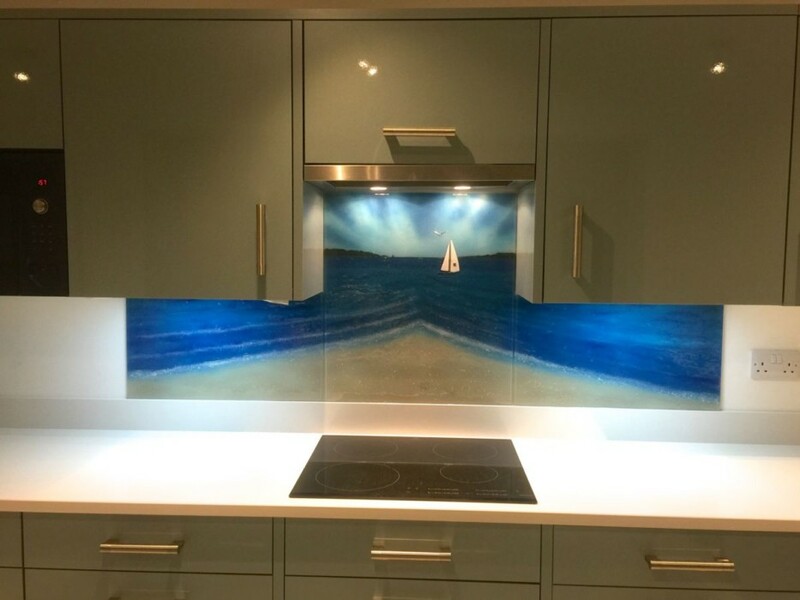 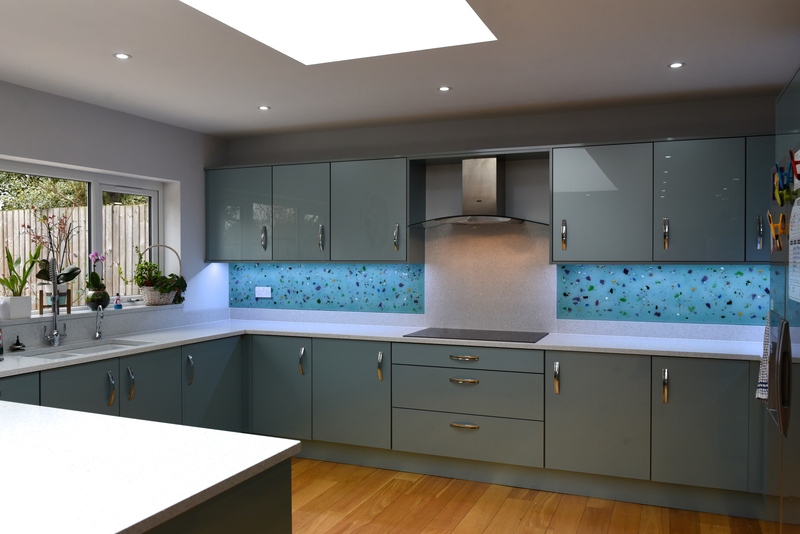 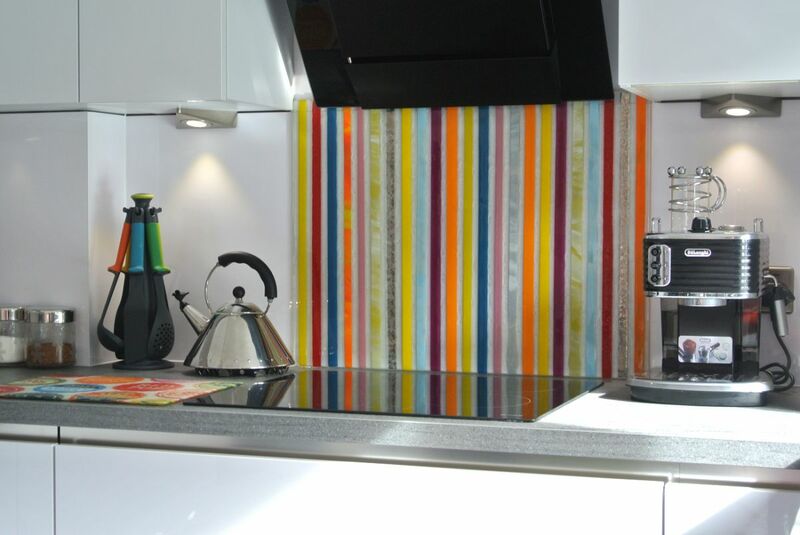 If you’re looking to have a splashback made with similar ideas, contact us or look at the rest of our portfolio to get some ideas.